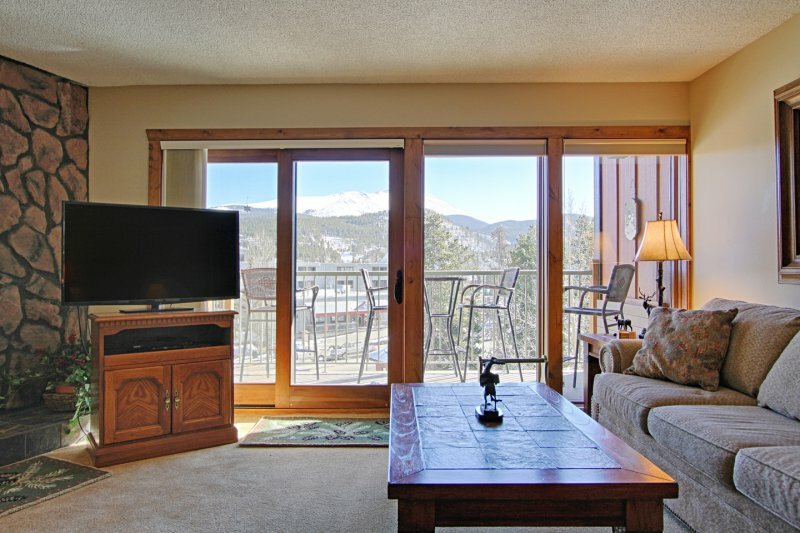 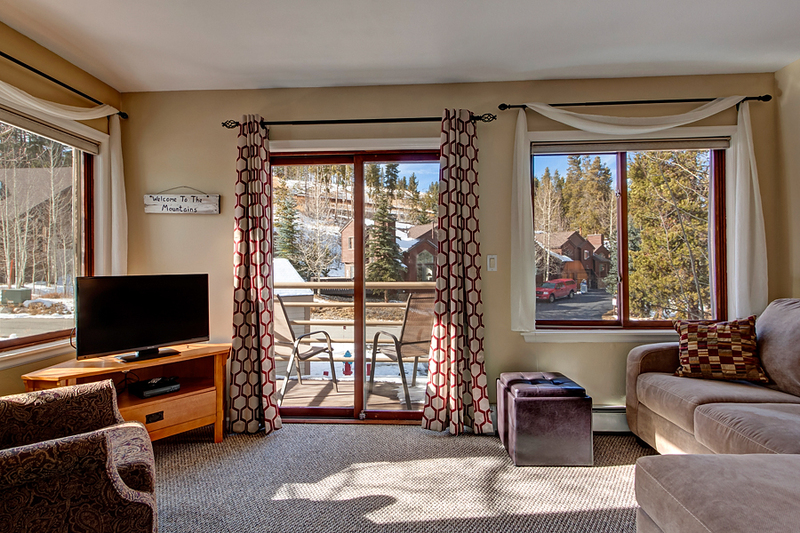 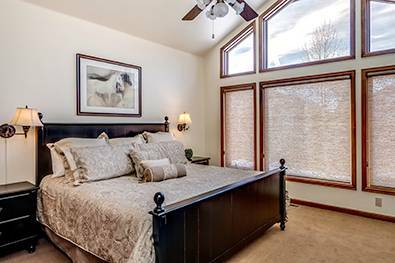 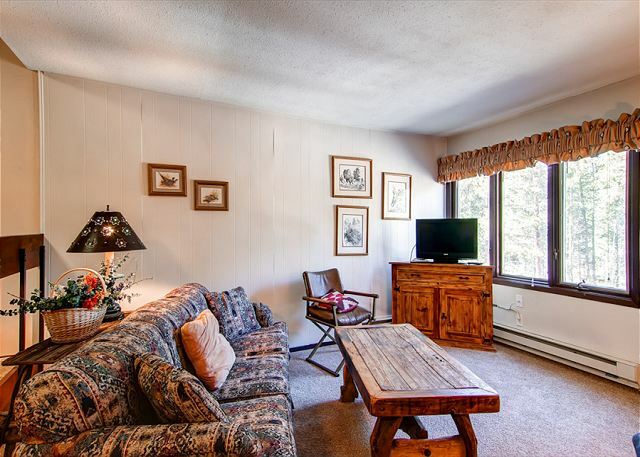 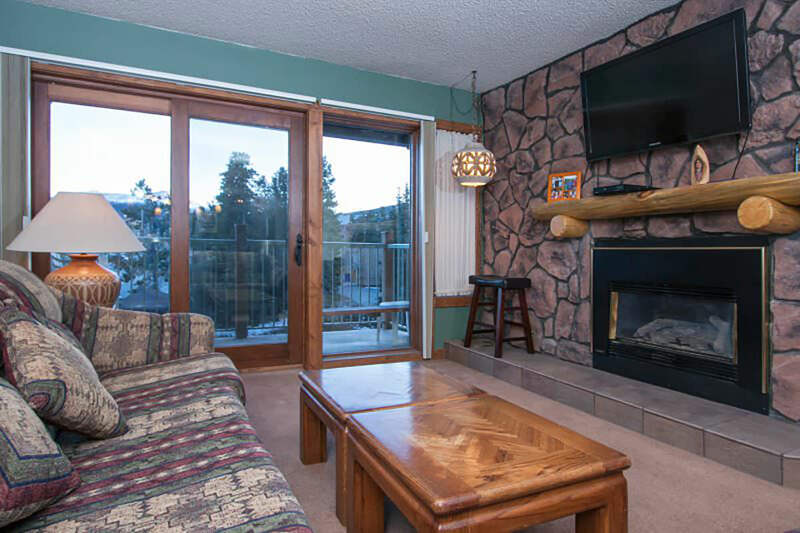 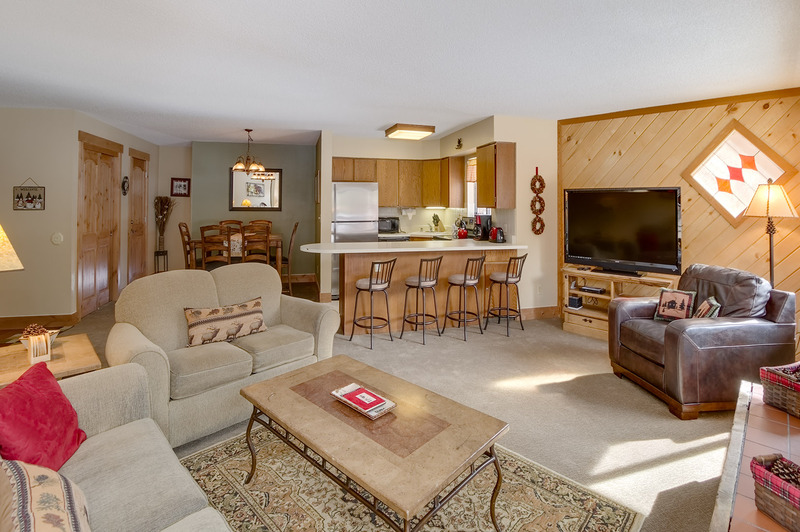 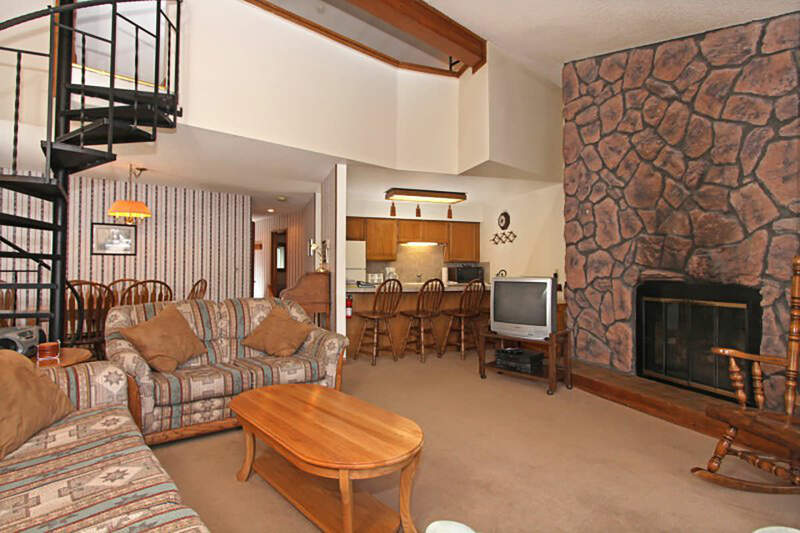 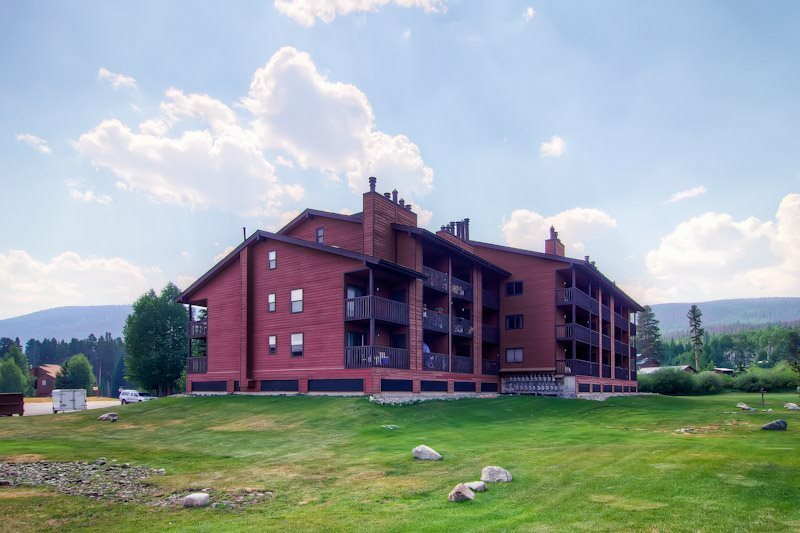 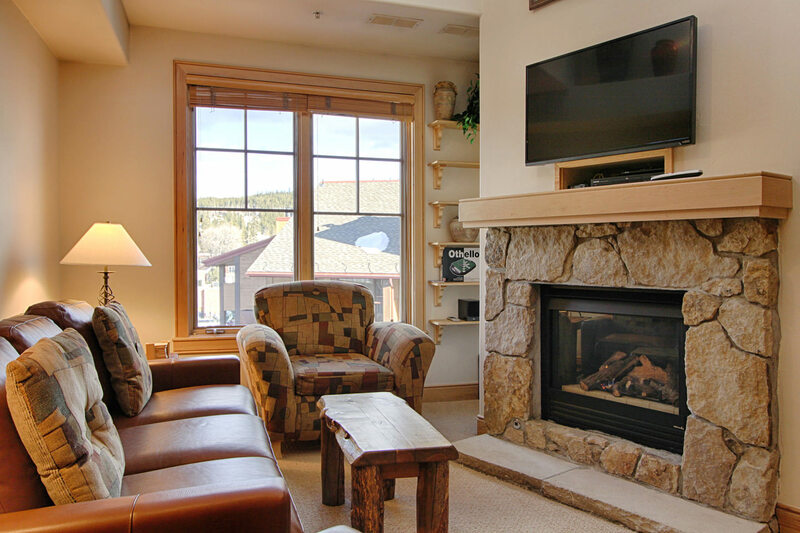 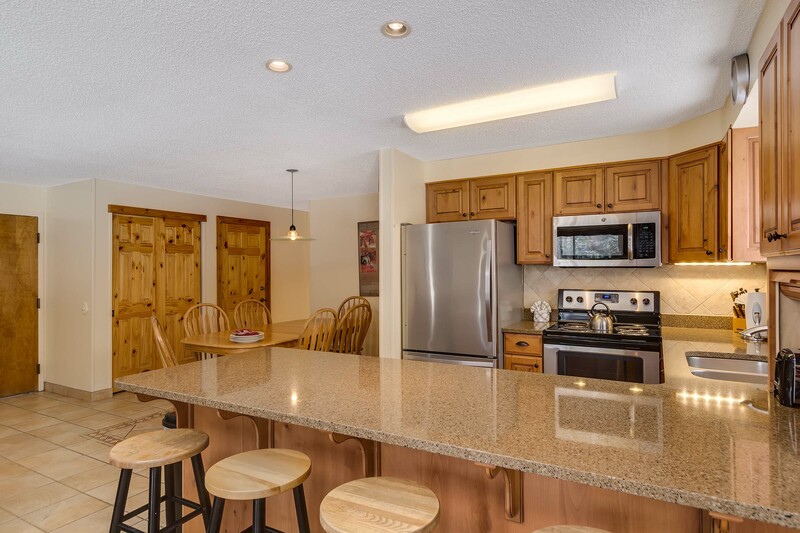 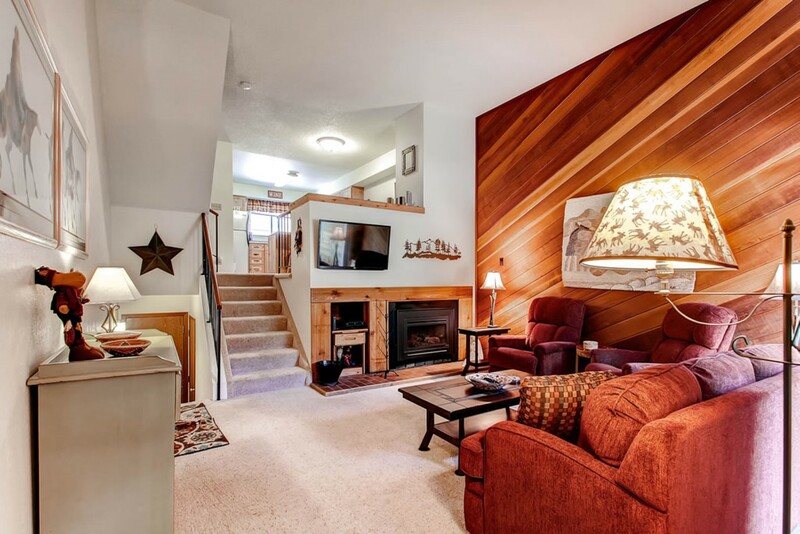 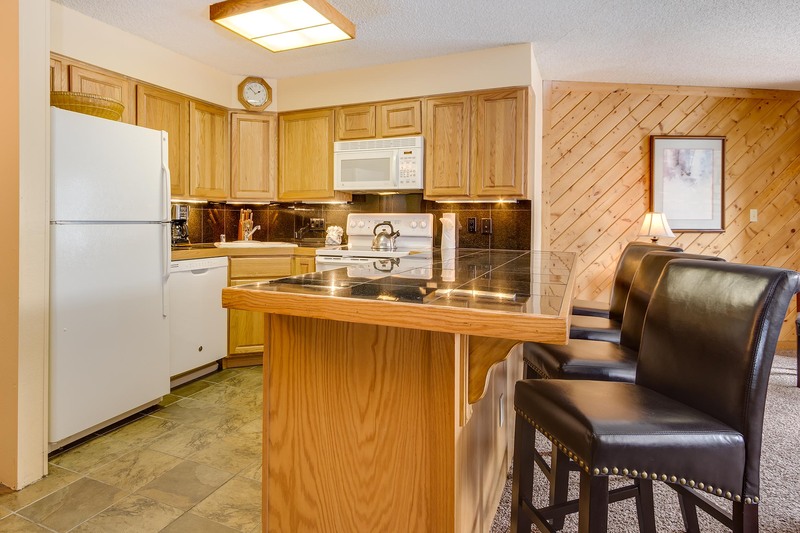 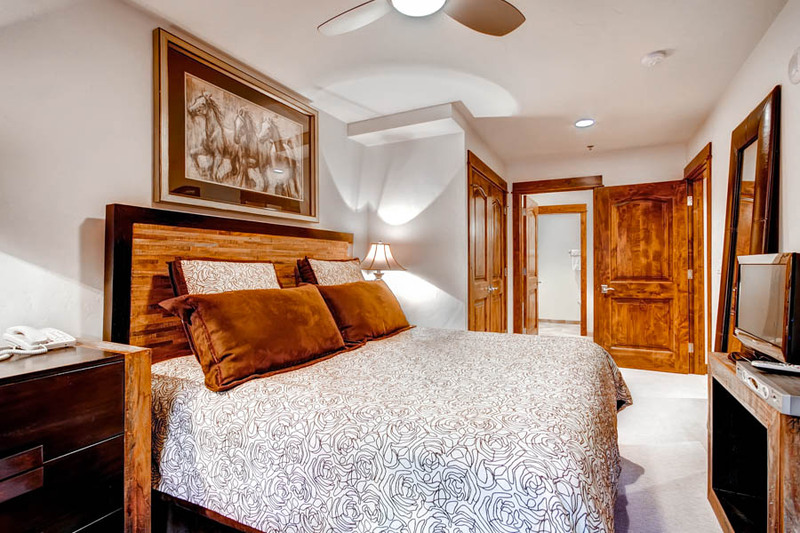 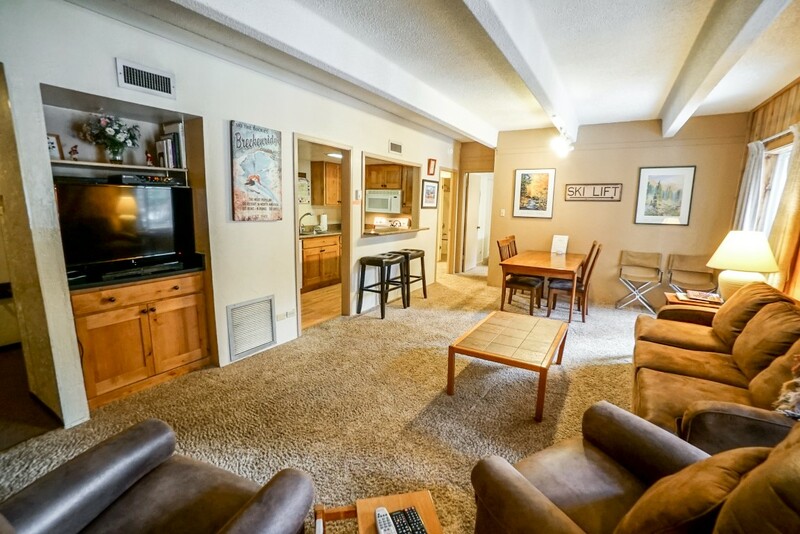 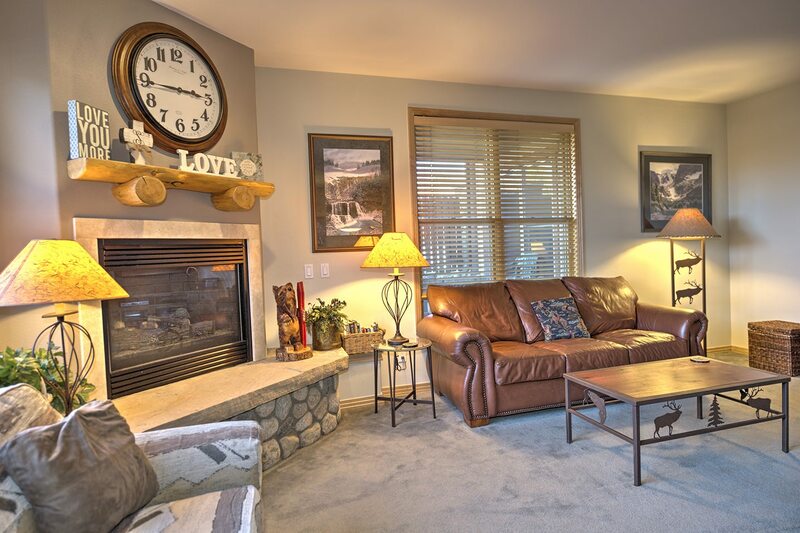 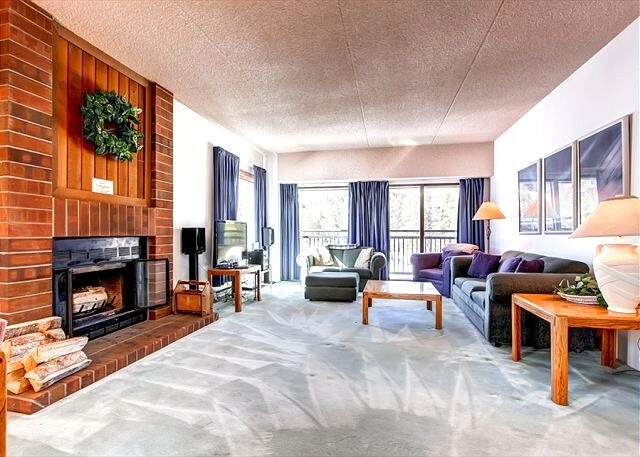 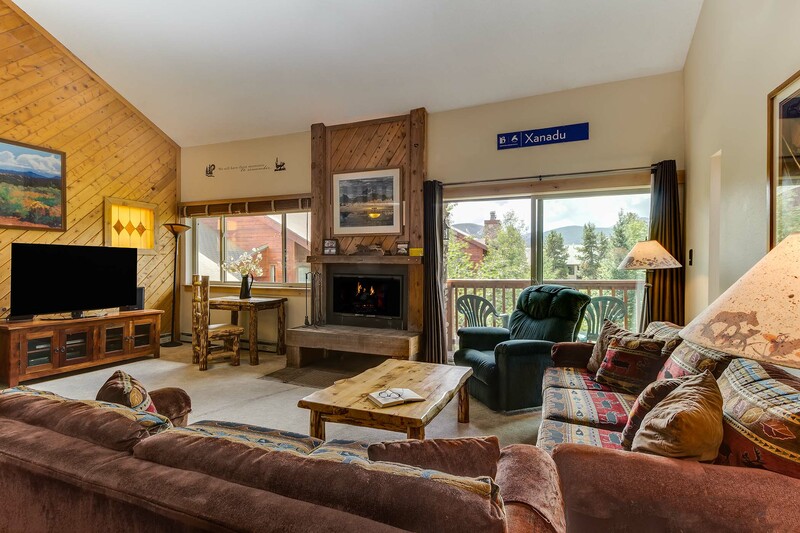 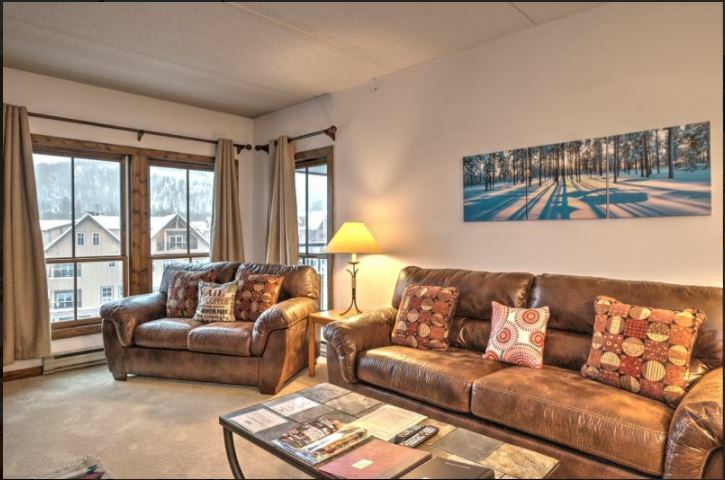 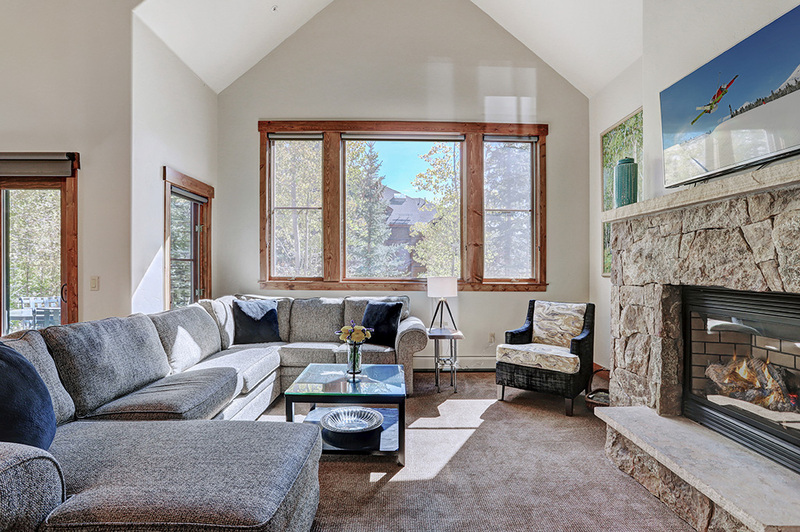 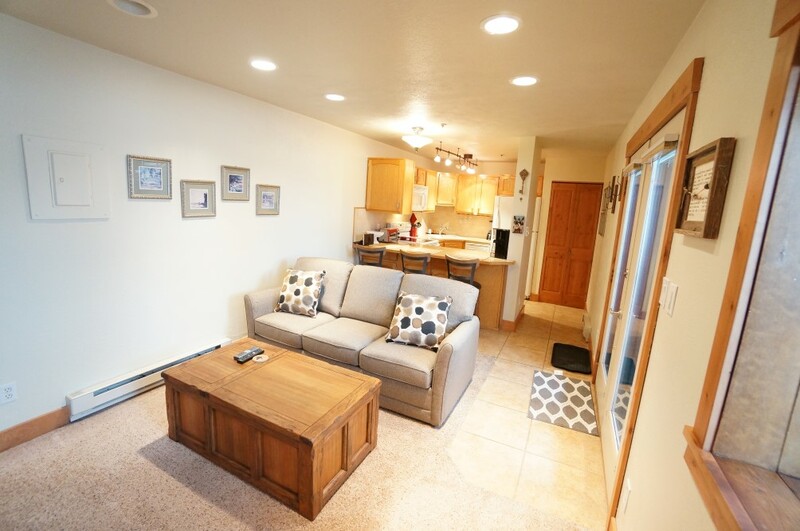 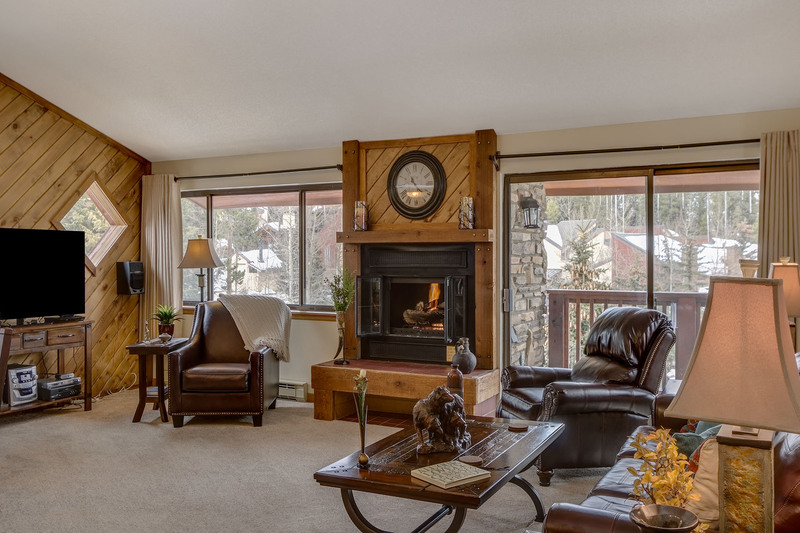 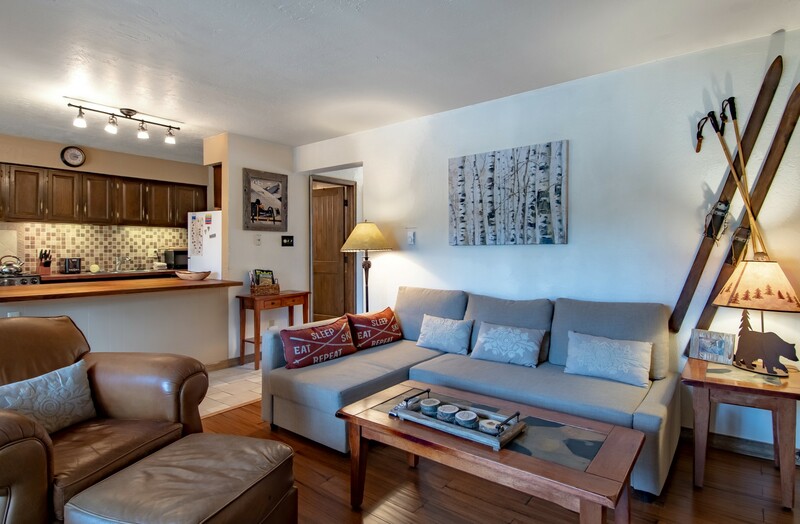 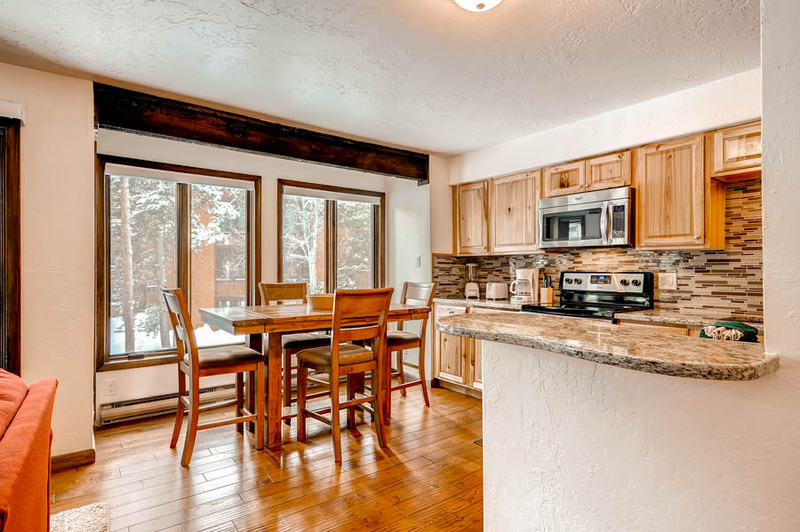 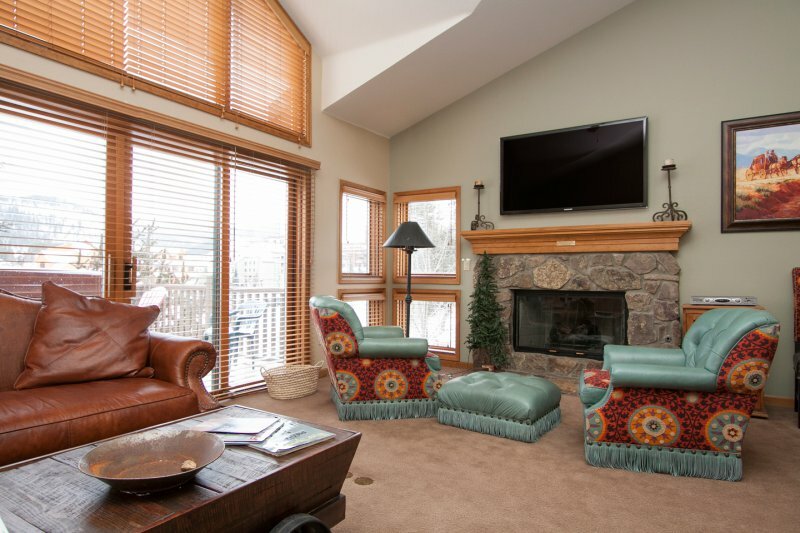 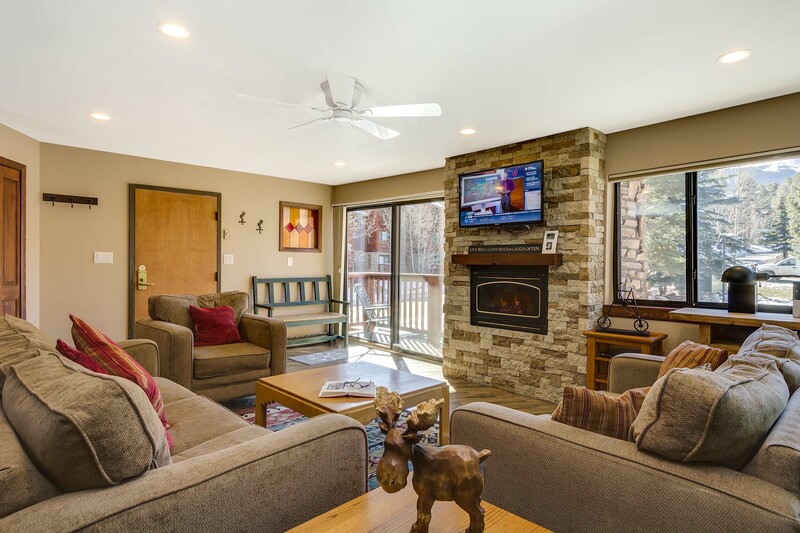 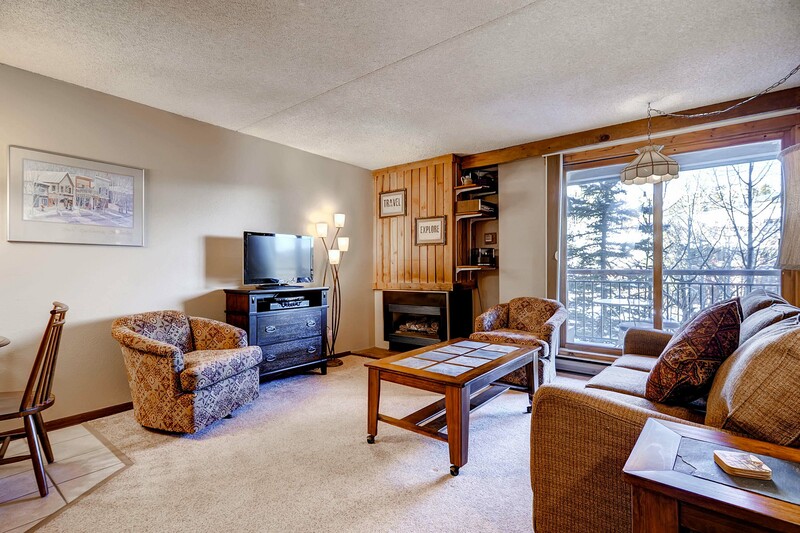 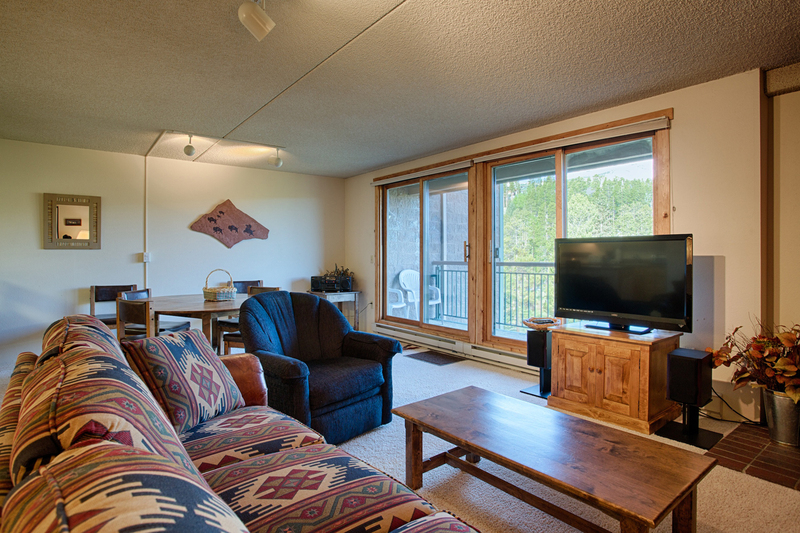 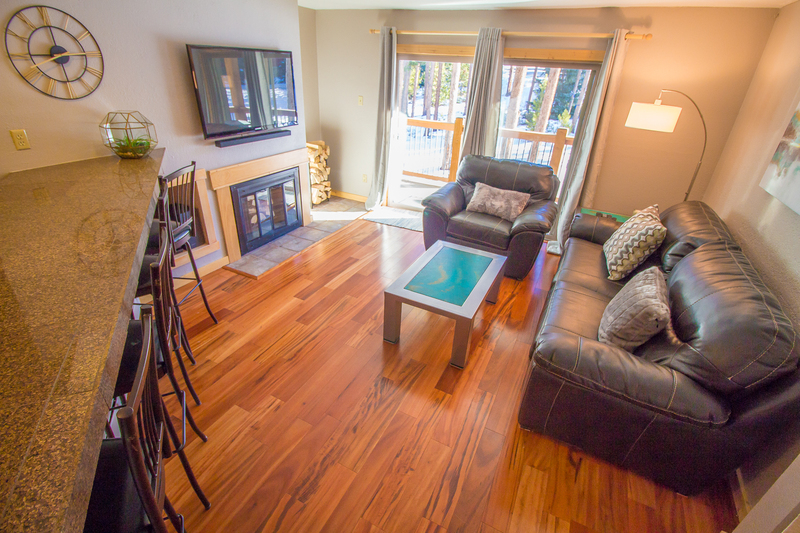 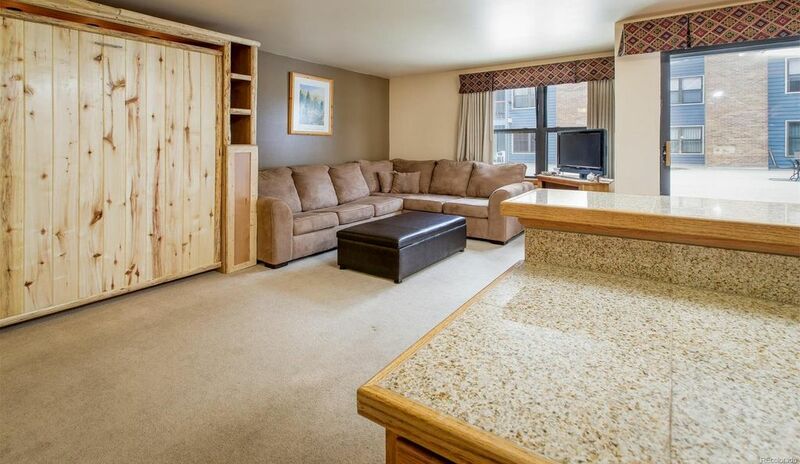 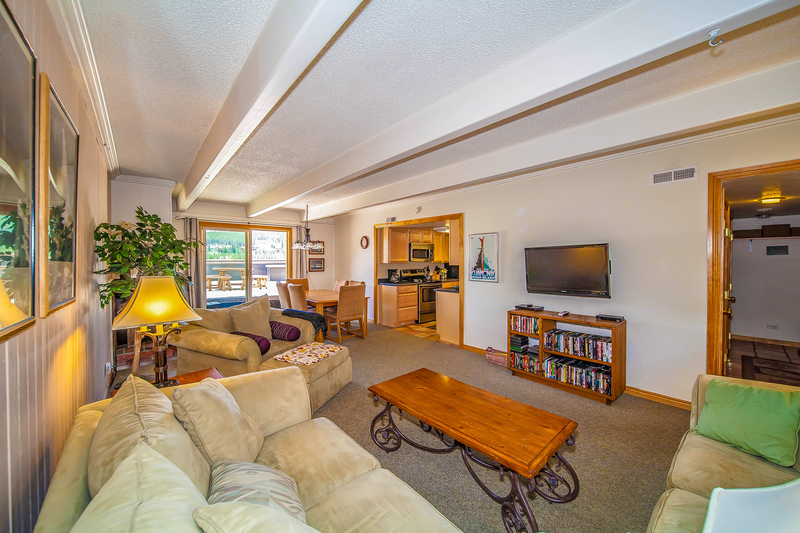 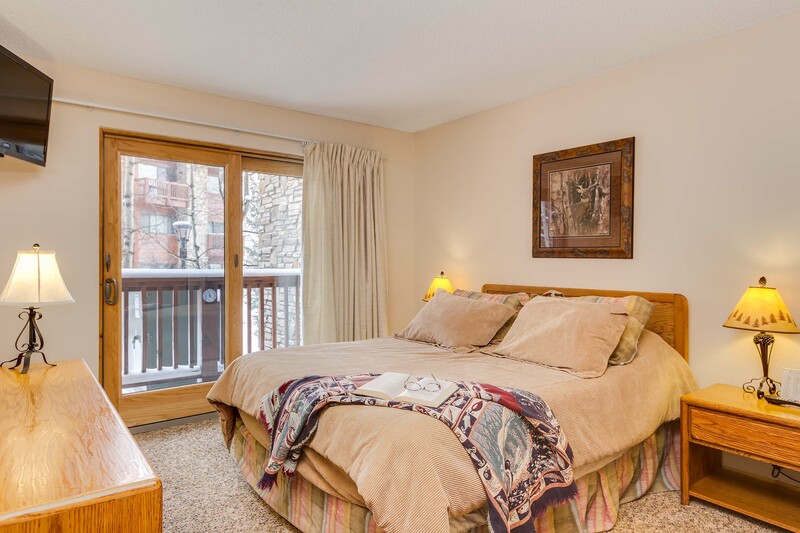 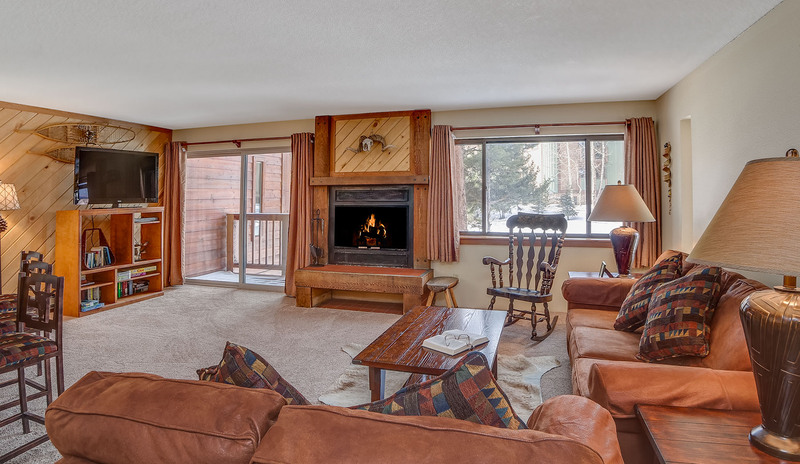 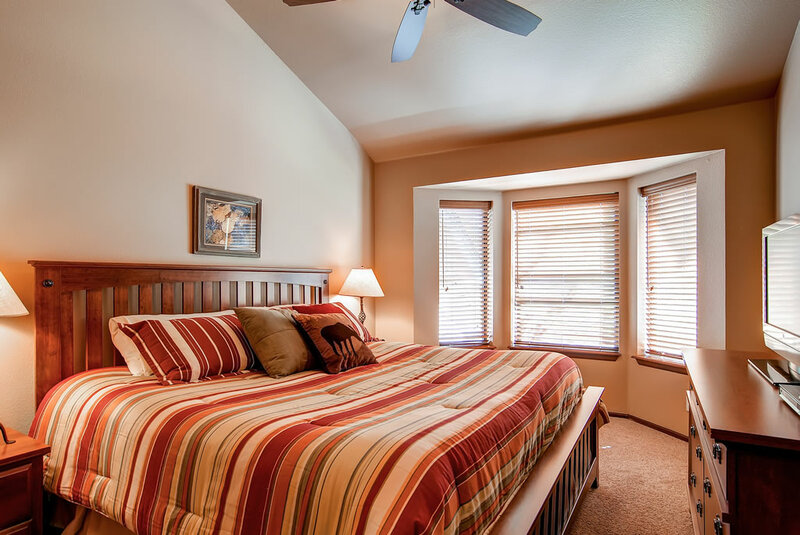 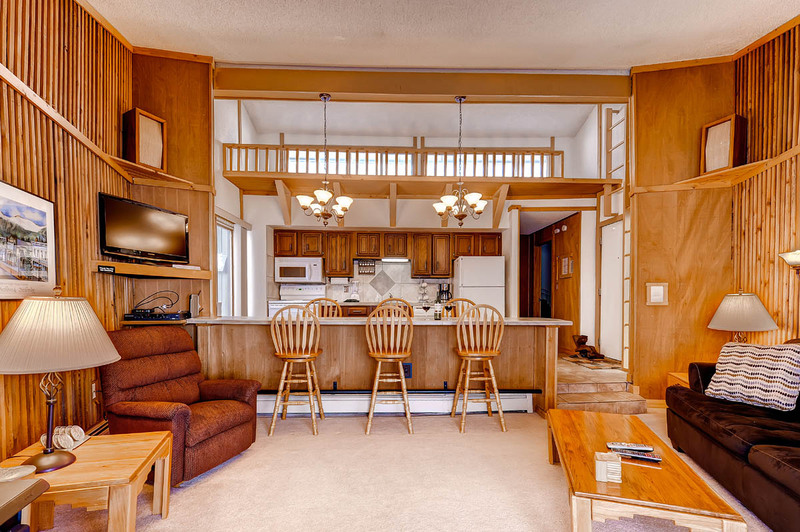 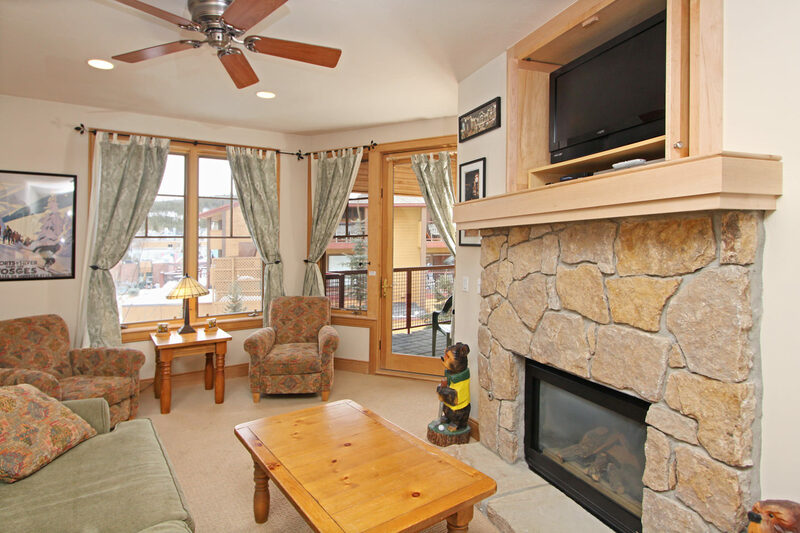 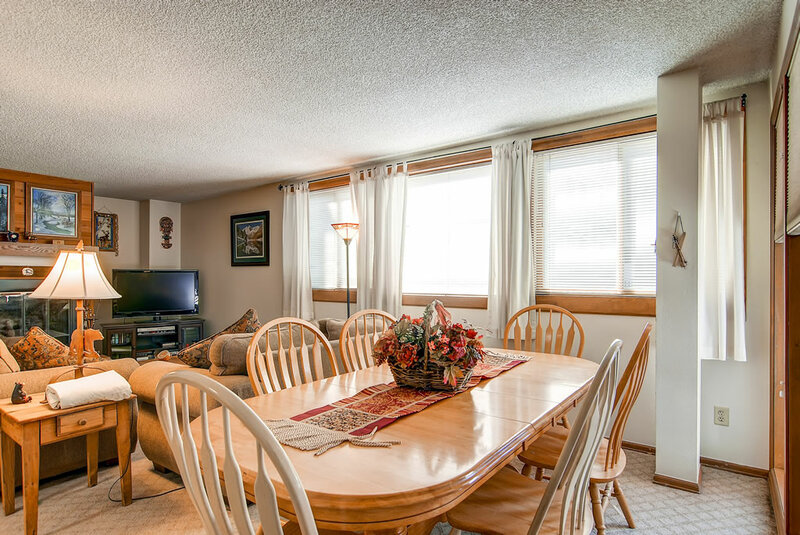 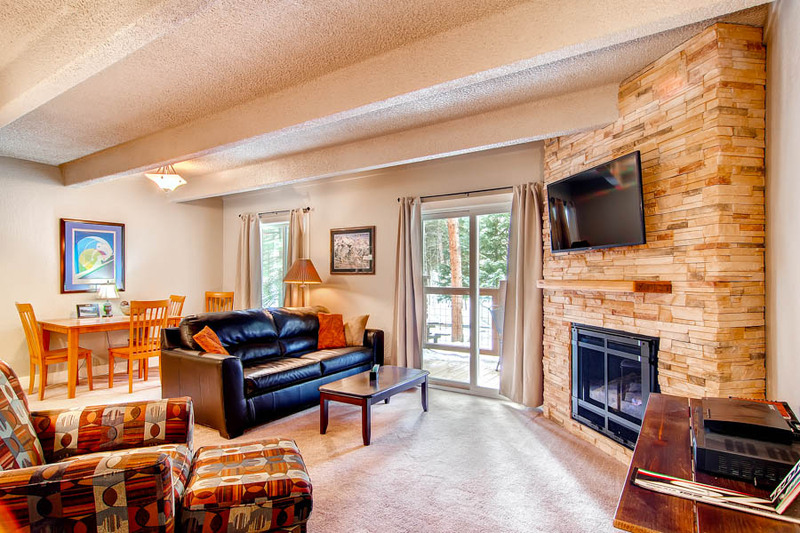 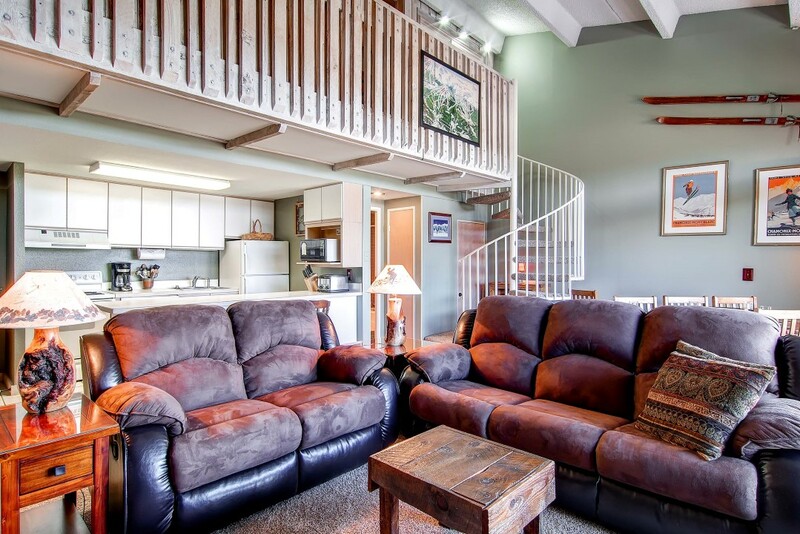 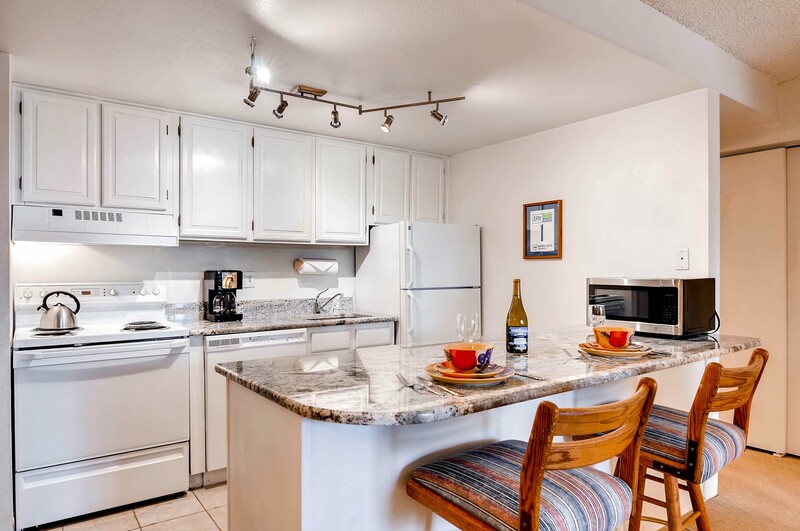 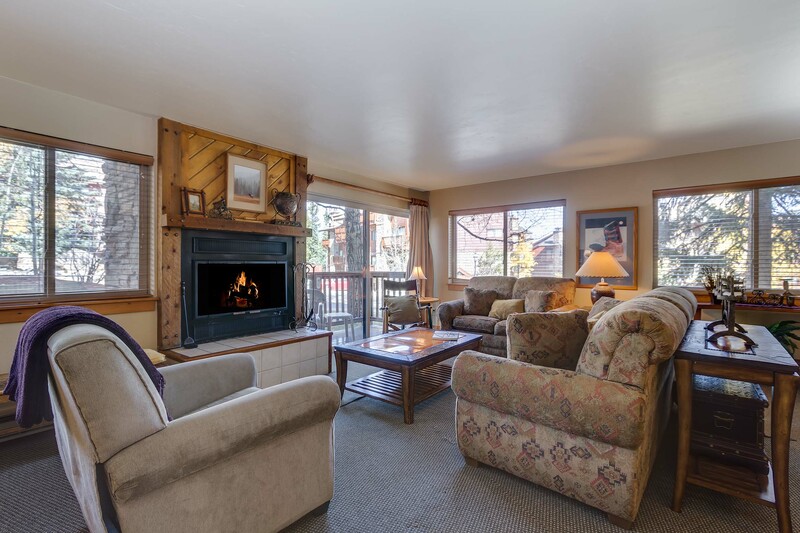 Park Place condos are in the ideal location, close to the slopes, Main St and the shuttle making it the perfect spot for your next vacation any time of year! 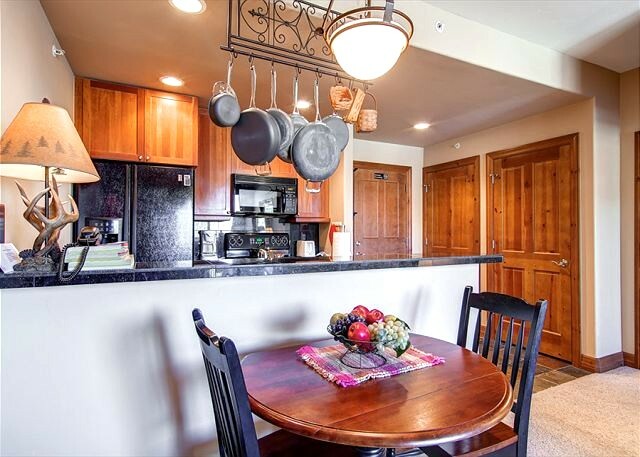 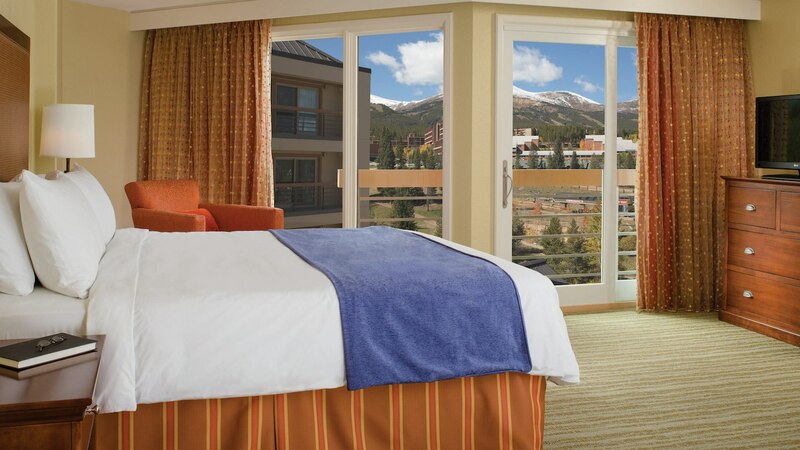 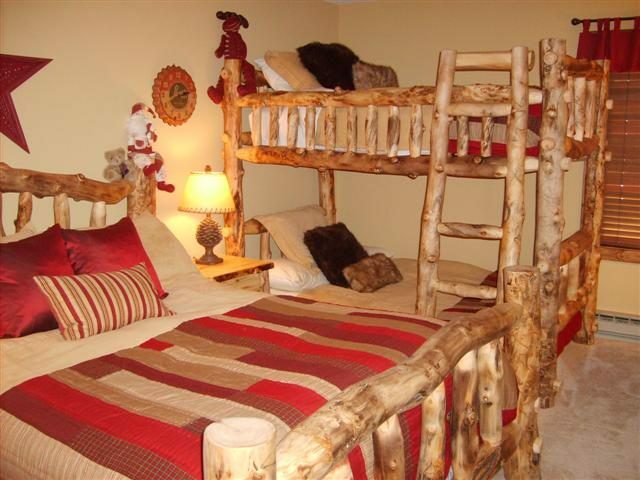 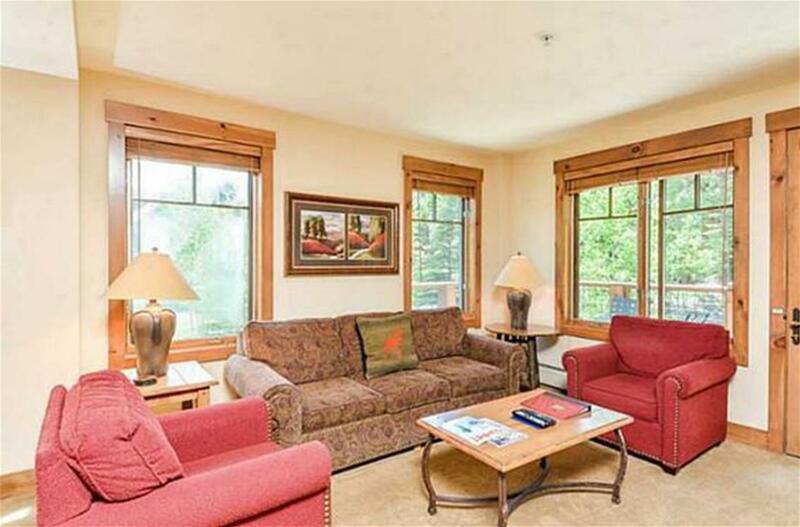 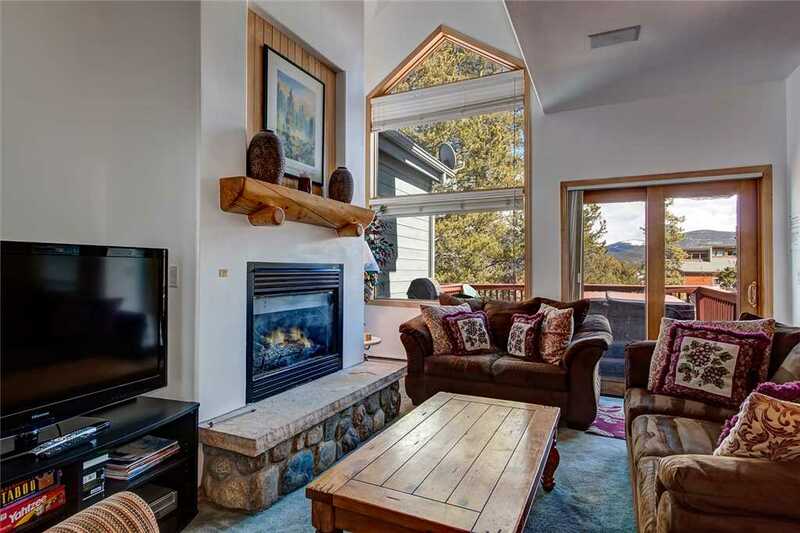 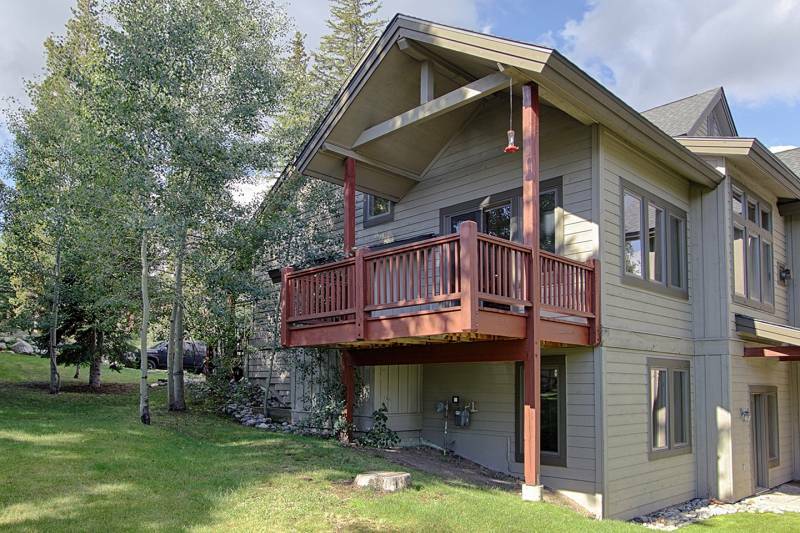 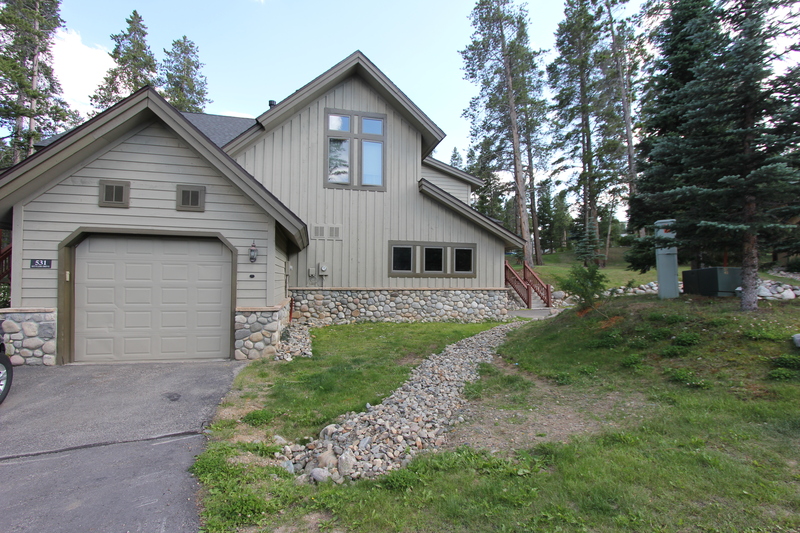 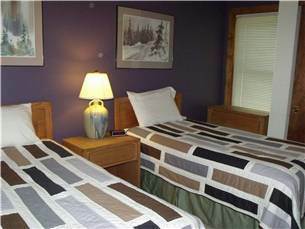 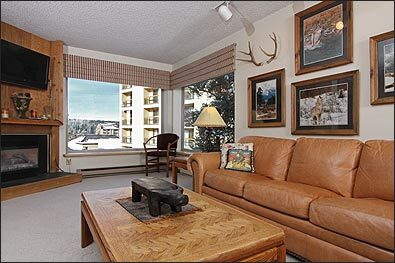 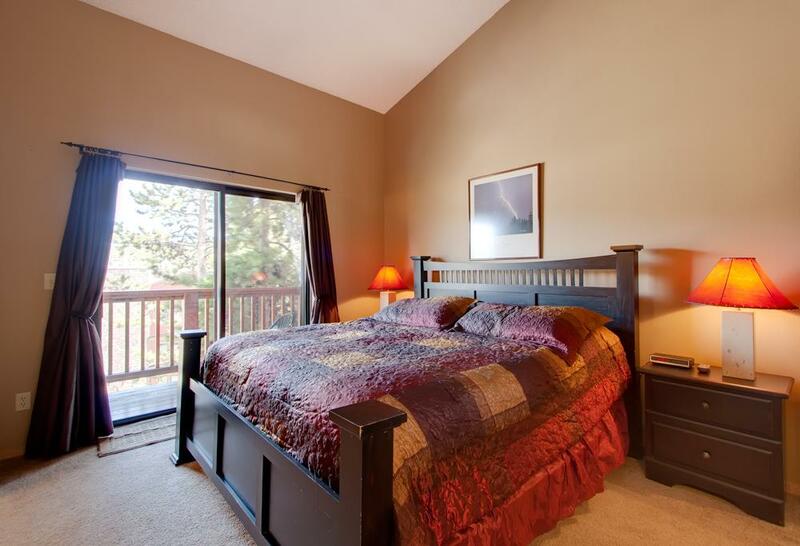 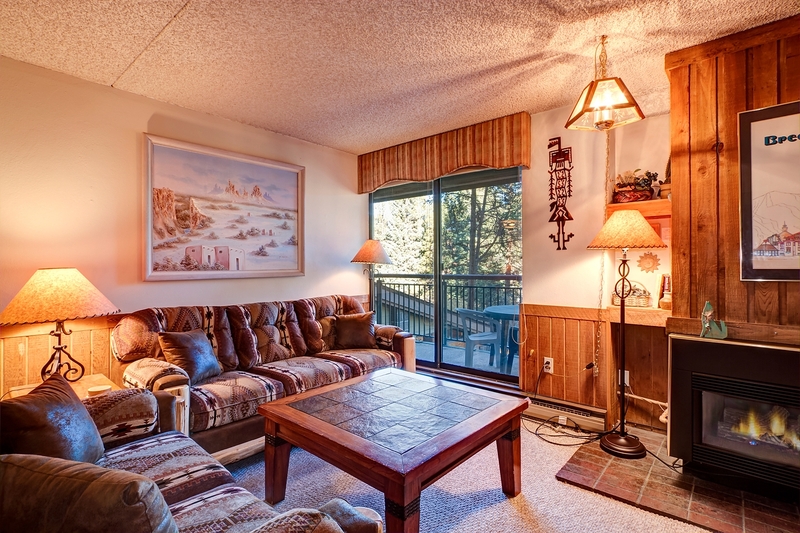 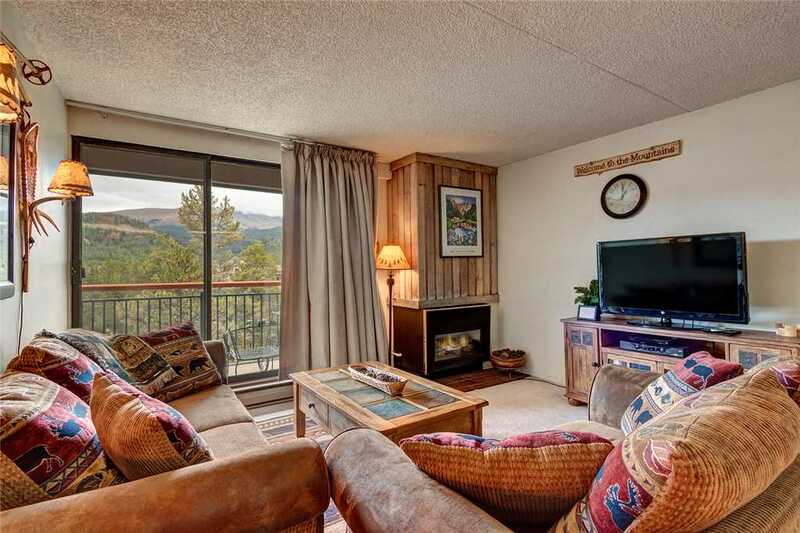 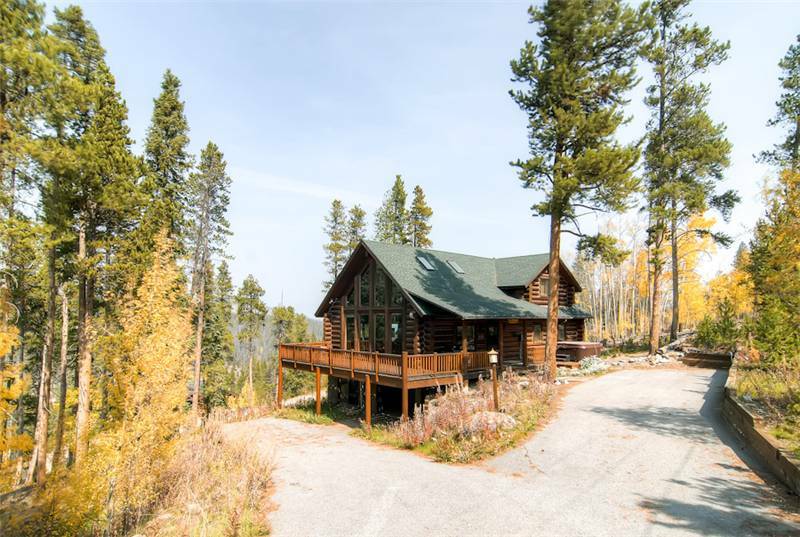 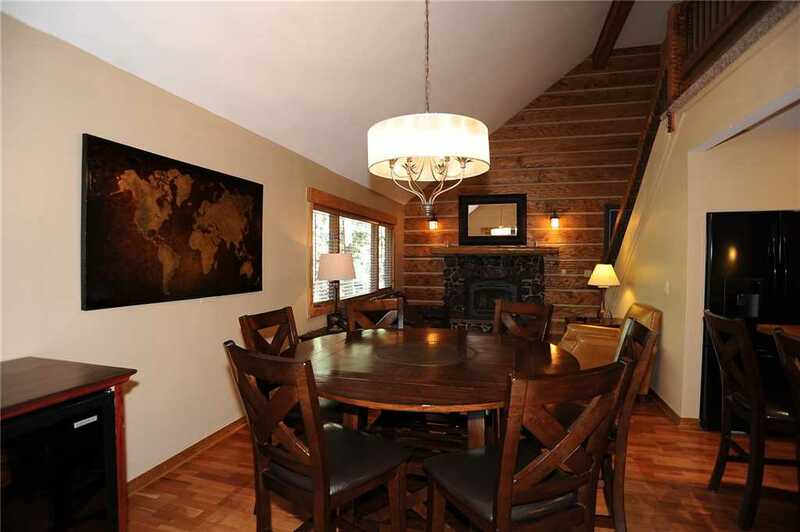 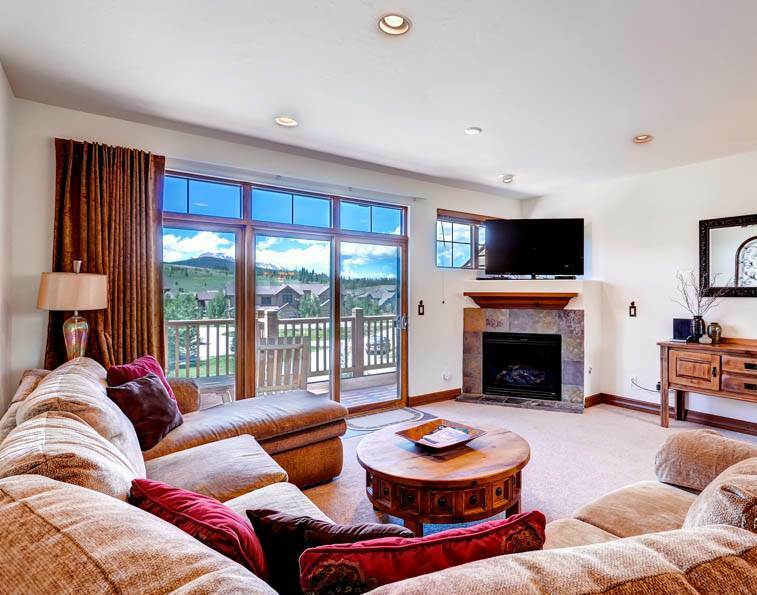 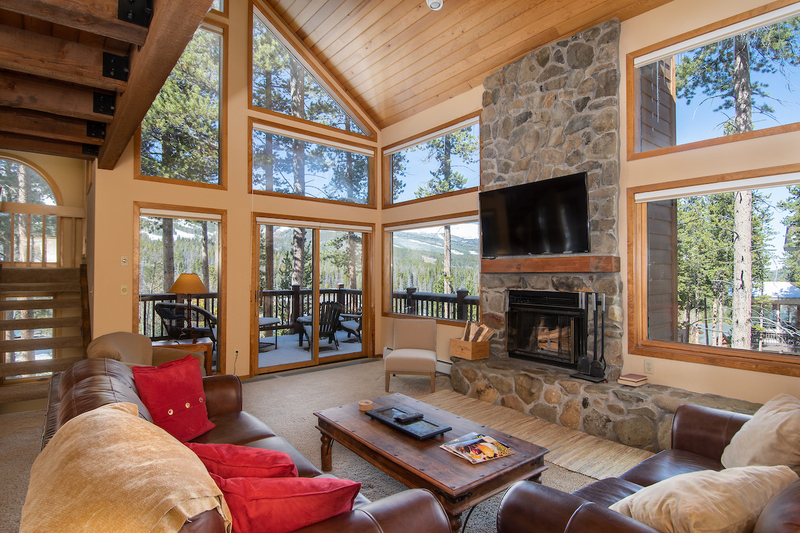 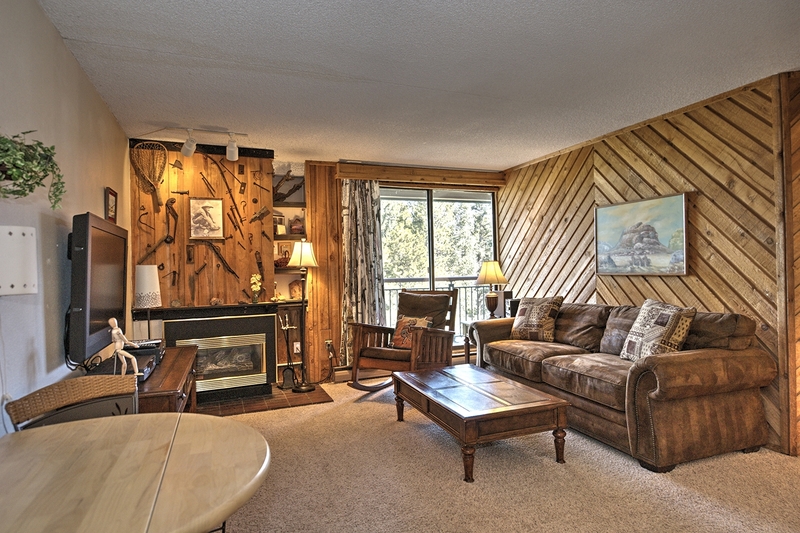 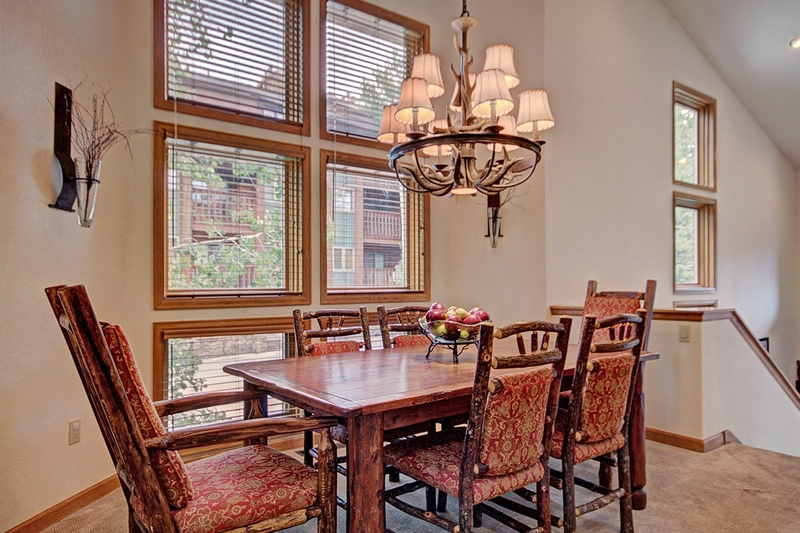 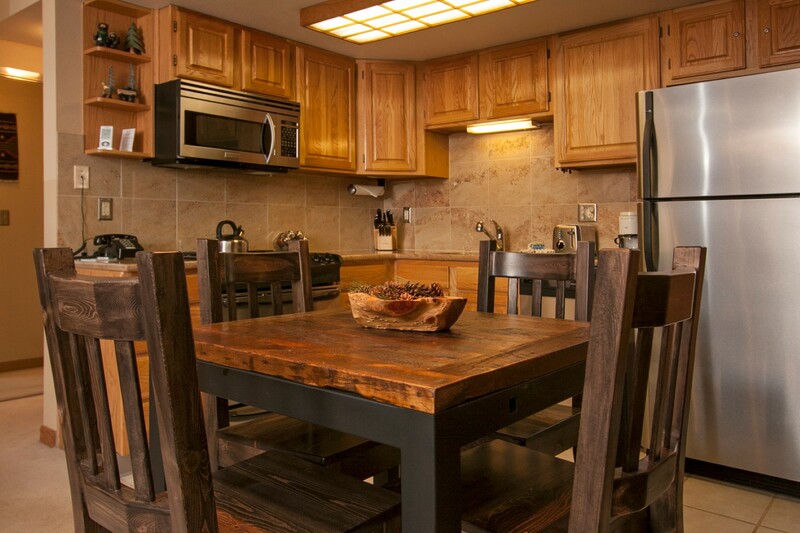 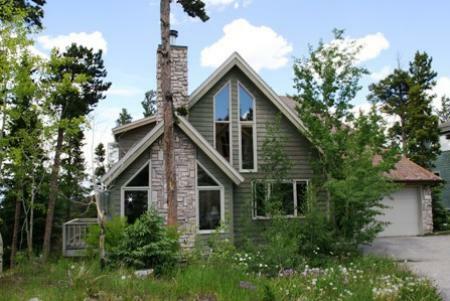 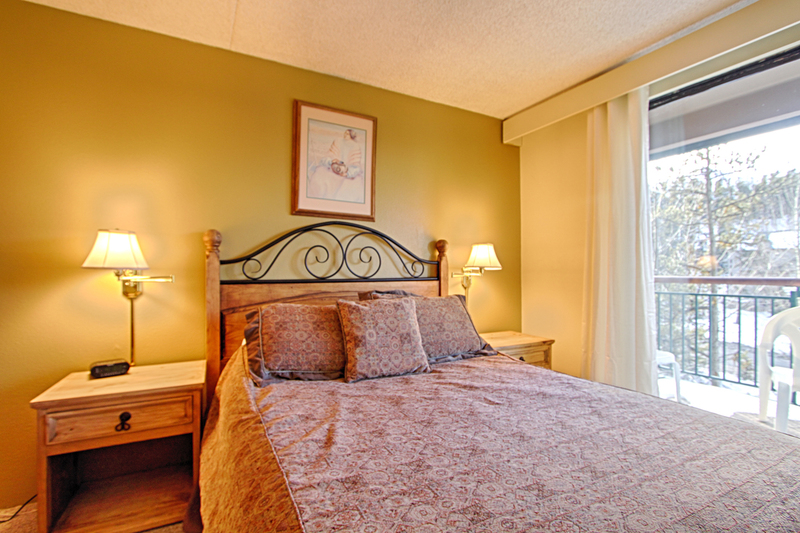 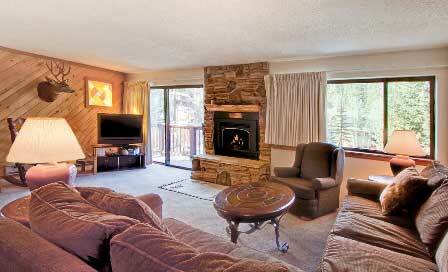 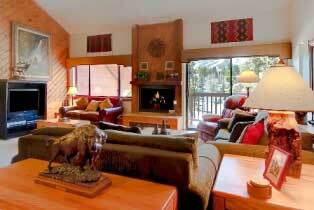 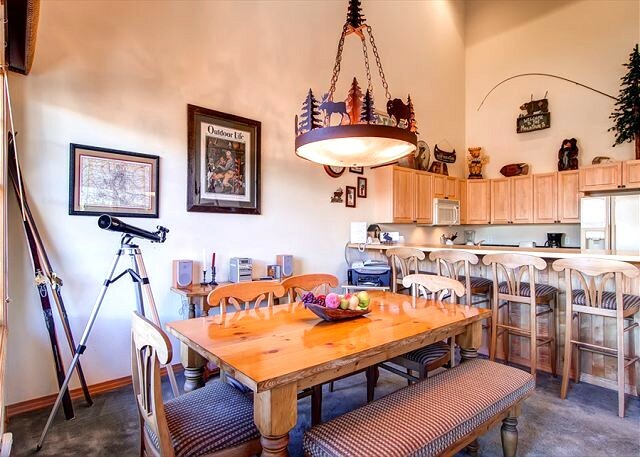 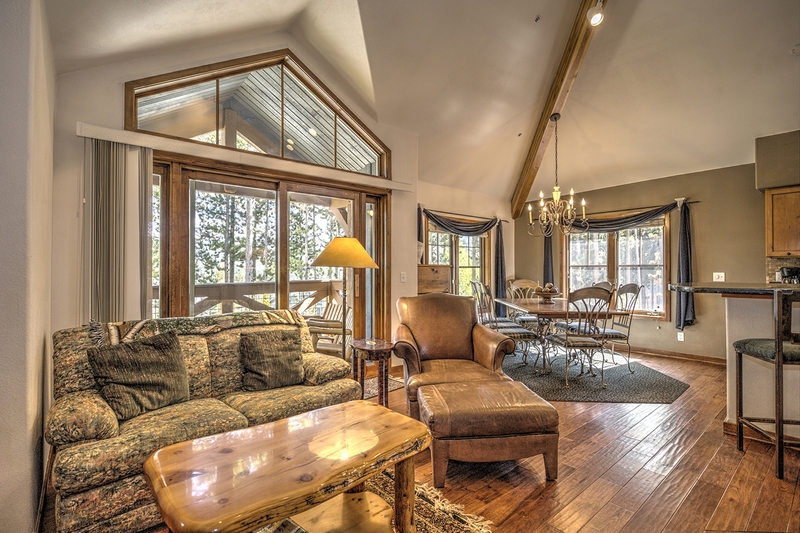 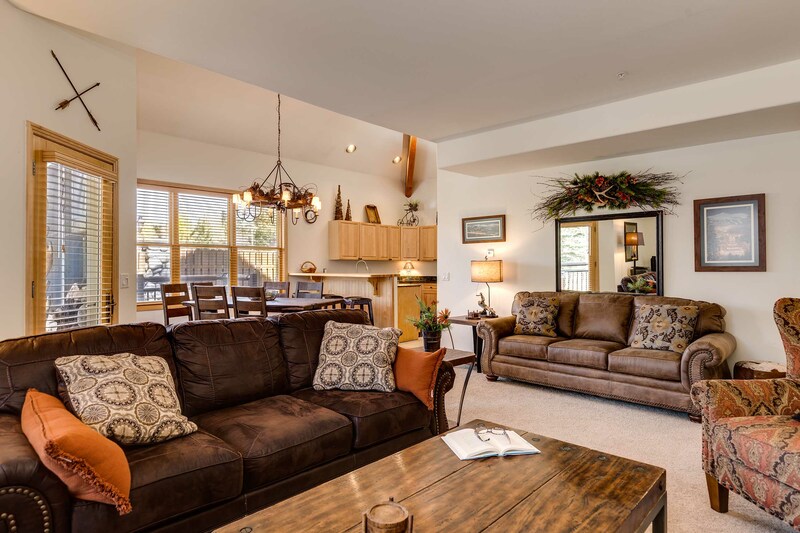 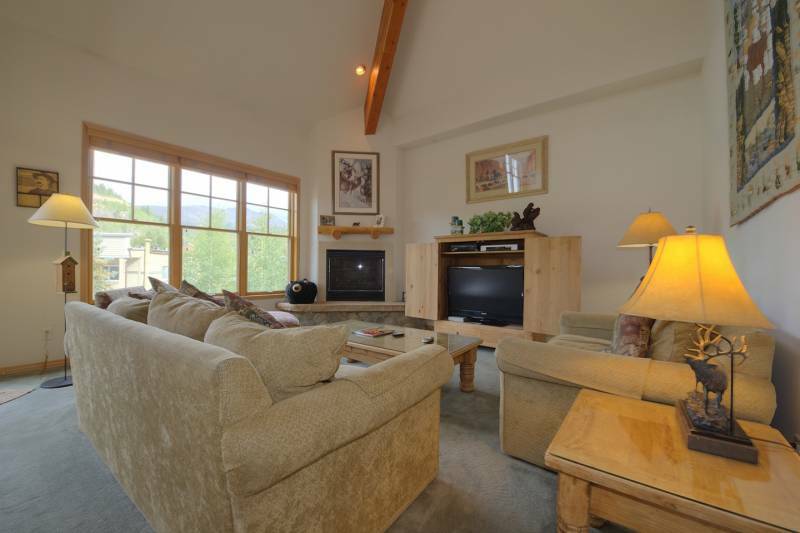 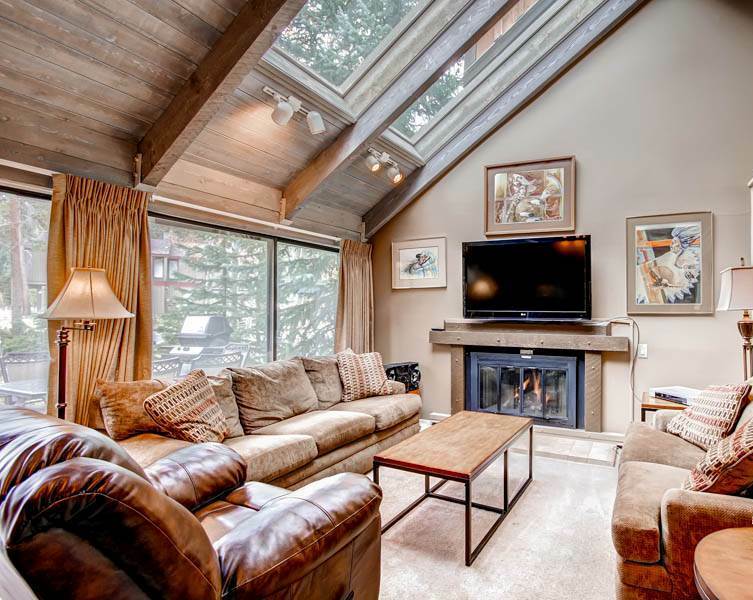 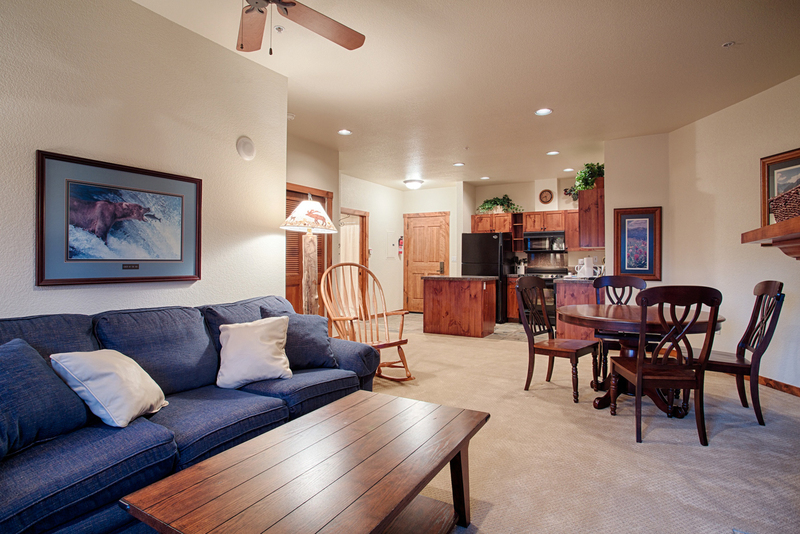 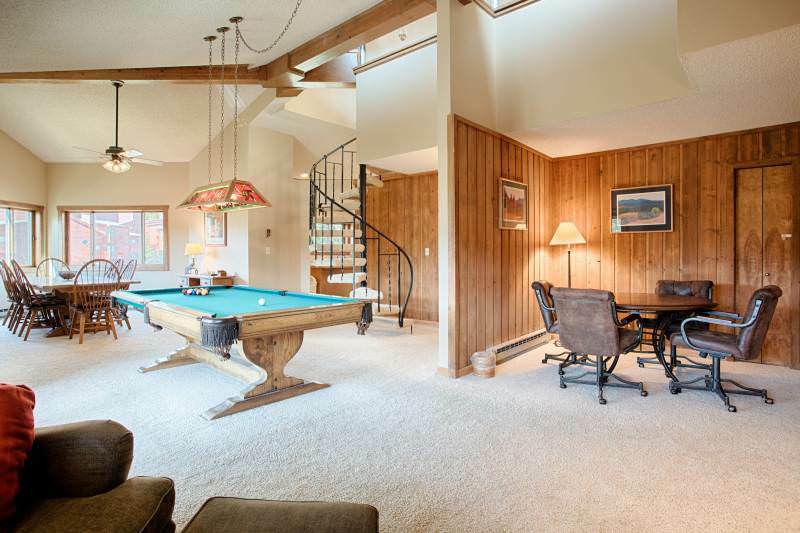 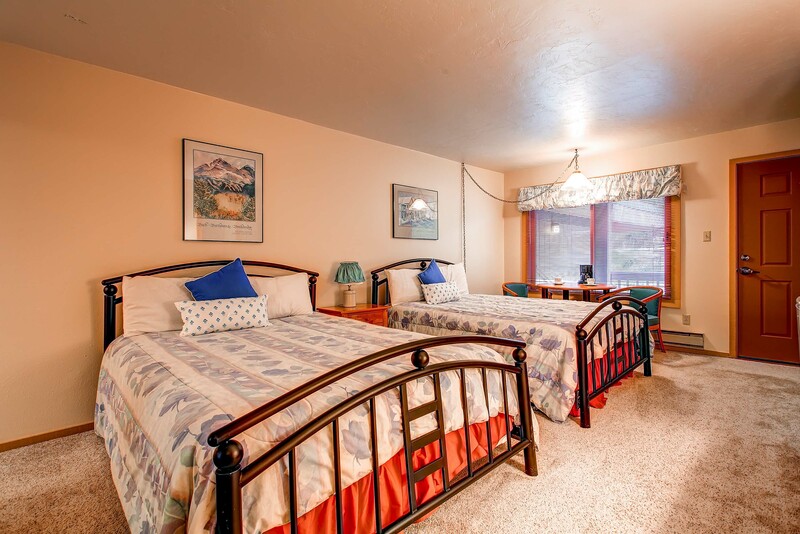 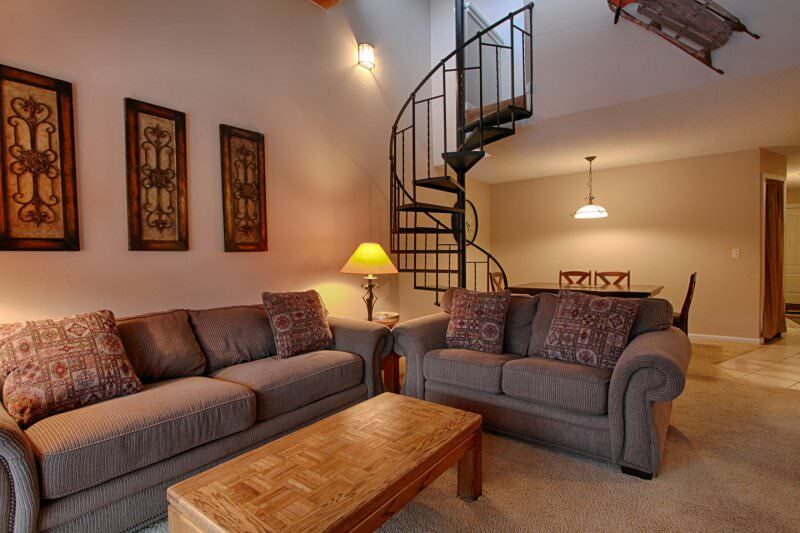 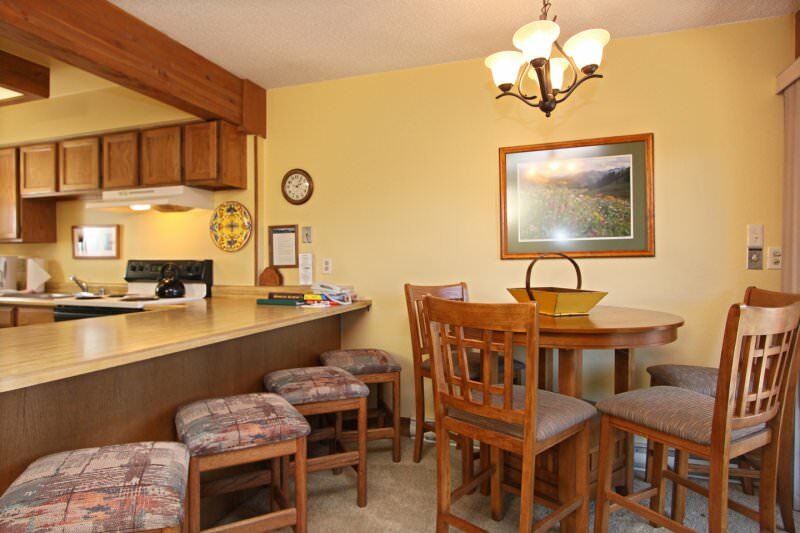 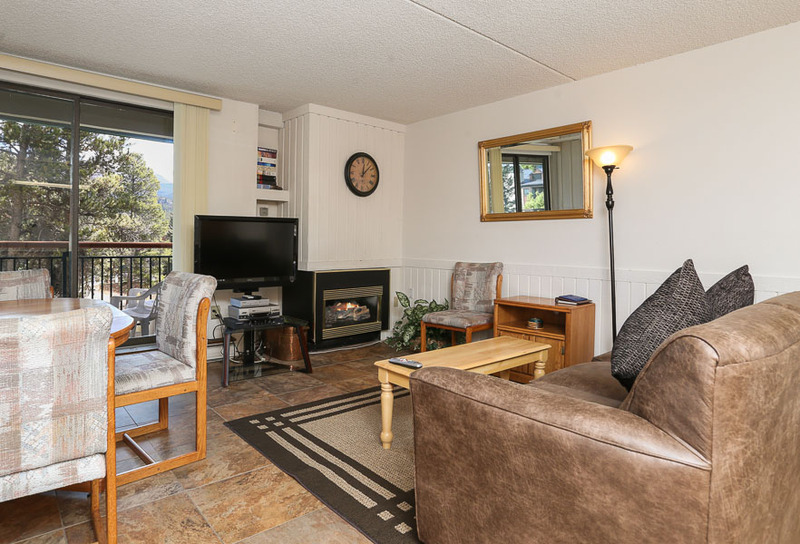 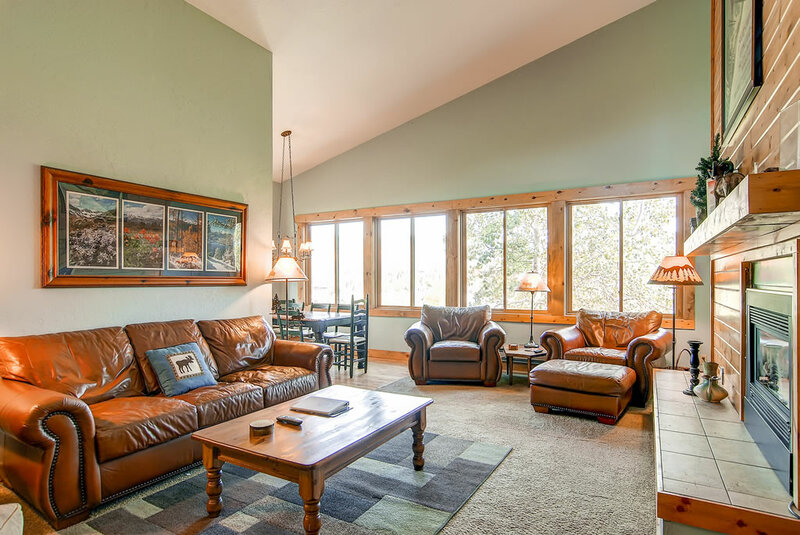 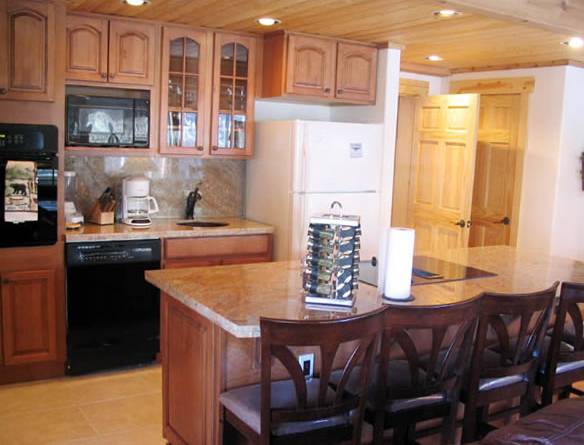 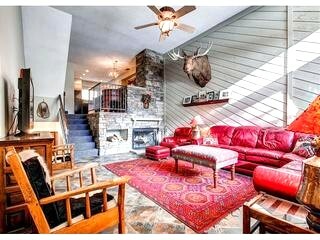 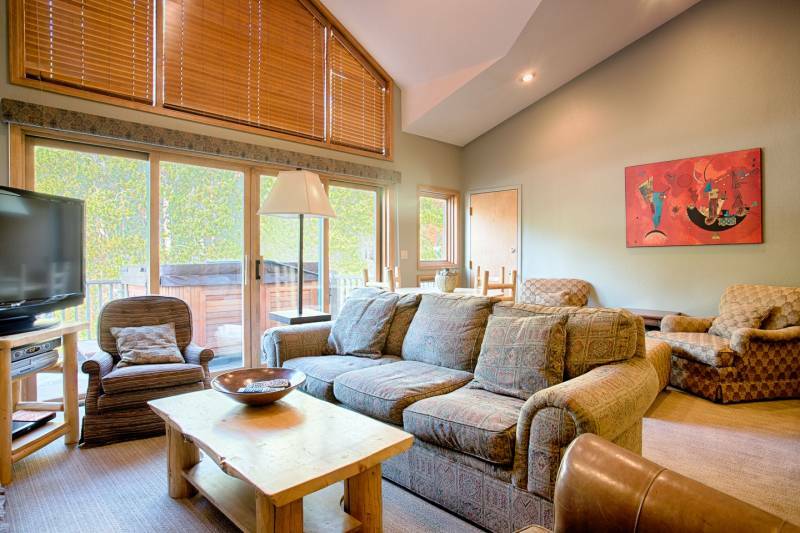 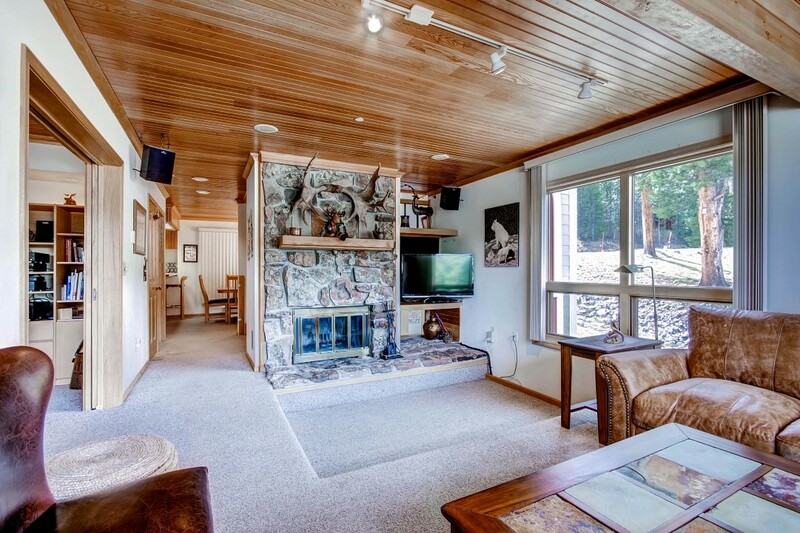 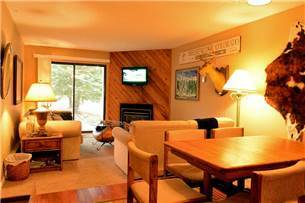 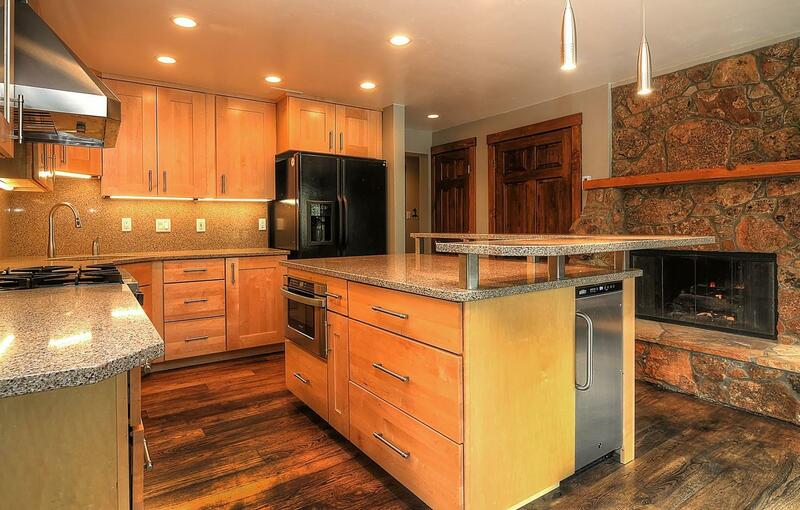 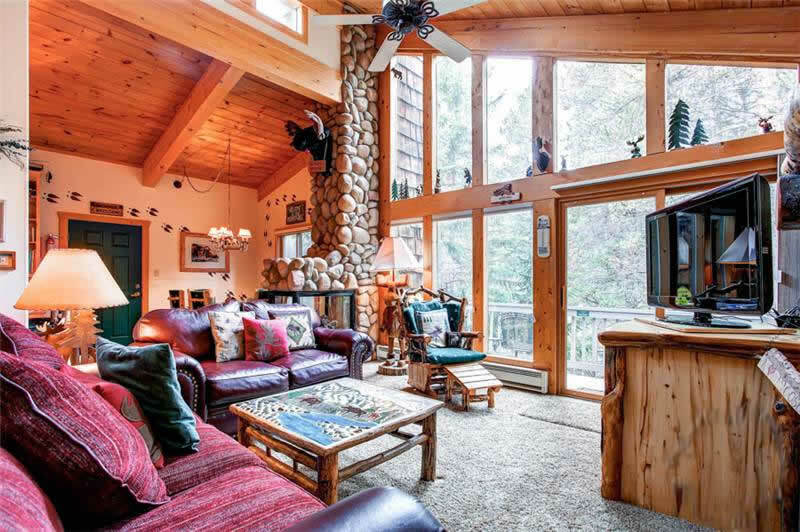 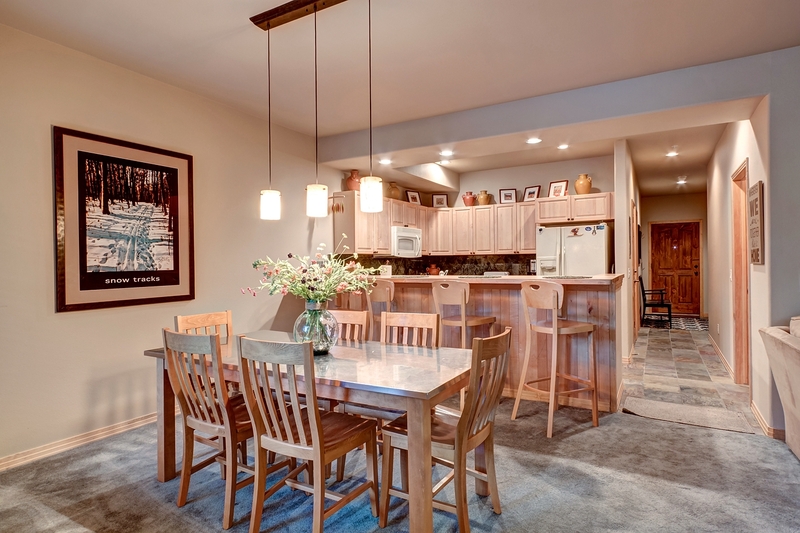 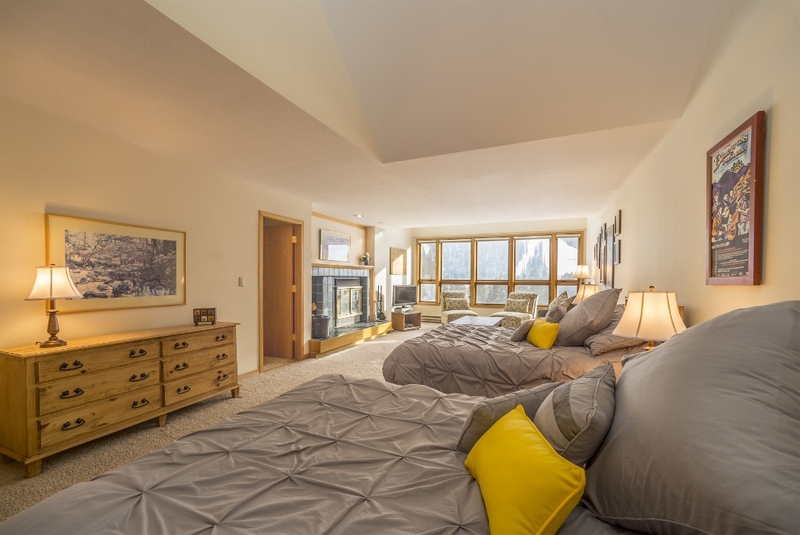 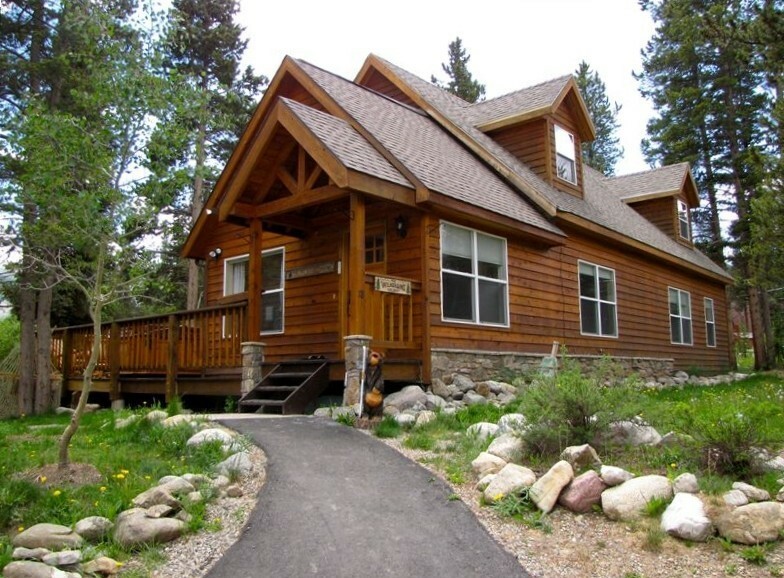 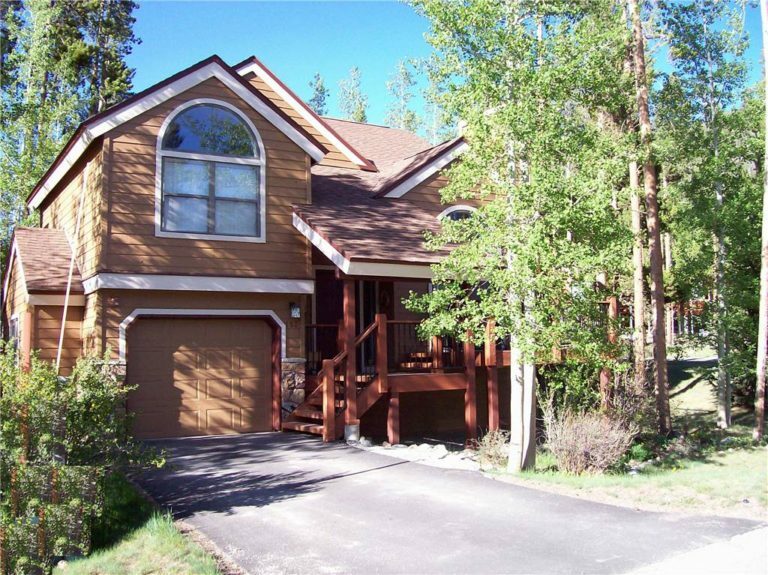 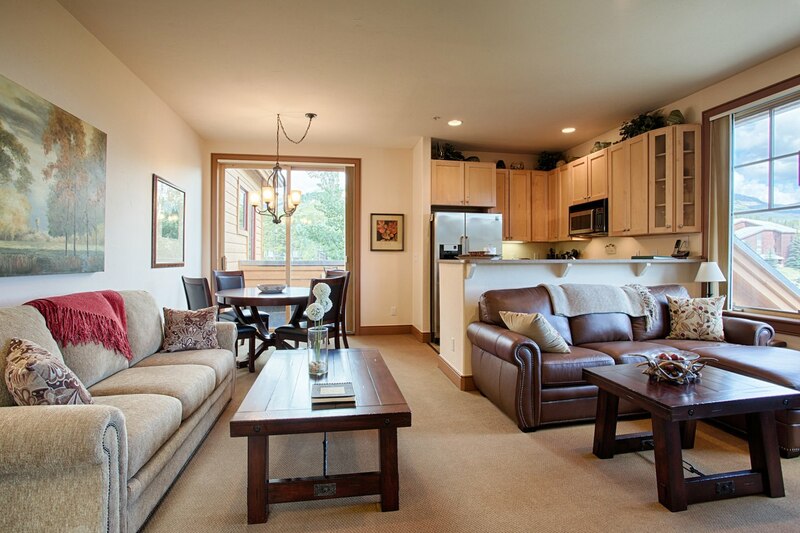 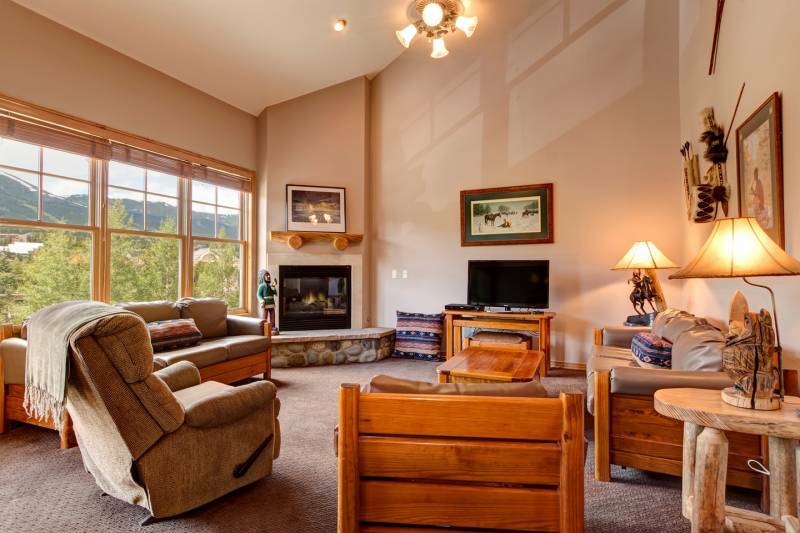 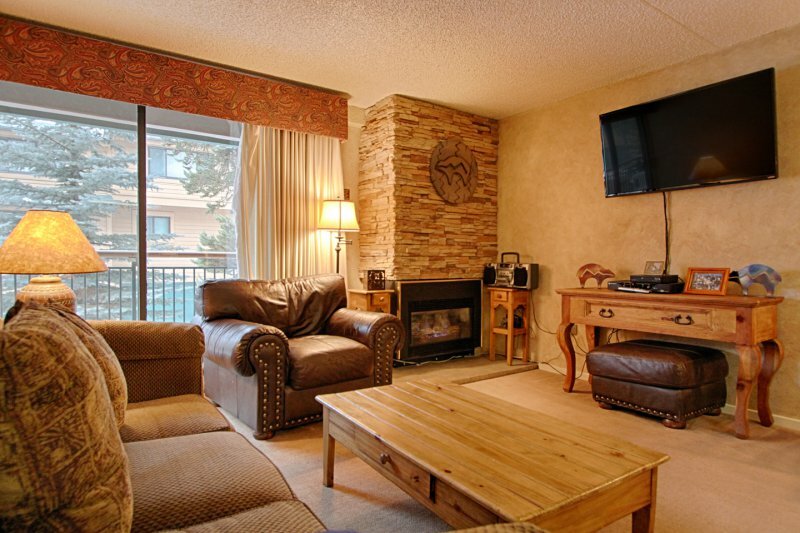 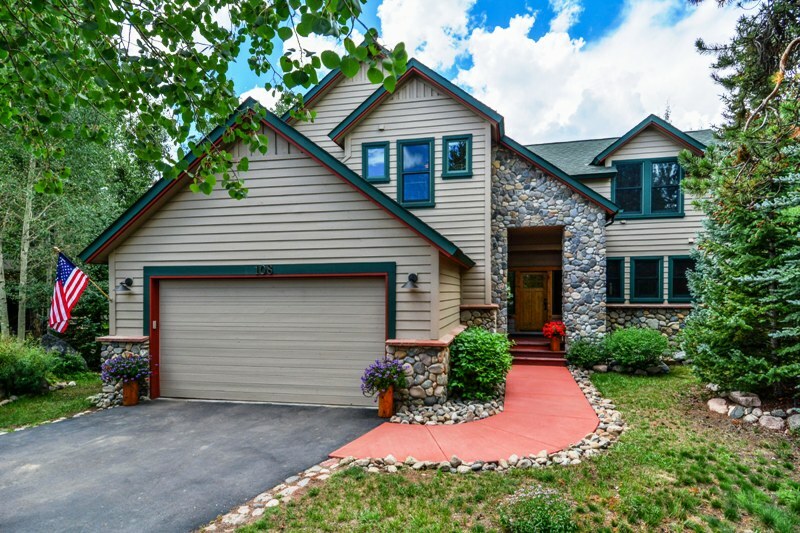 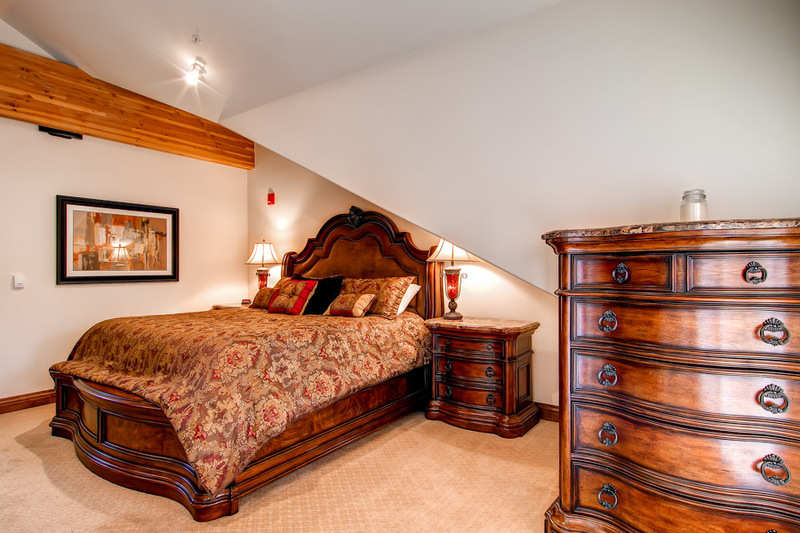 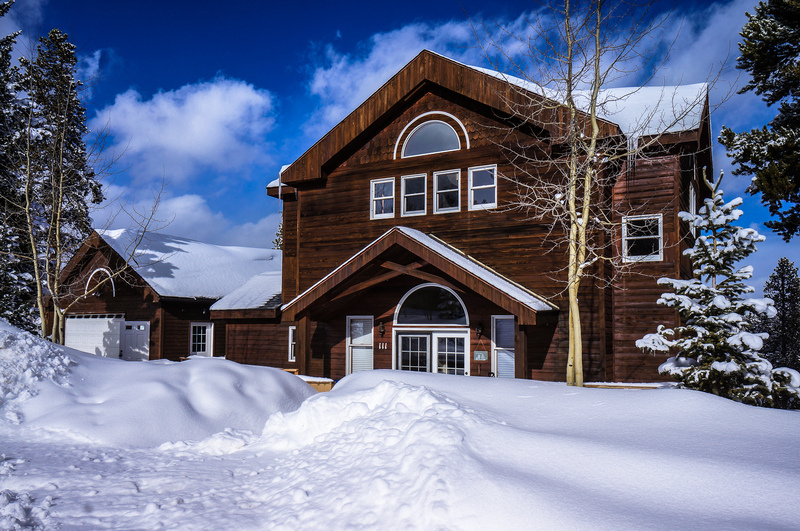 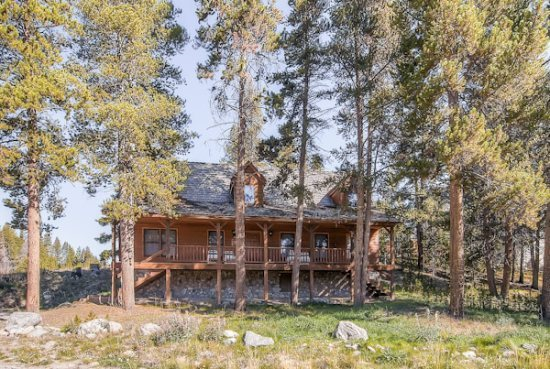 This tastefully appointed mountain retreat offers plenty of space and fantastic amenities for up to eight guests. 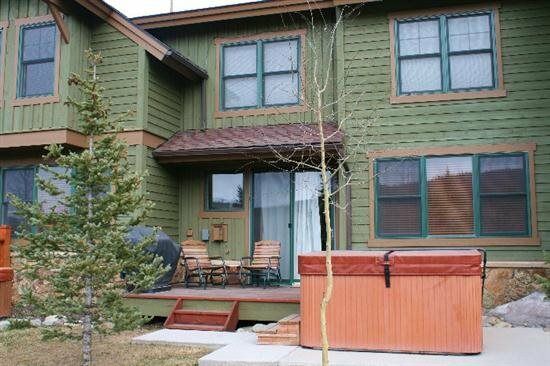 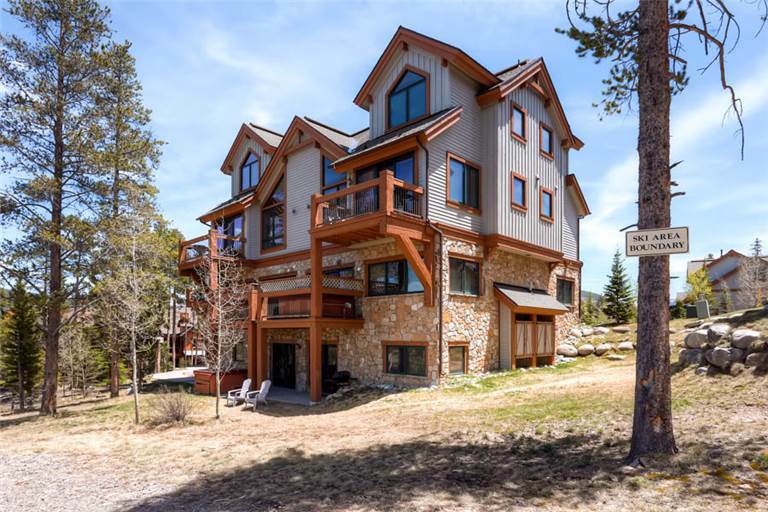 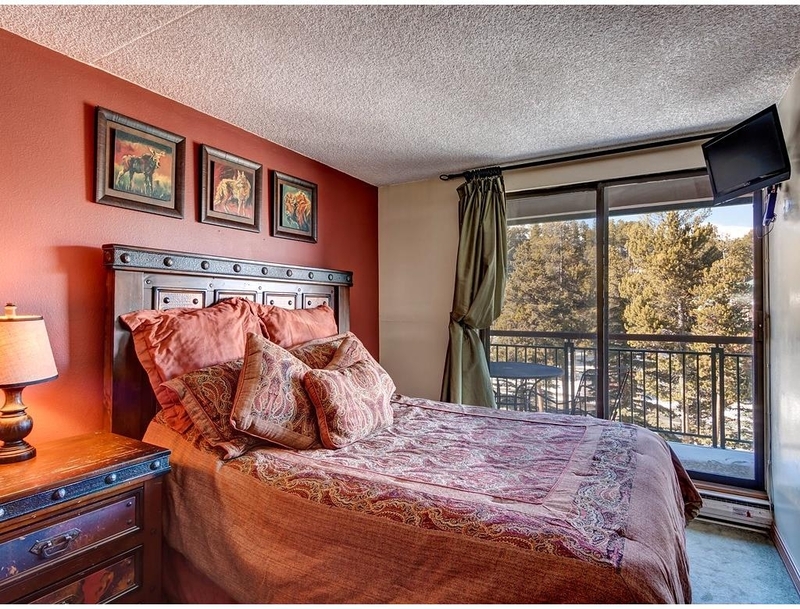 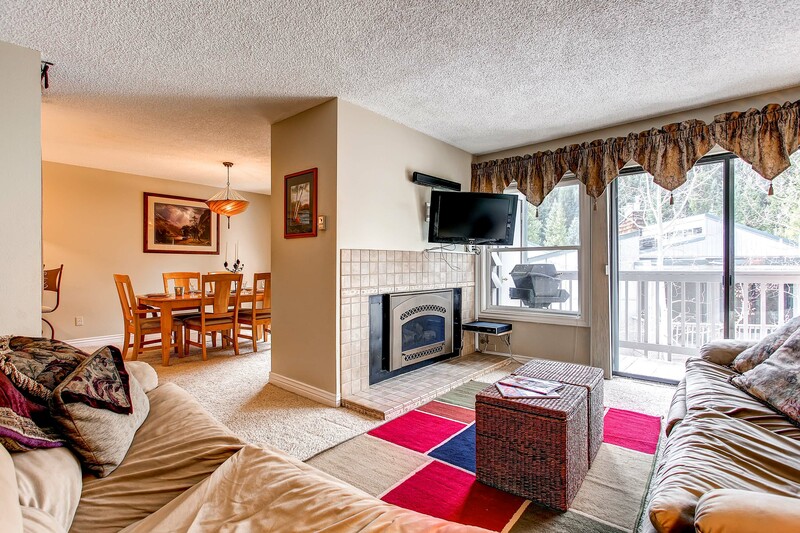 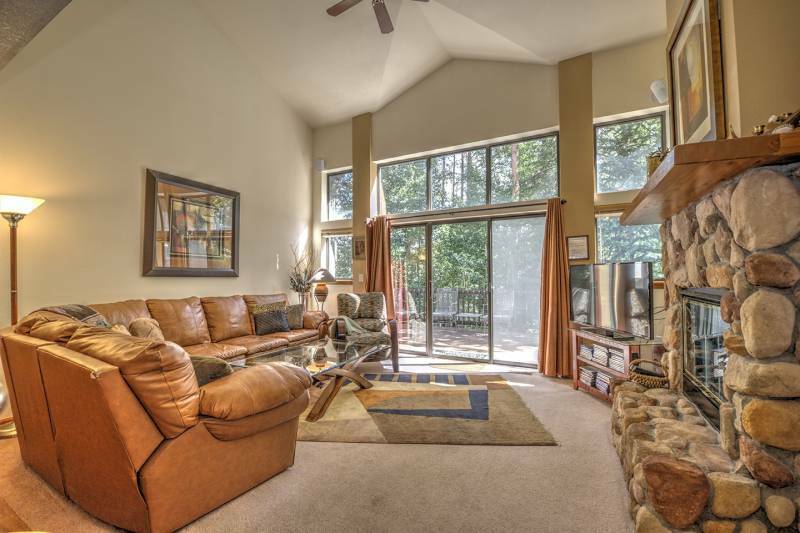 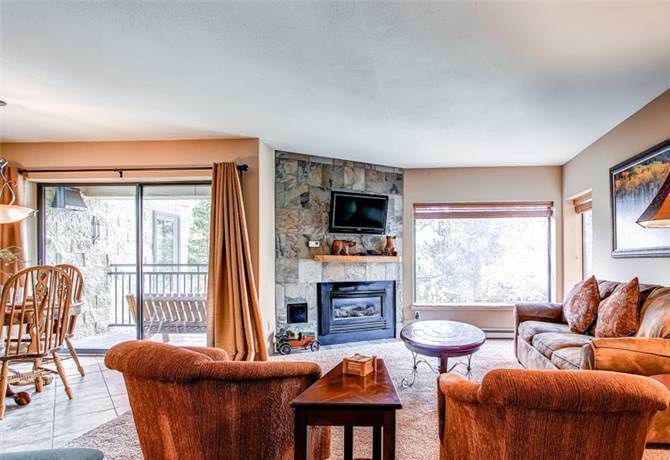 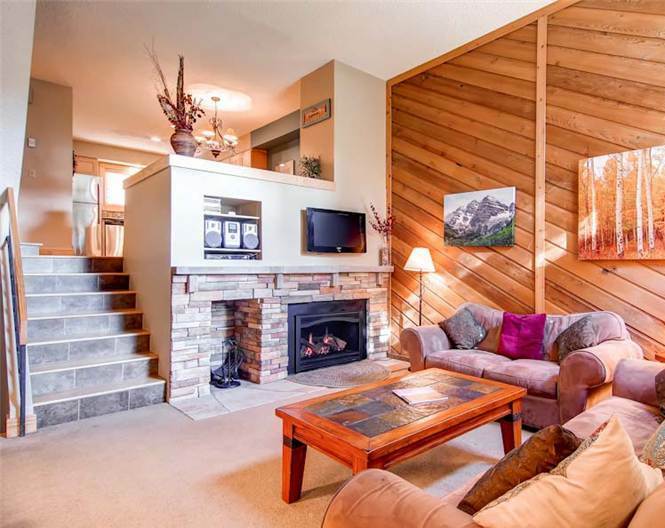 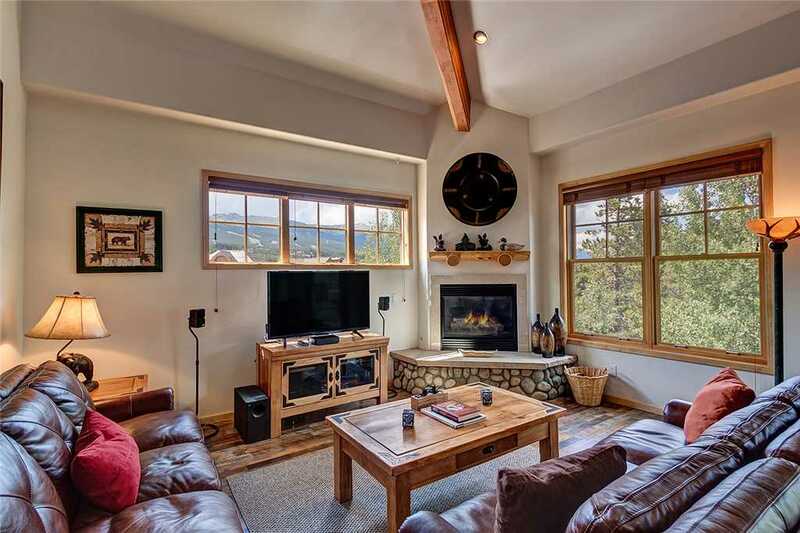 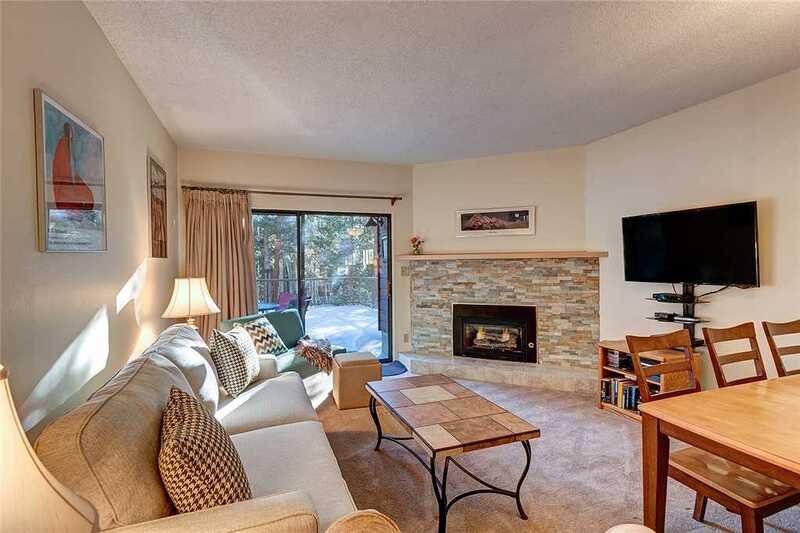 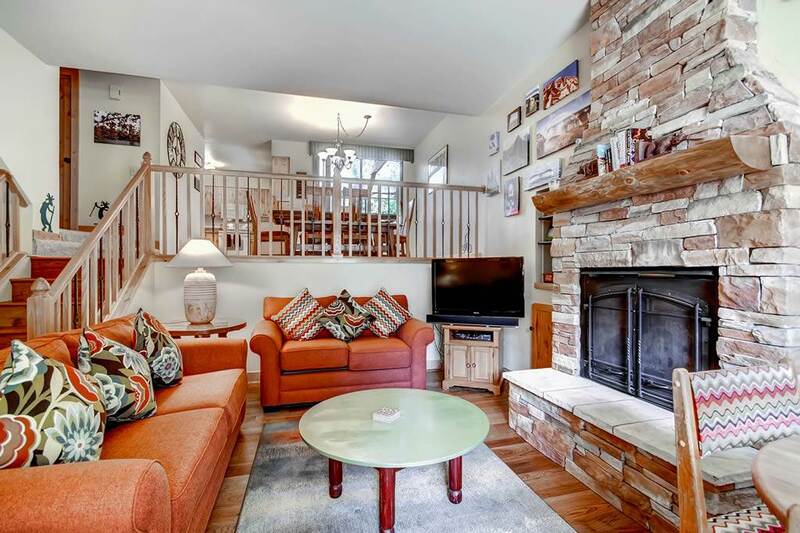 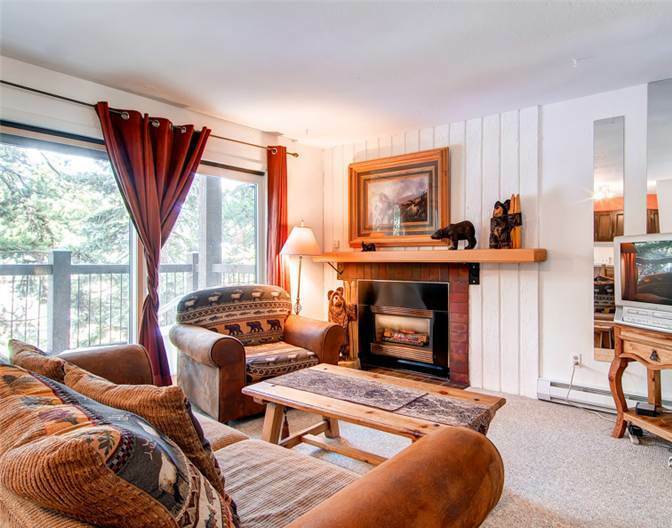 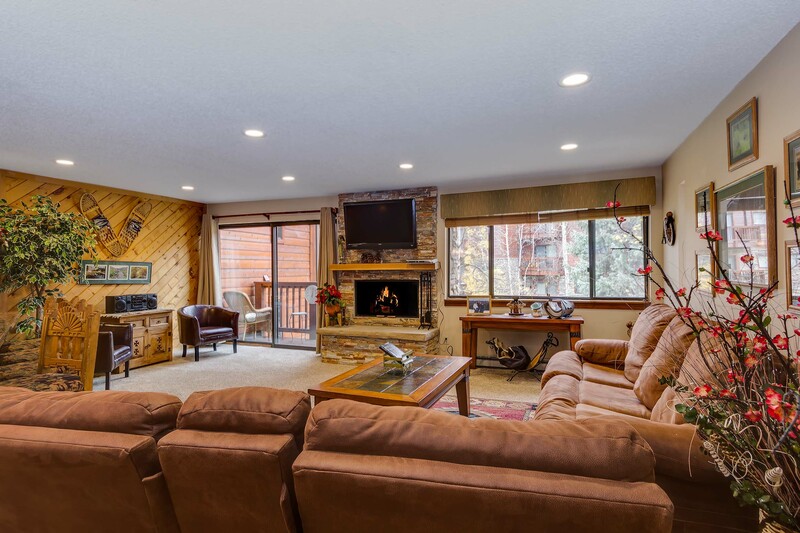 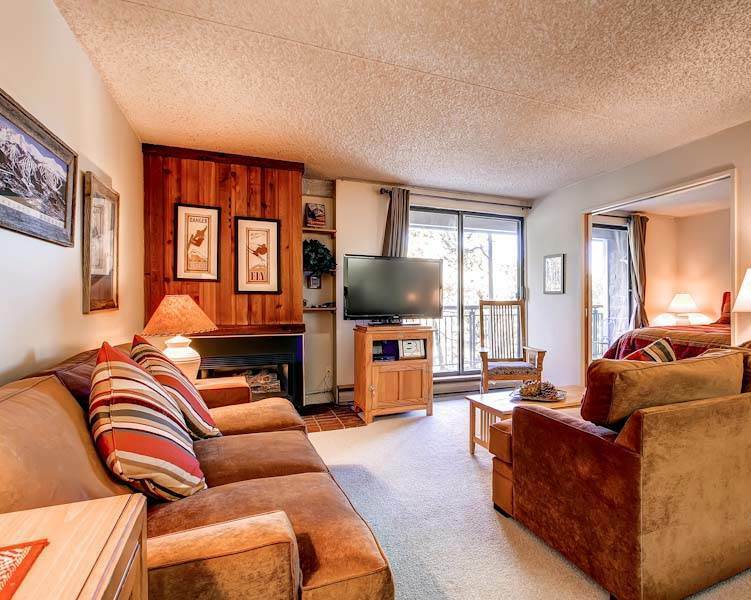 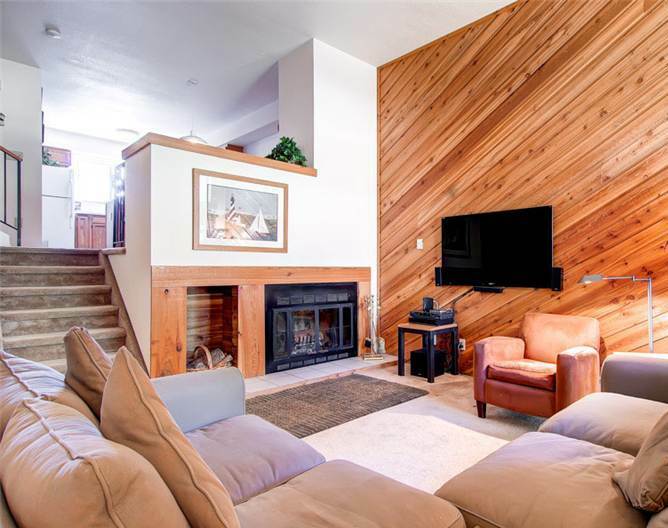 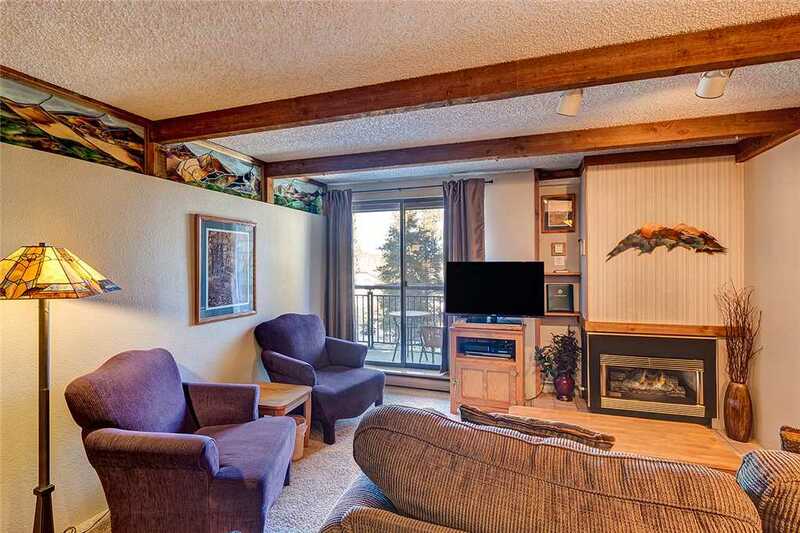 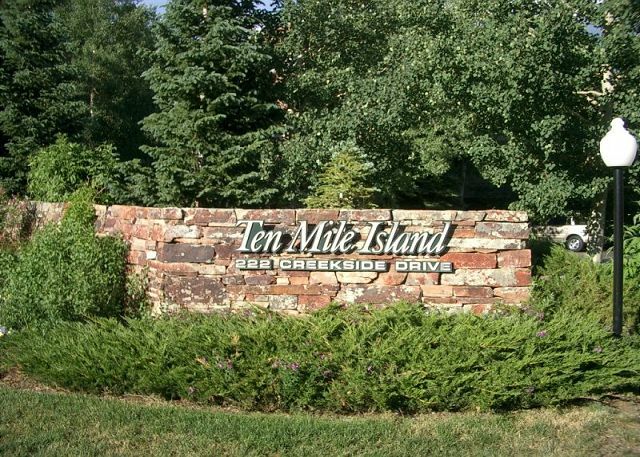 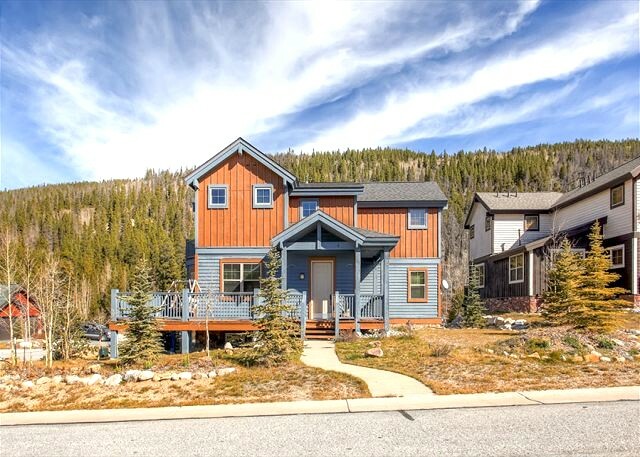 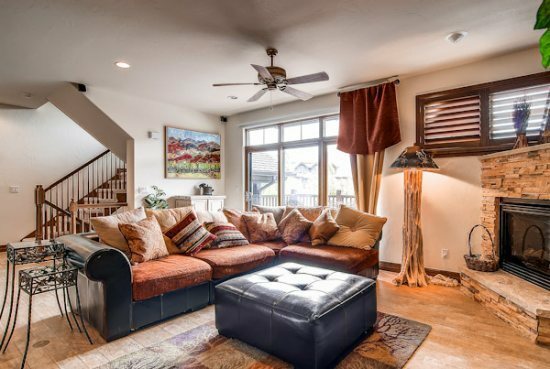 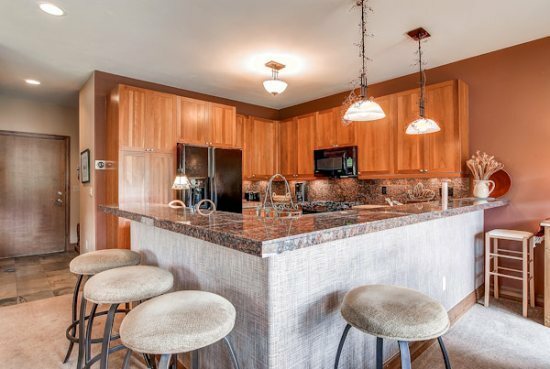 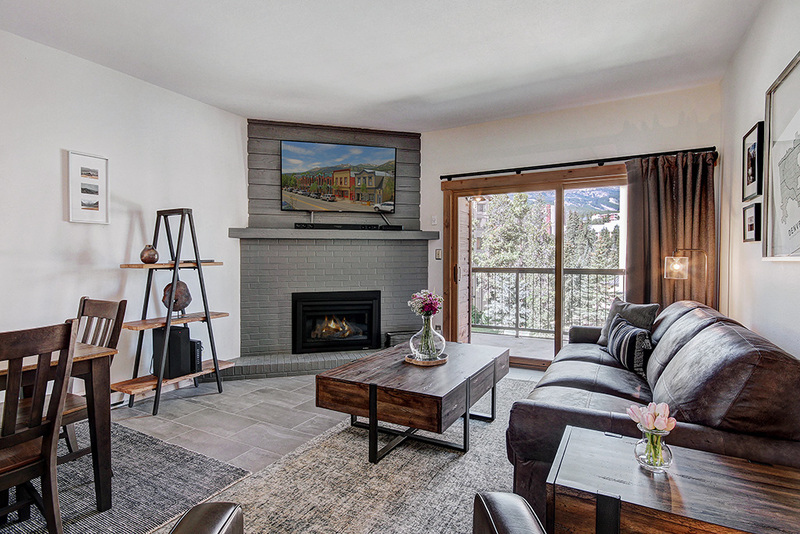 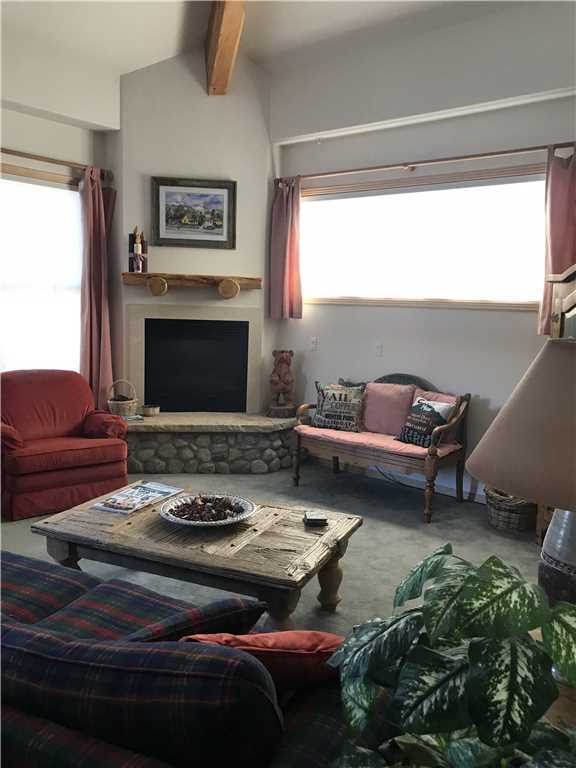 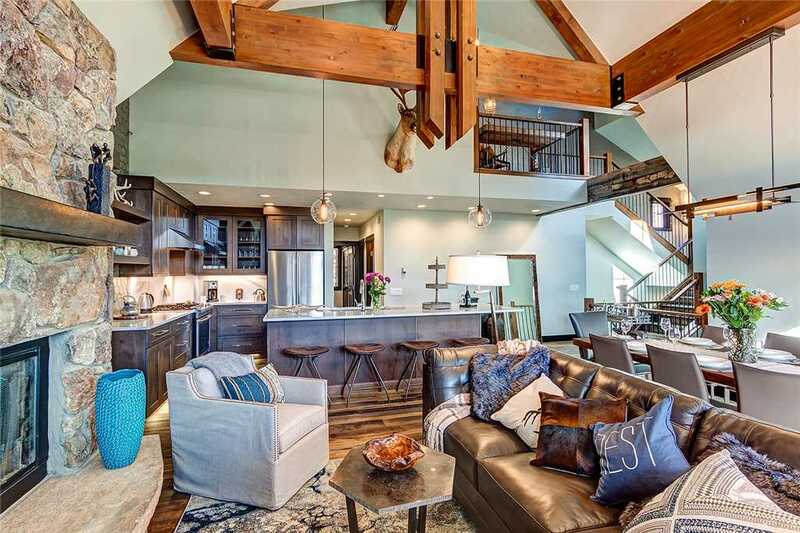 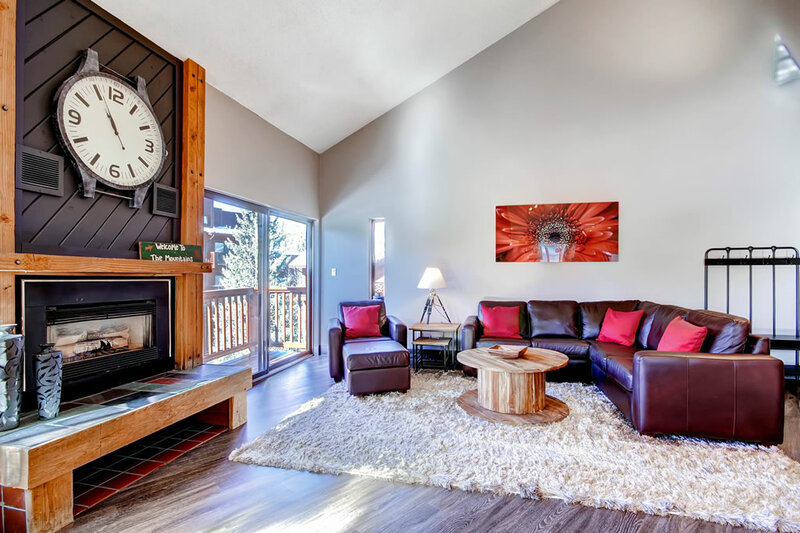 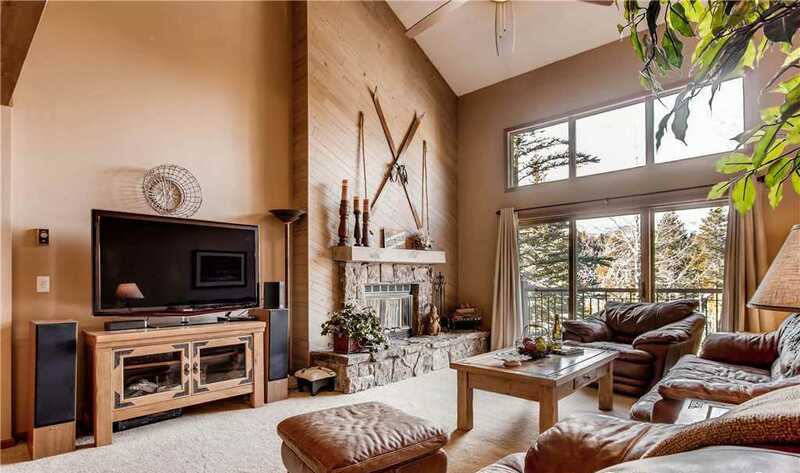 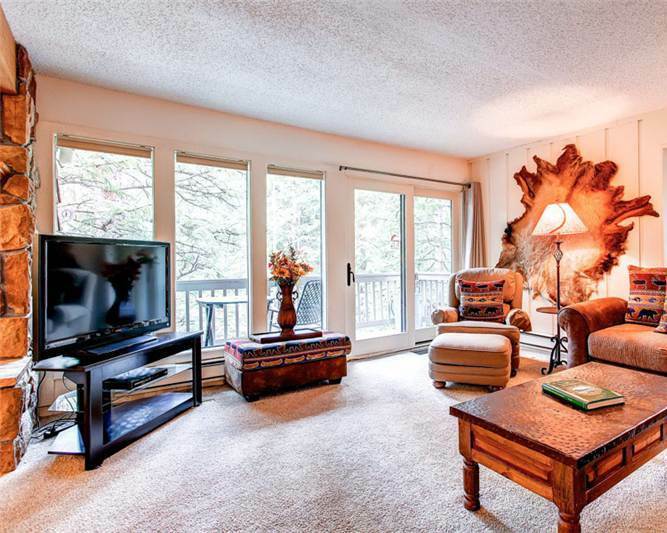 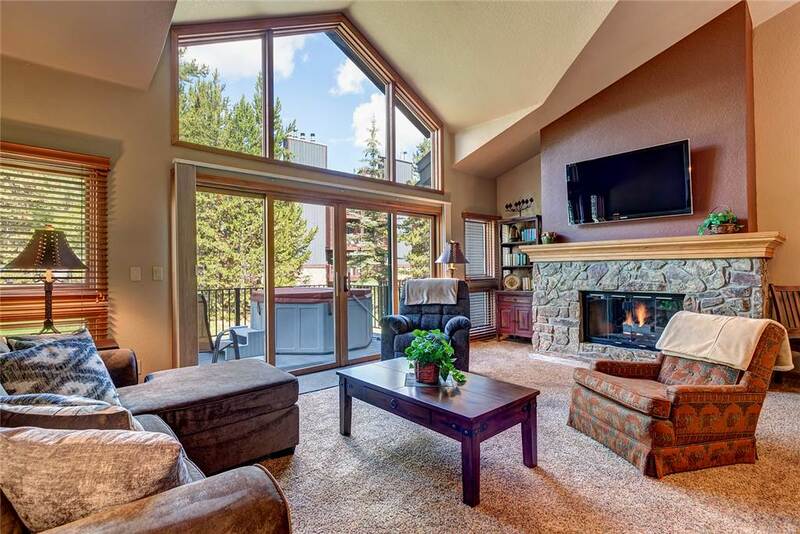 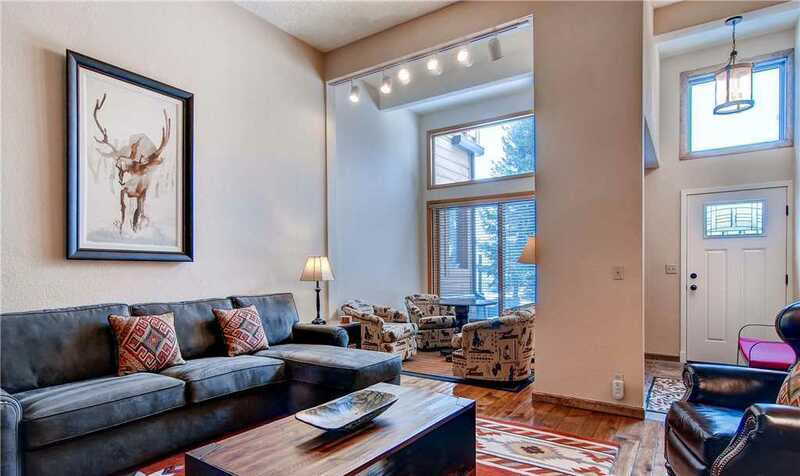 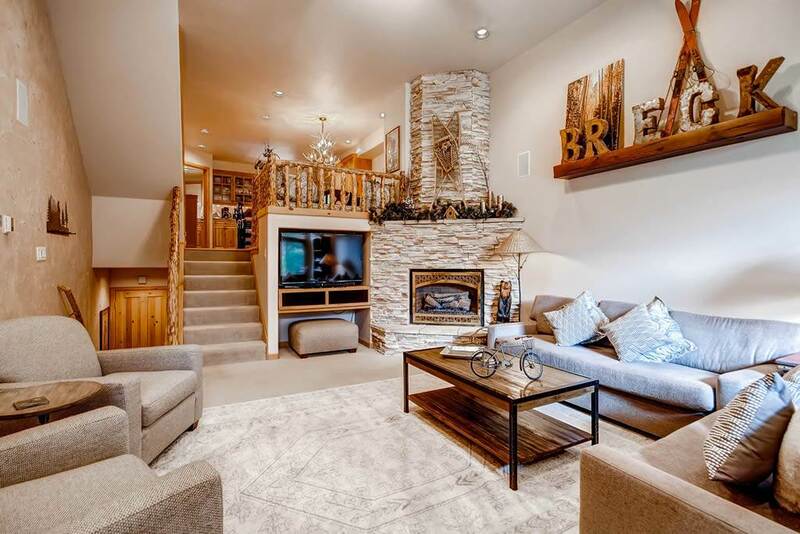 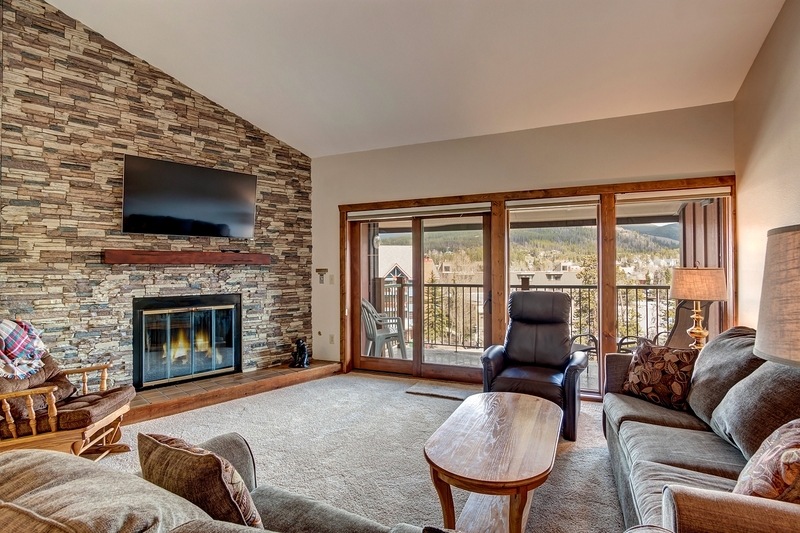 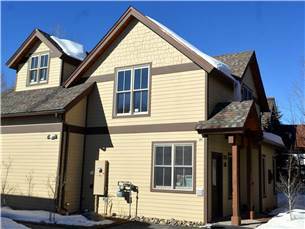 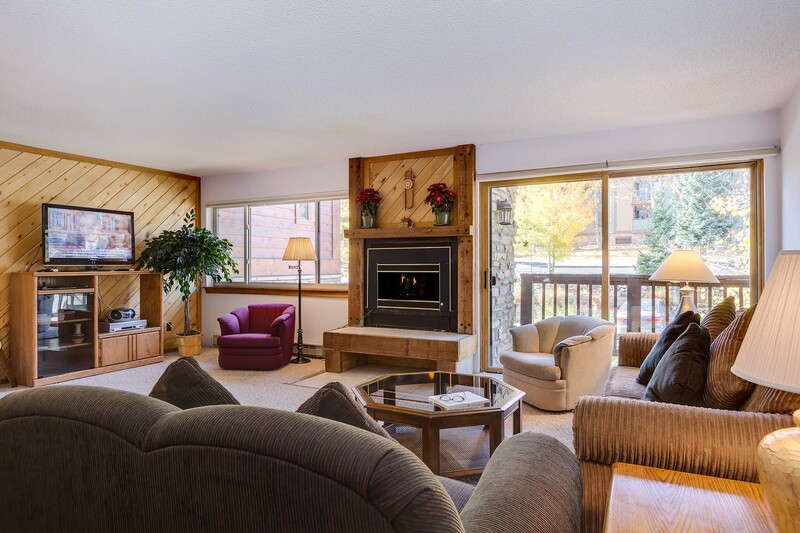 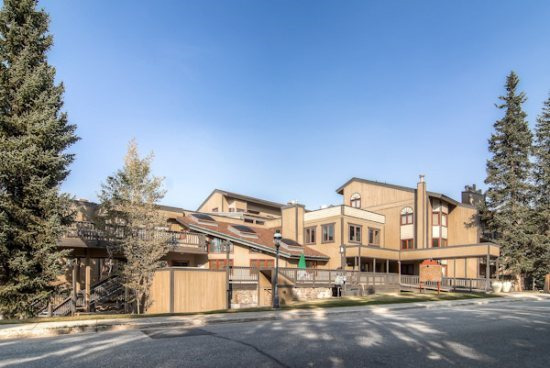 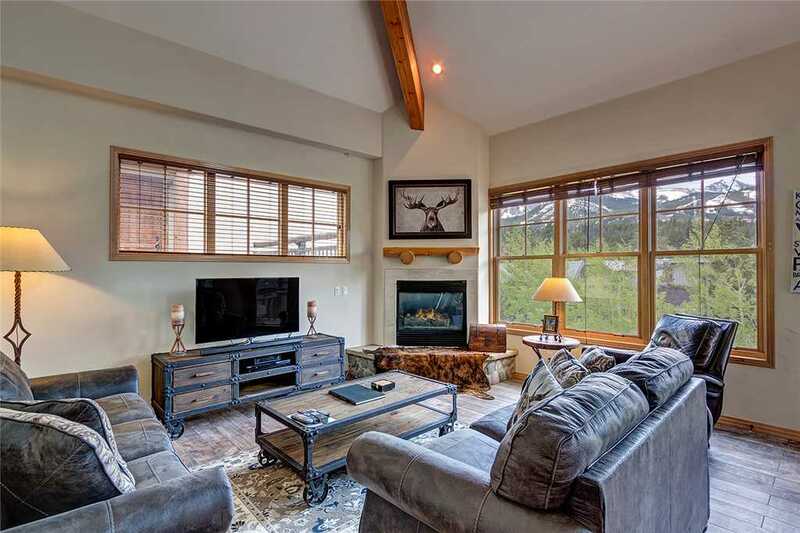 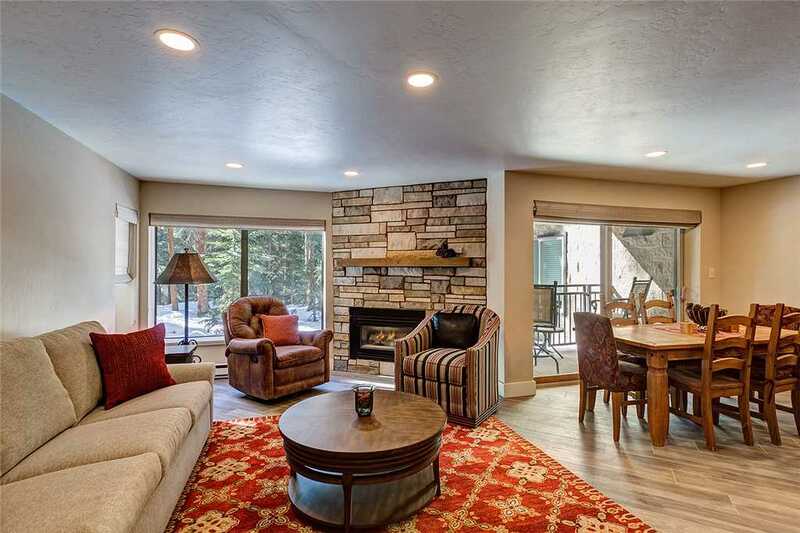 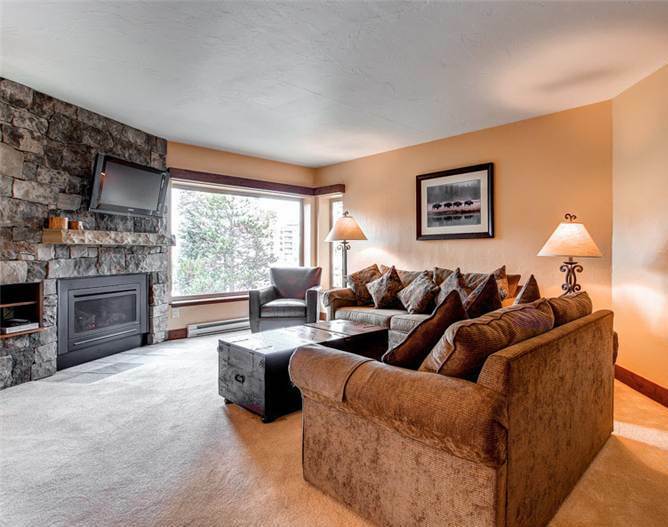 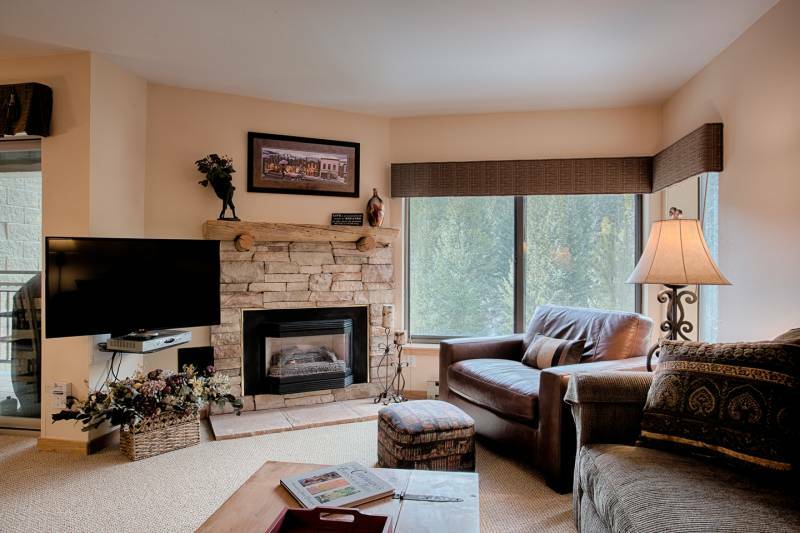 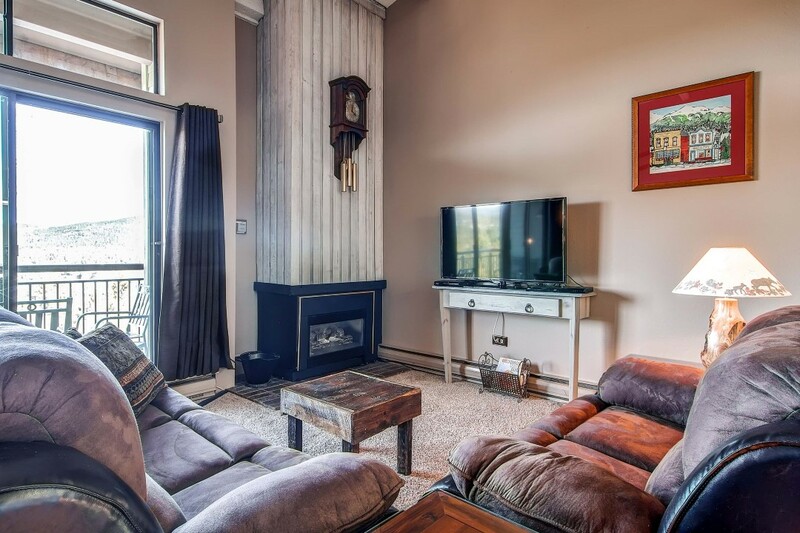 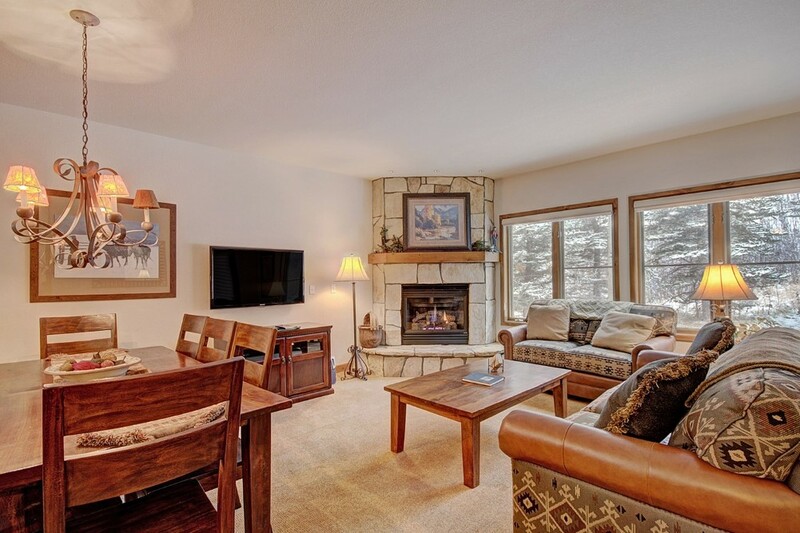 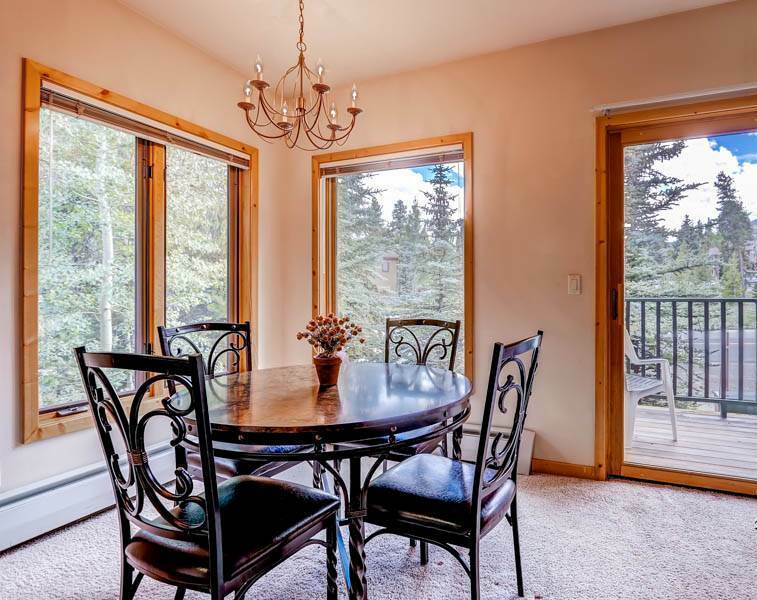 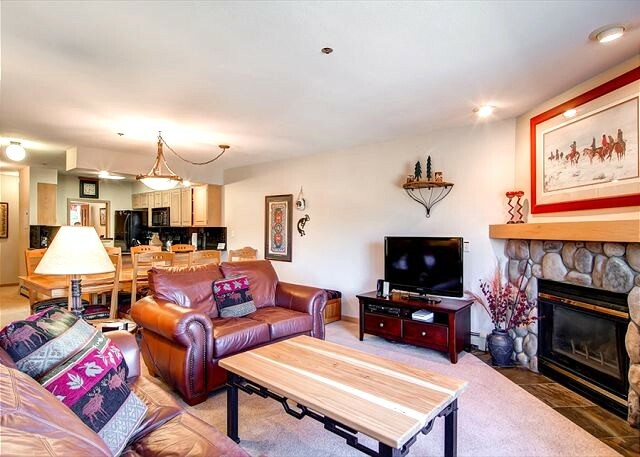 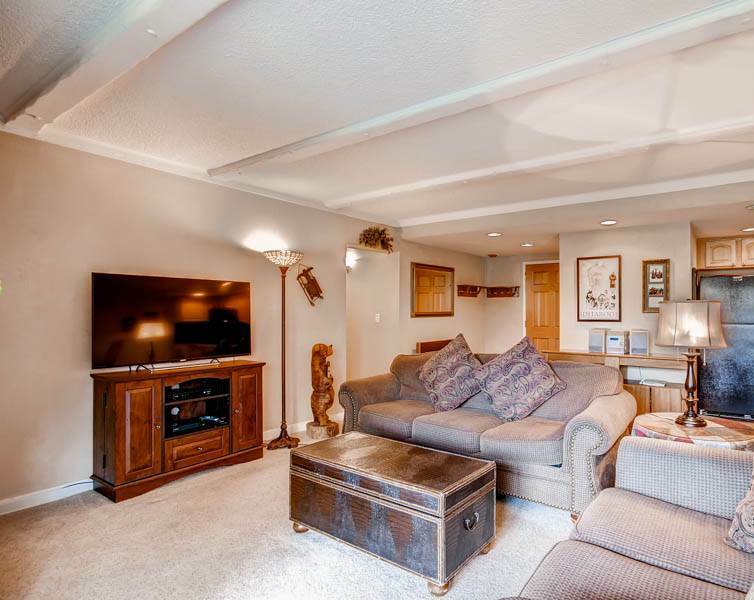 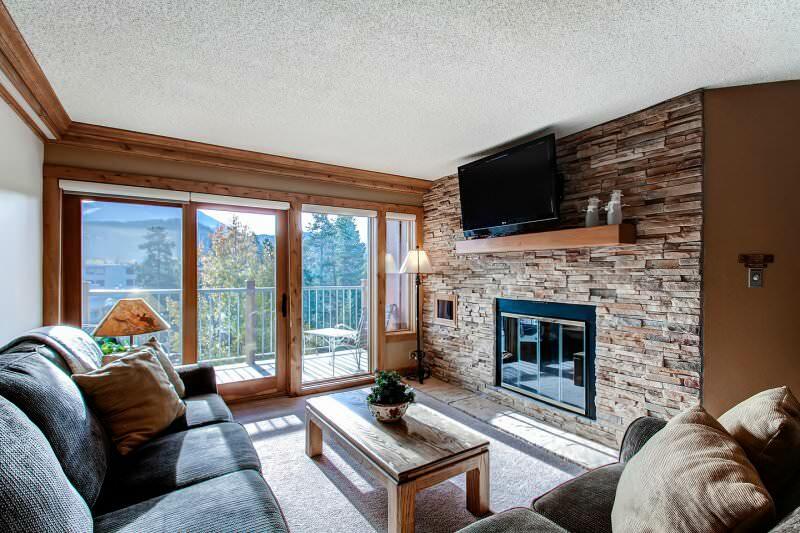 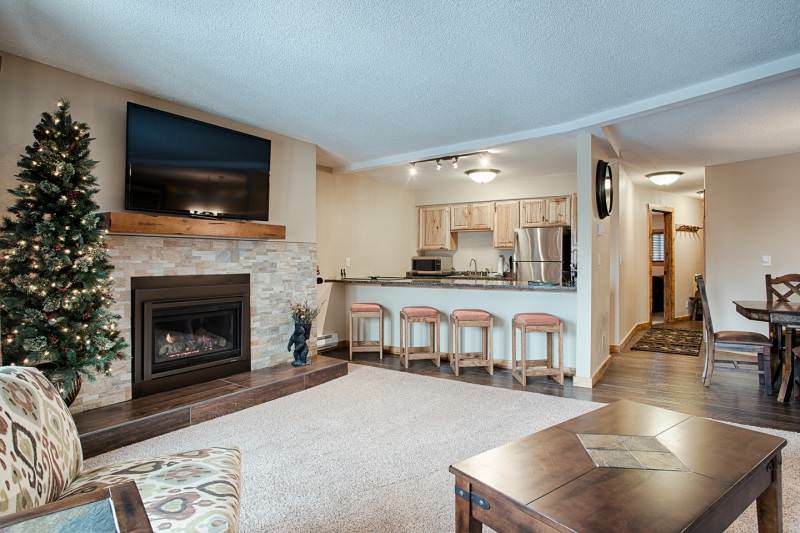 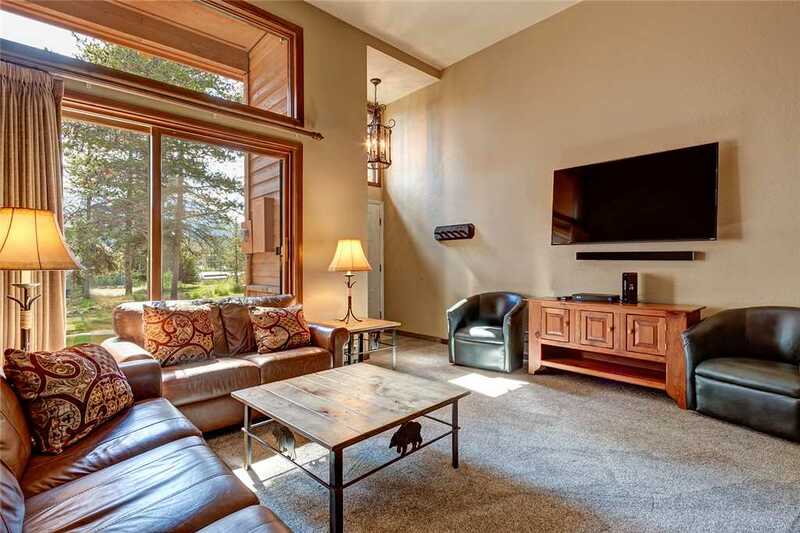 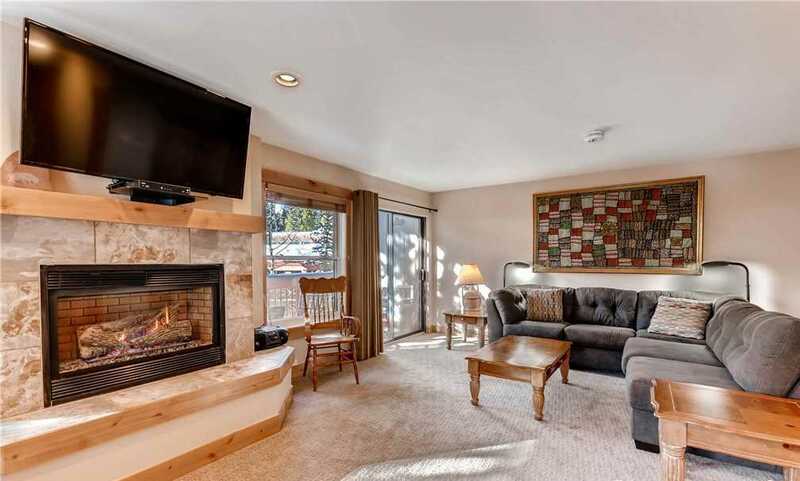 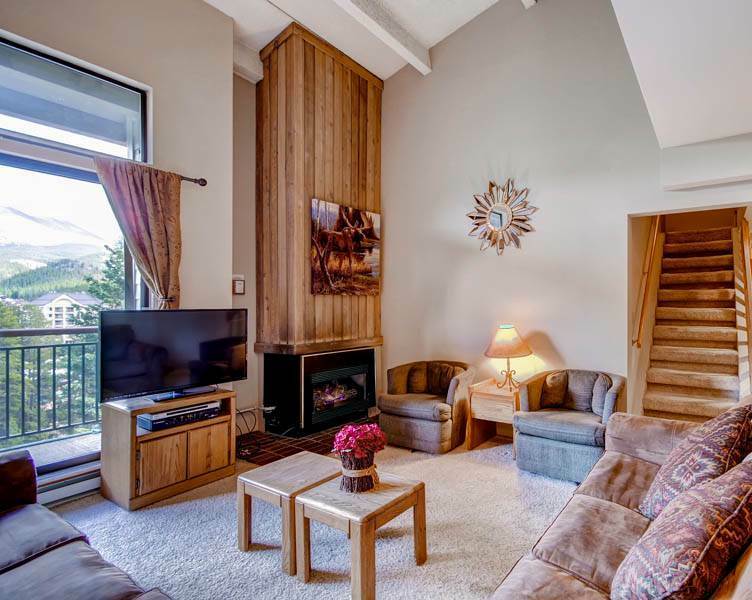 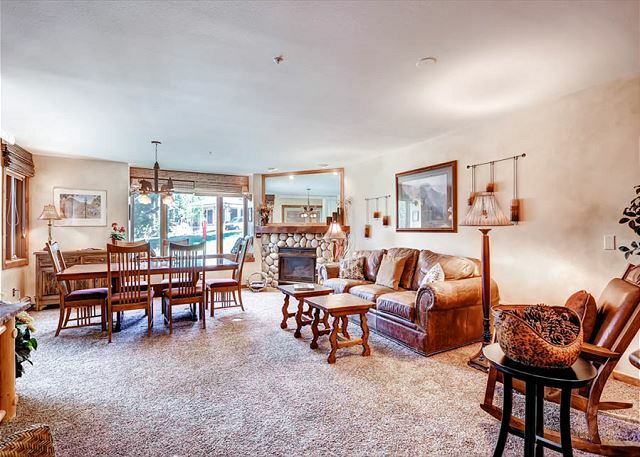 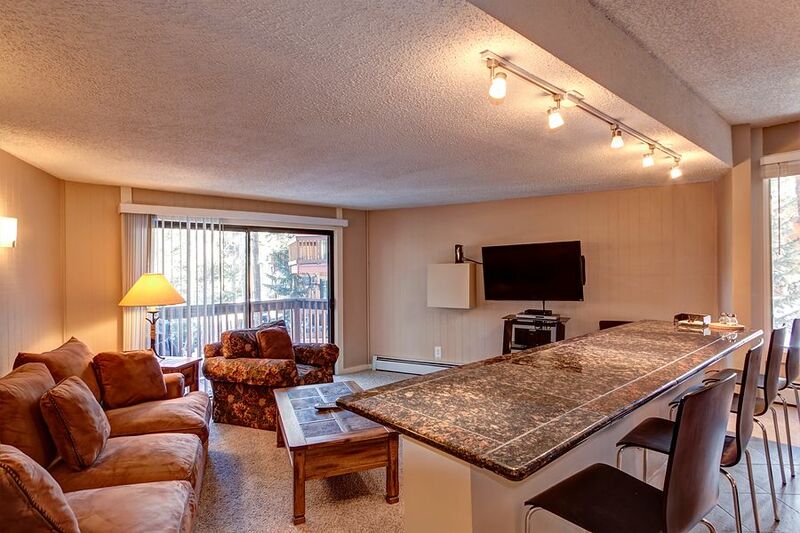 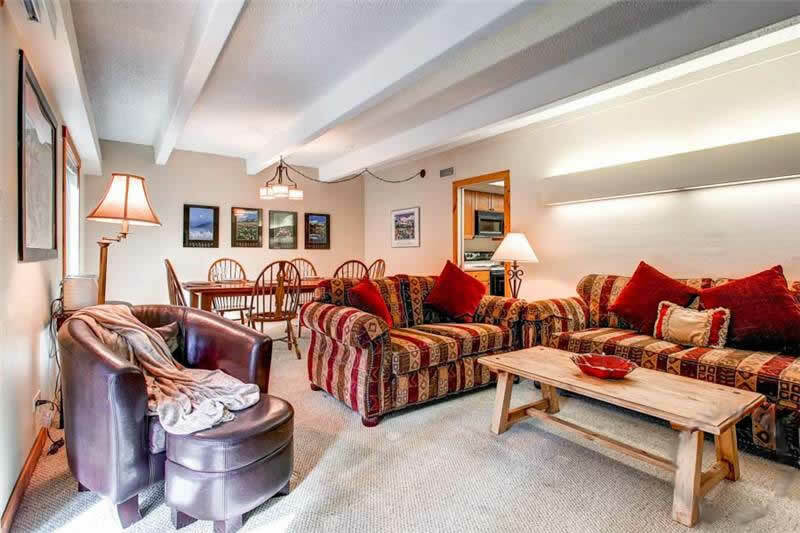 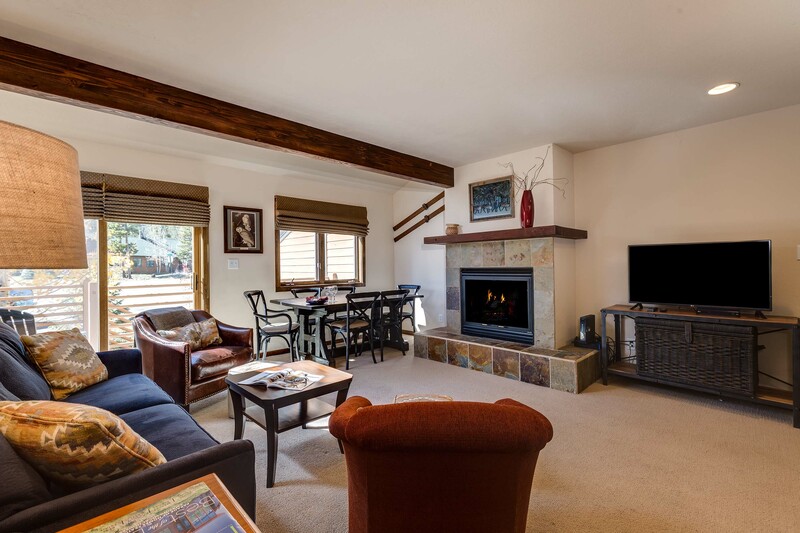 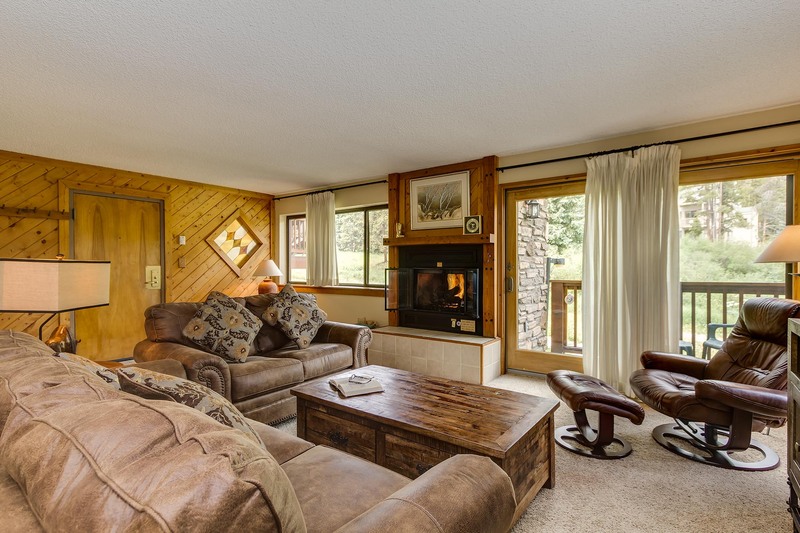 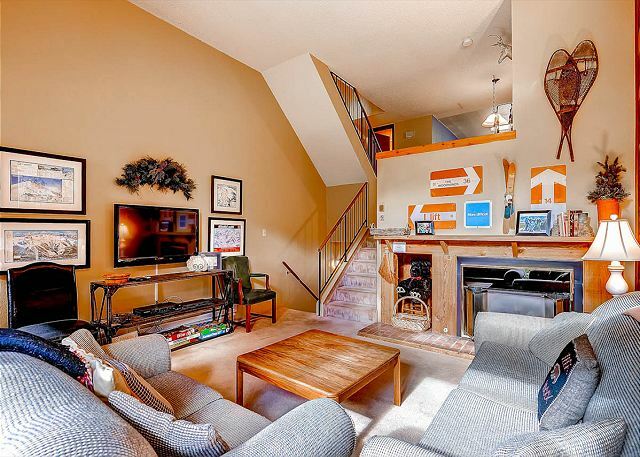 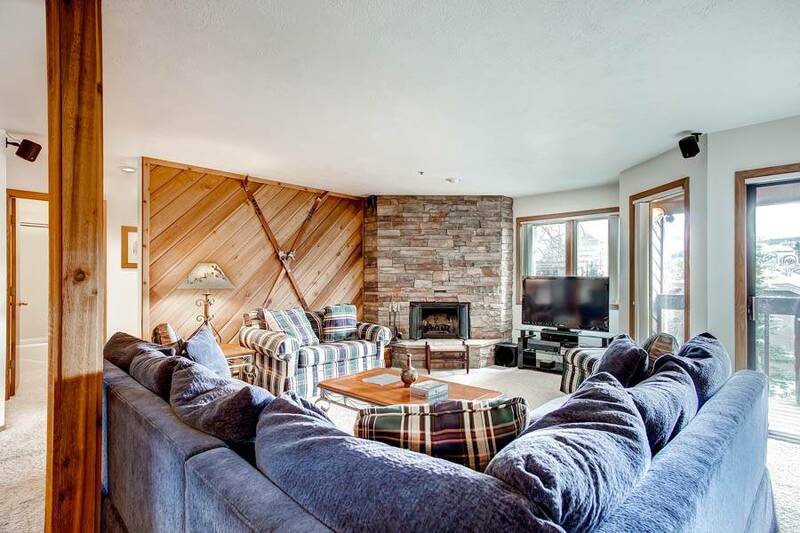 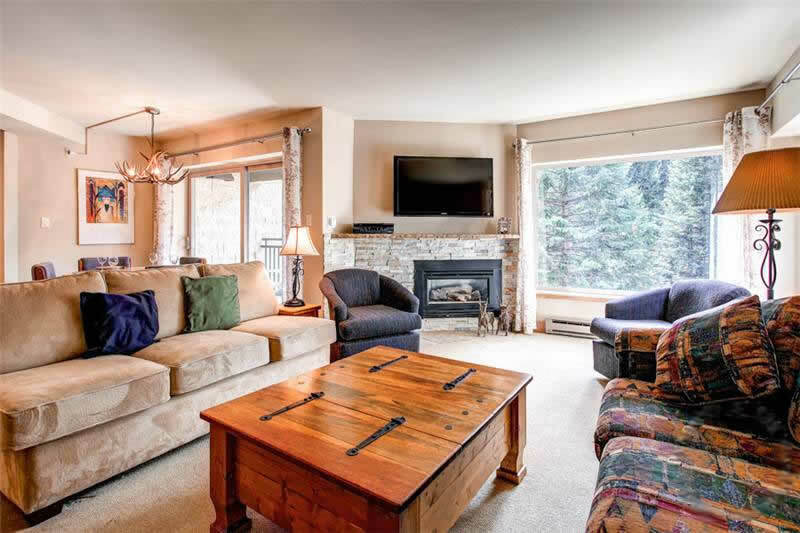 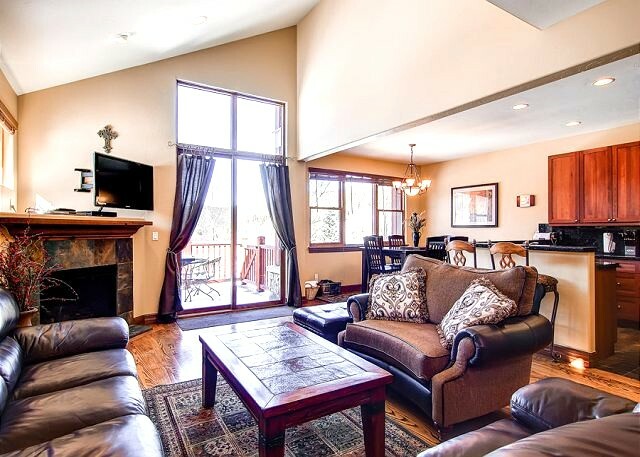 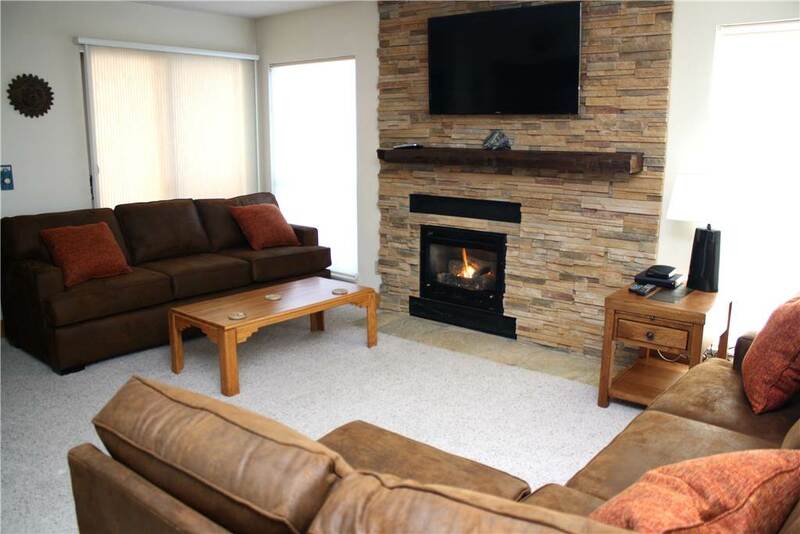 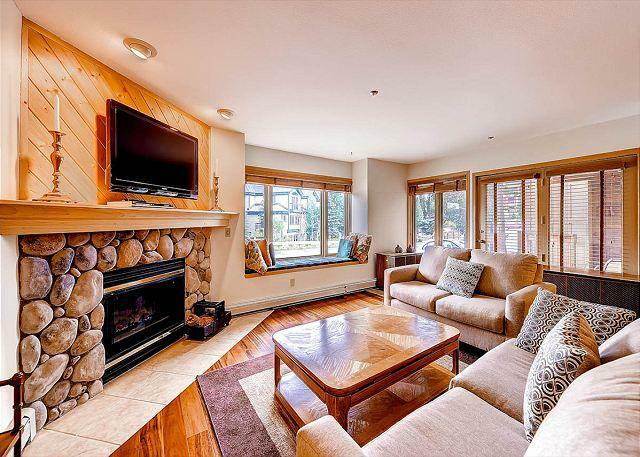 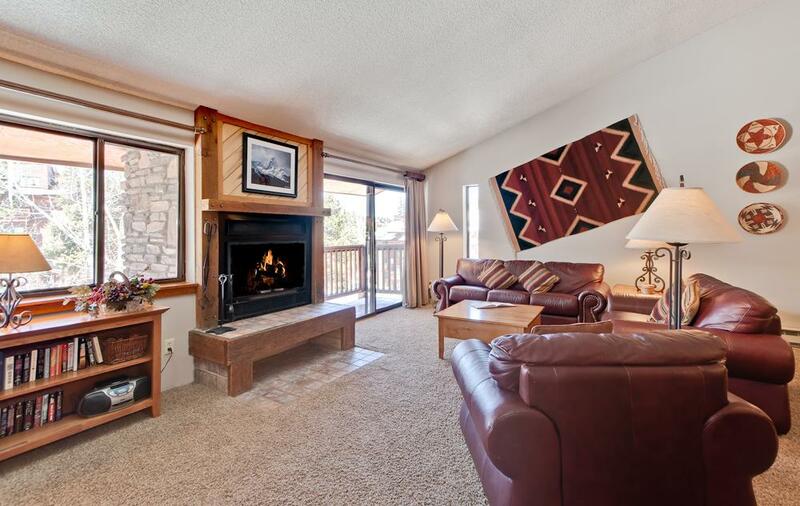 This condo features a gas fireplace, private balcony, granite counters, modern TV, gas BBQ grill, private washer/dryer, ski locker, onsite hot tubs and fire pit as well as access to the Upper Village Clubhouse with an indoor/outdoor pool and hot tubs. 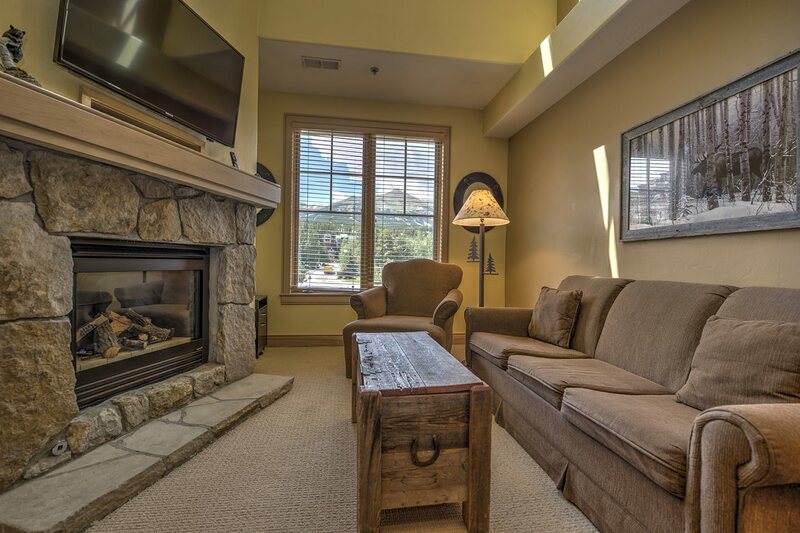 Park Place could not be located in a more perfect setting. 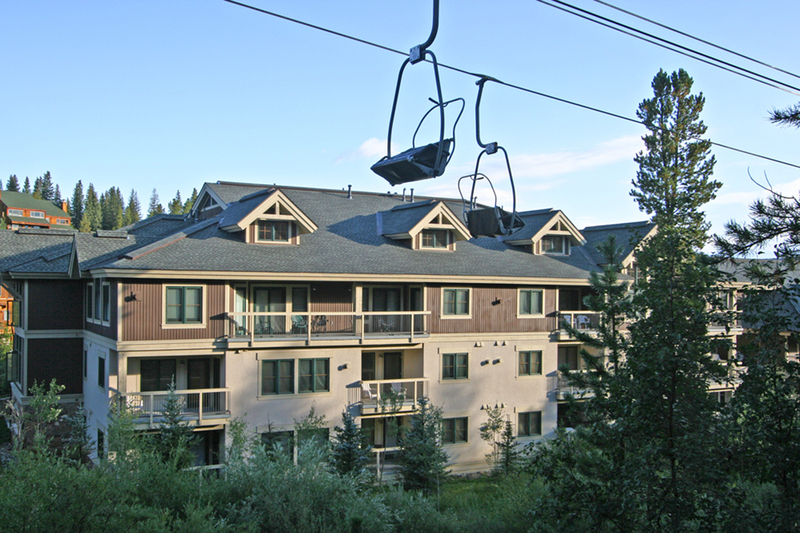 It is just three blocks from the Snowflake Lift and just off the lower 4 O’Clock Run, so you can ski home. 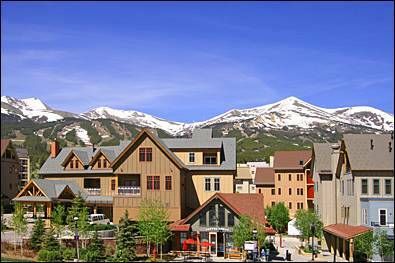 The stop for the town’s free shuttle is only a few steps away, so choose where you want to go and within minutes, you can be on the shuttle headed towards your destination. 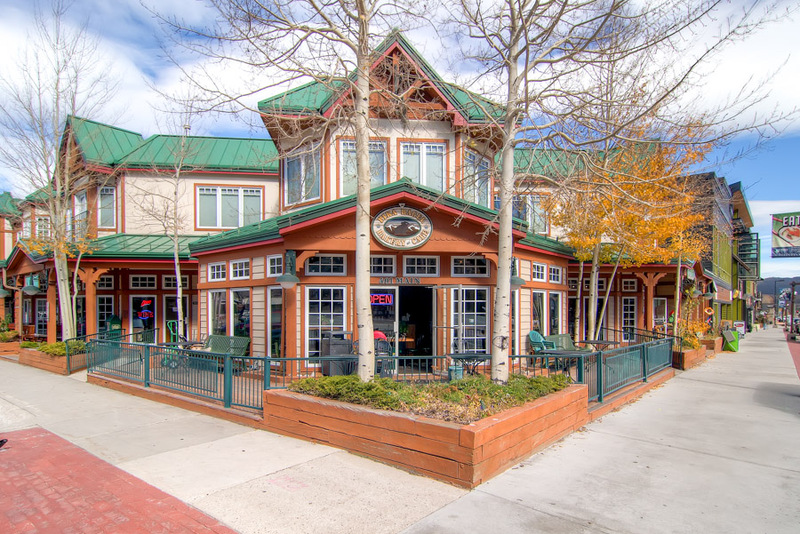 Main Street is an easy walk, just two blocks away from shopping and dining. 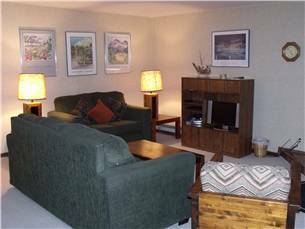 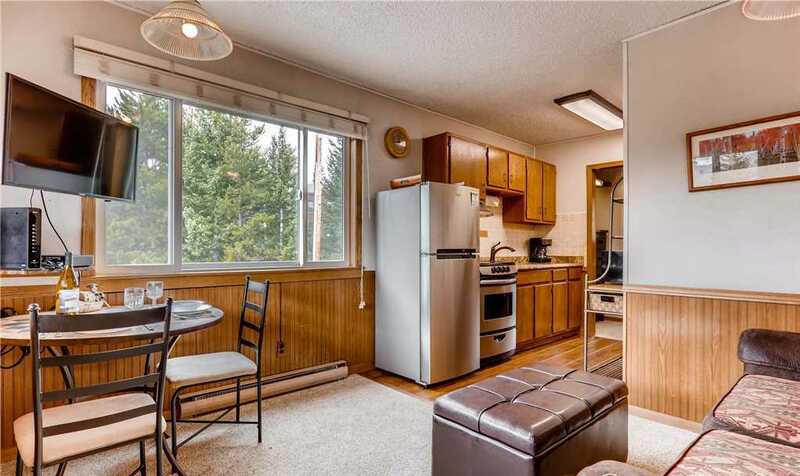 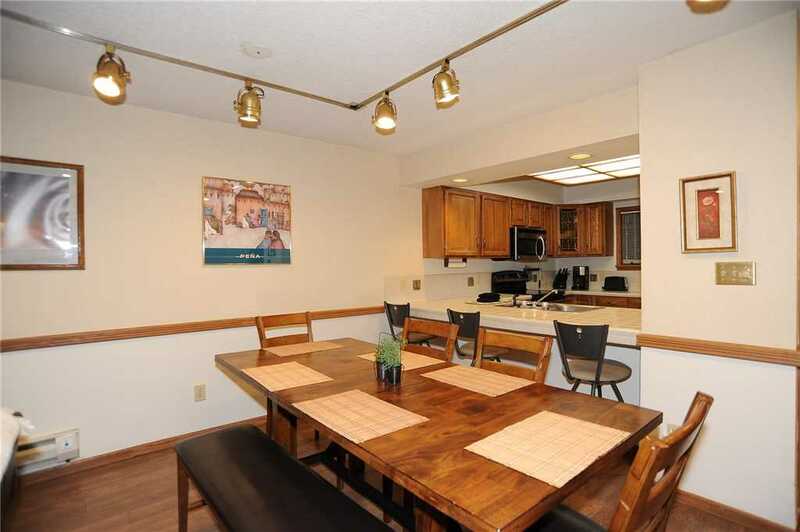 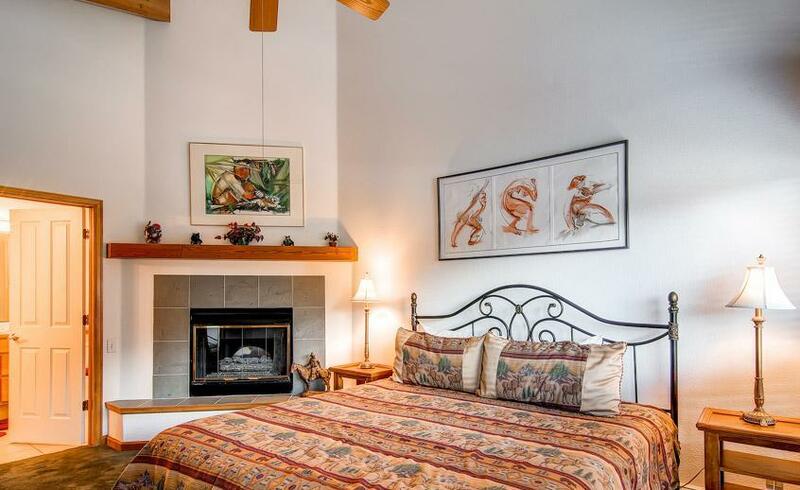 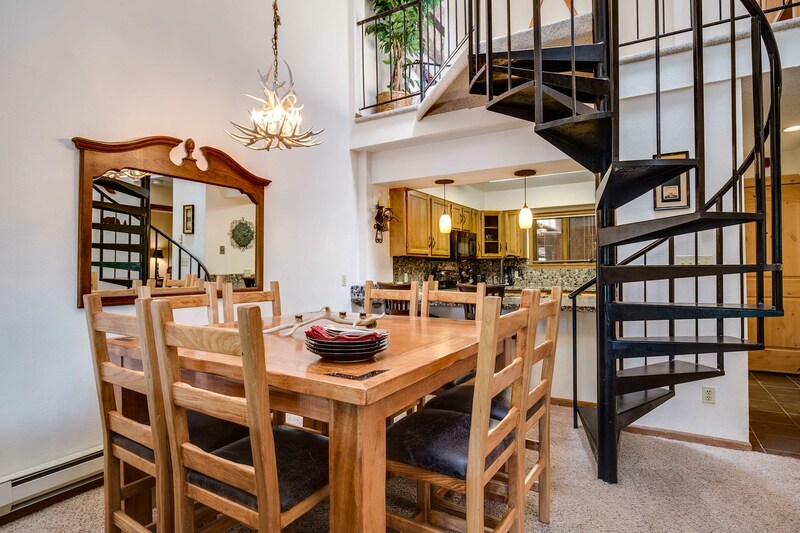 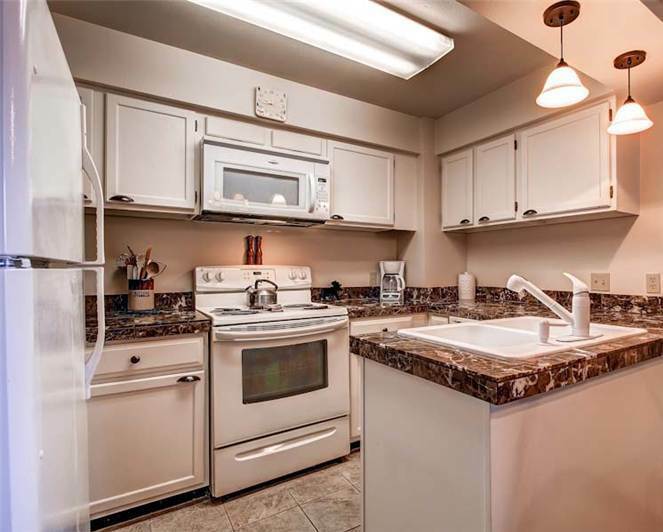 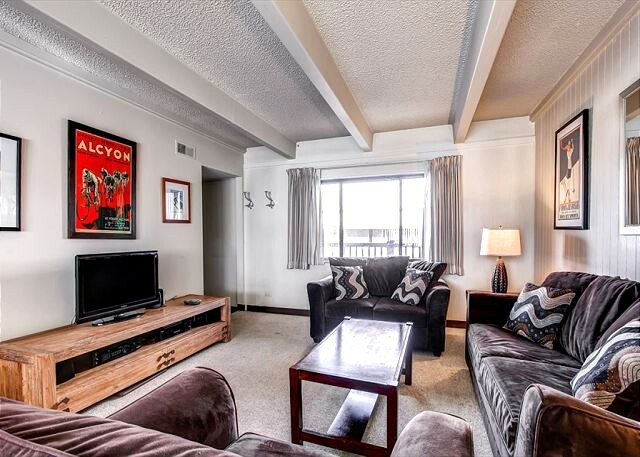 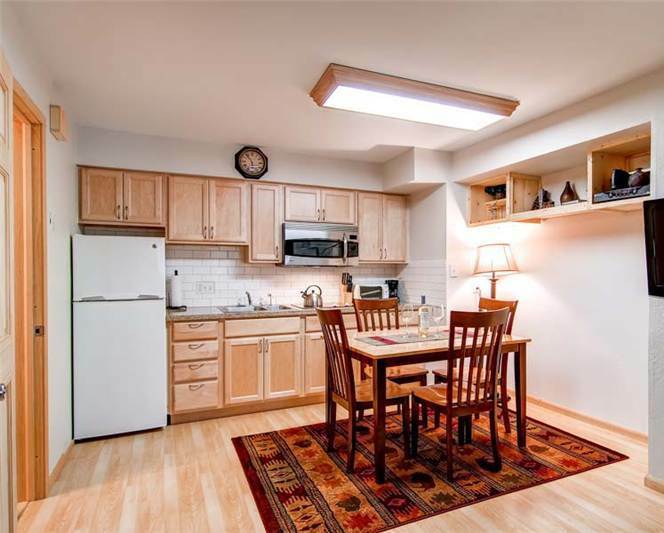 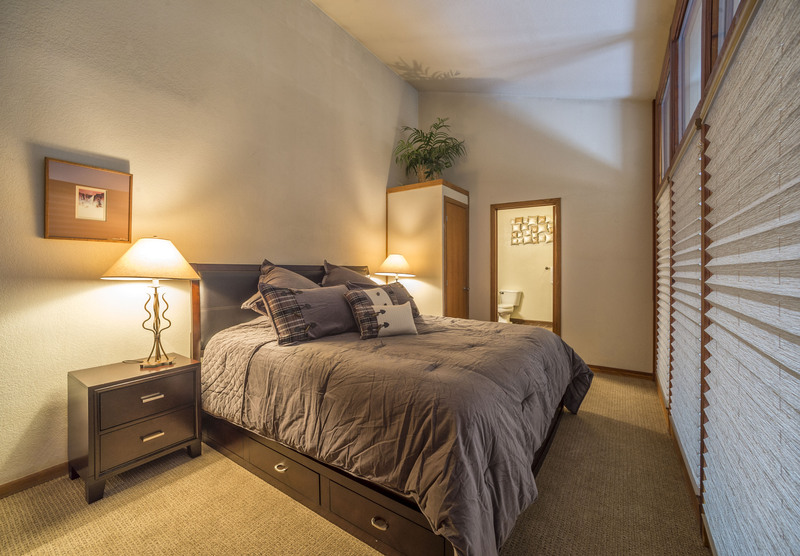 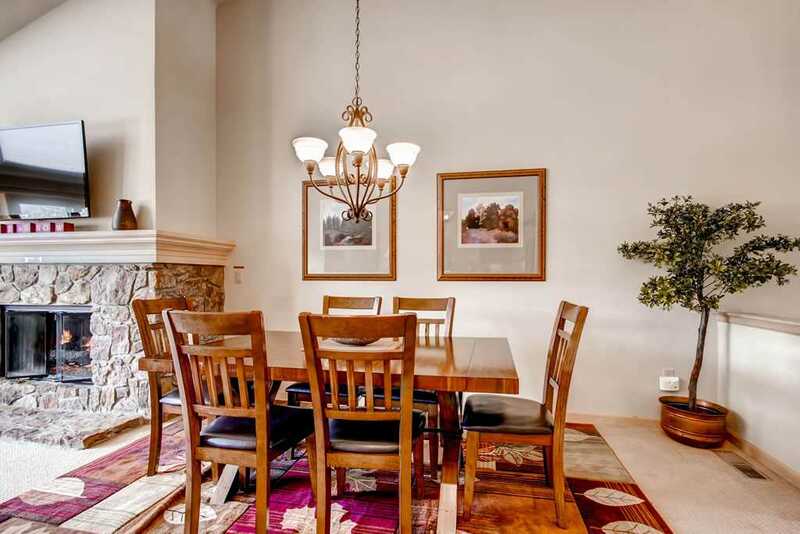 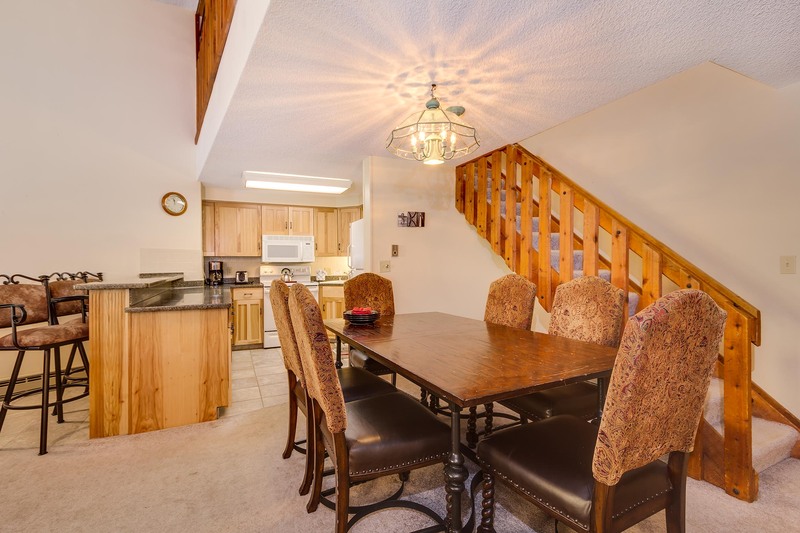 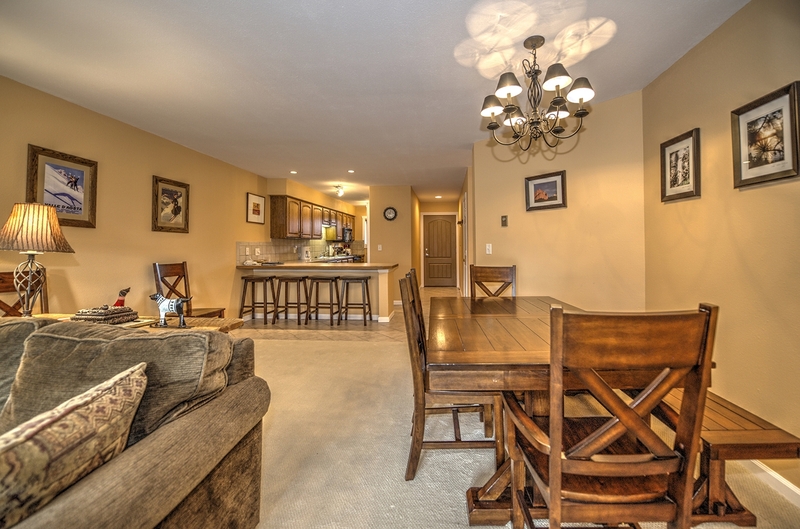 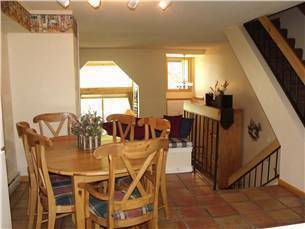 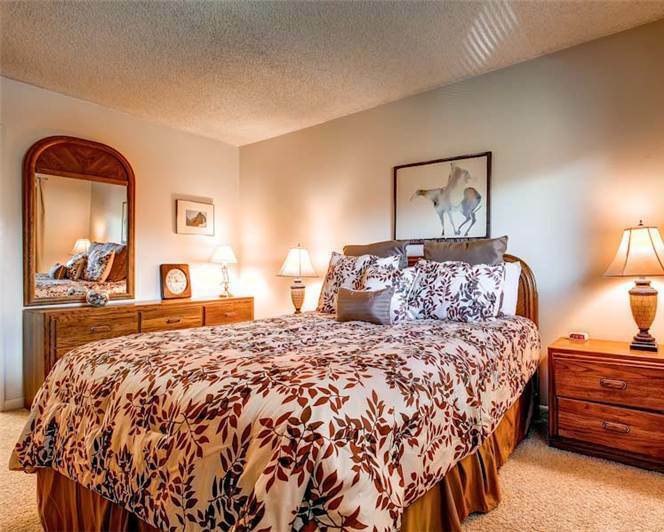 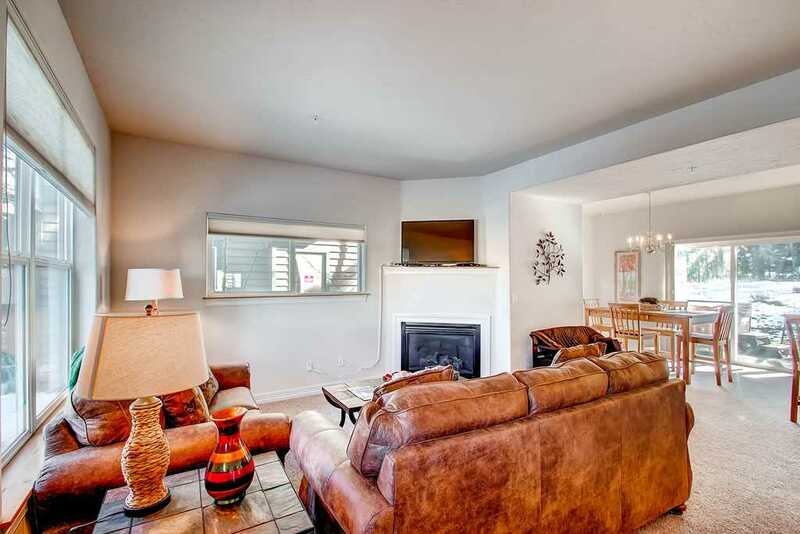 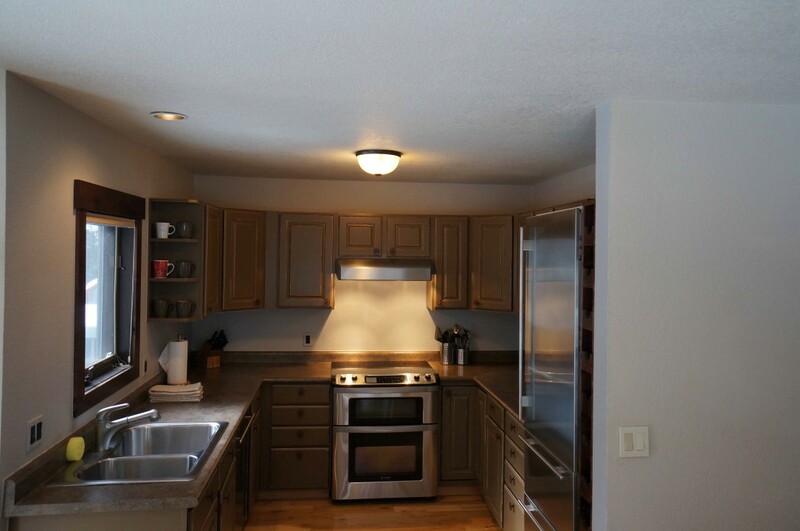 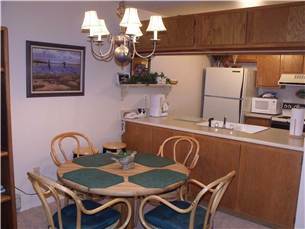 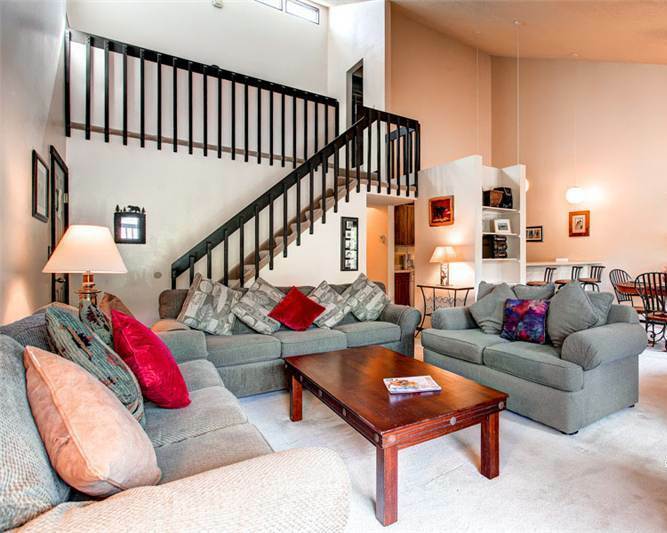 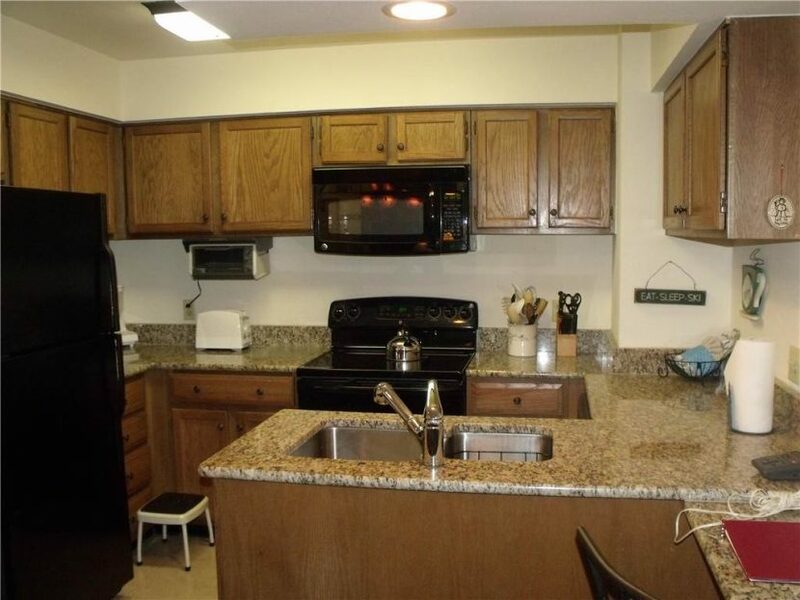 Entering this condo, you are greeted by beautiful tile floors and modern track lighting. 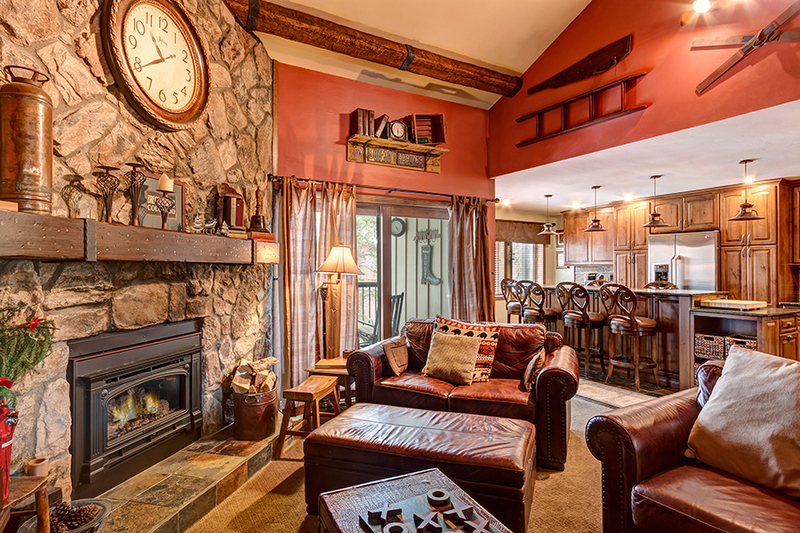 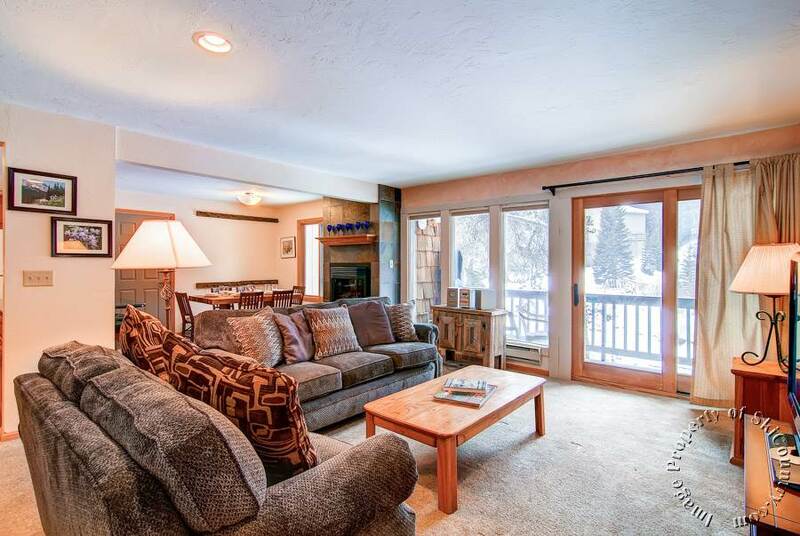 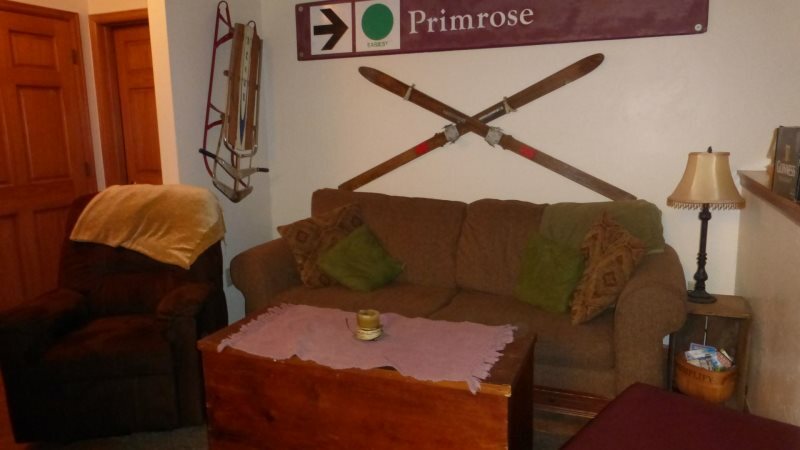 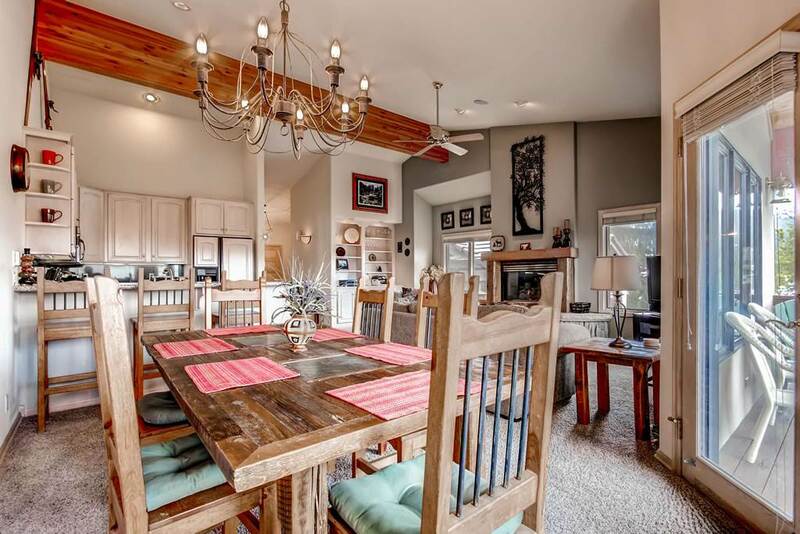 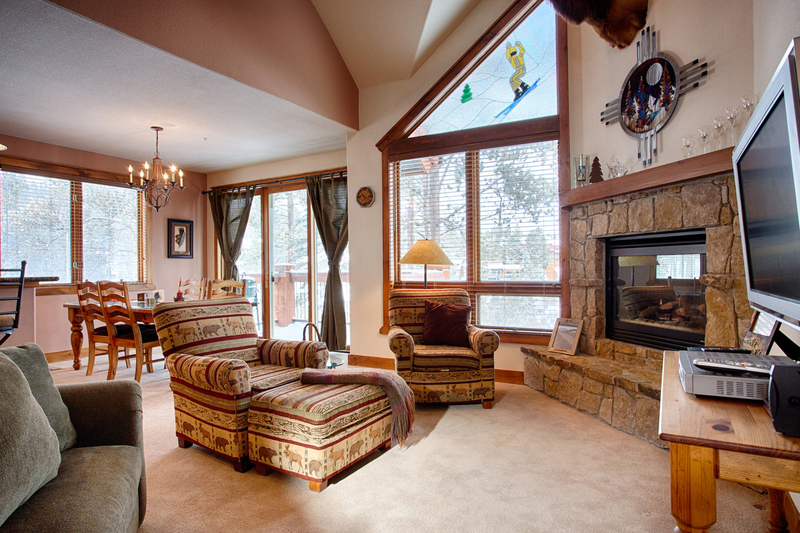 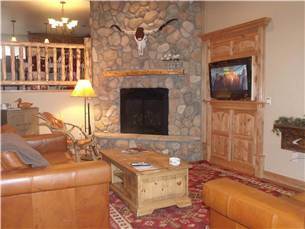 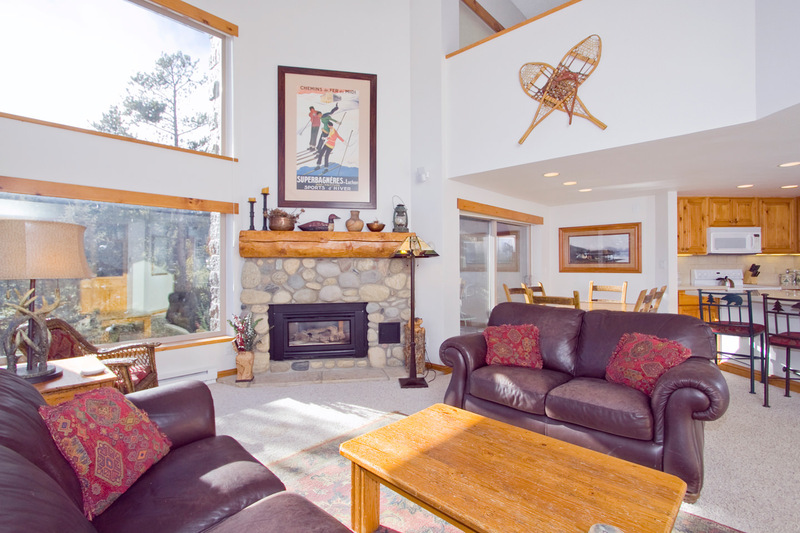 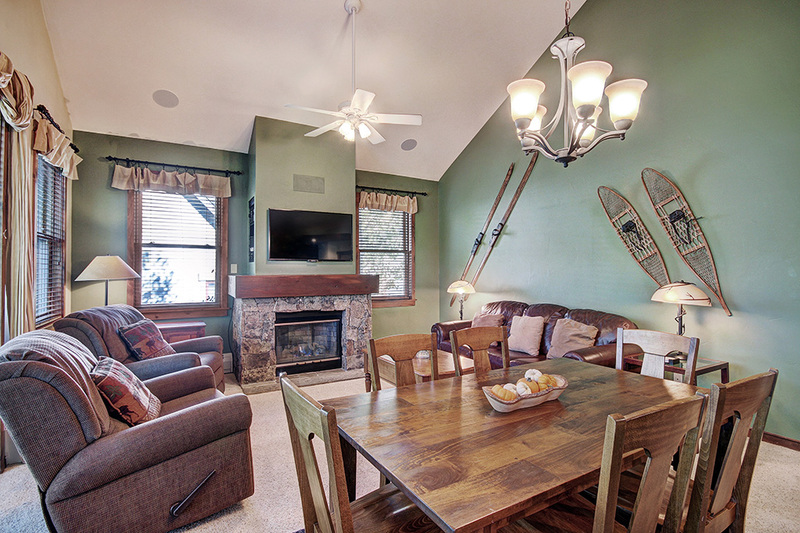 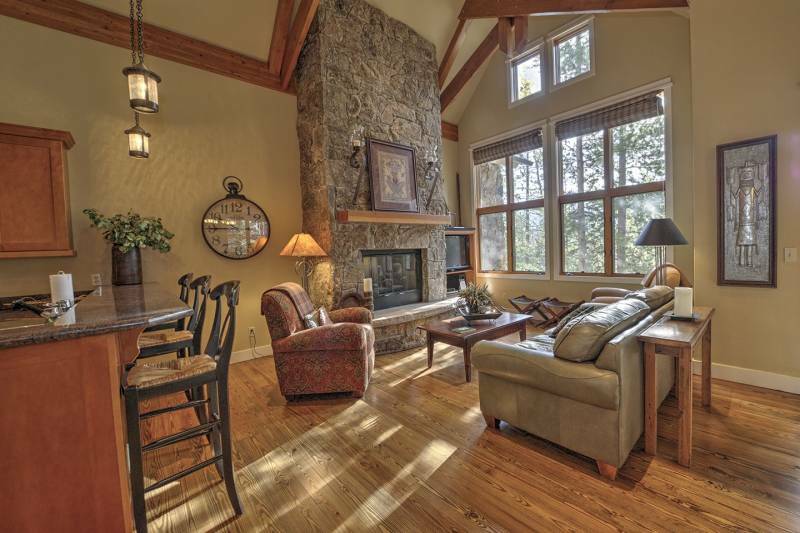 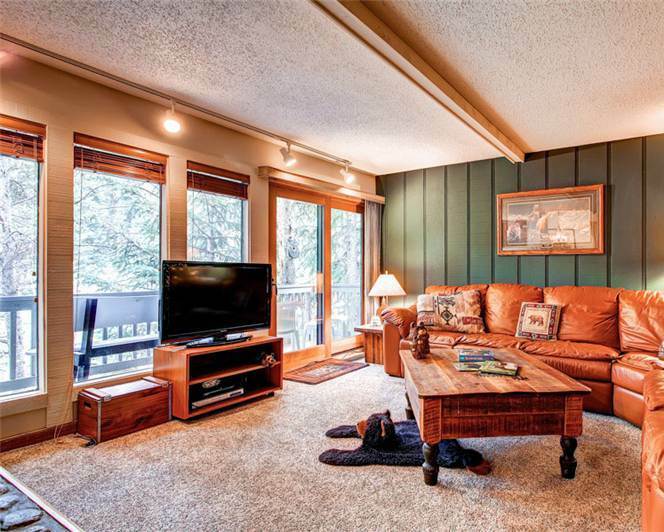 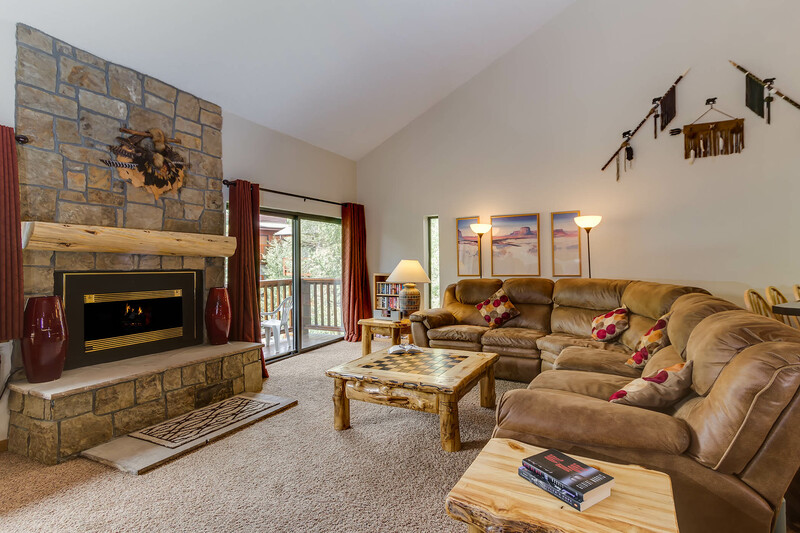 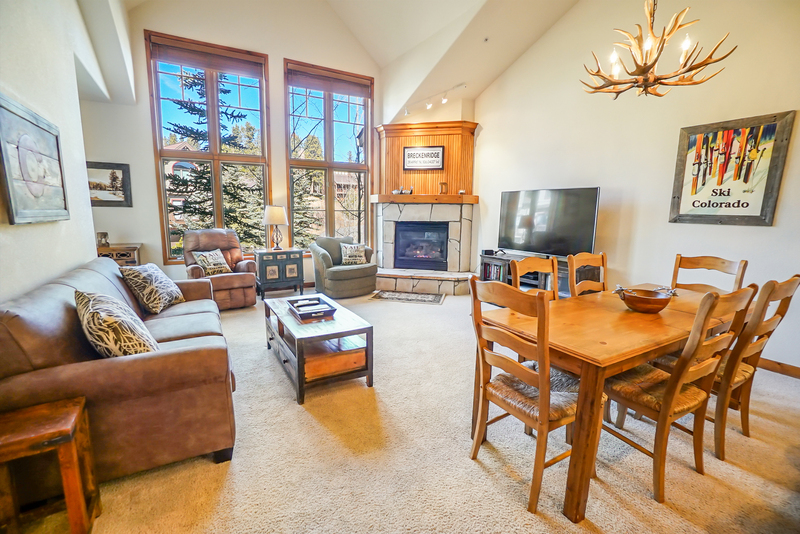 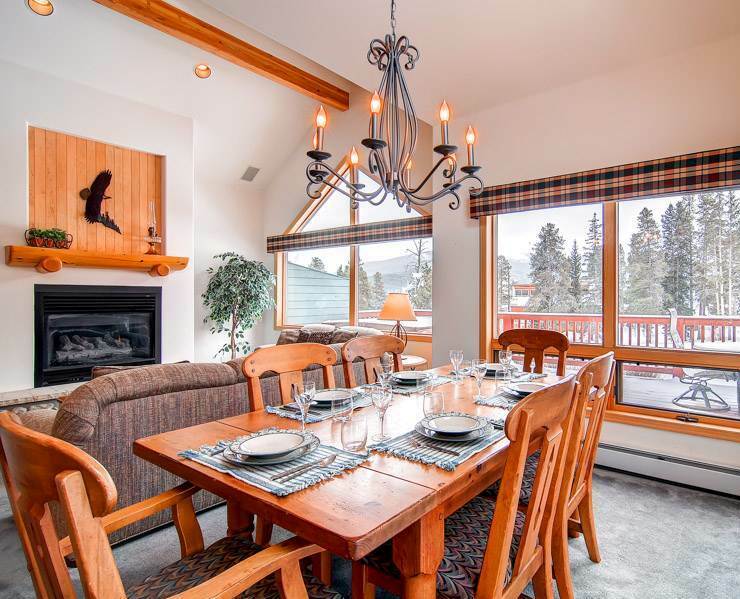 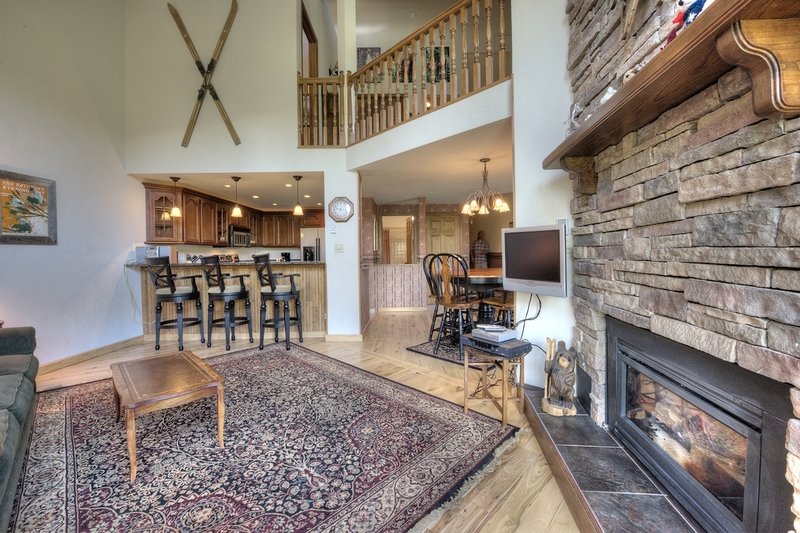 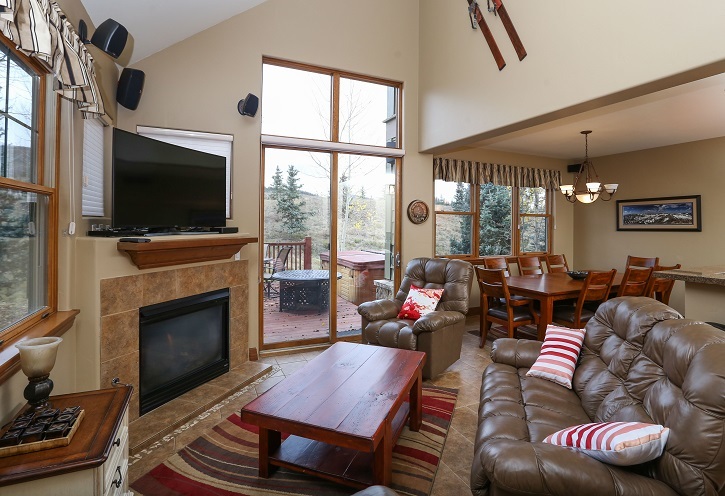 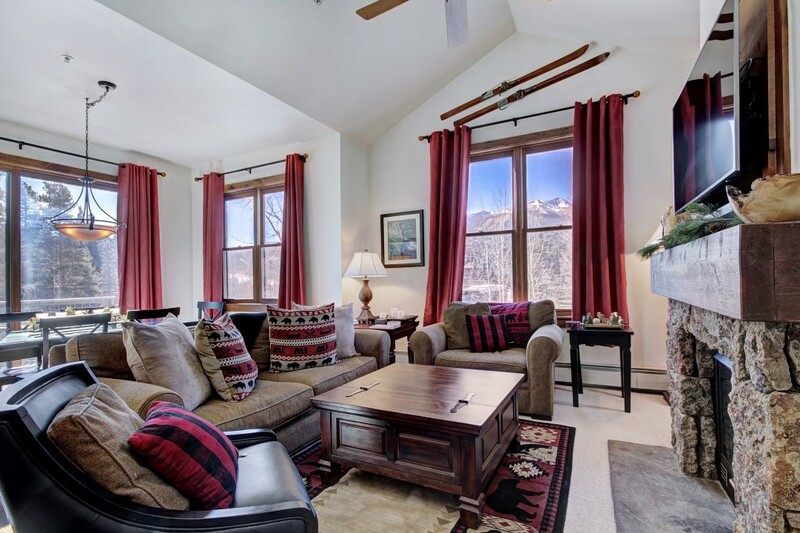 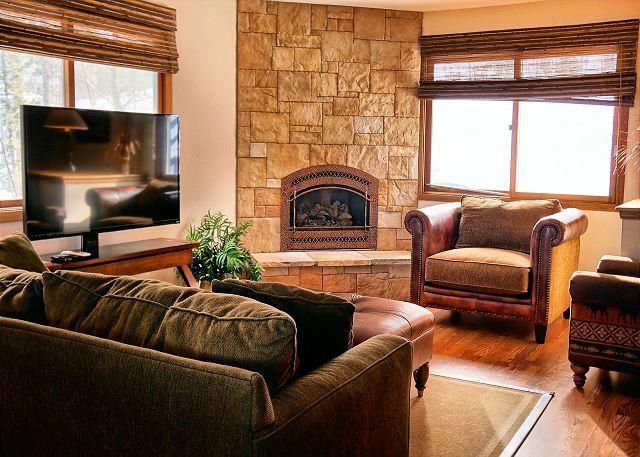 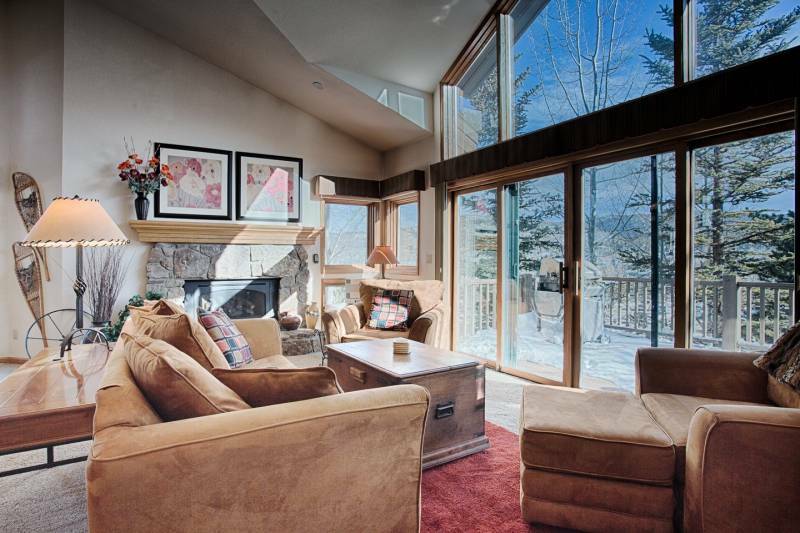 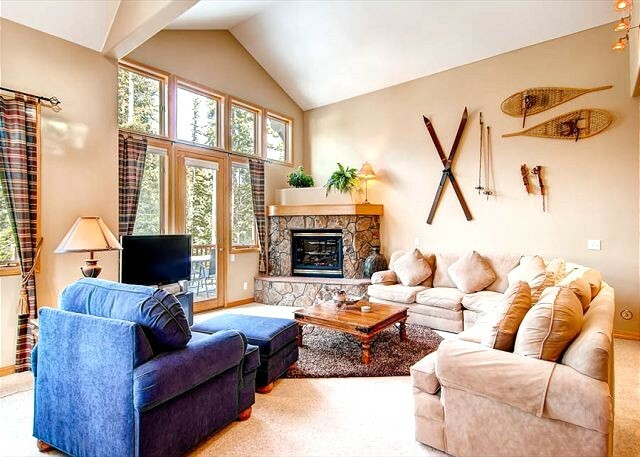 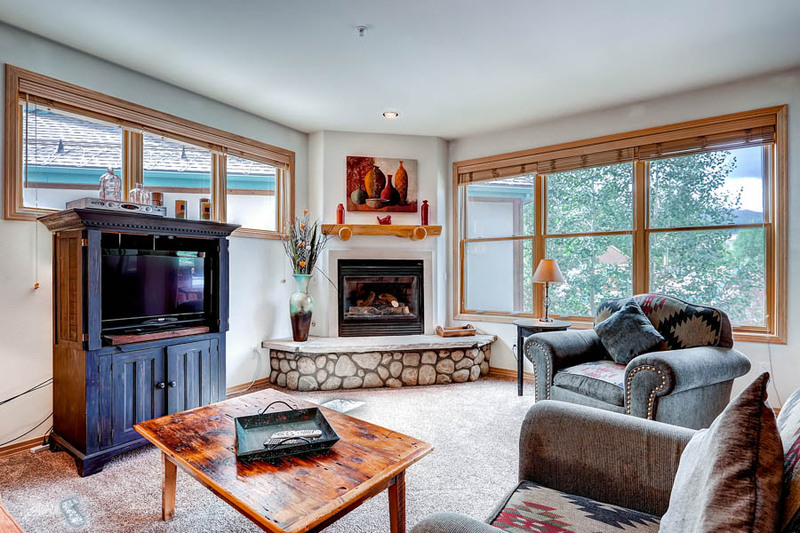 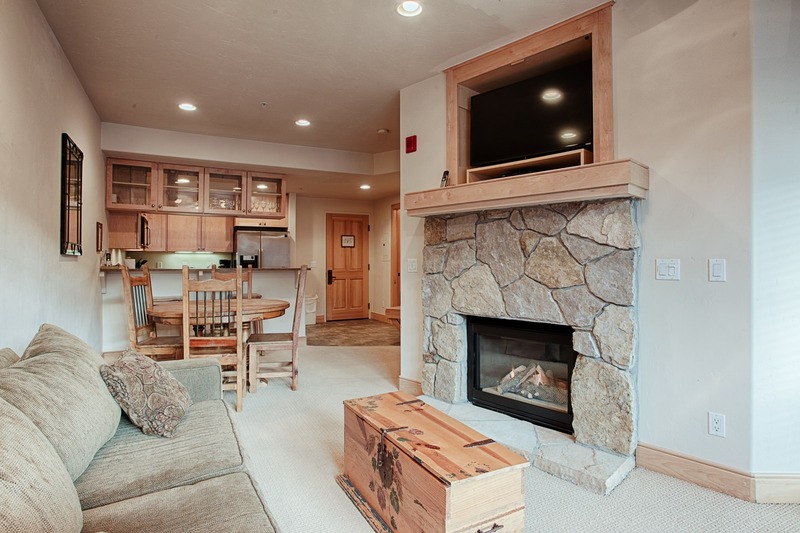 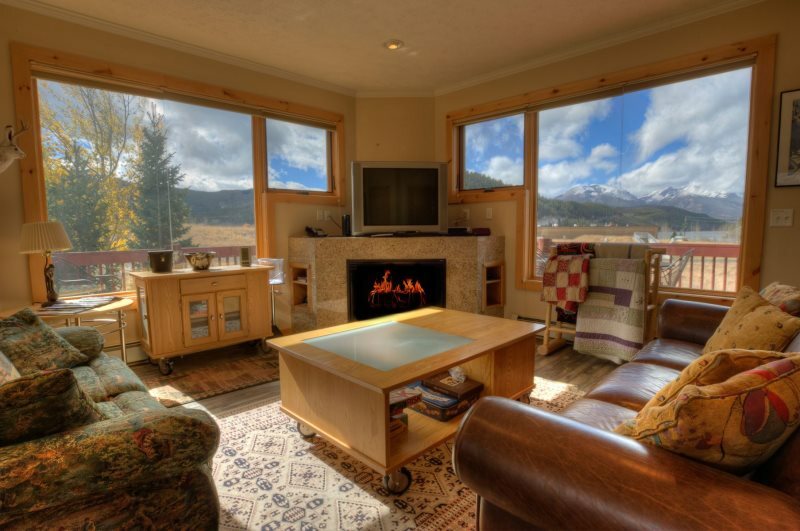 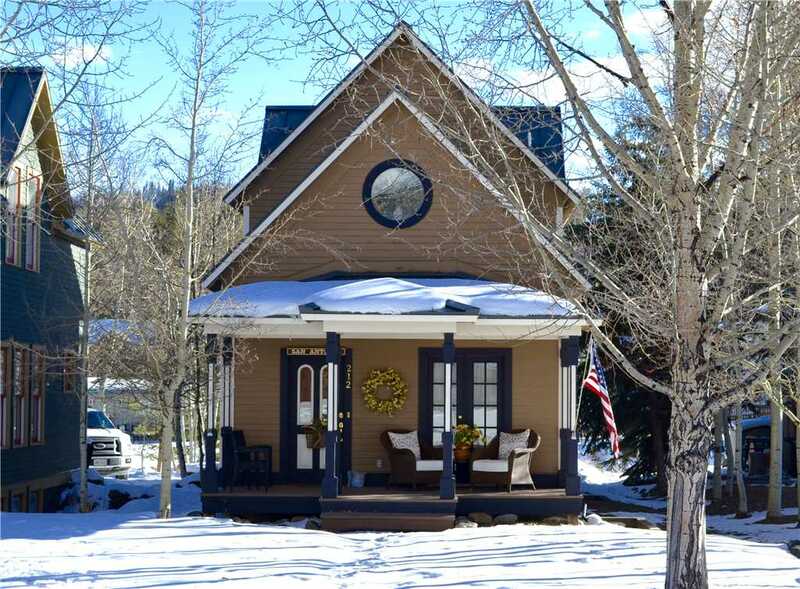 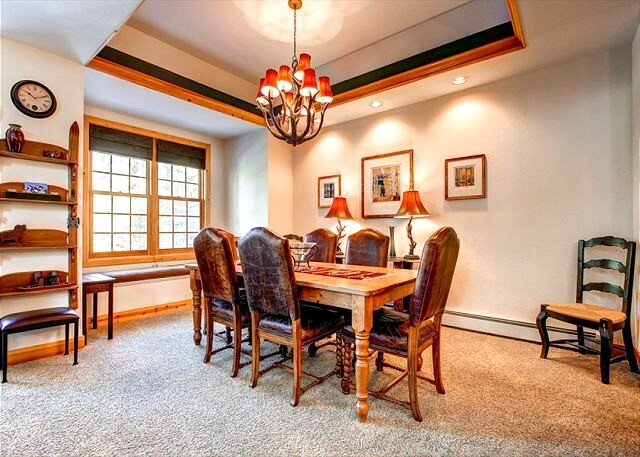 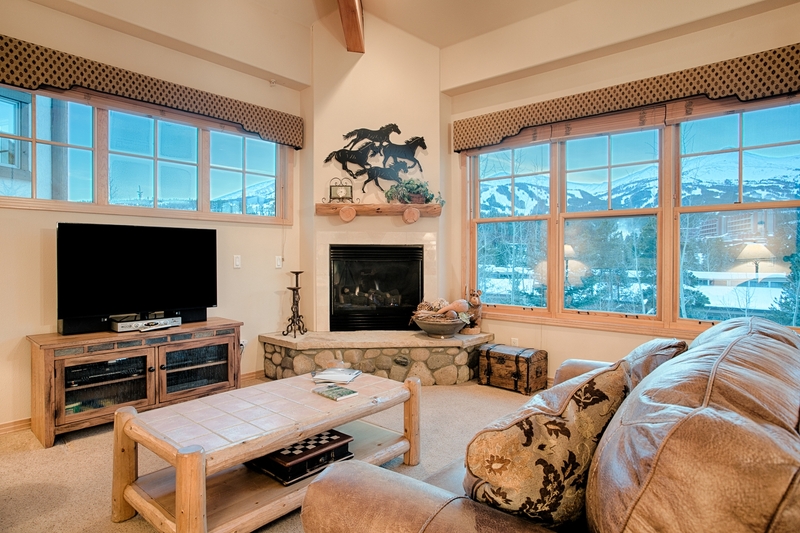 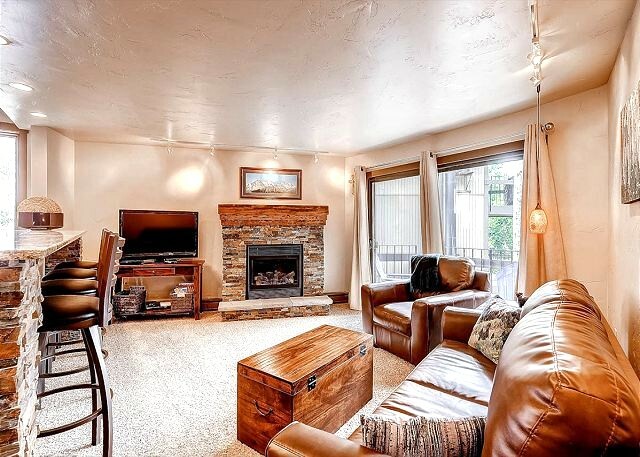 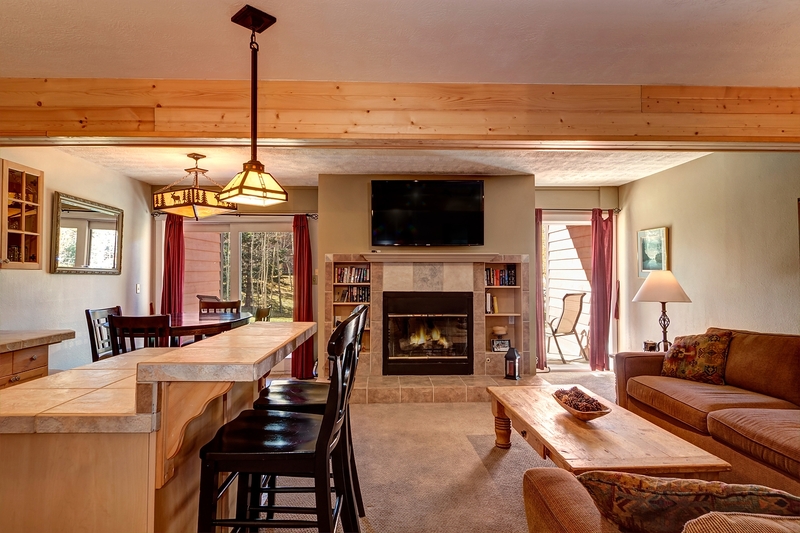 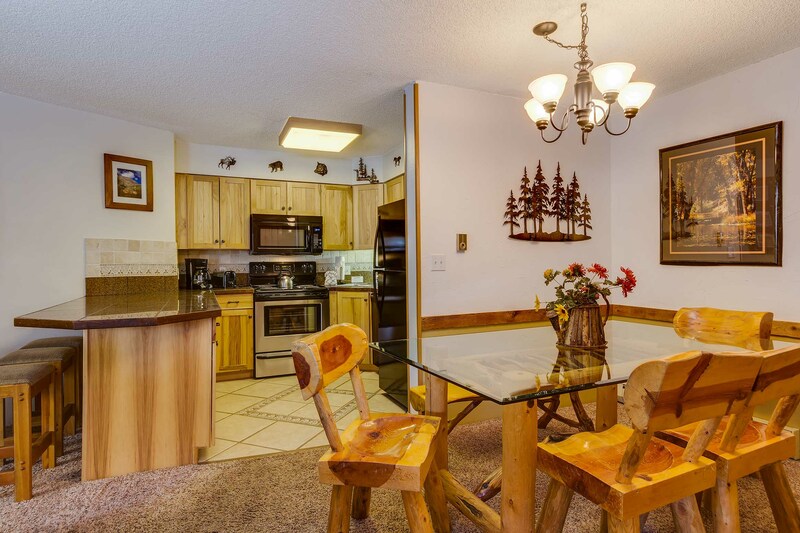 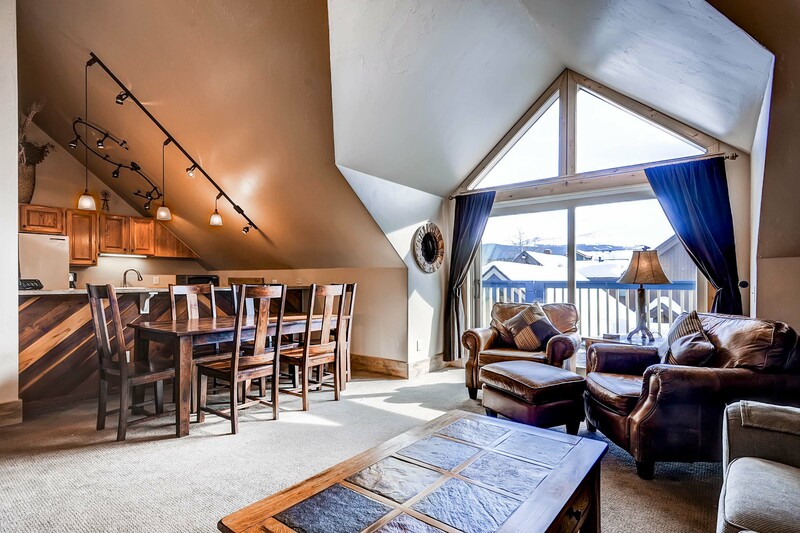 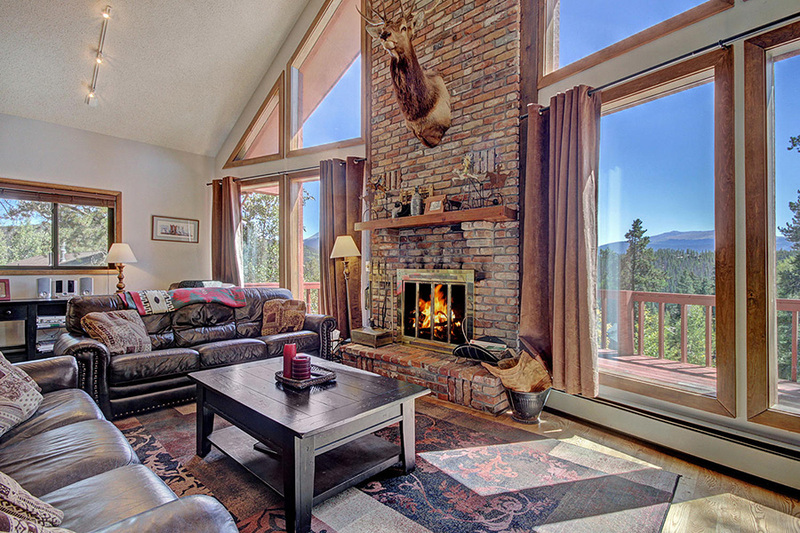 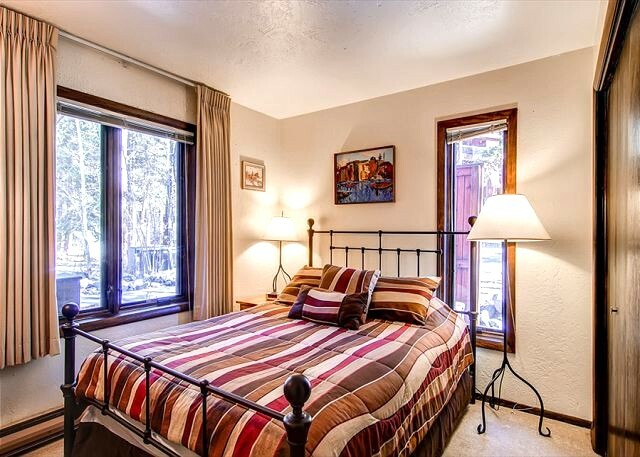 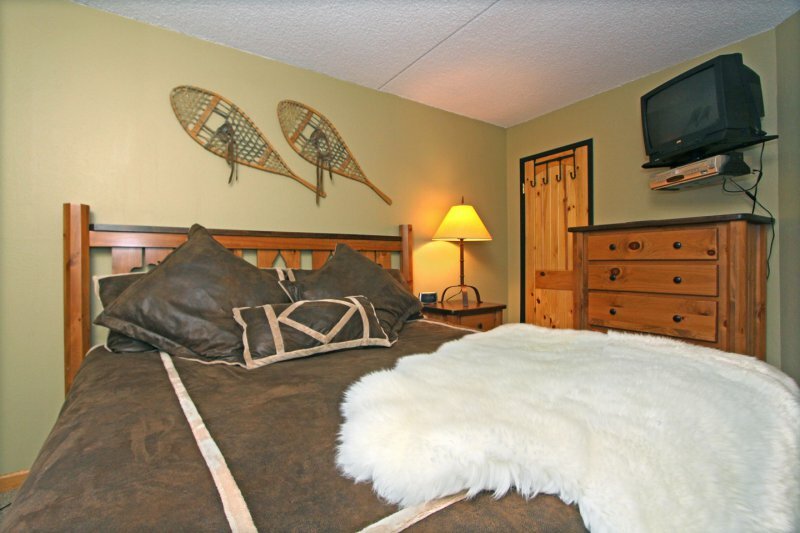 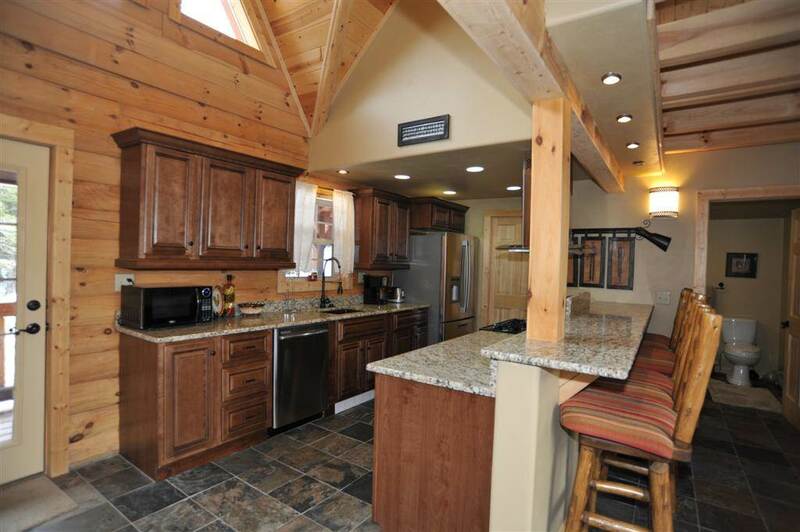 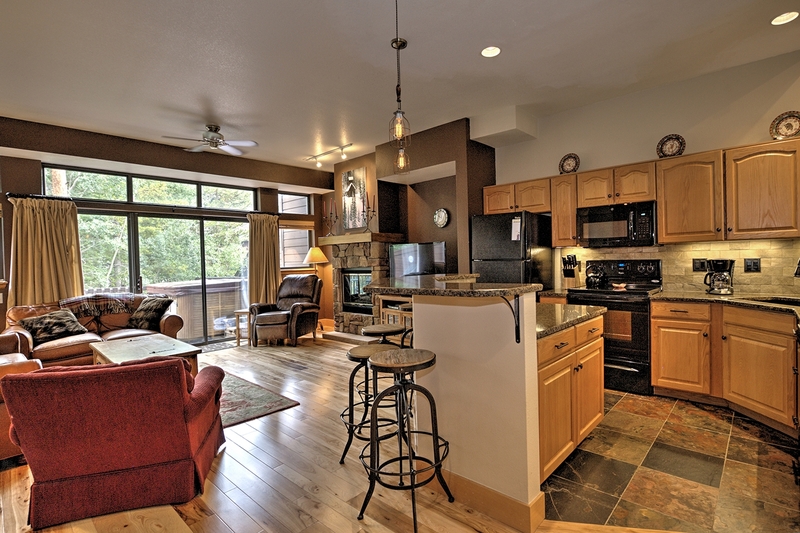 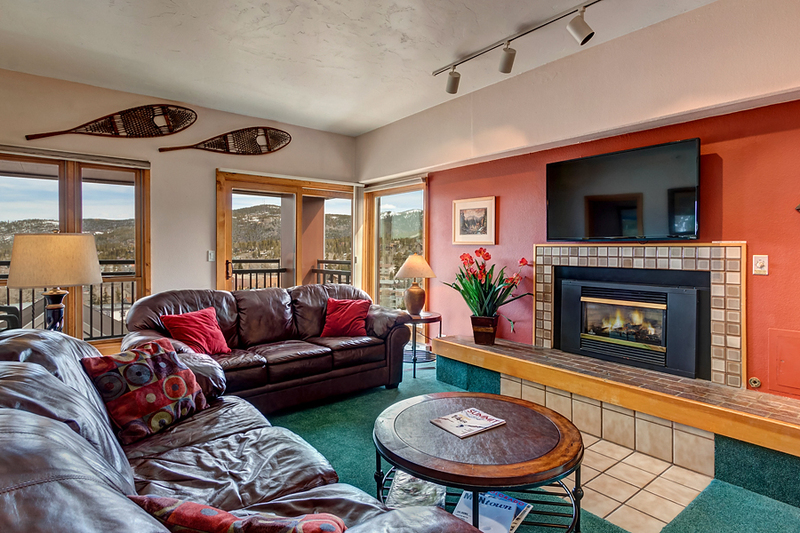 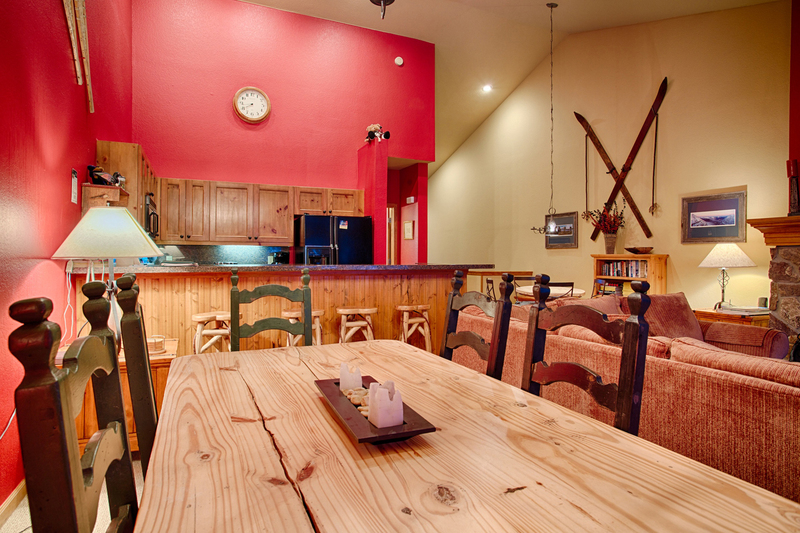 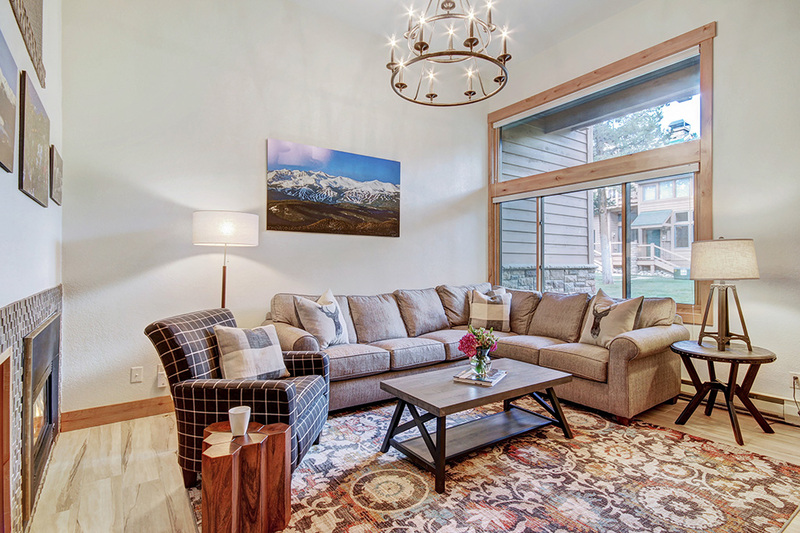 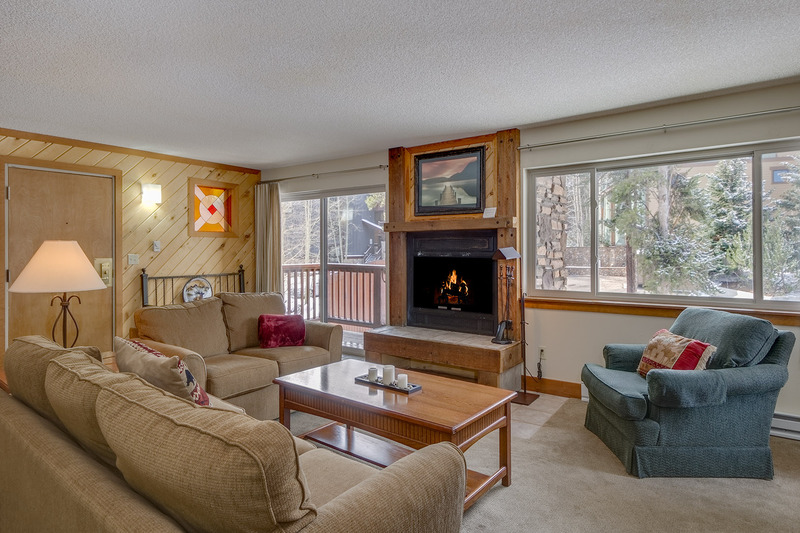 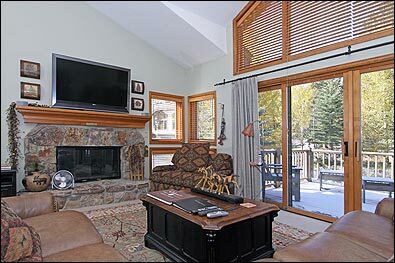 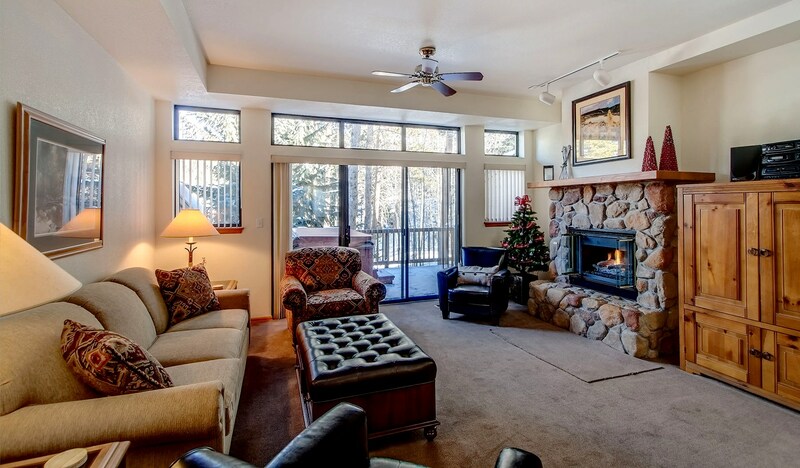 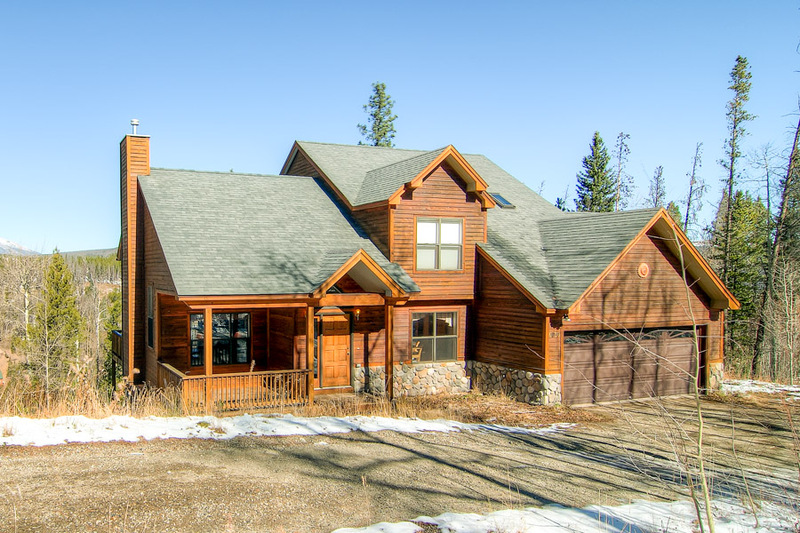 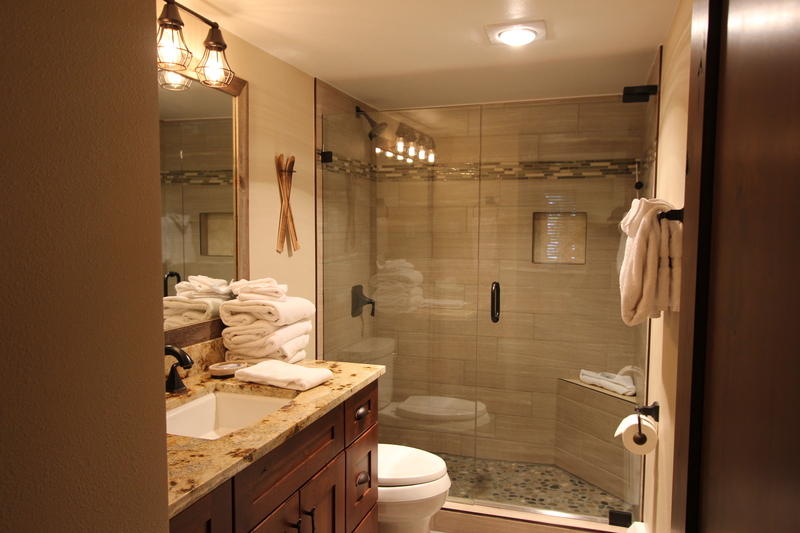 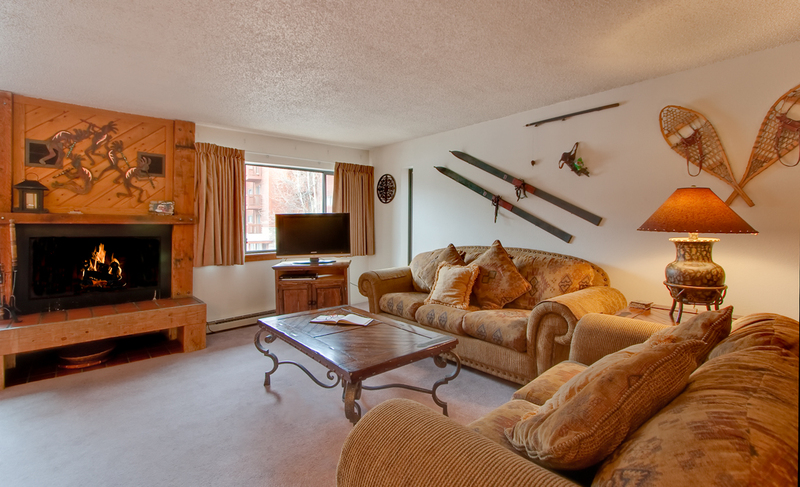 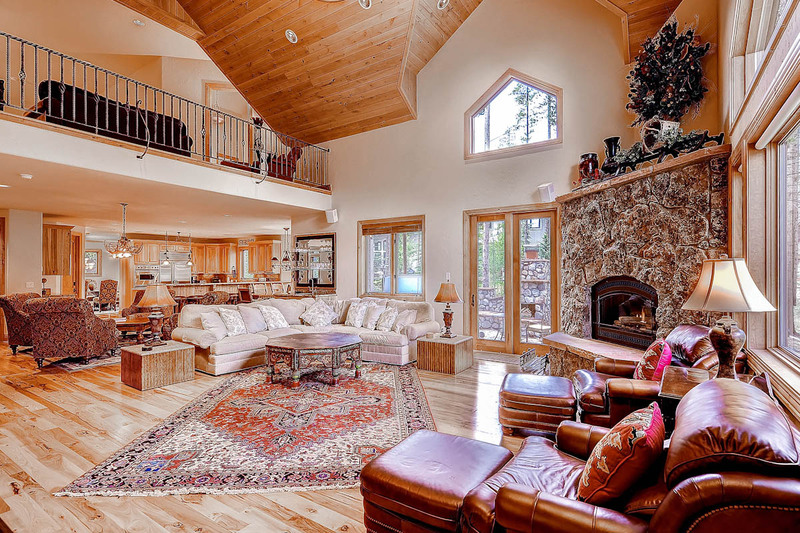 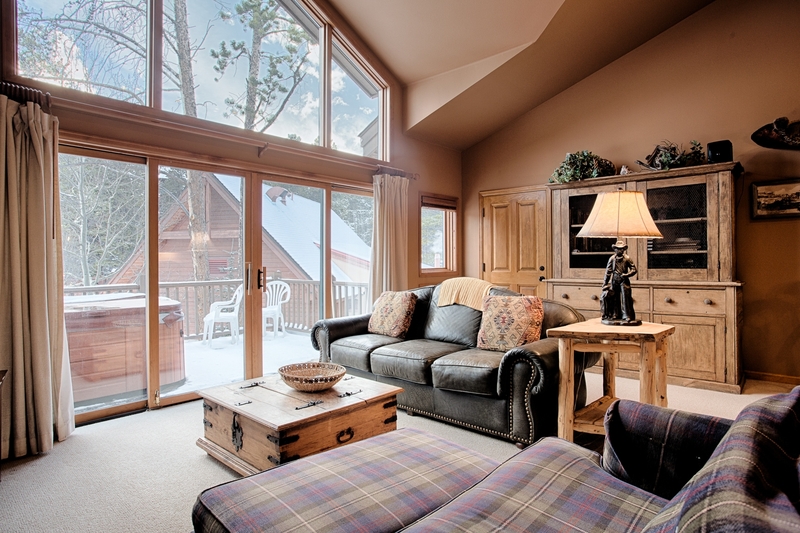 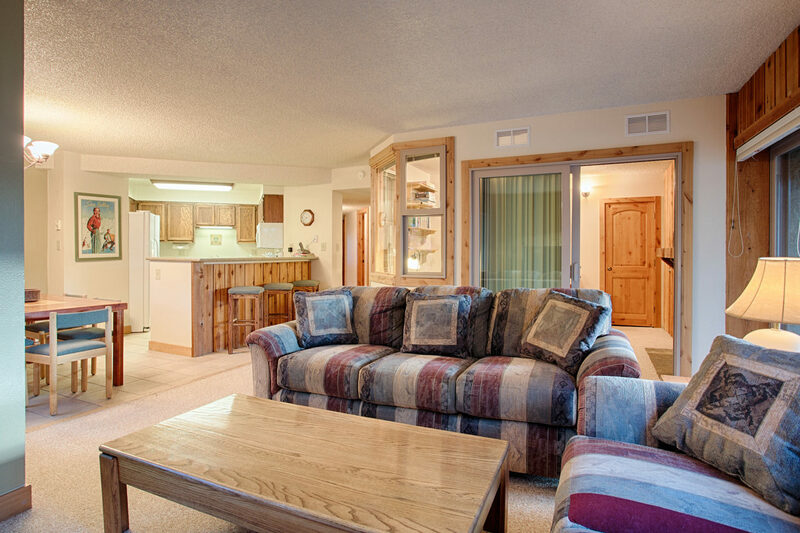 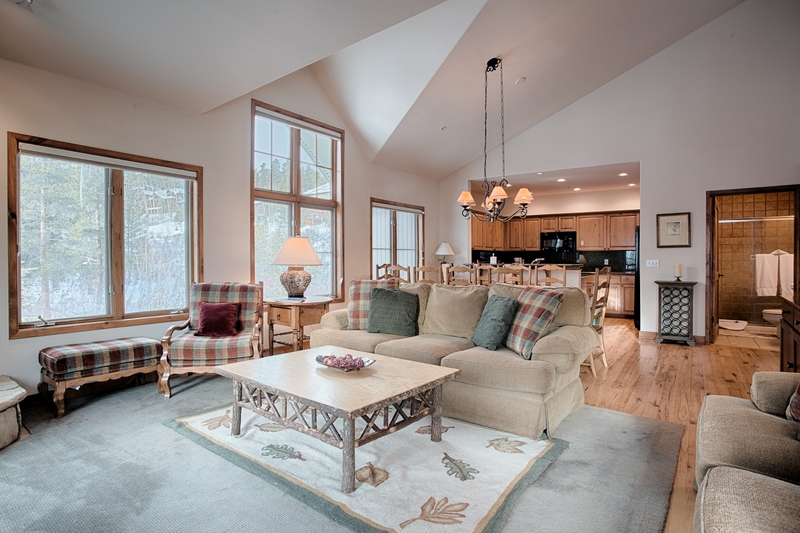 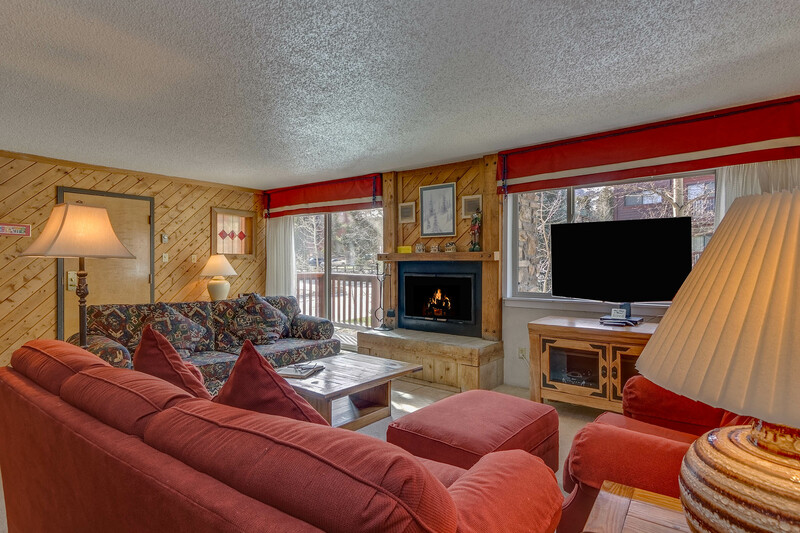 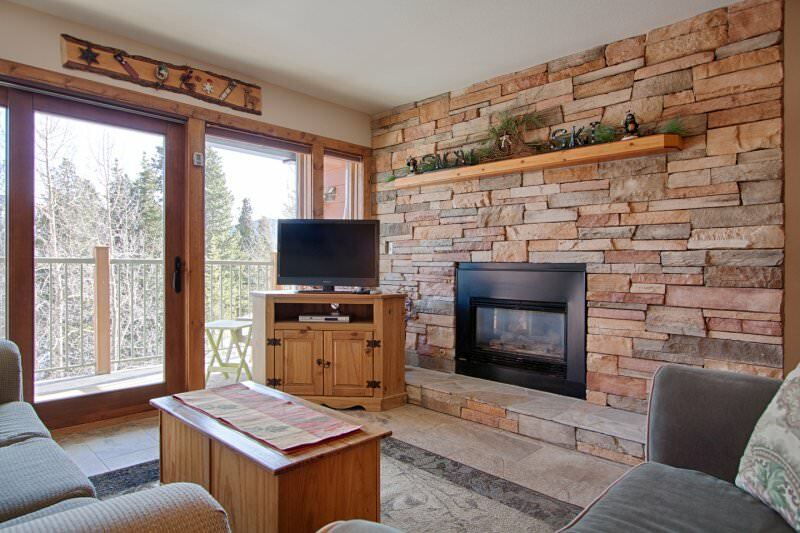 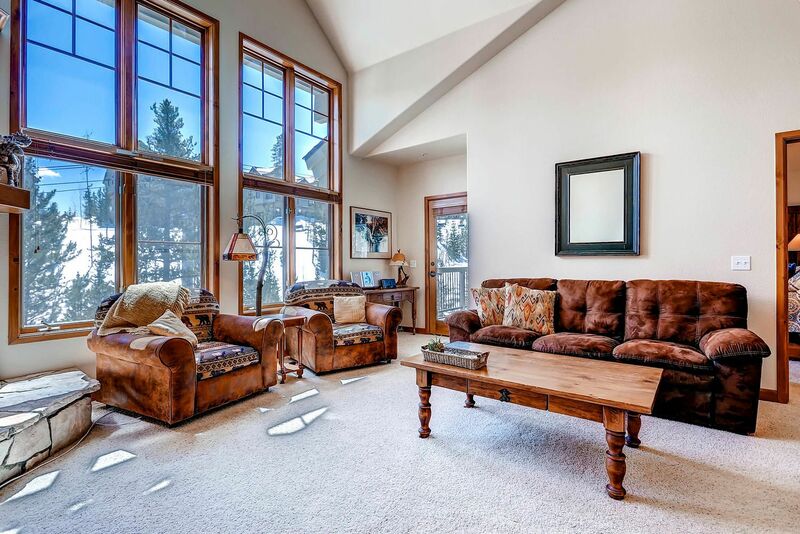 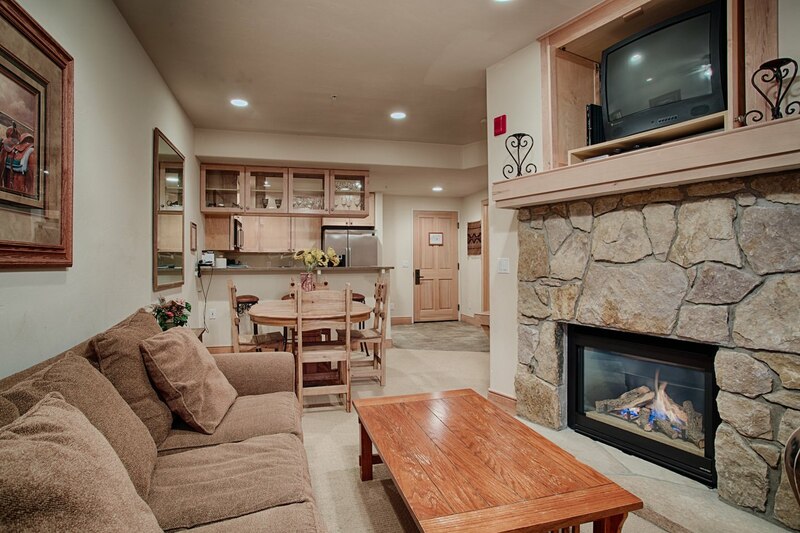 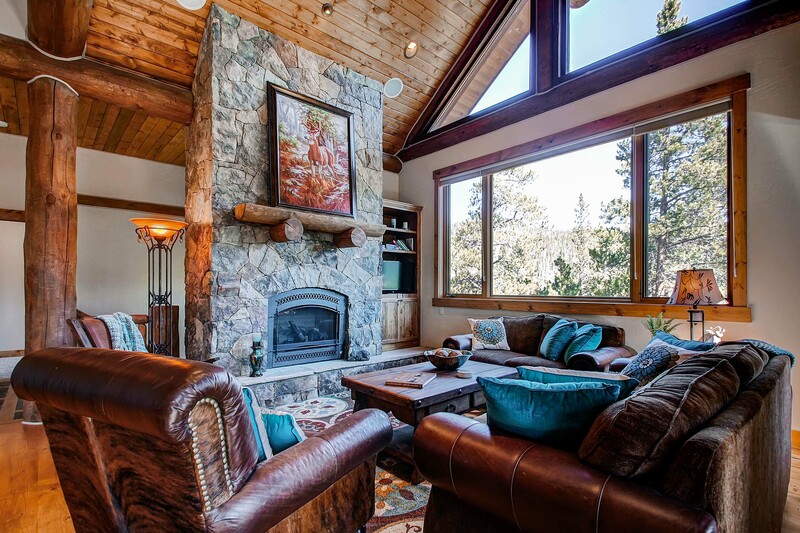 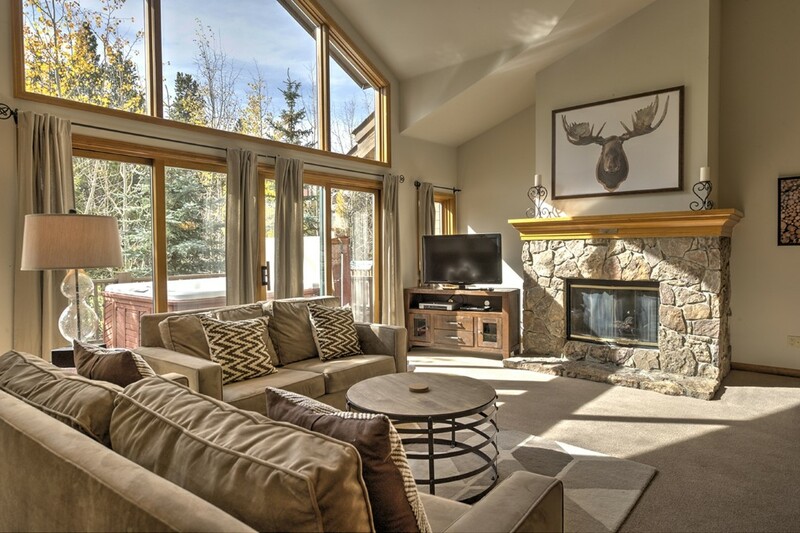 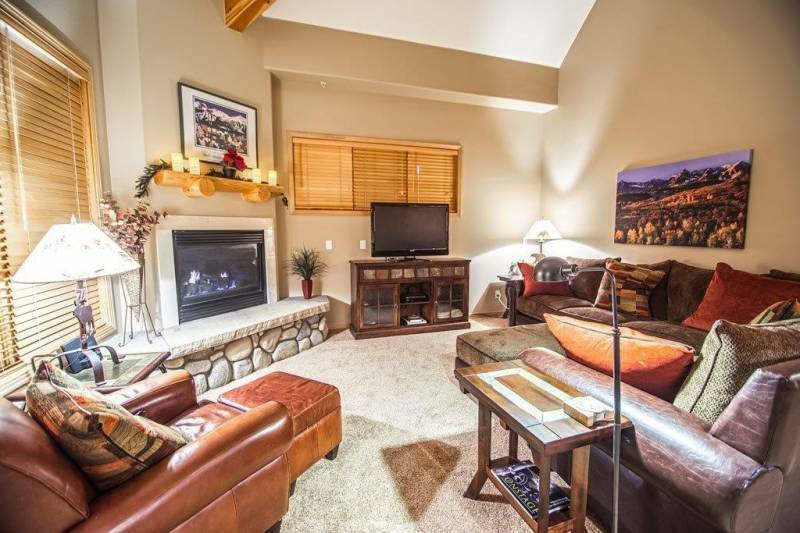 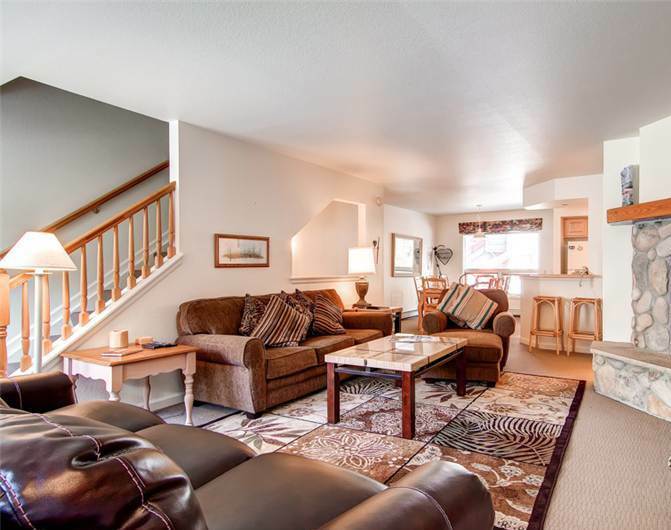 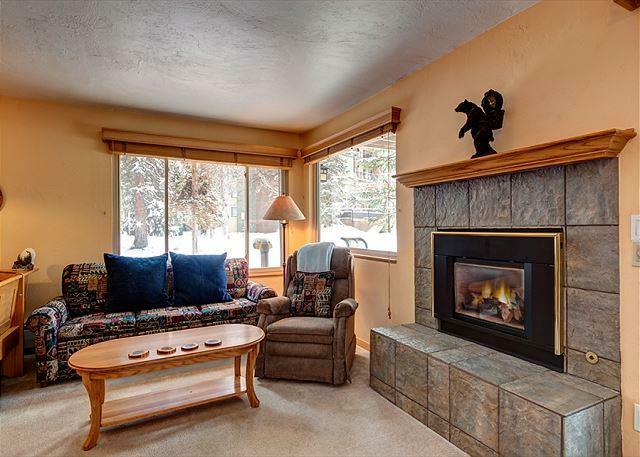 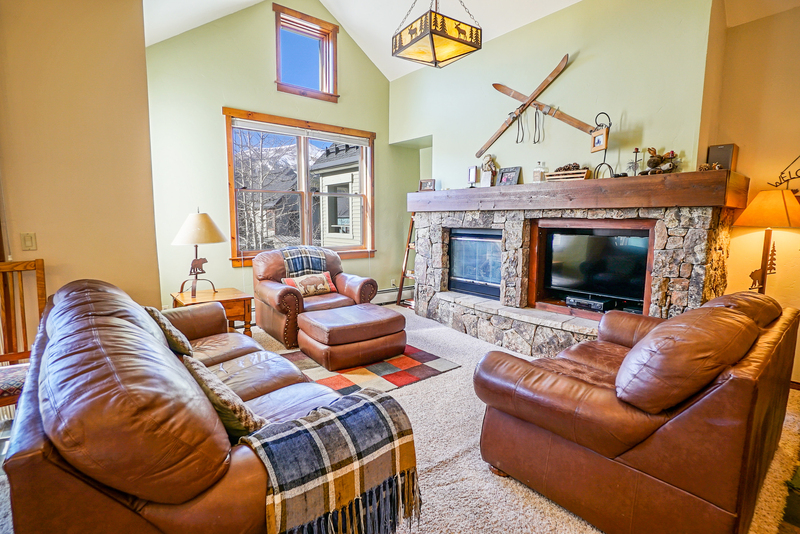 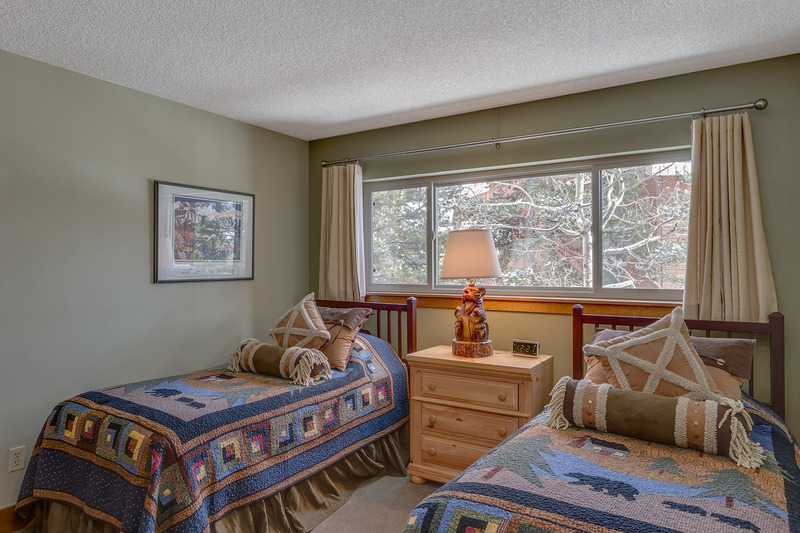 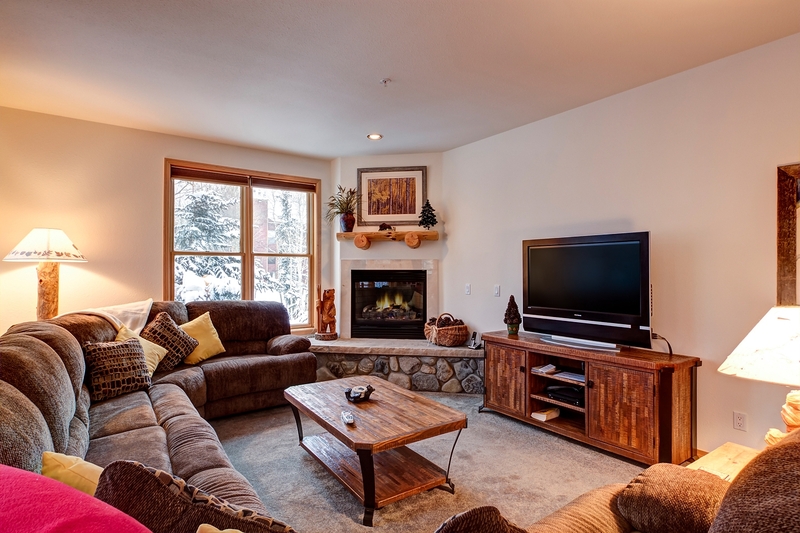 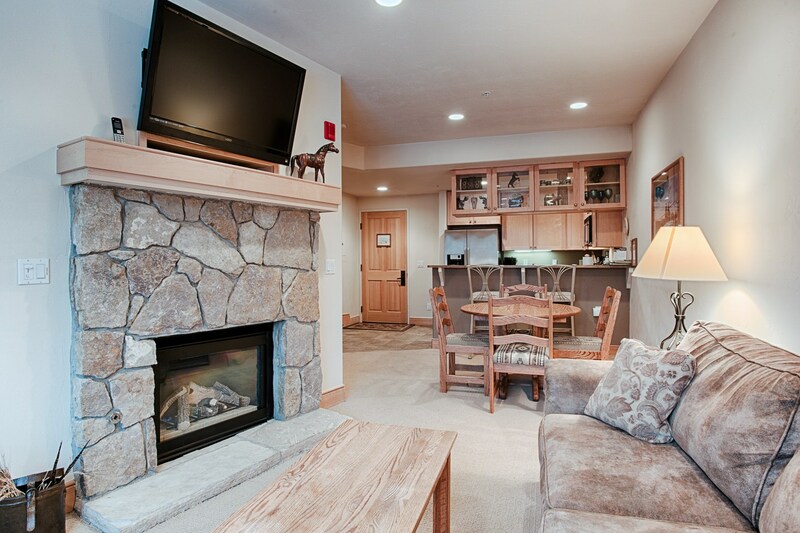 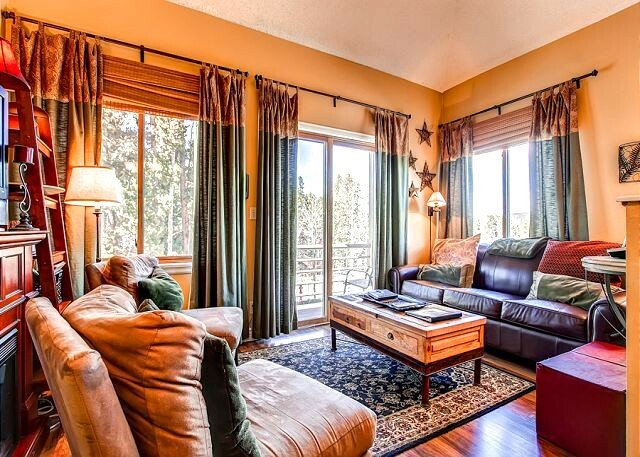 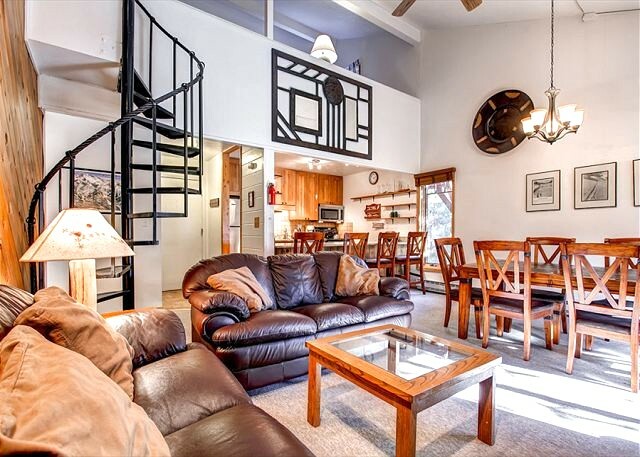 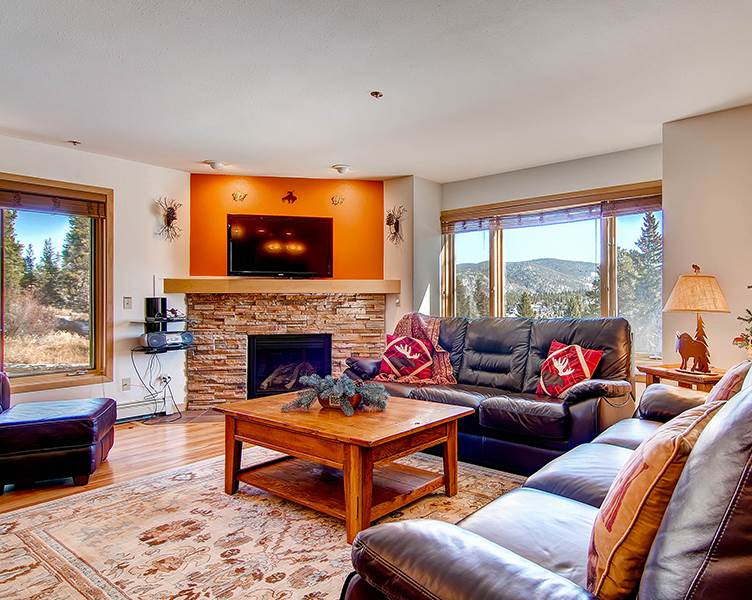 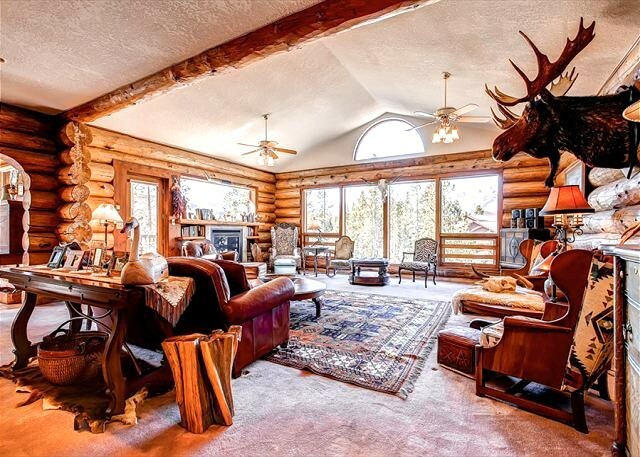 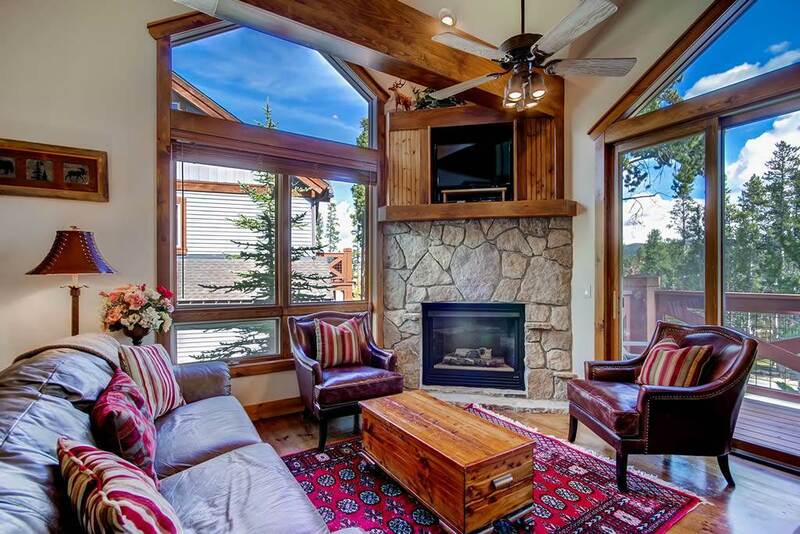 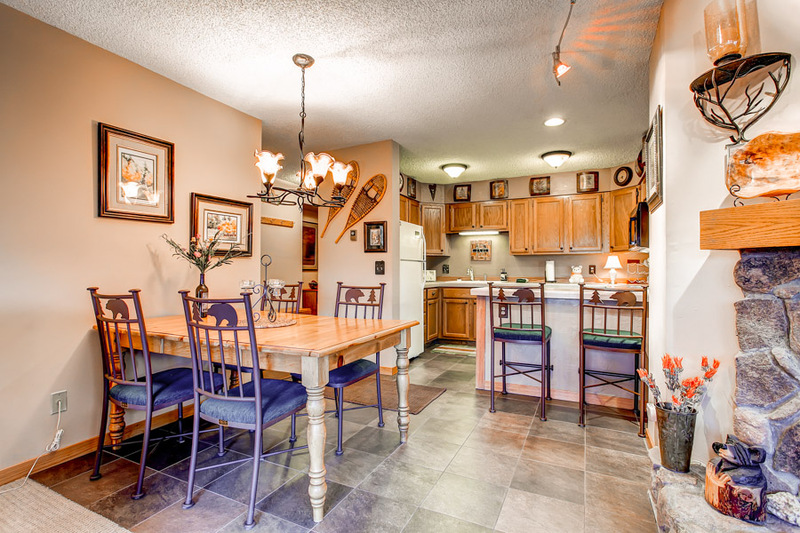 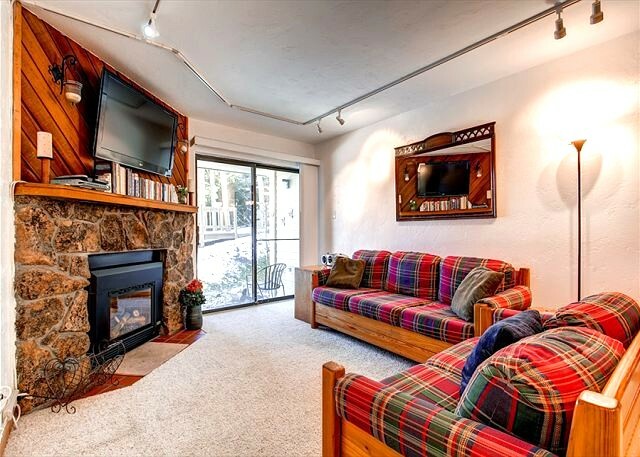 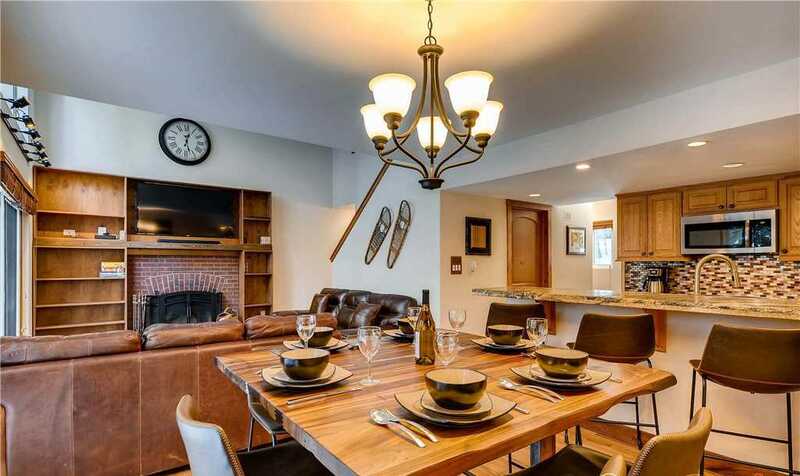 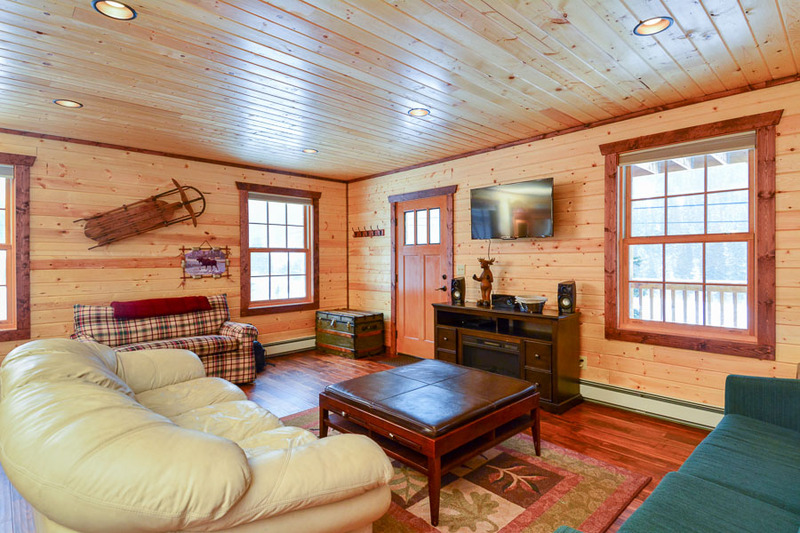 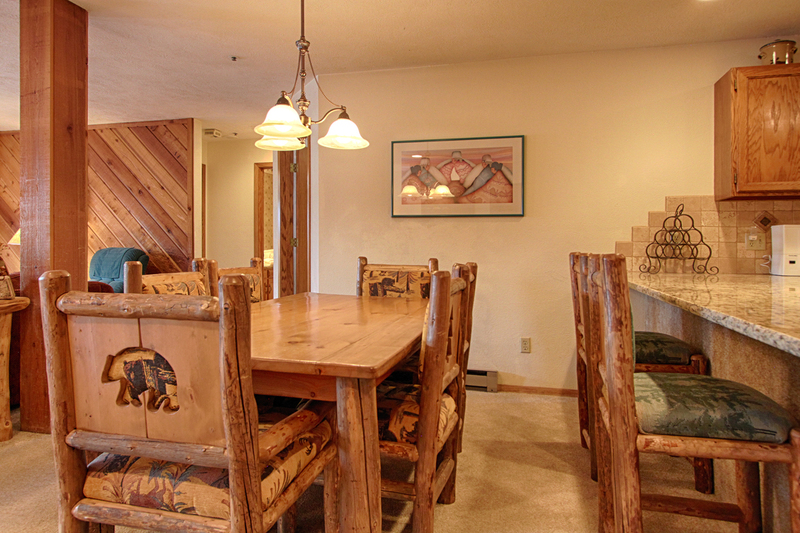 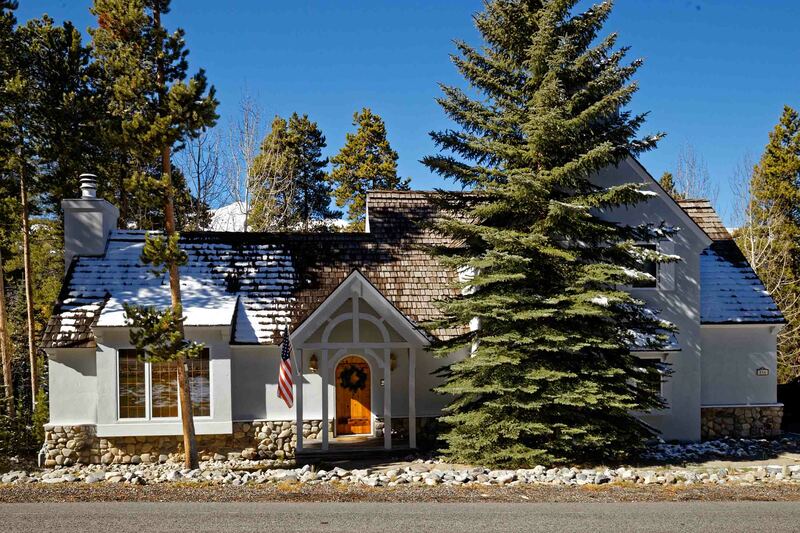 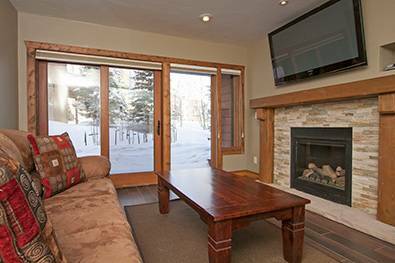 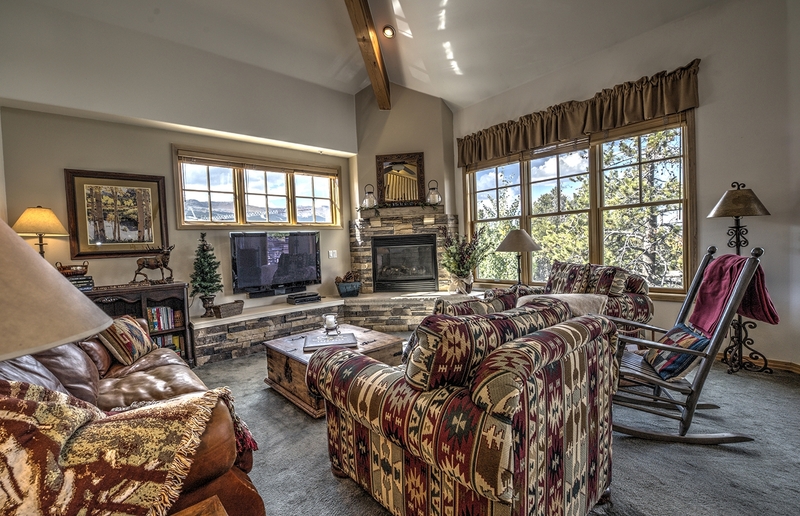 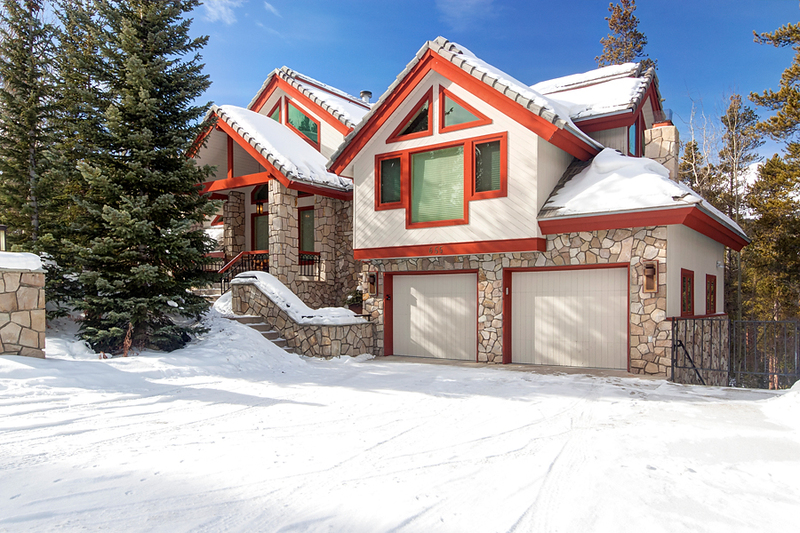 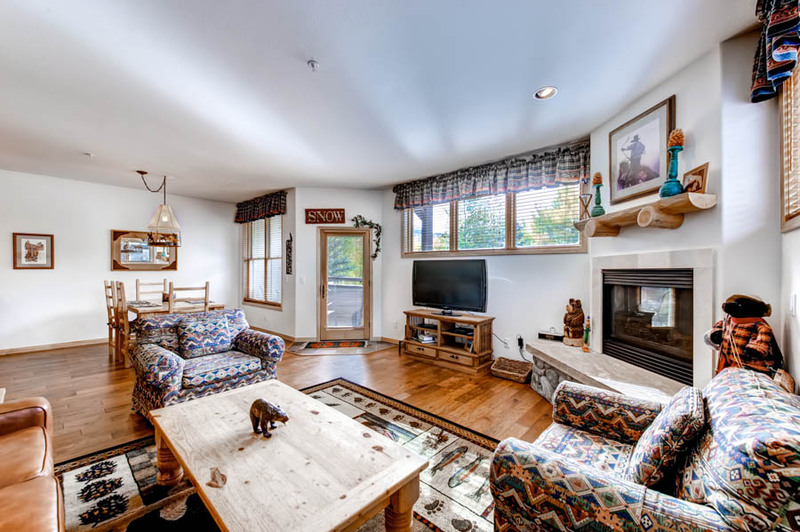 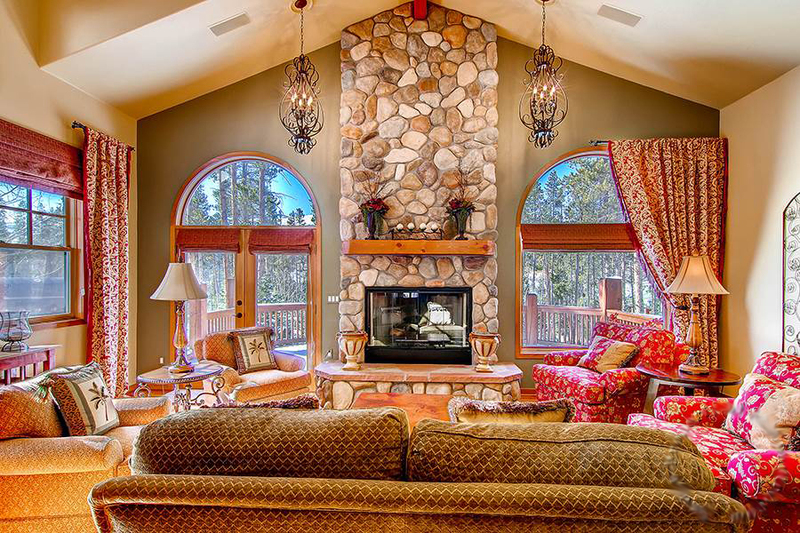 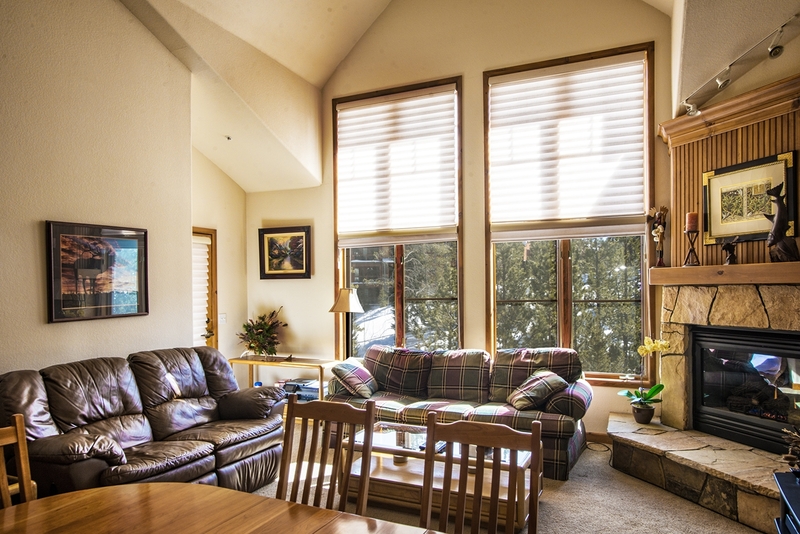 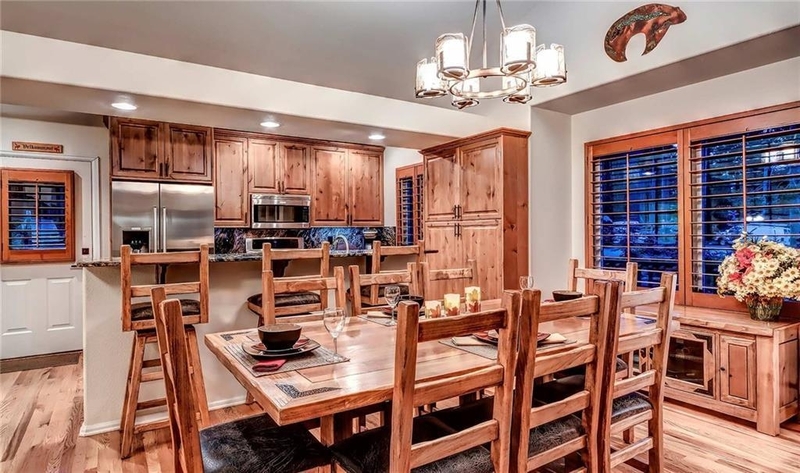 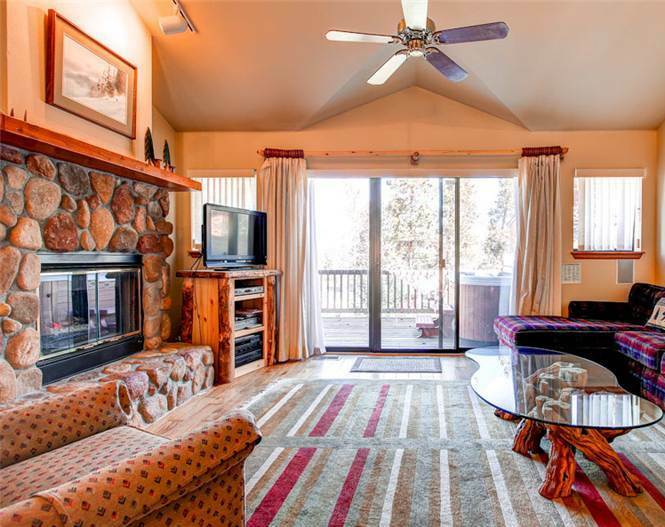 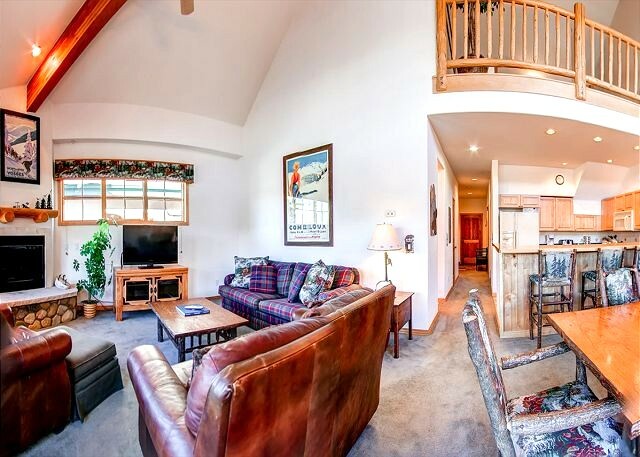 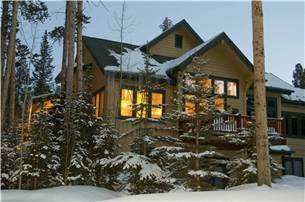 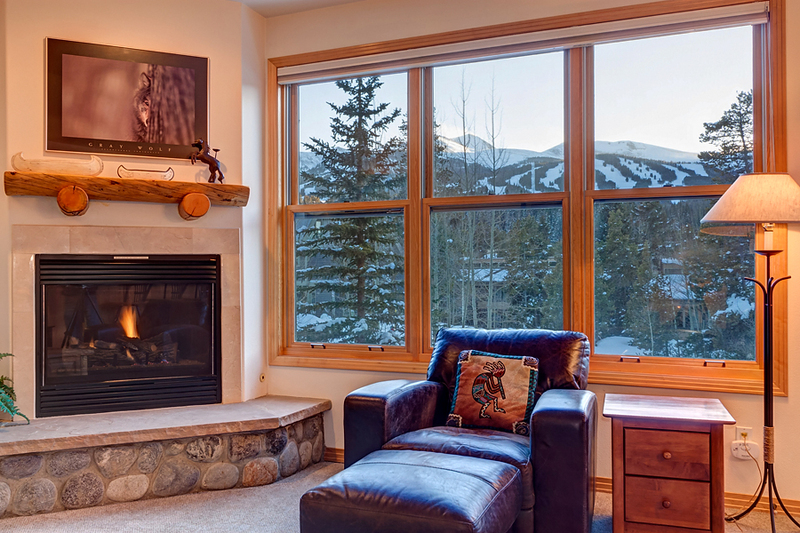 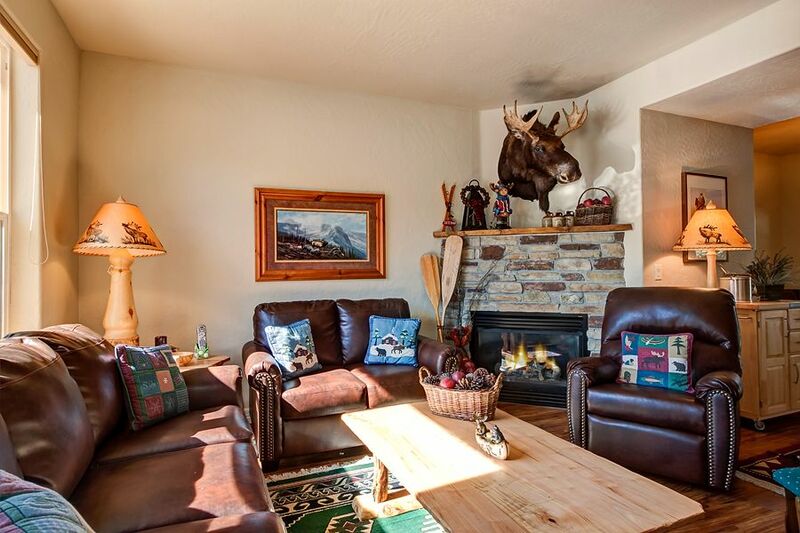 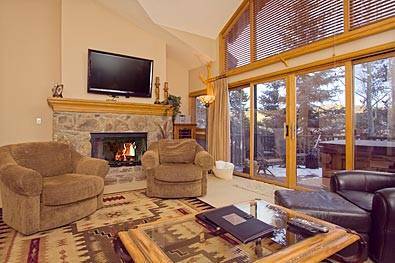 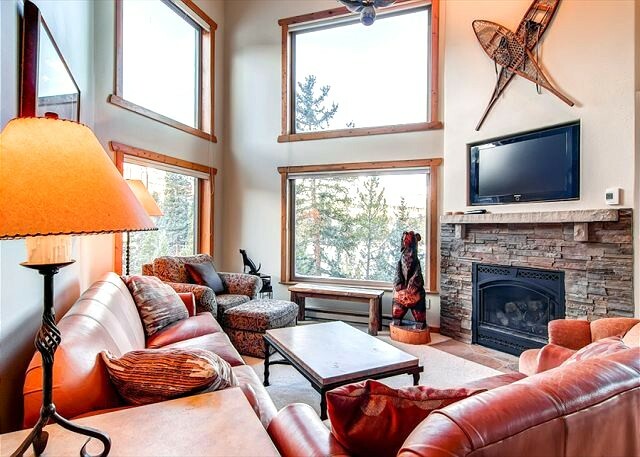 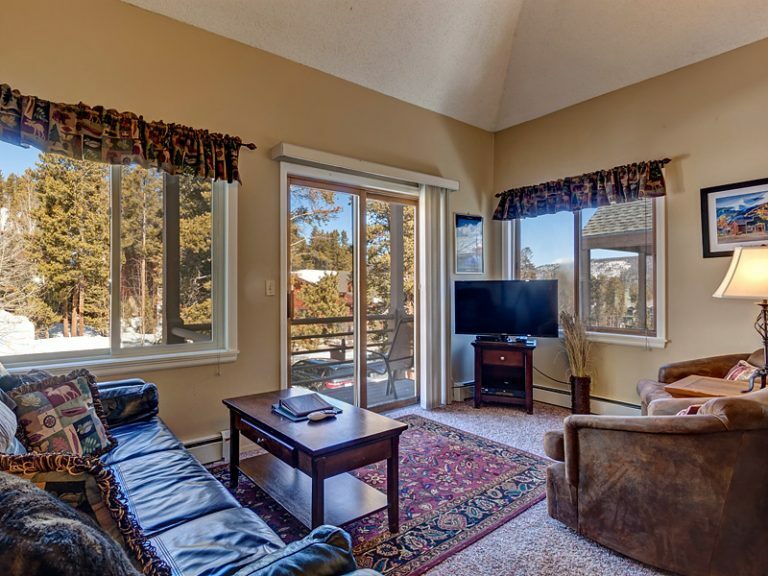 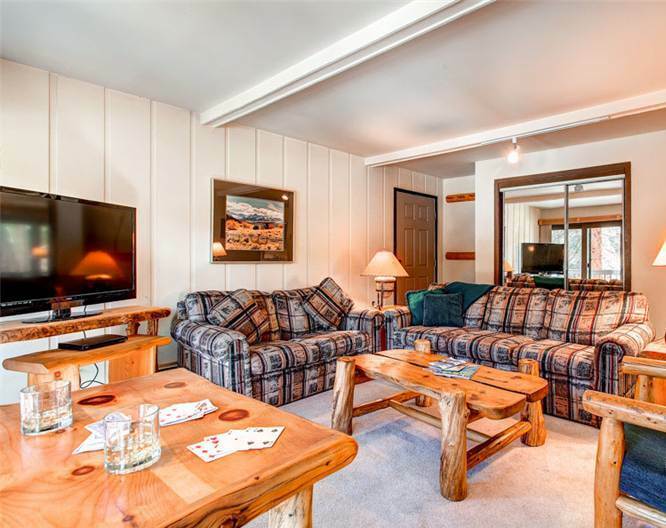 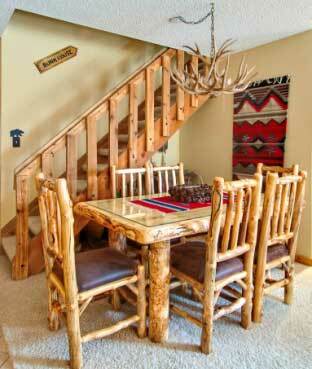 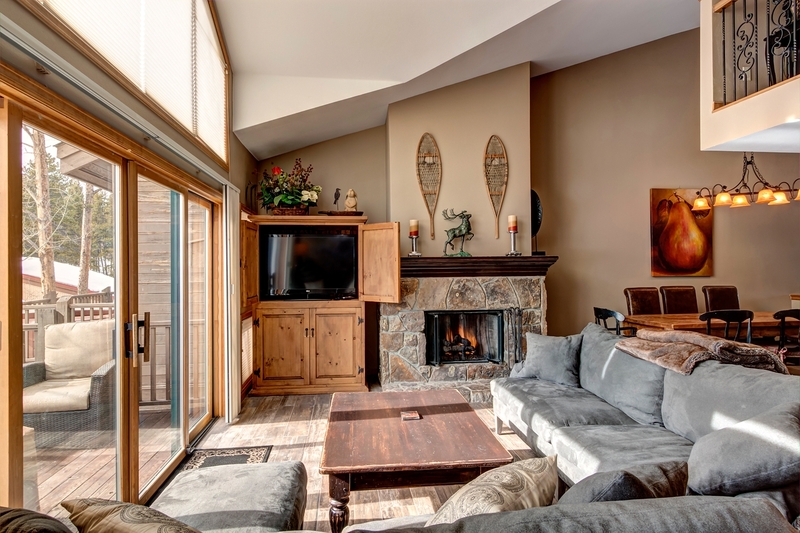 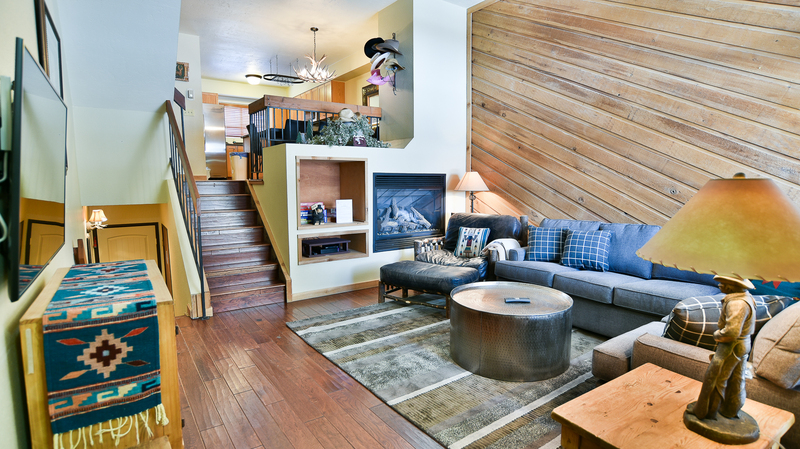 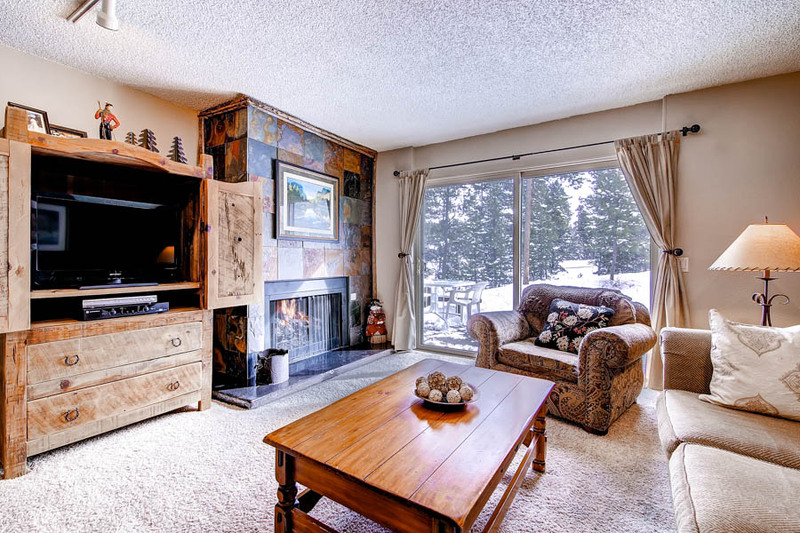 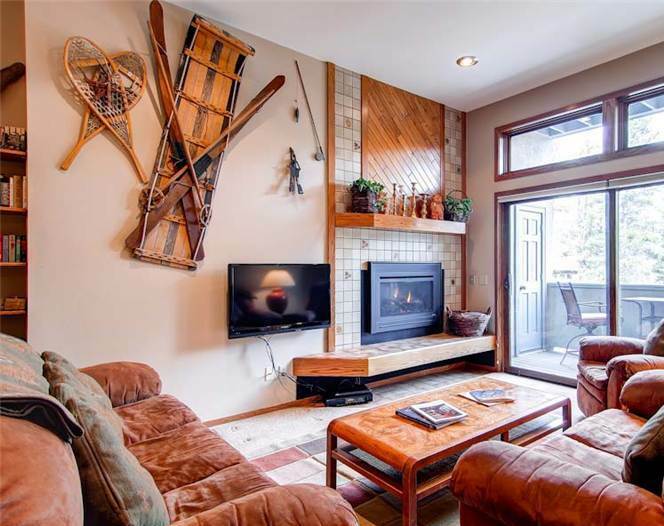 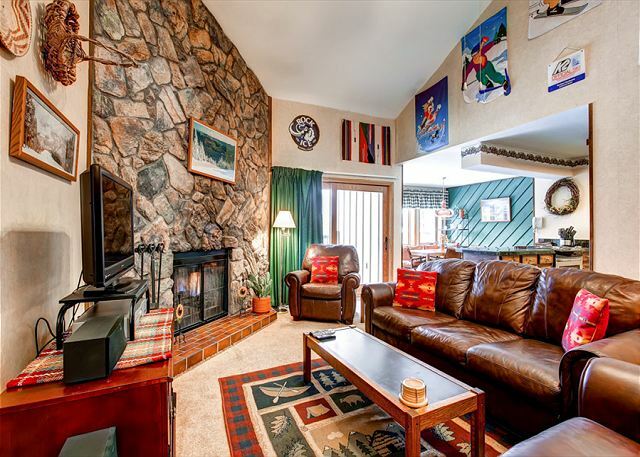 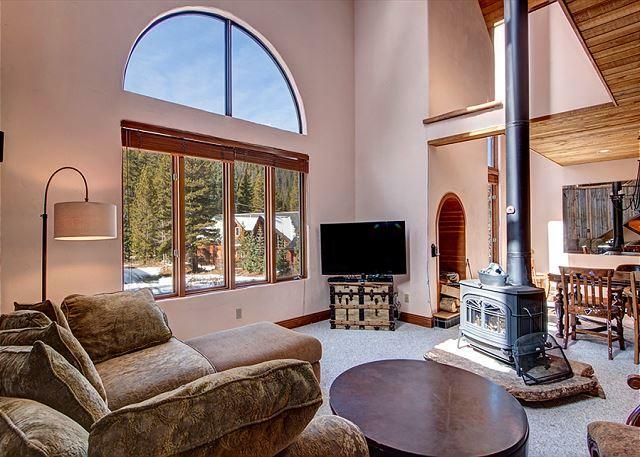 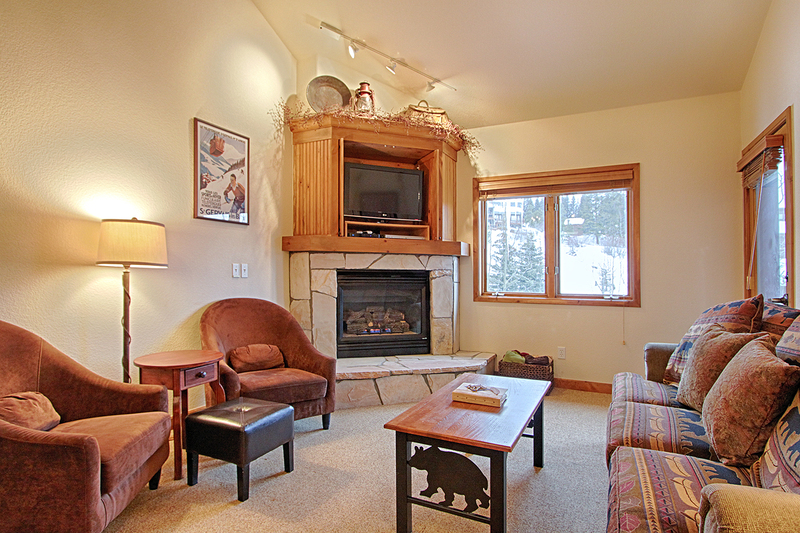 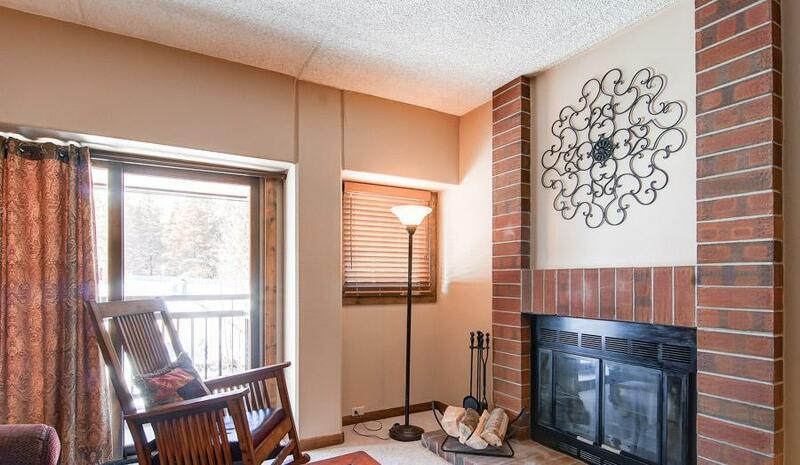 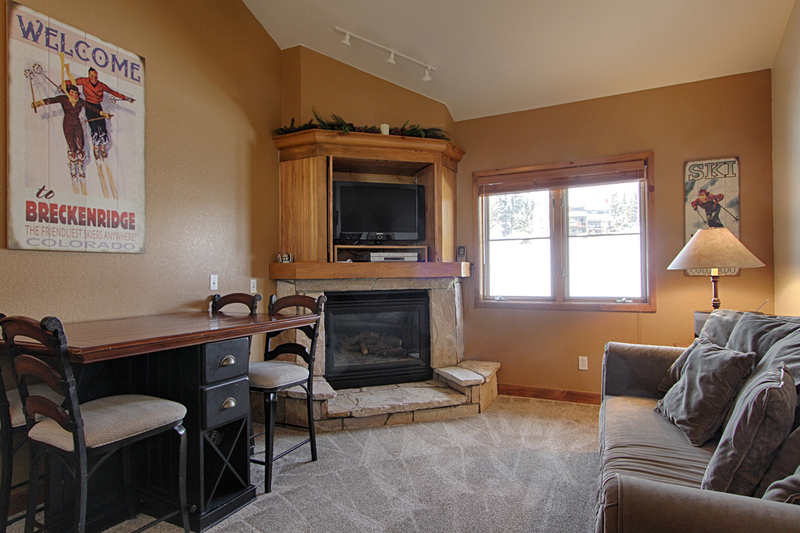 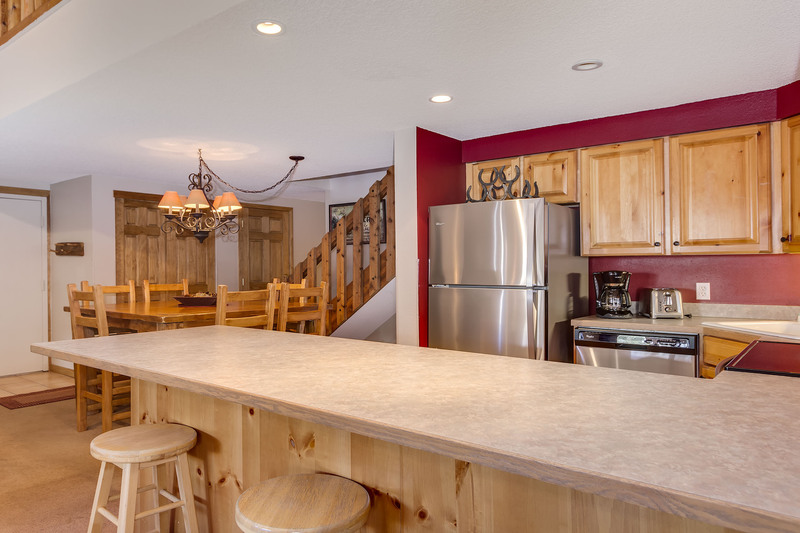 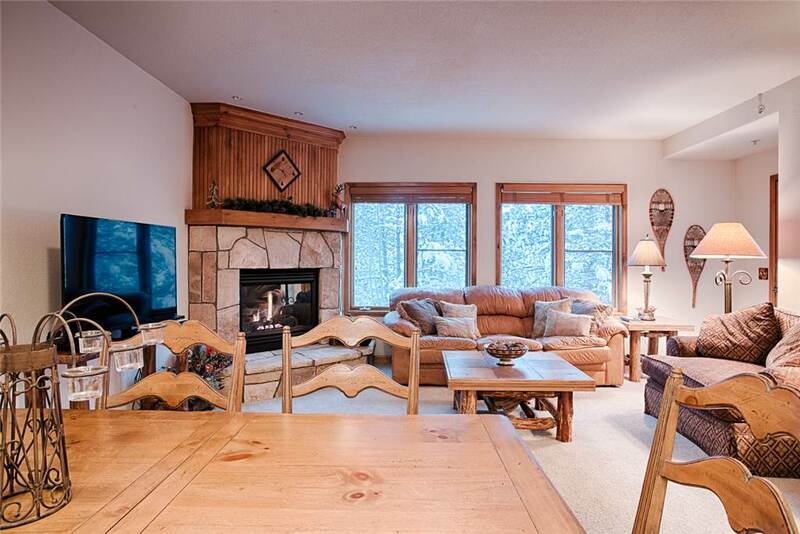 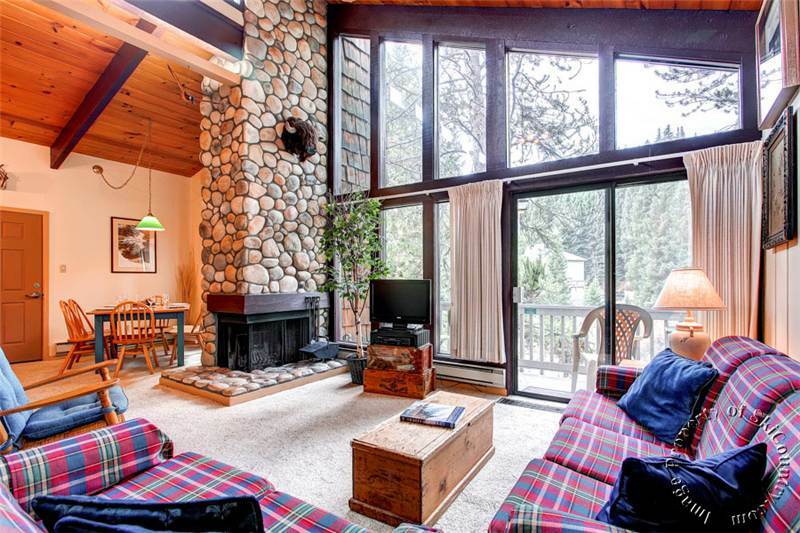 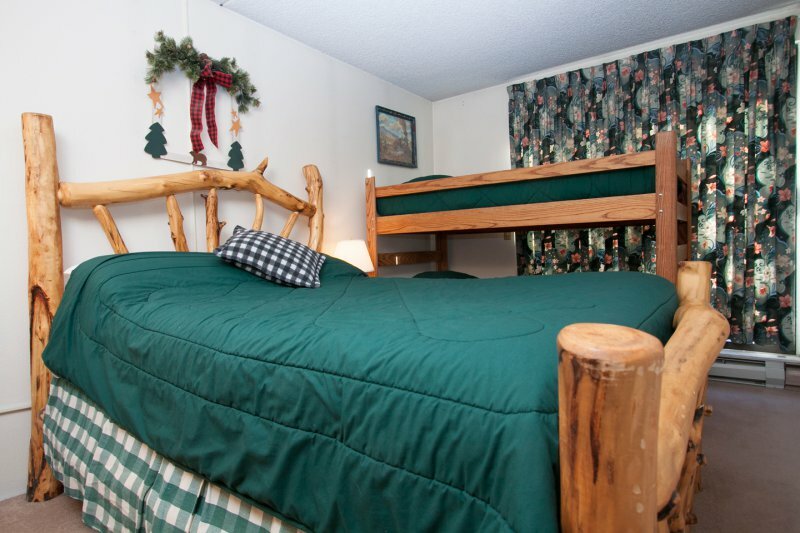 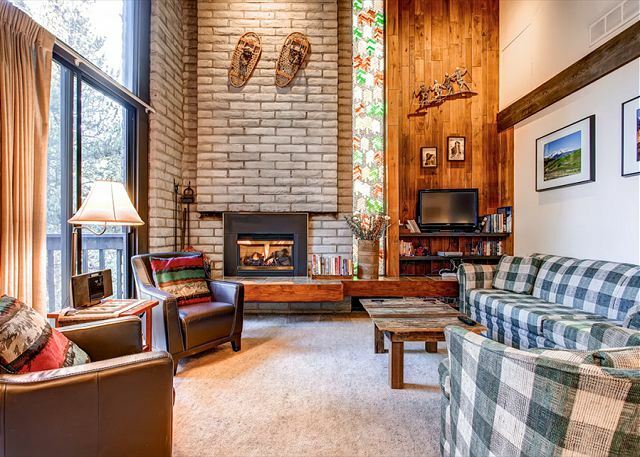 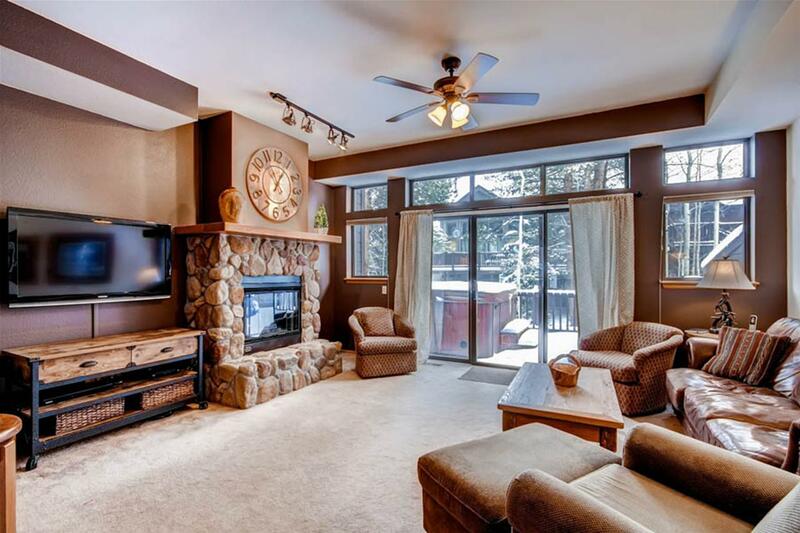 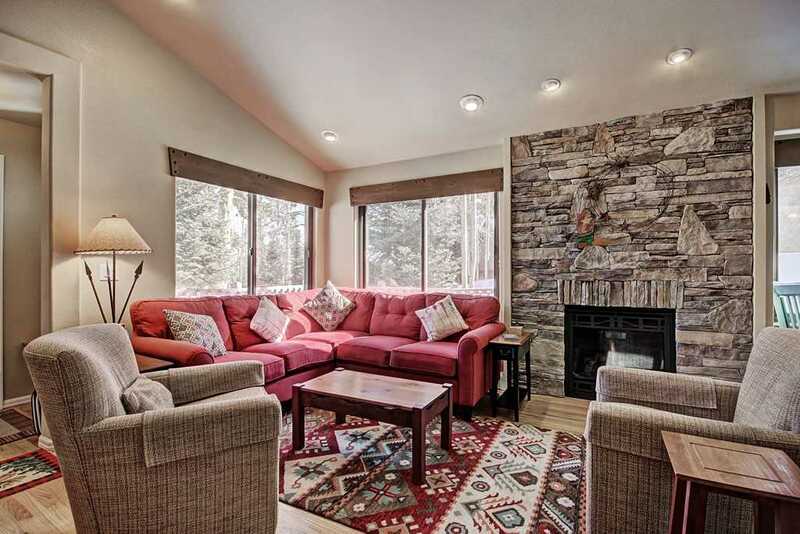 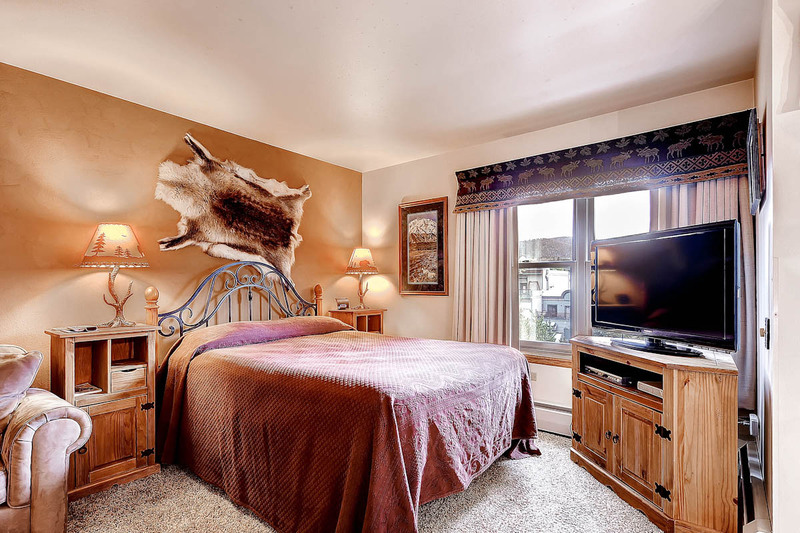 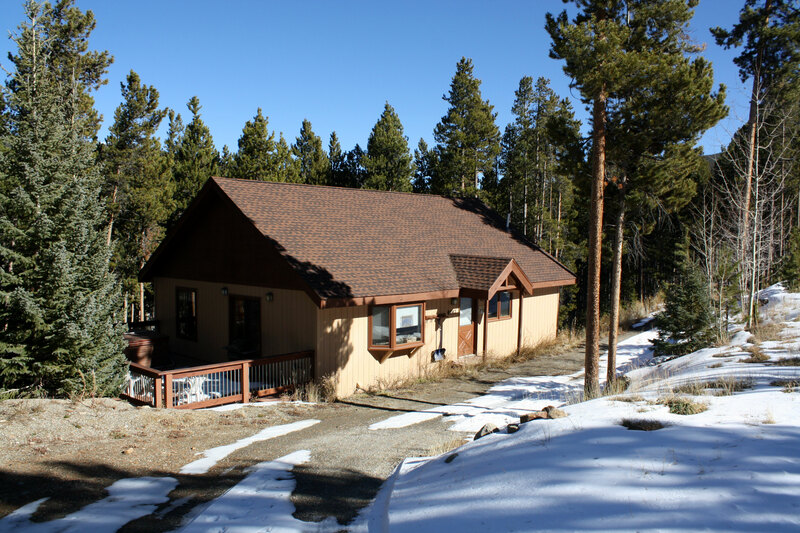 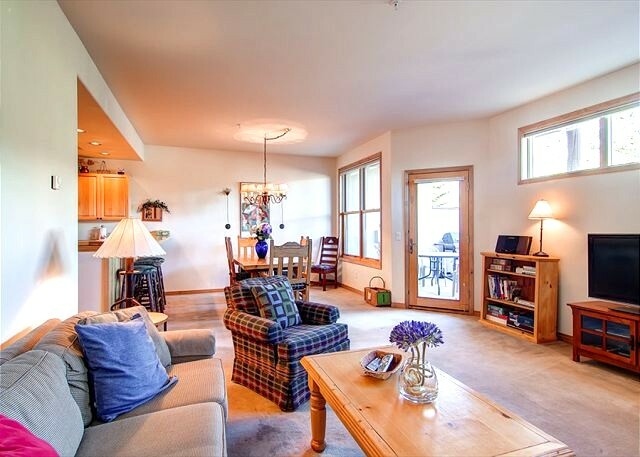 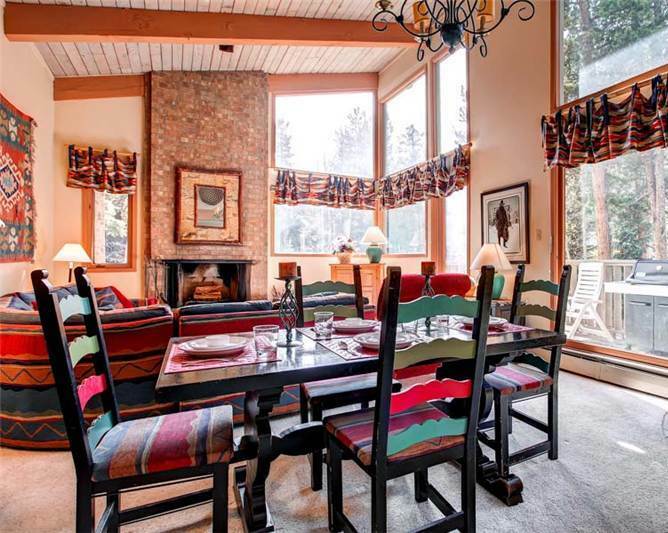 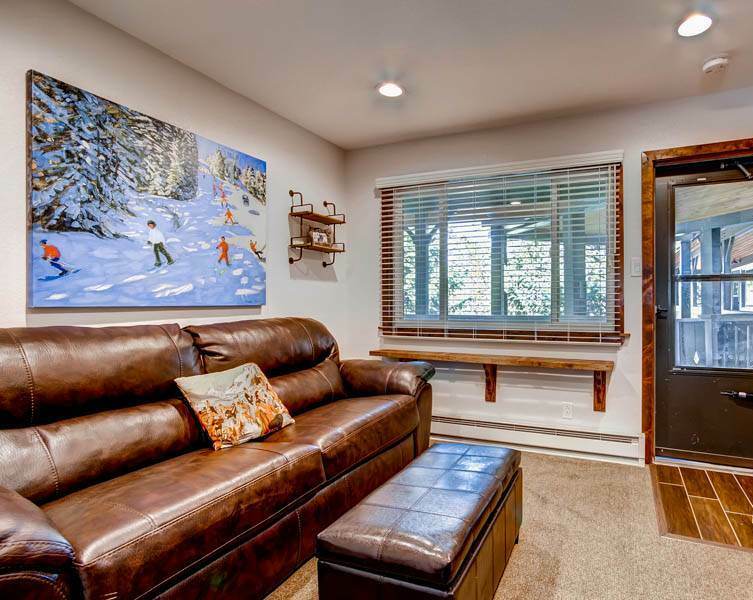 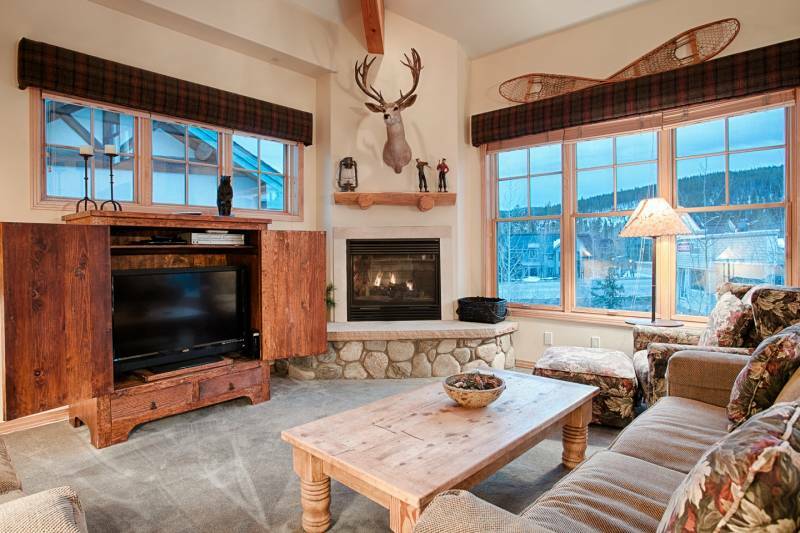 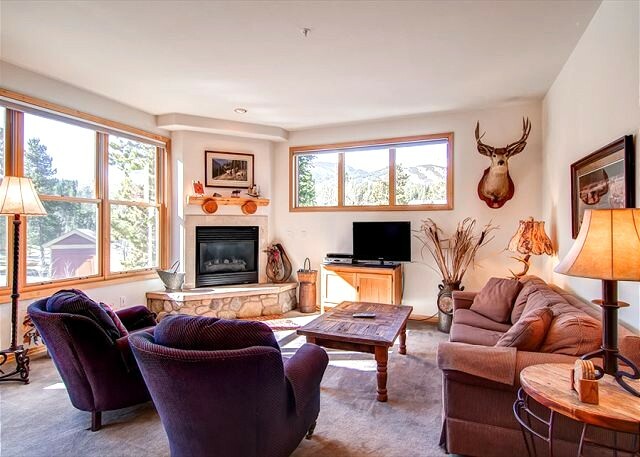 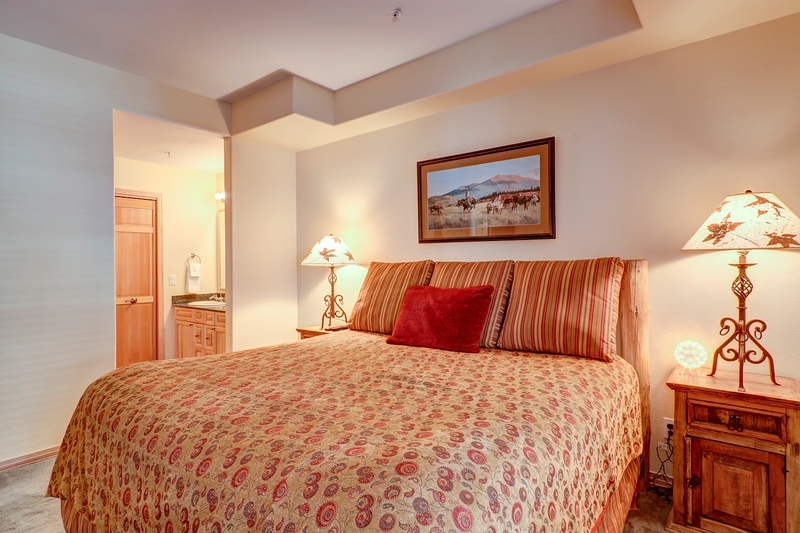 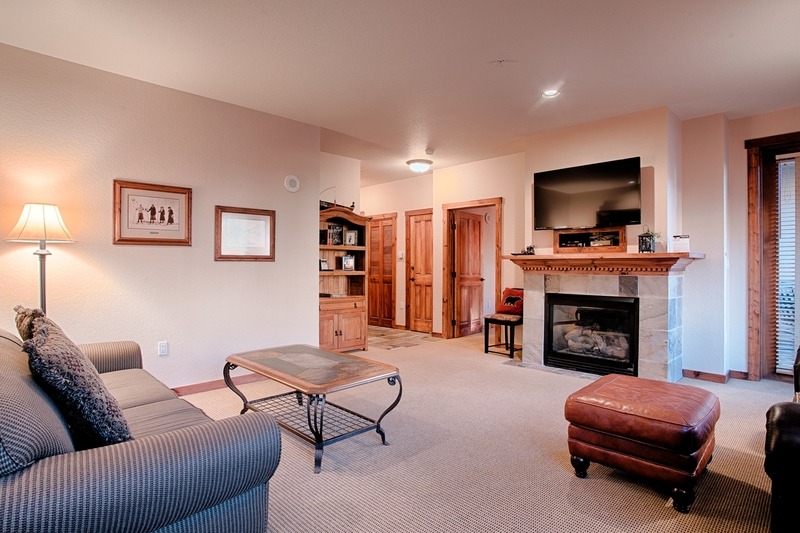 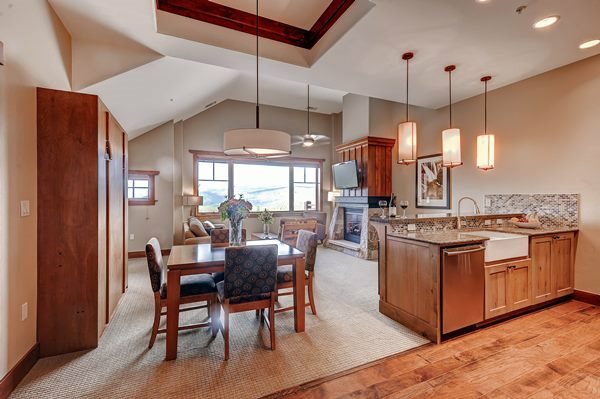 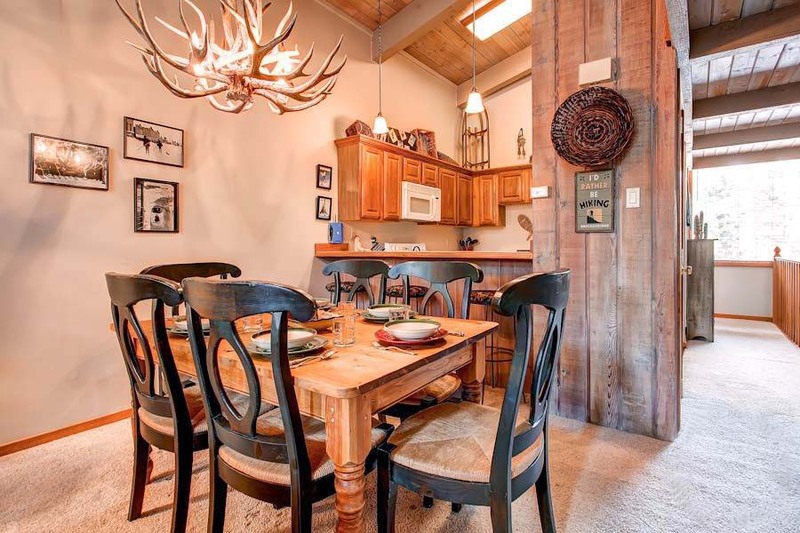 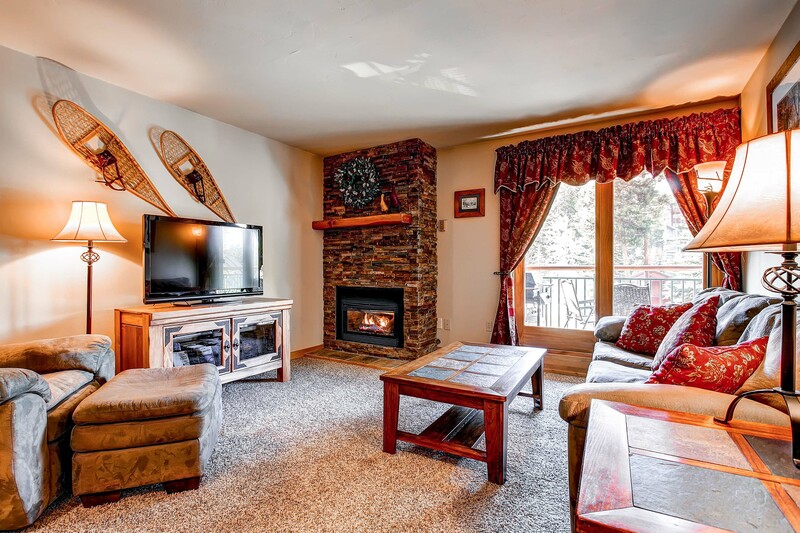 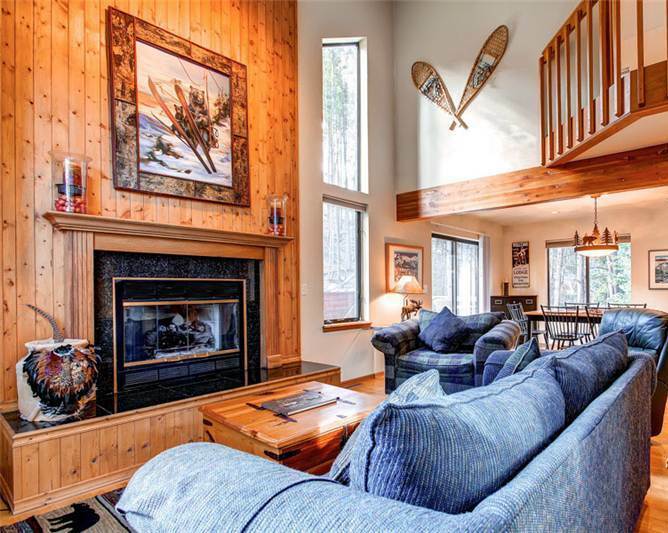 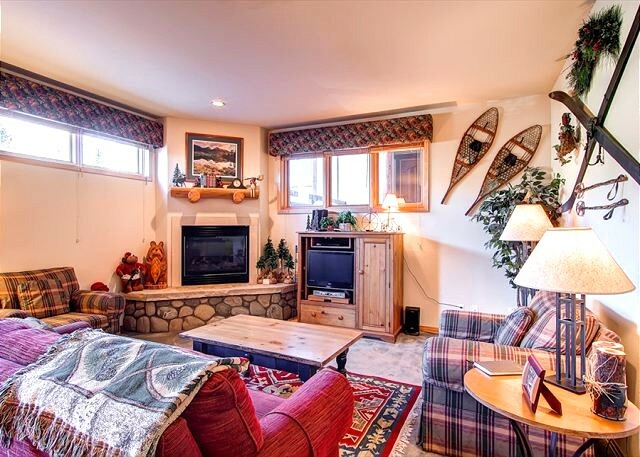 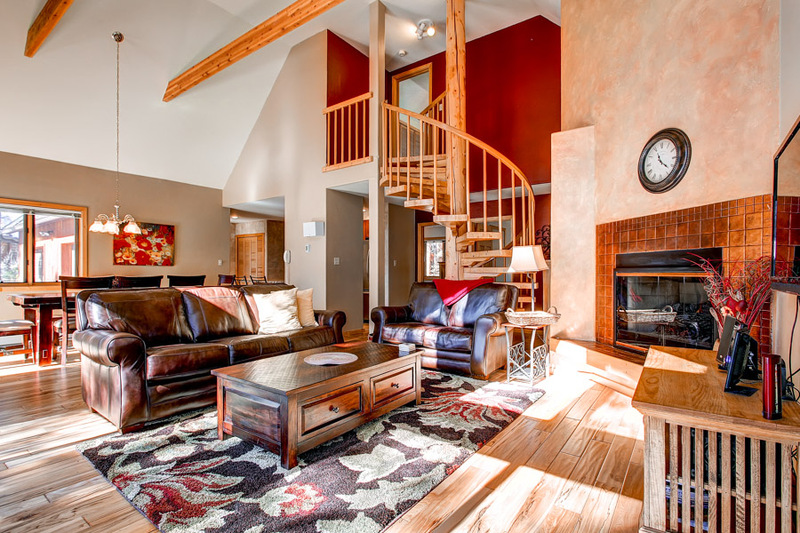 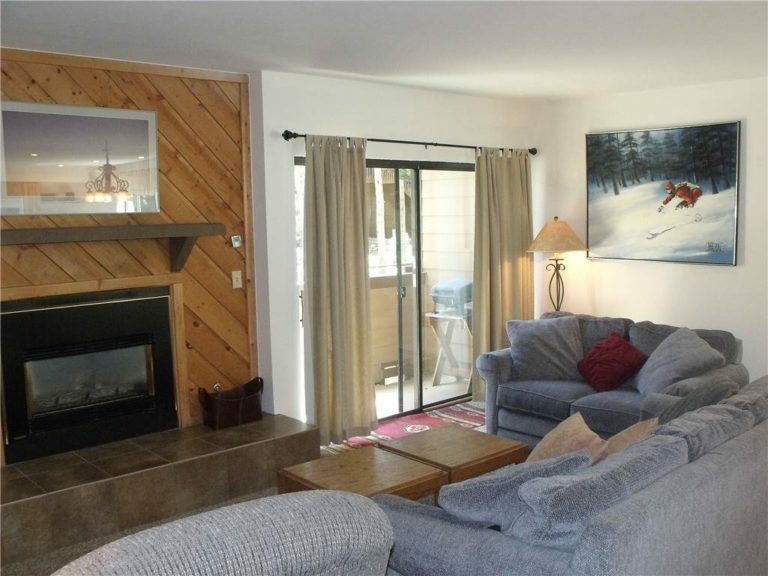 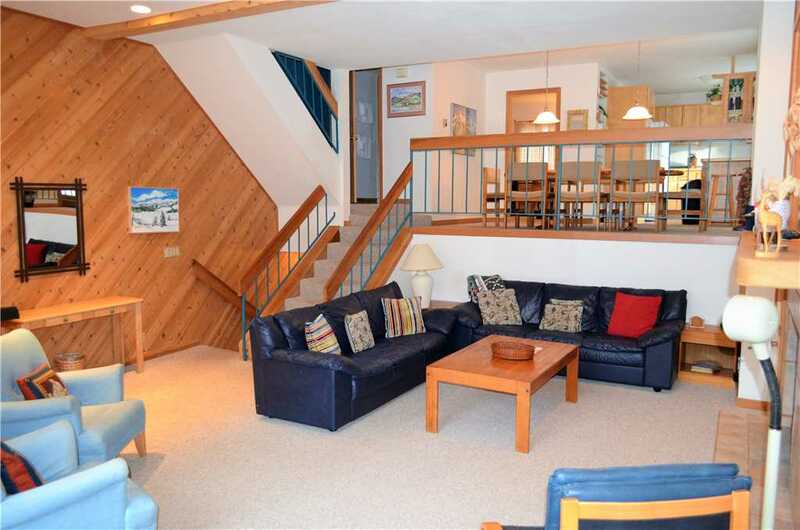 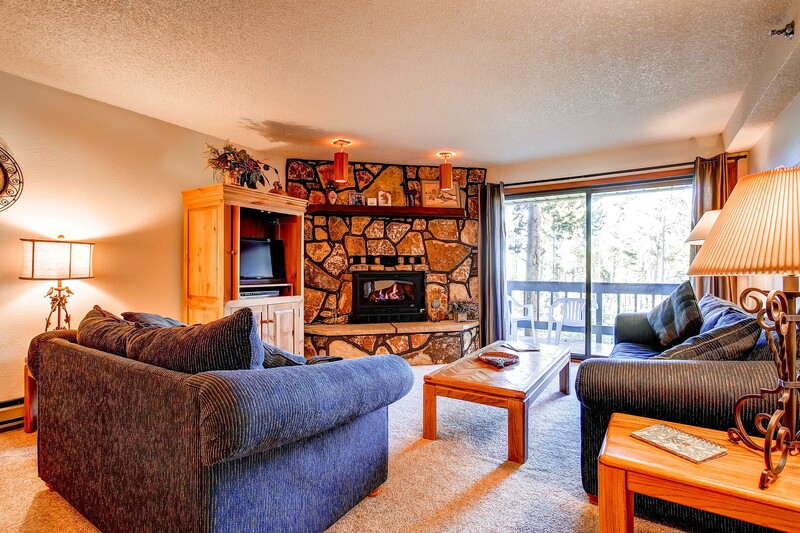 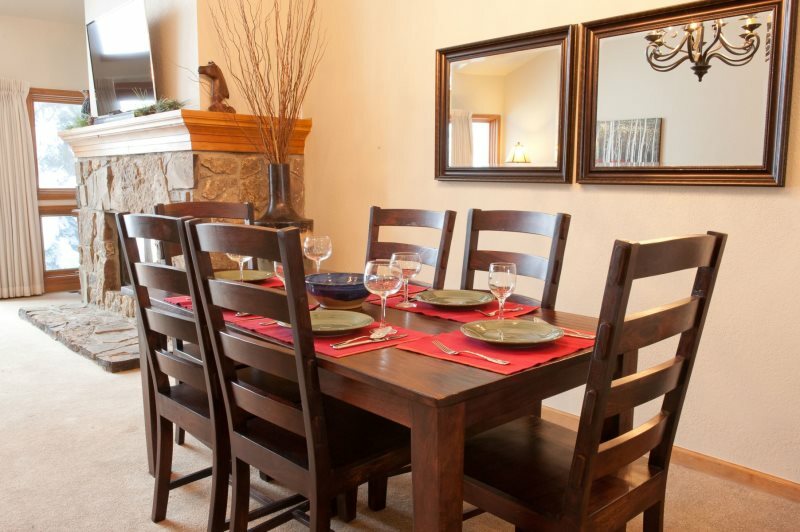 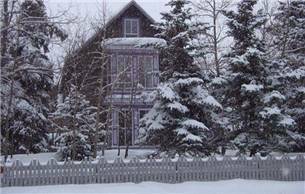 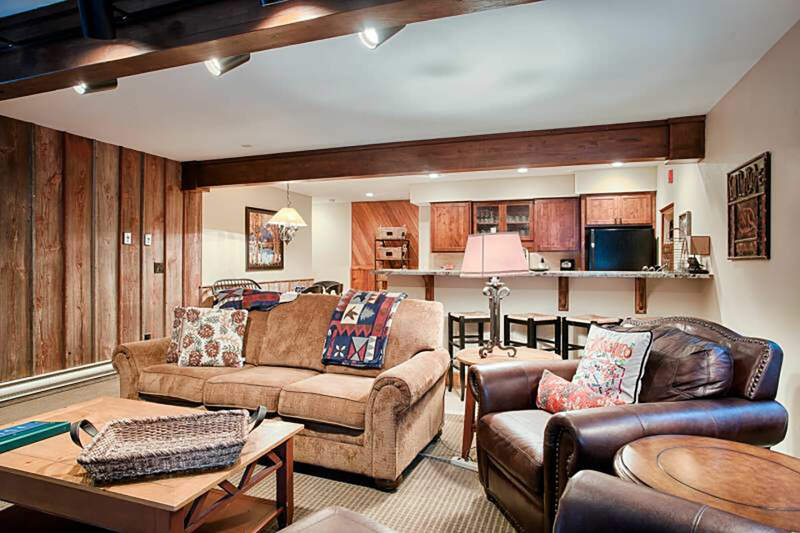 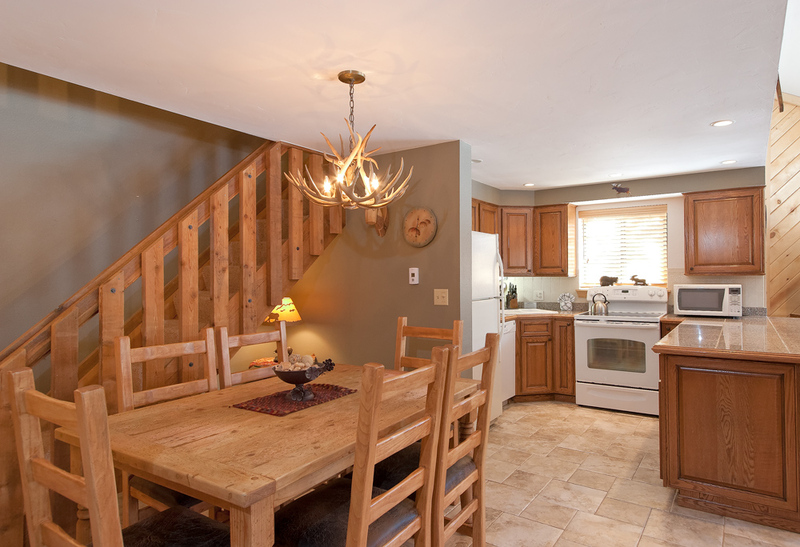 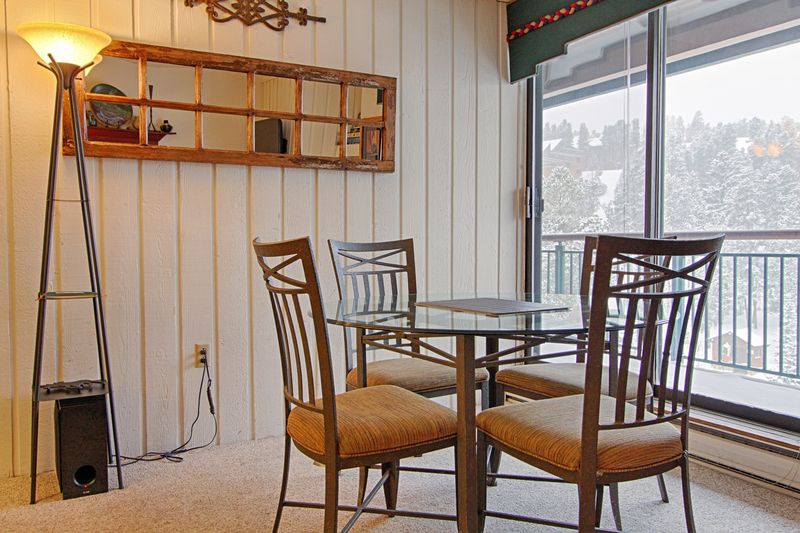 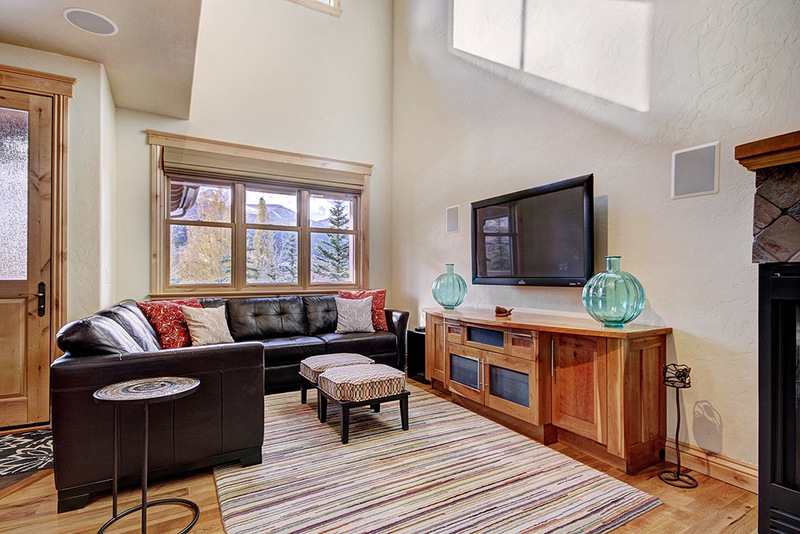 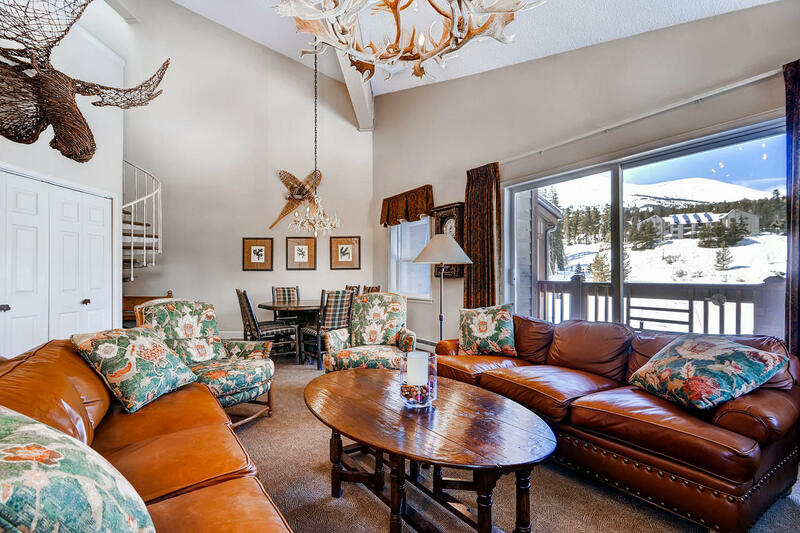 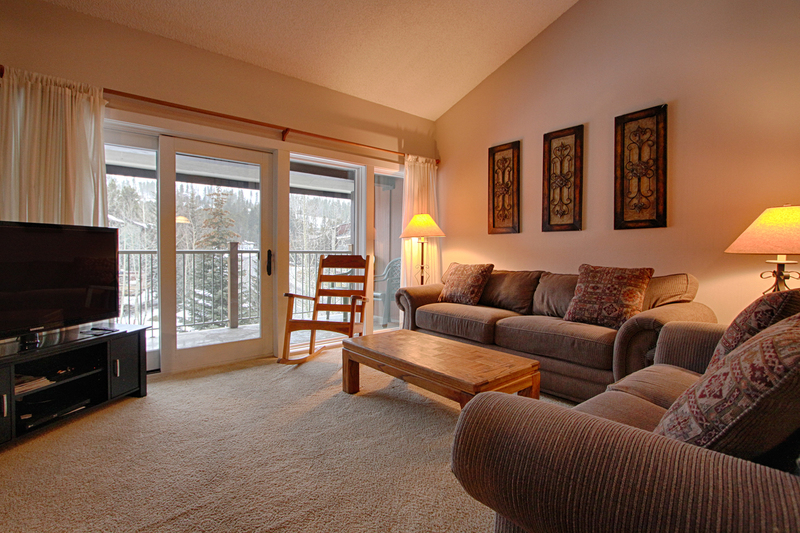 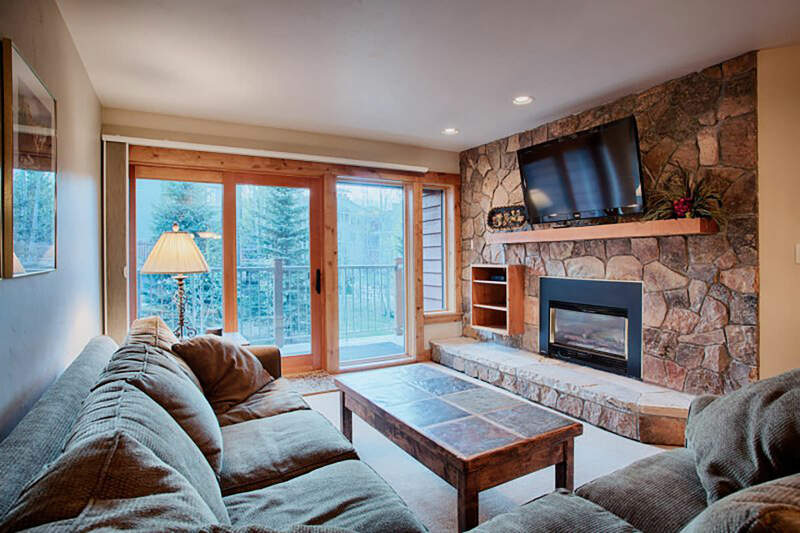 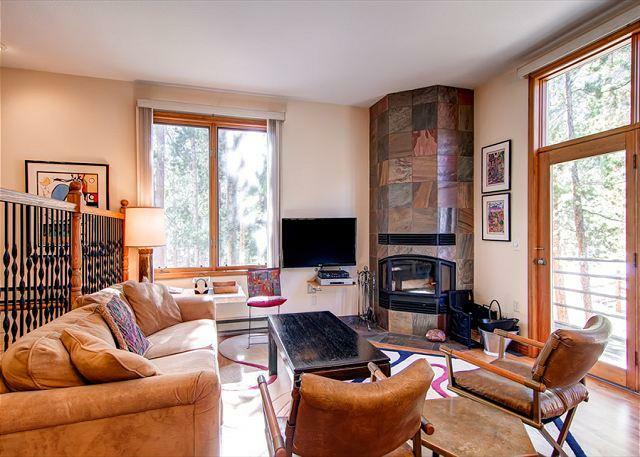 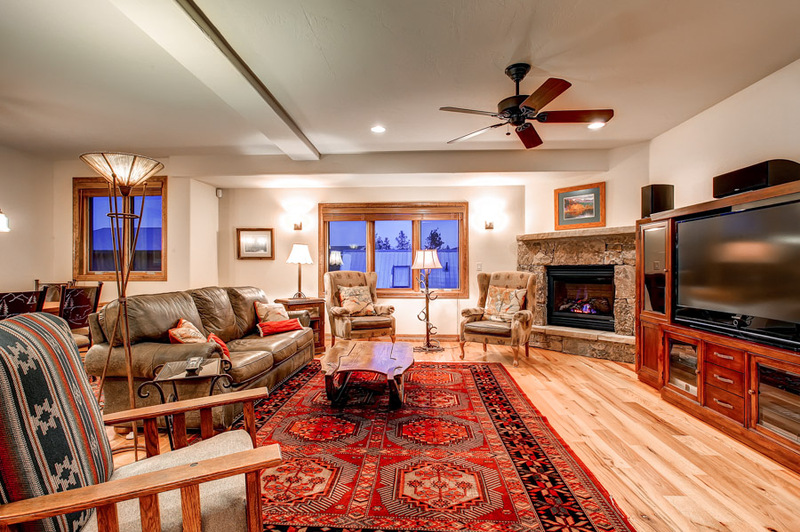 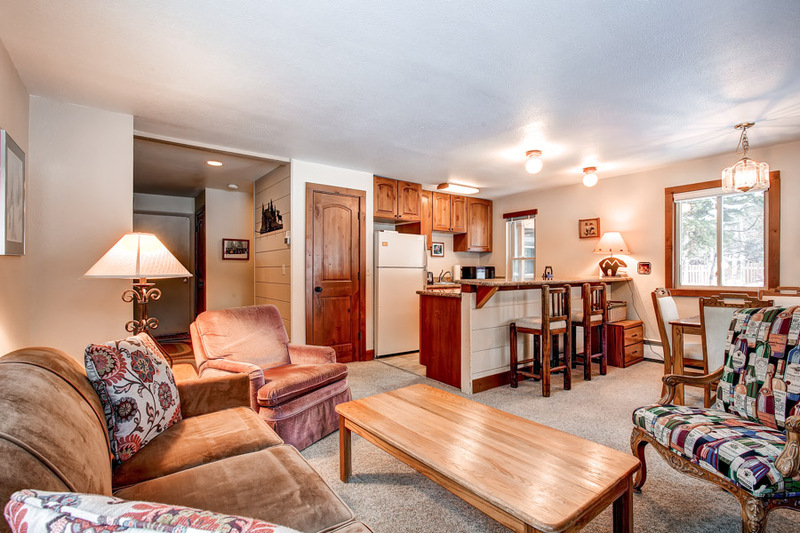 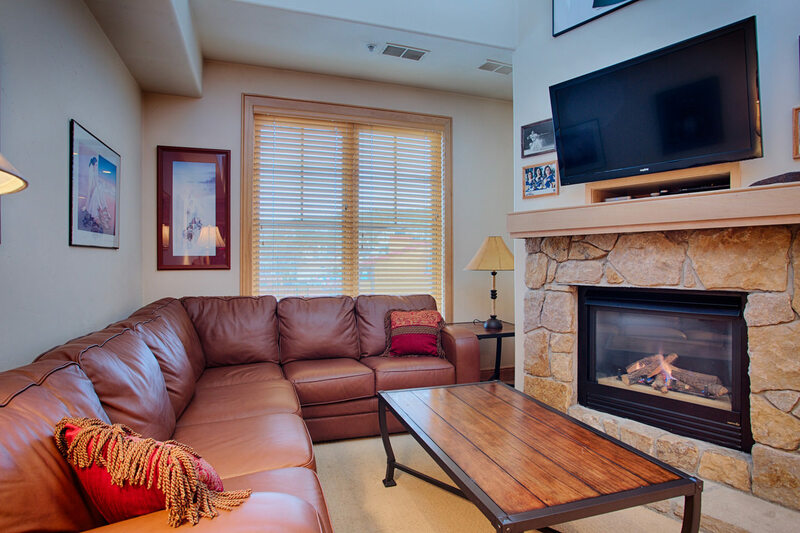 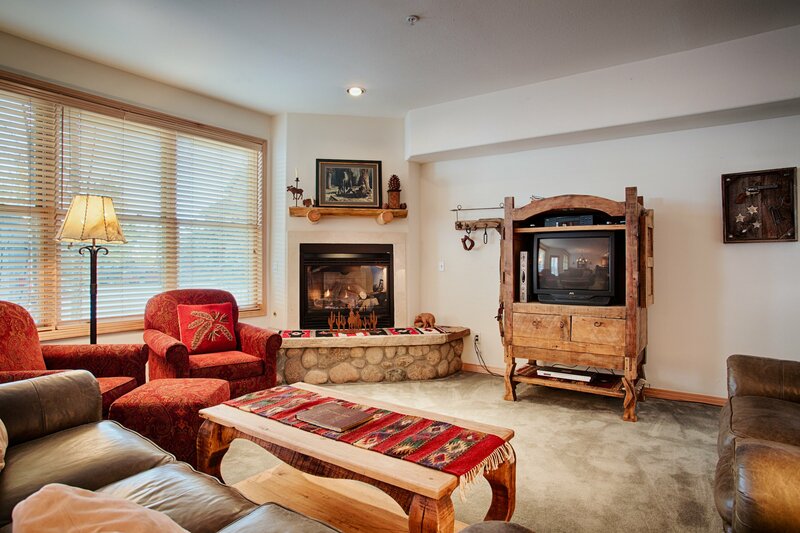 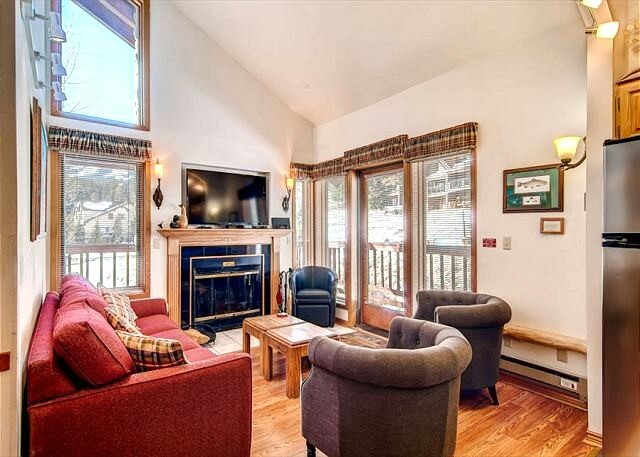 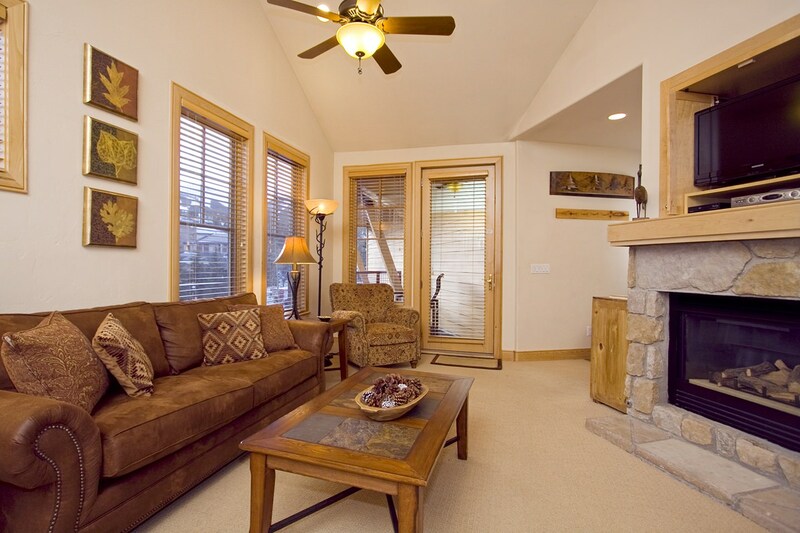 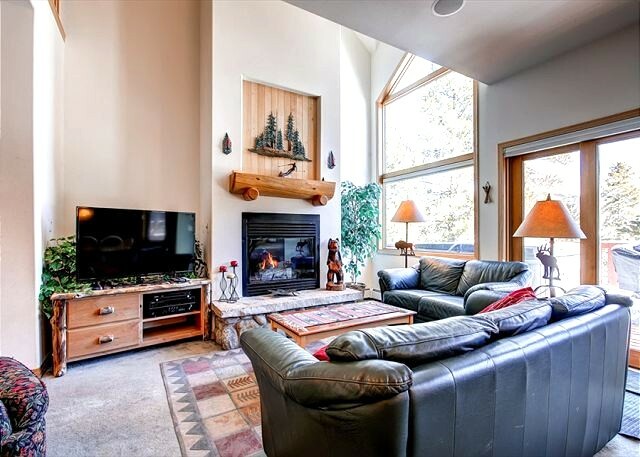 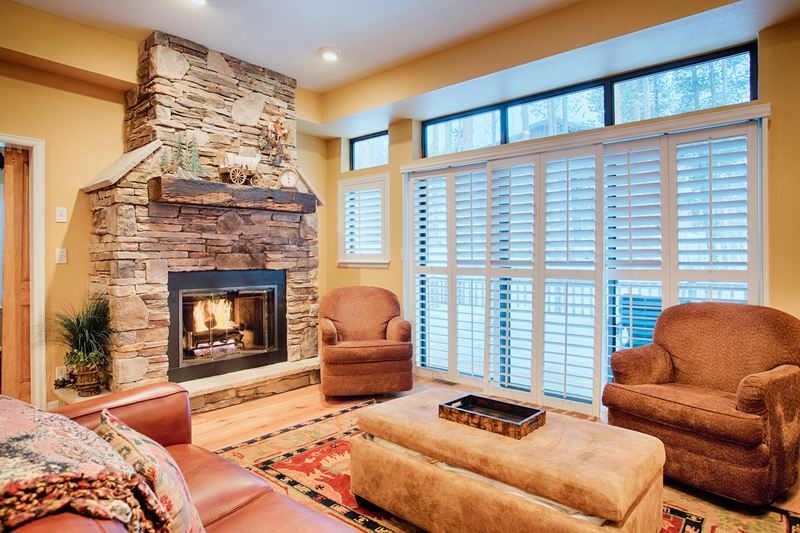 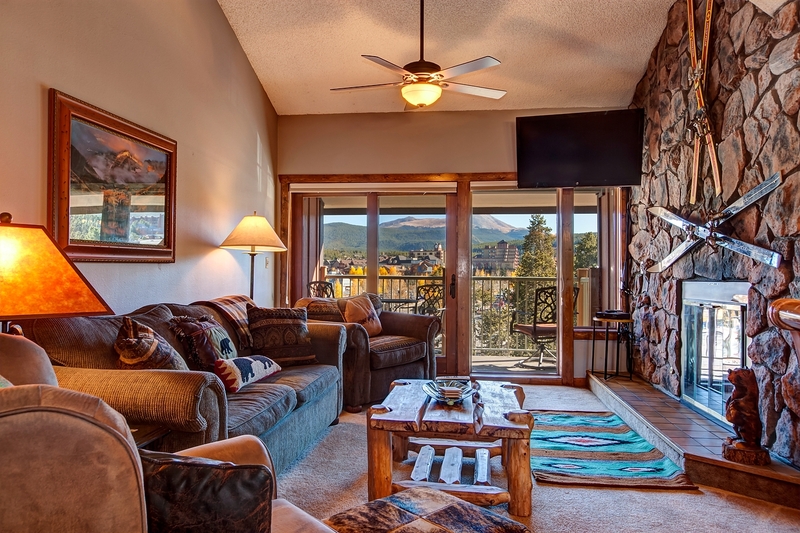 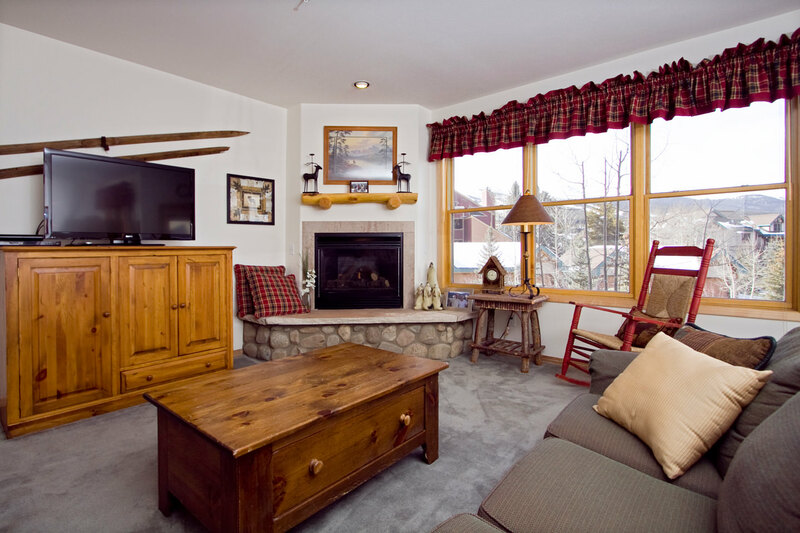 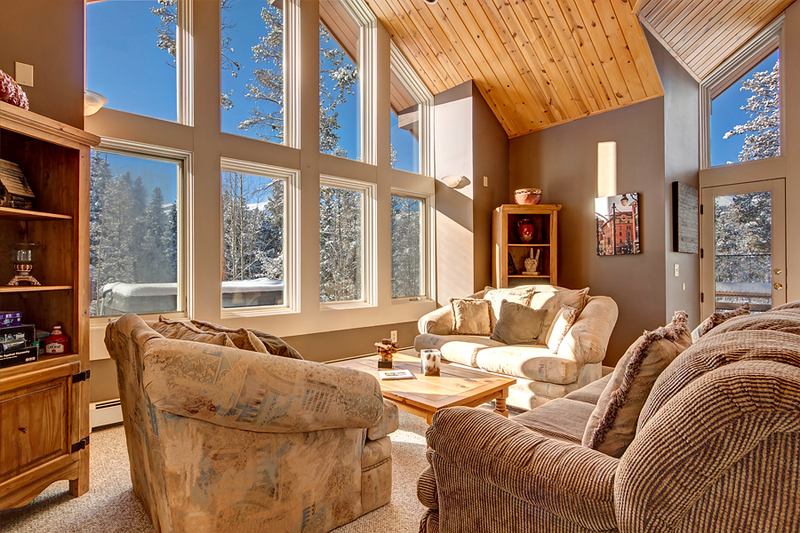 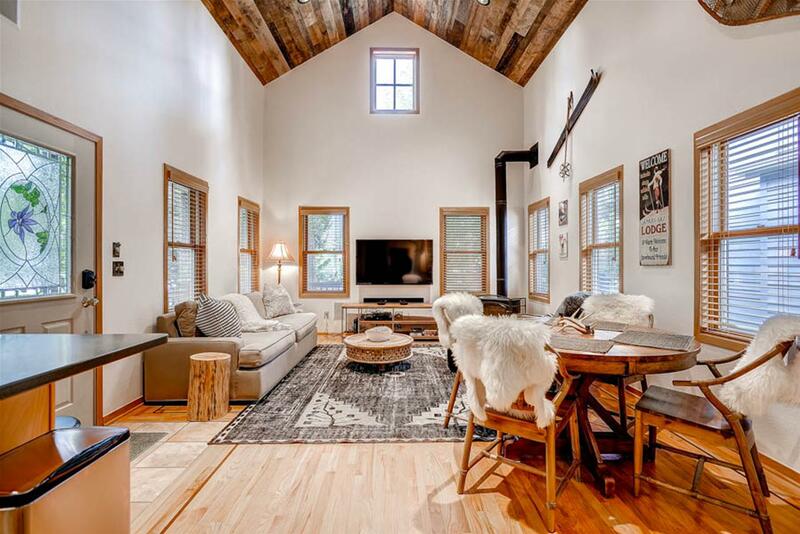 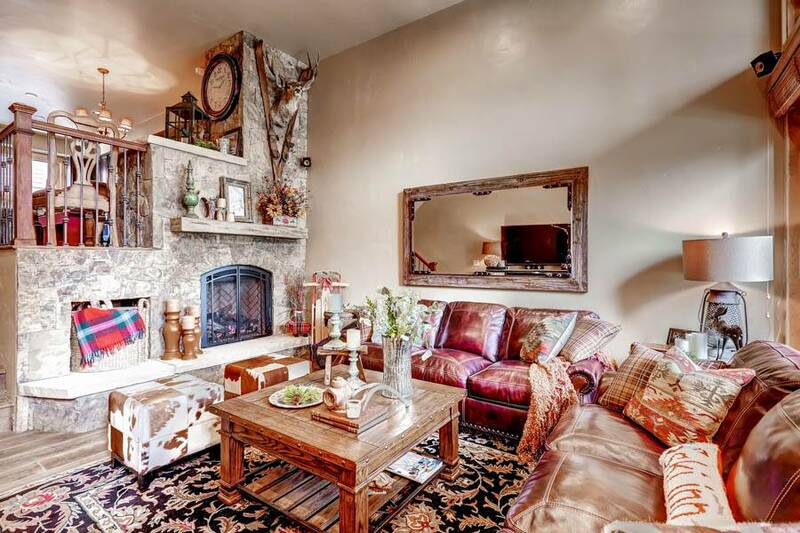 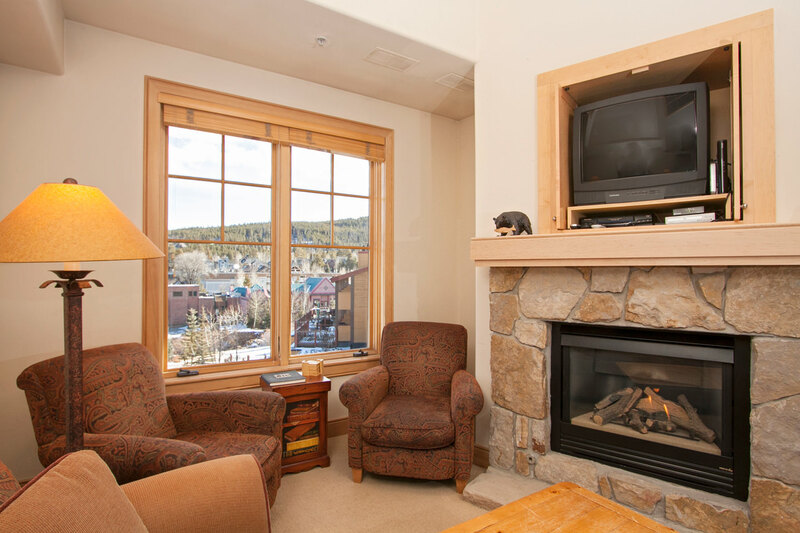 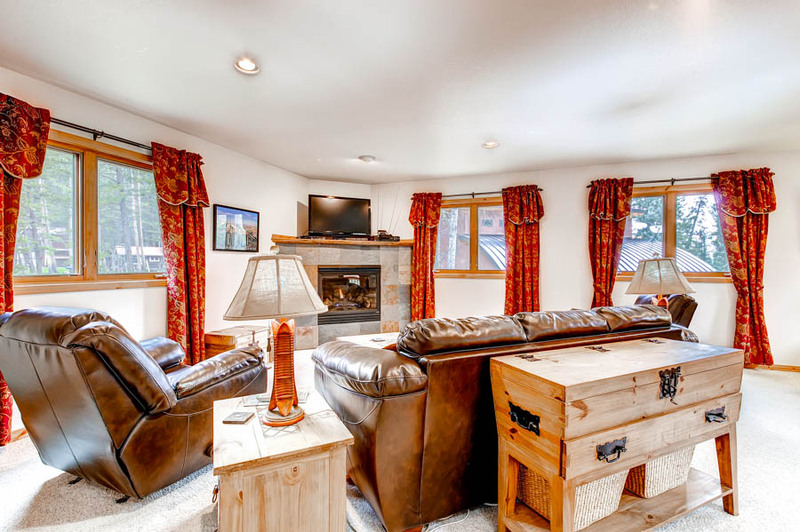 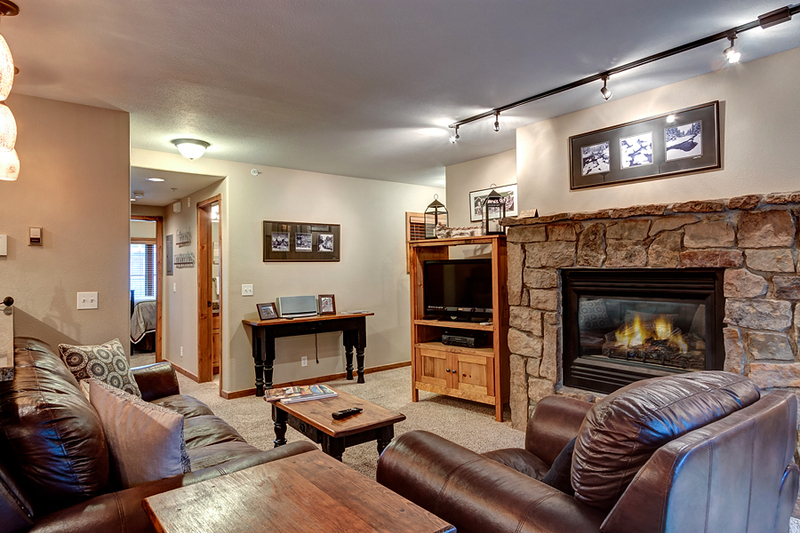 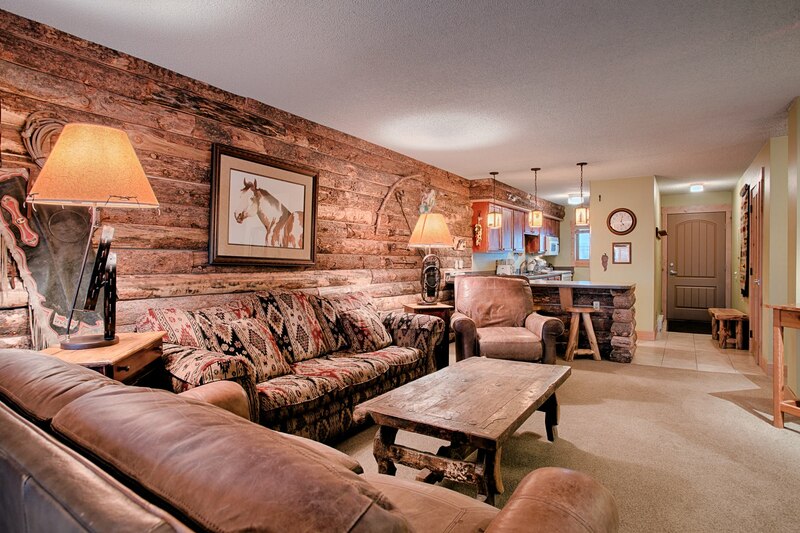 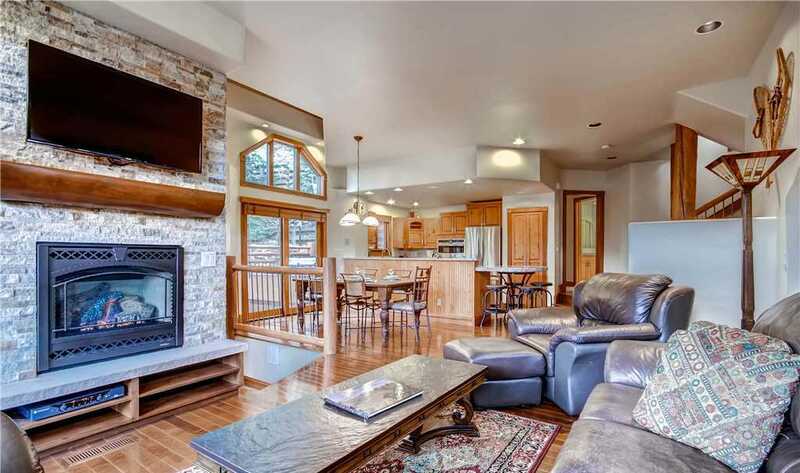 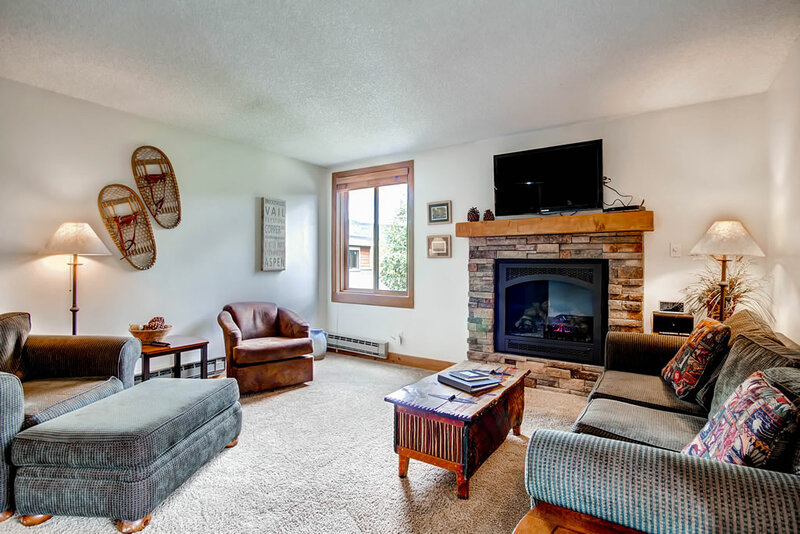 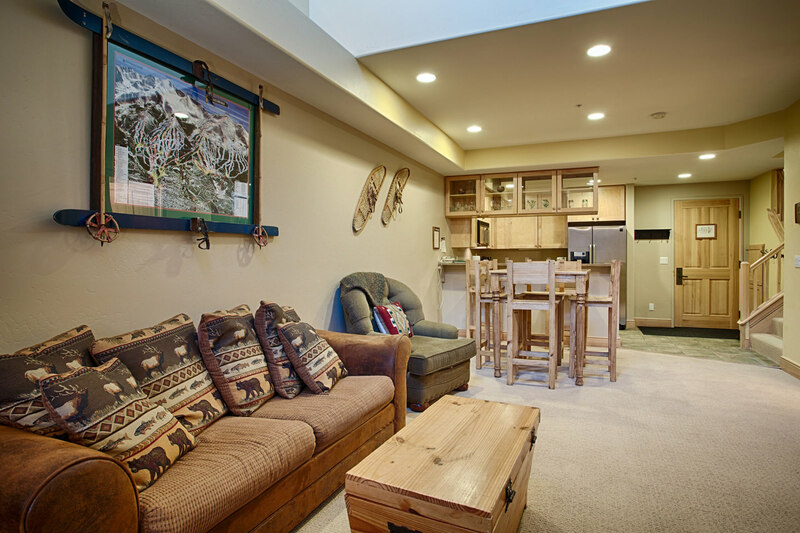 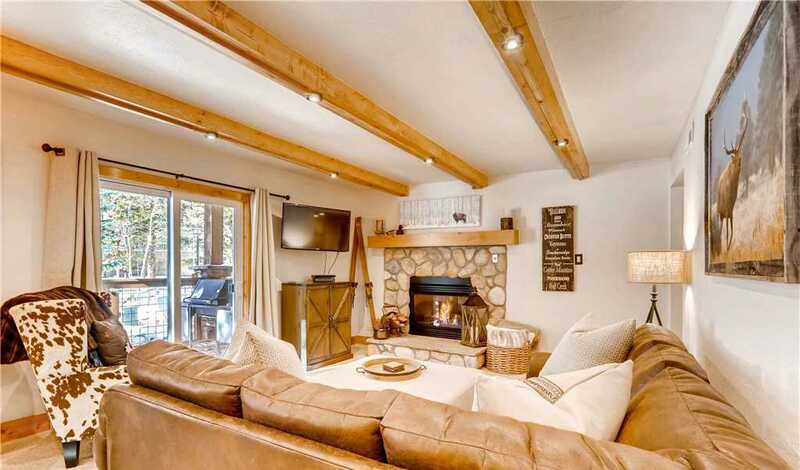 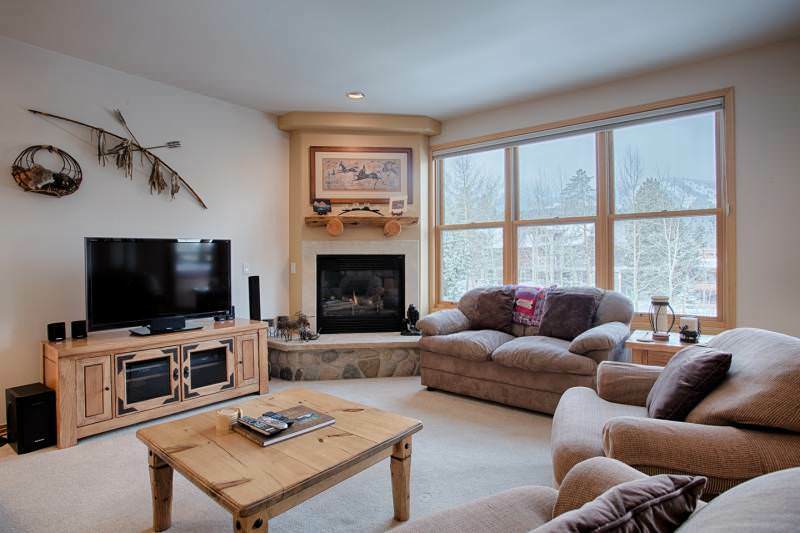 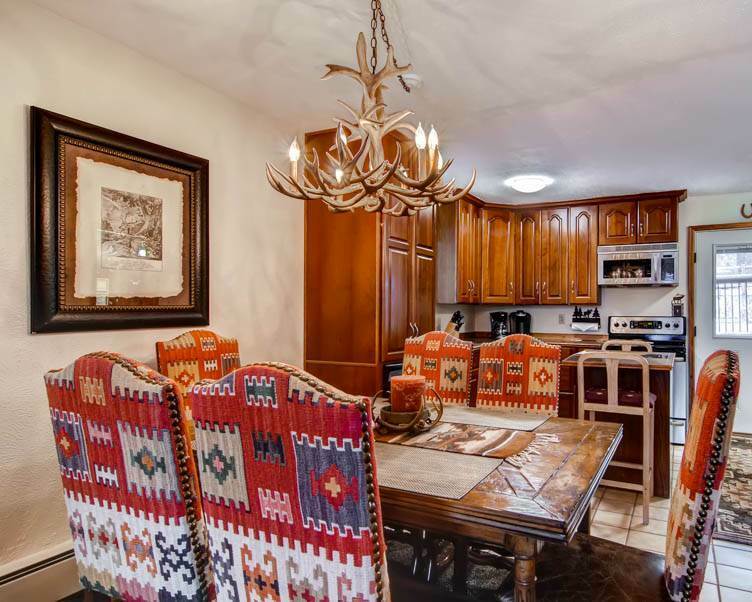 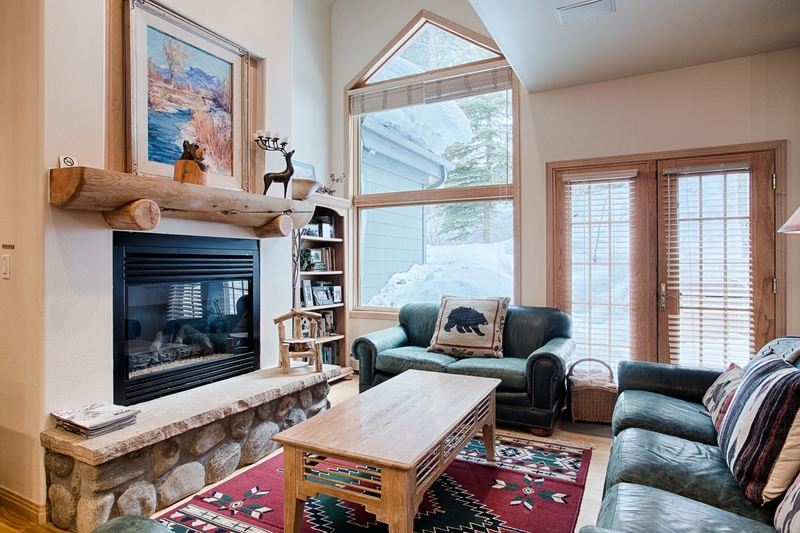 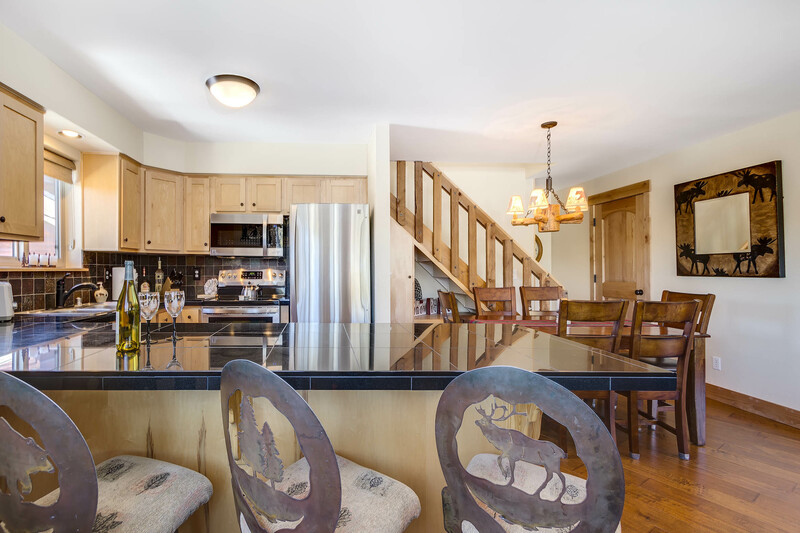 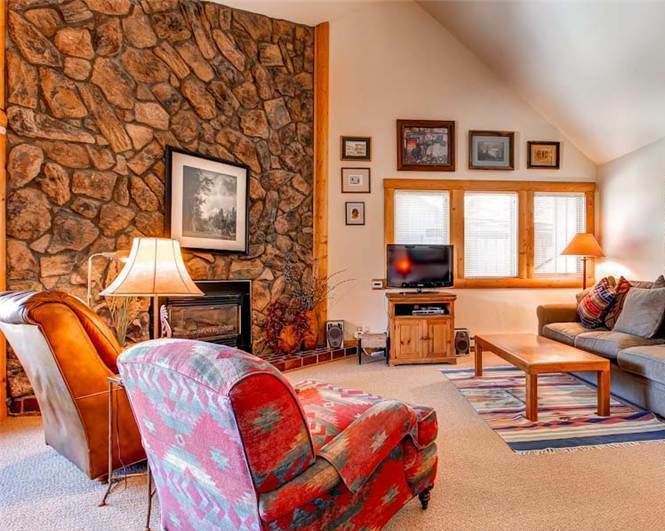 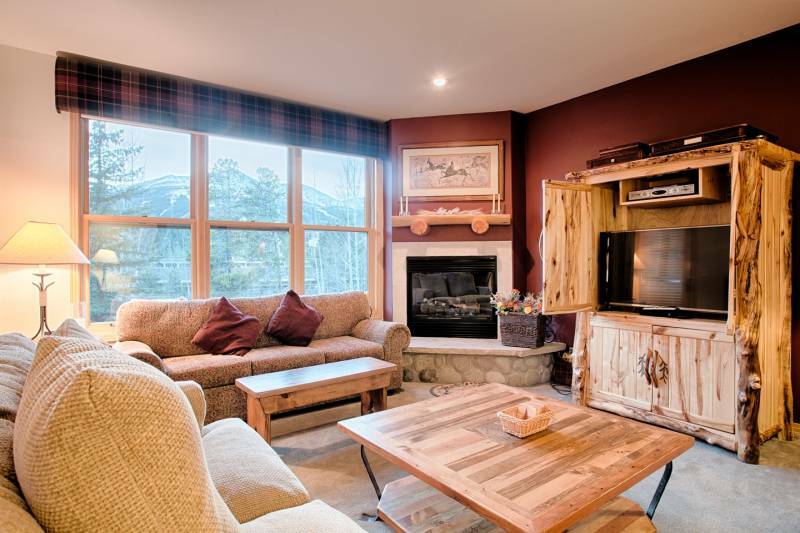 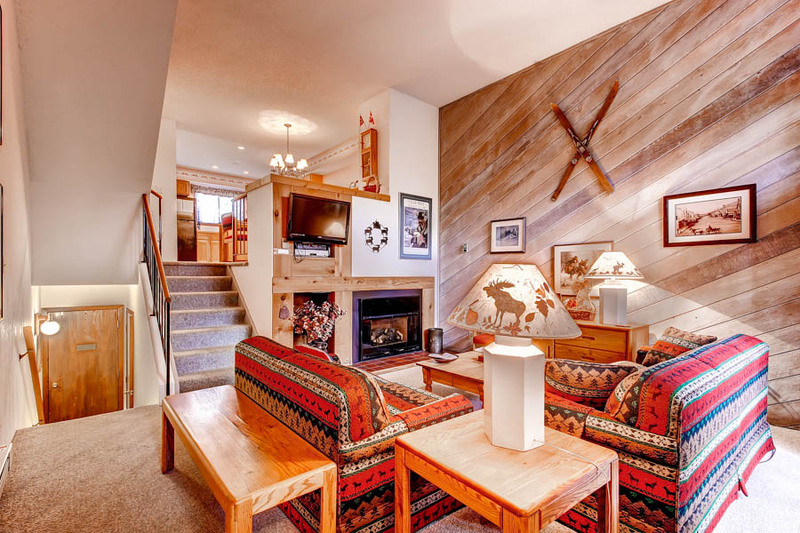 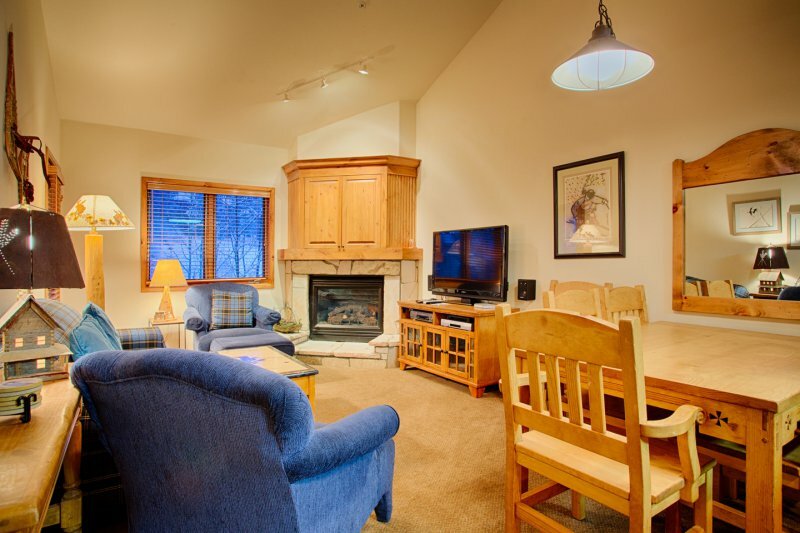 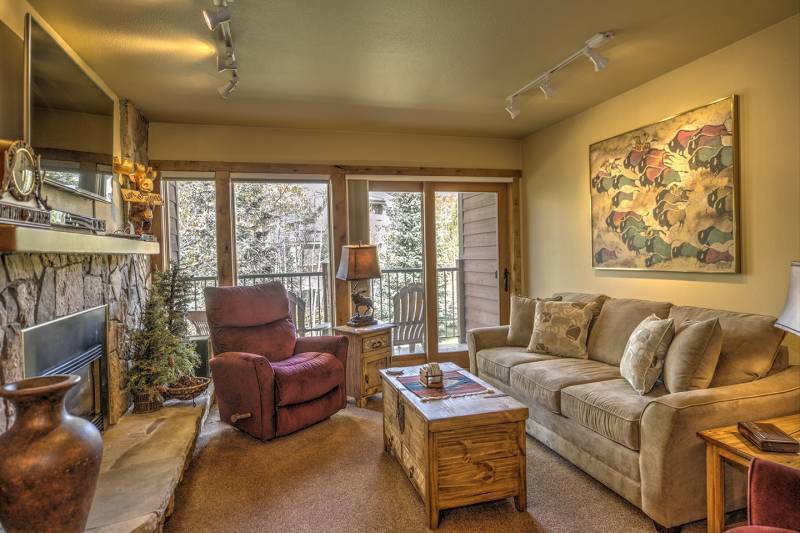 After a day on the slopes, come in, take off your boots and revel in your vacation rental surroundings. 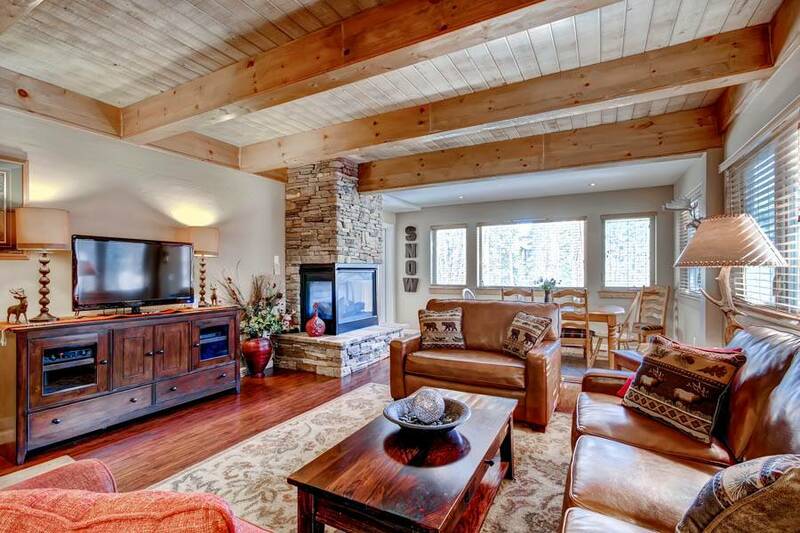 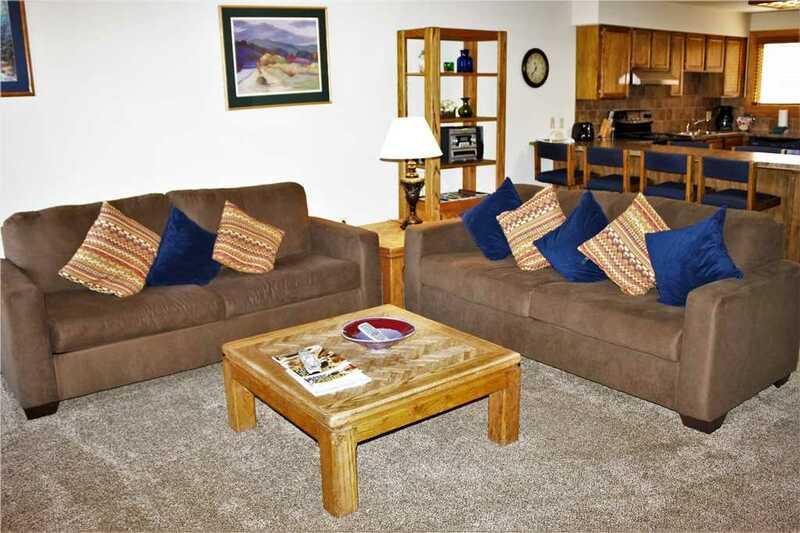 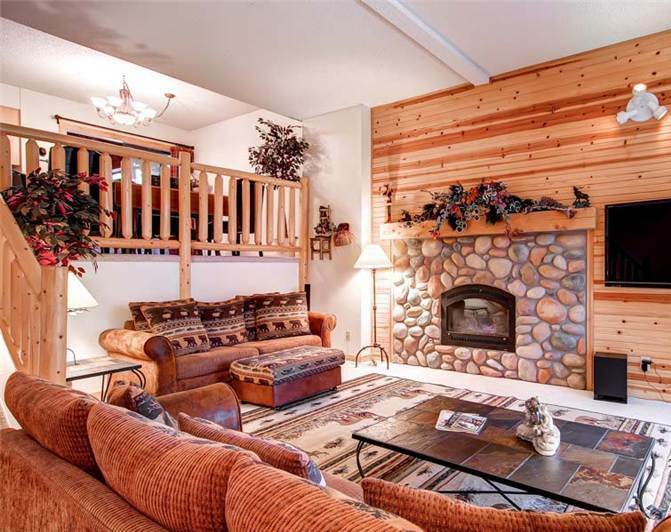 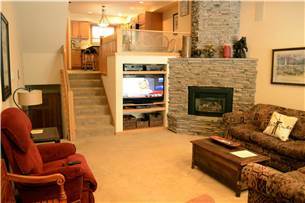 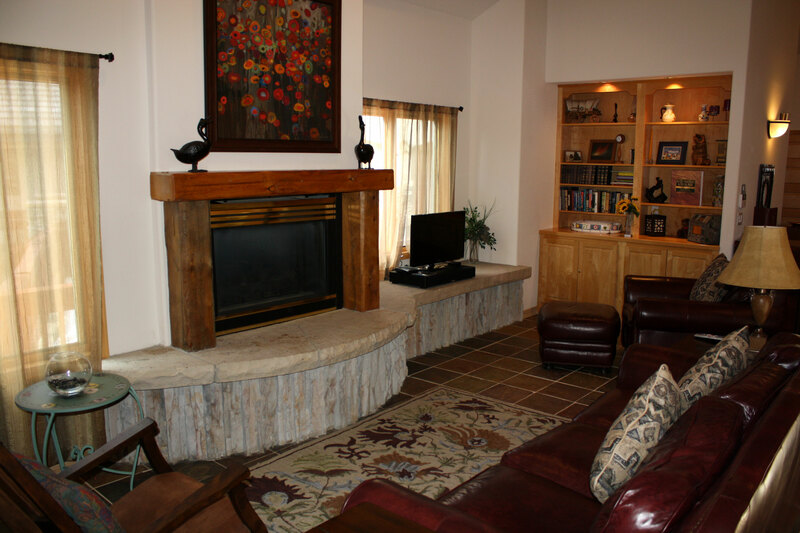 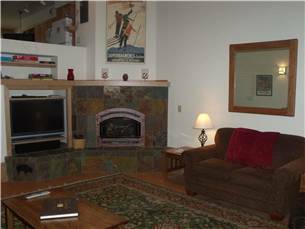 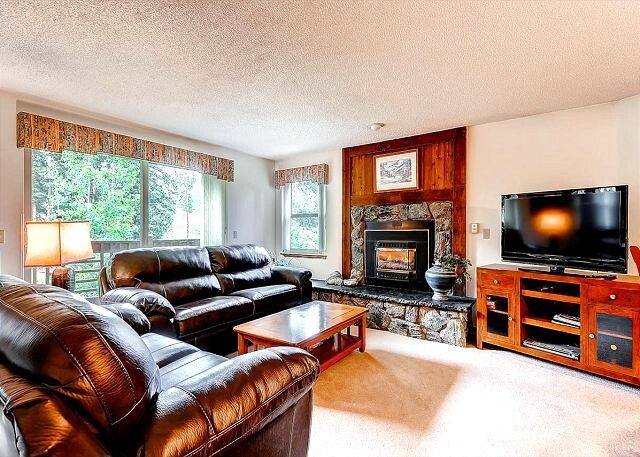 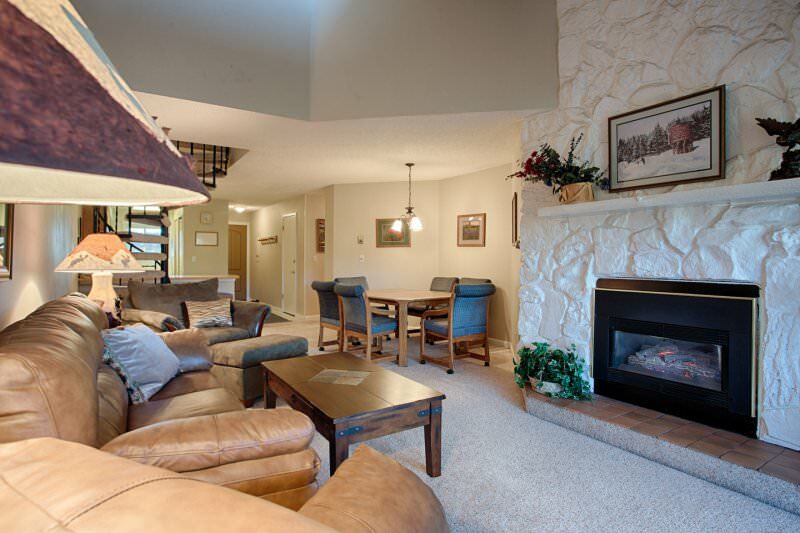 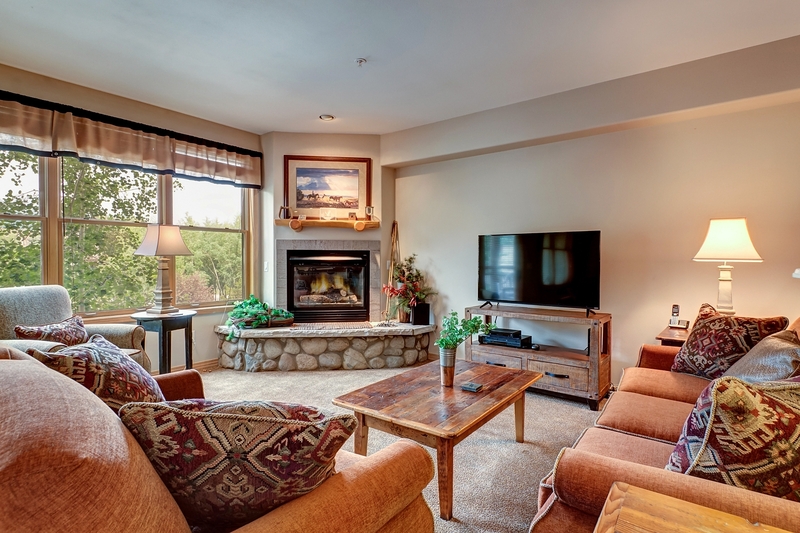 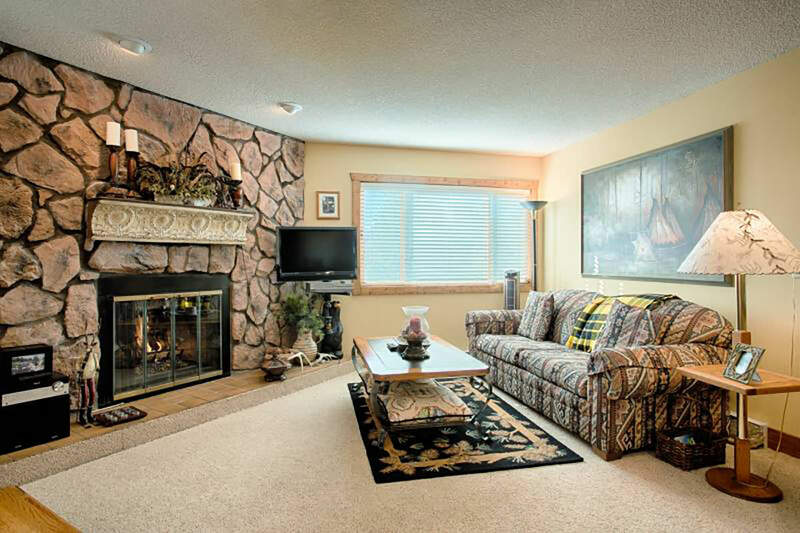 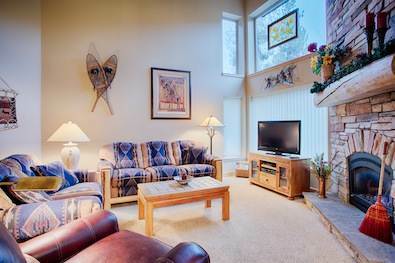 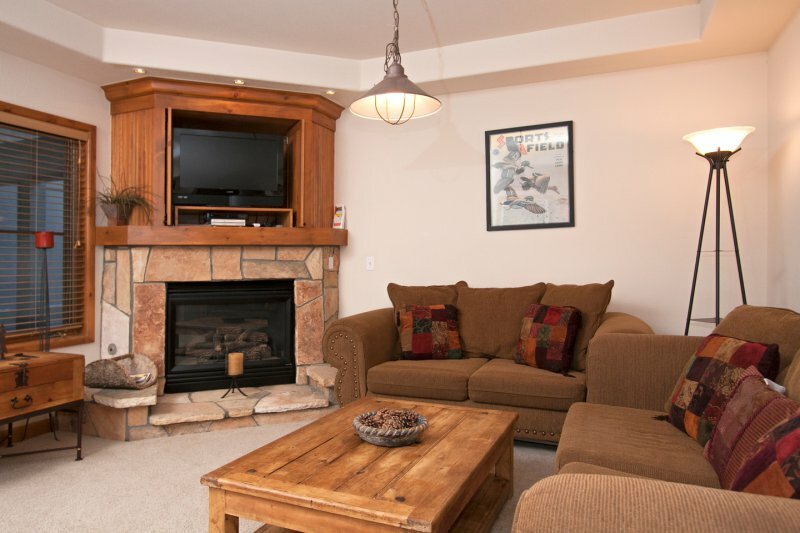 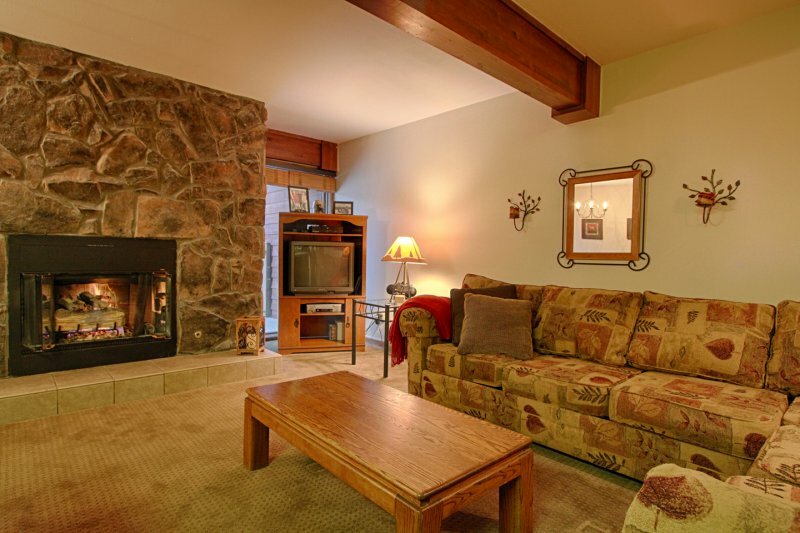 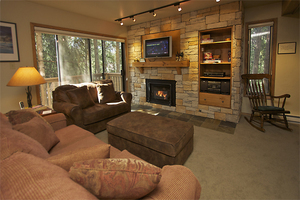 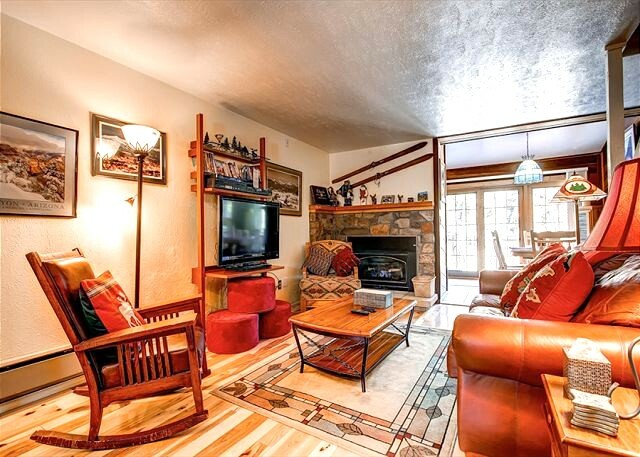 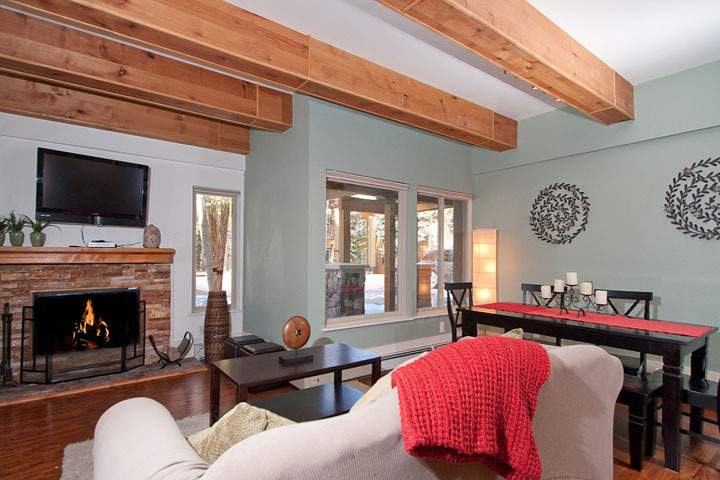 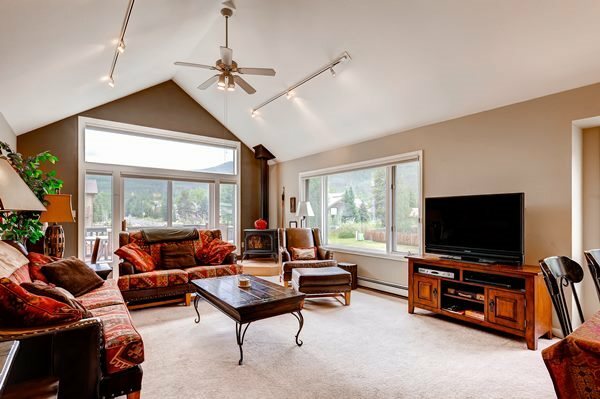 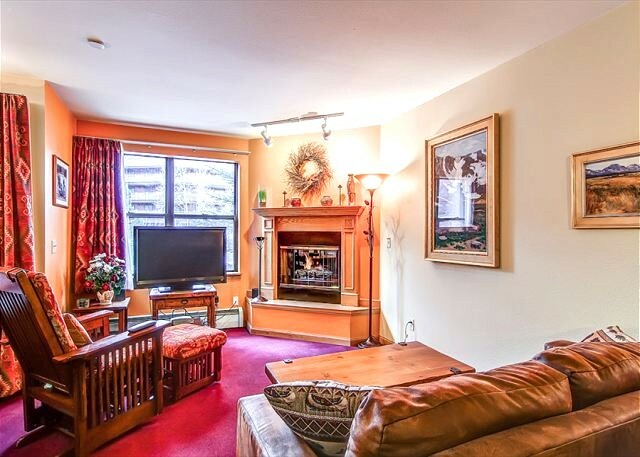 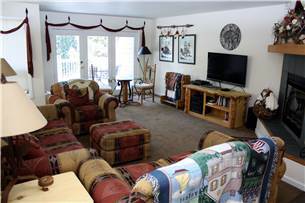 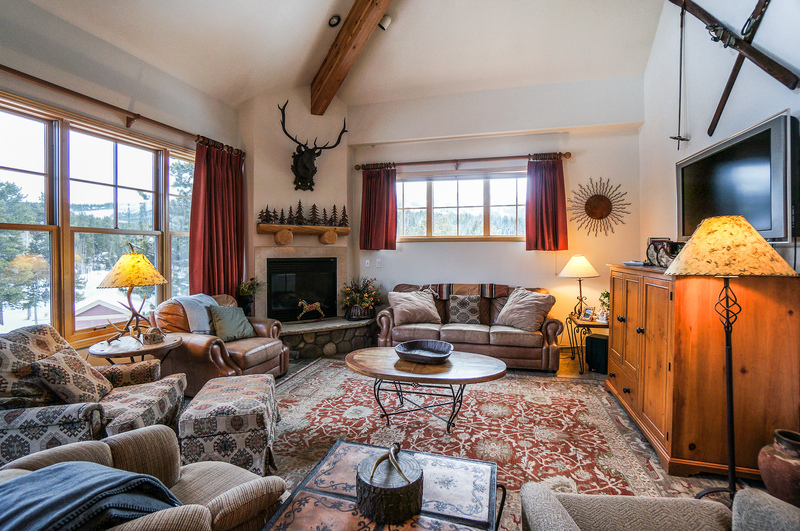 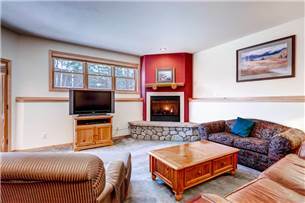 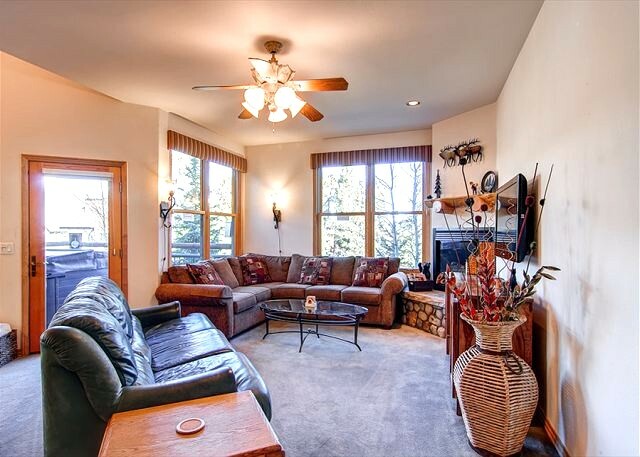 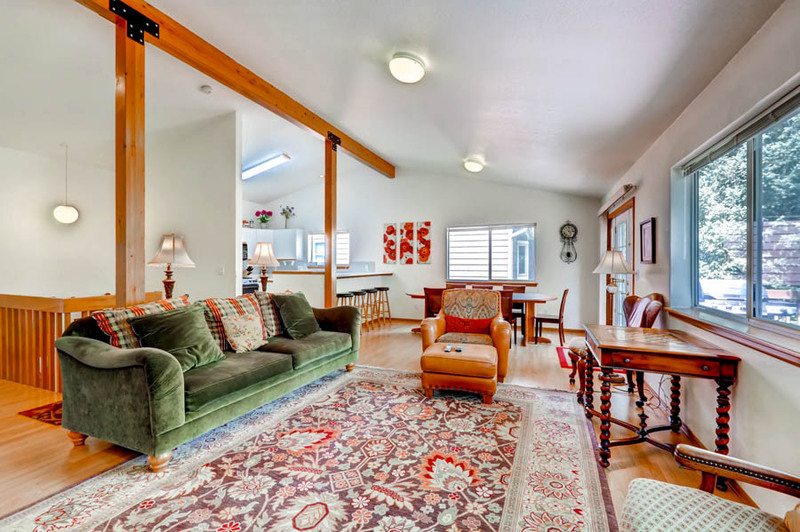 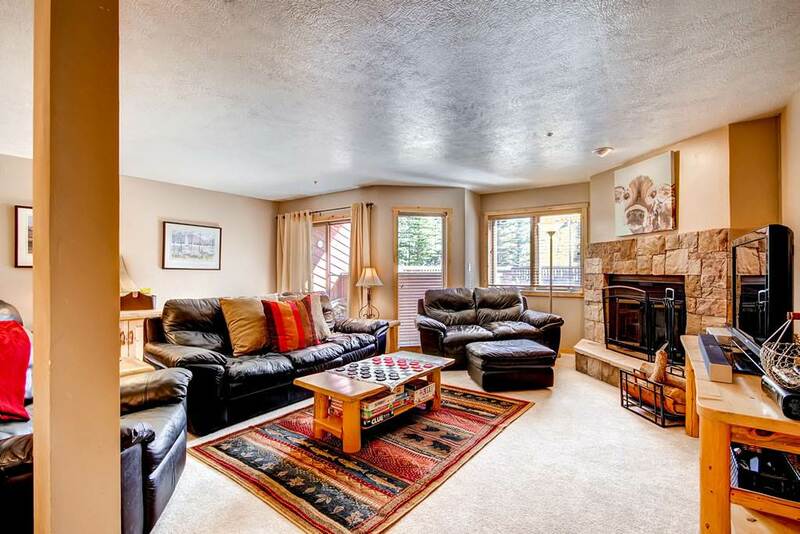 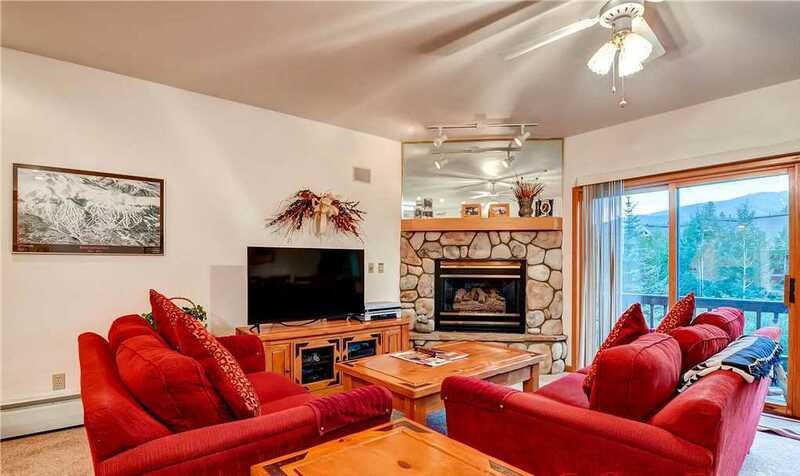 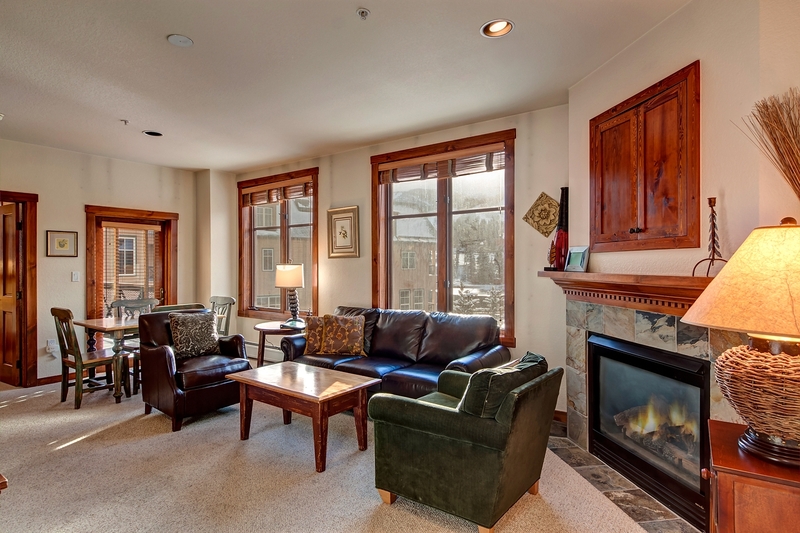 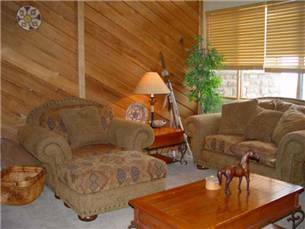 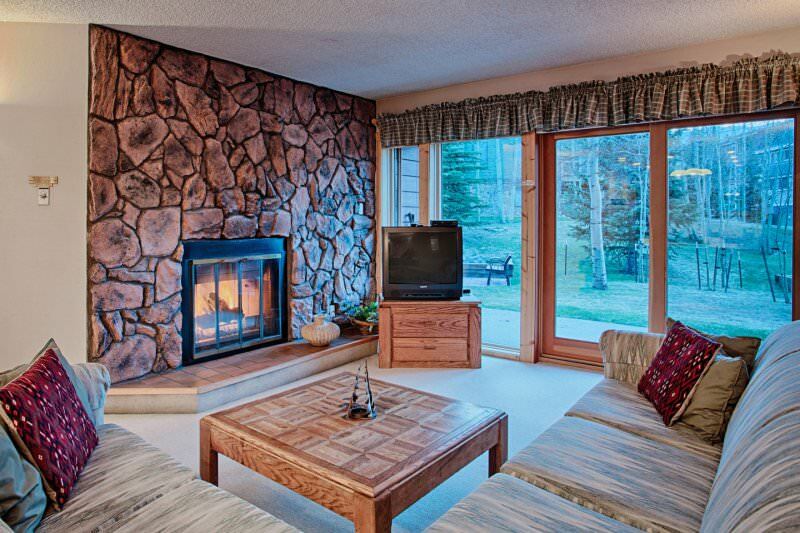 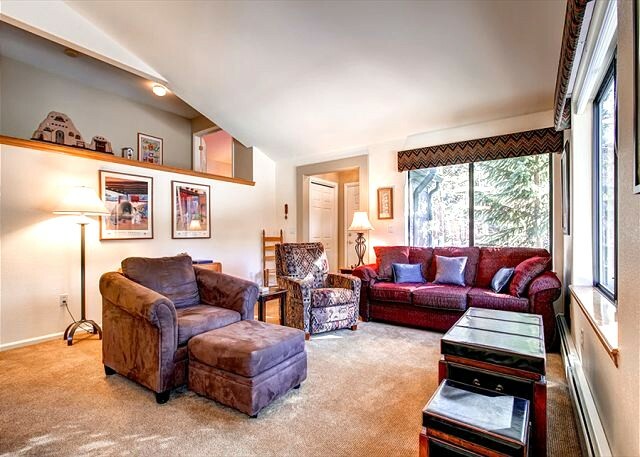 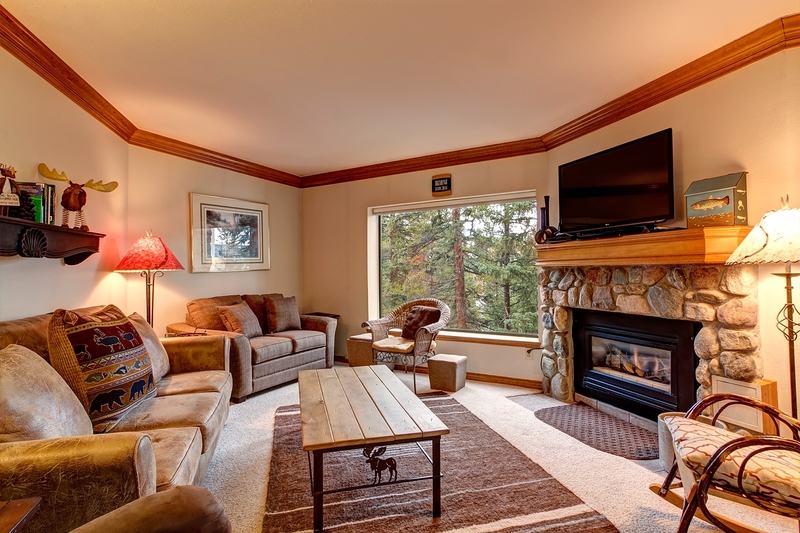 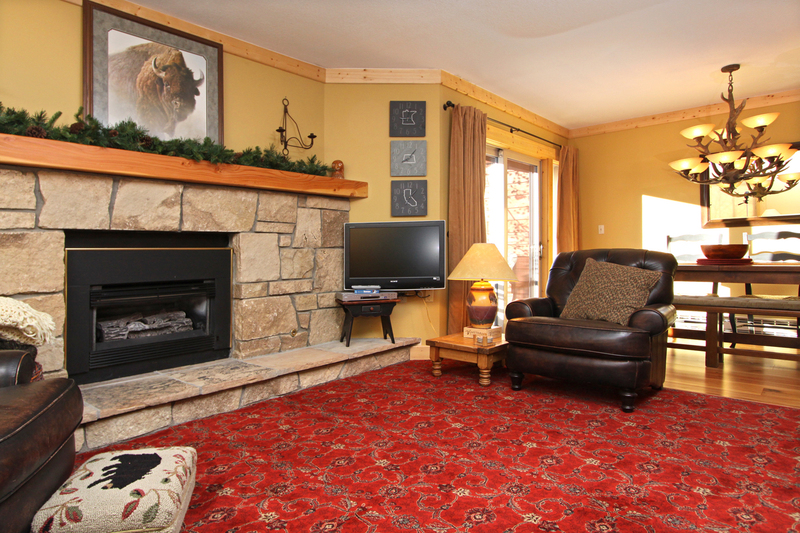 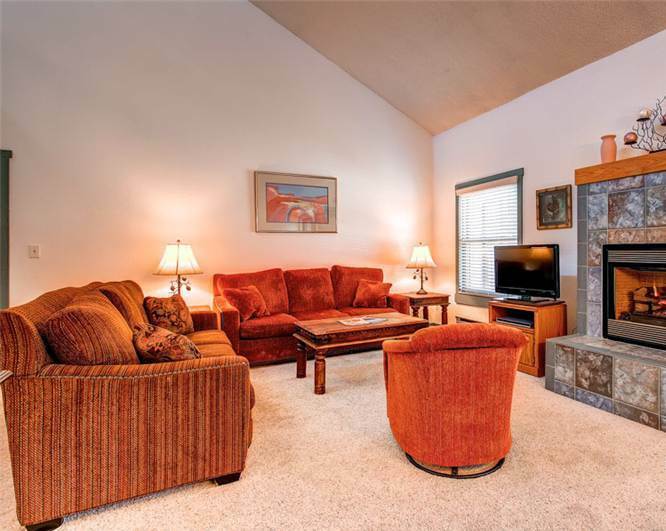 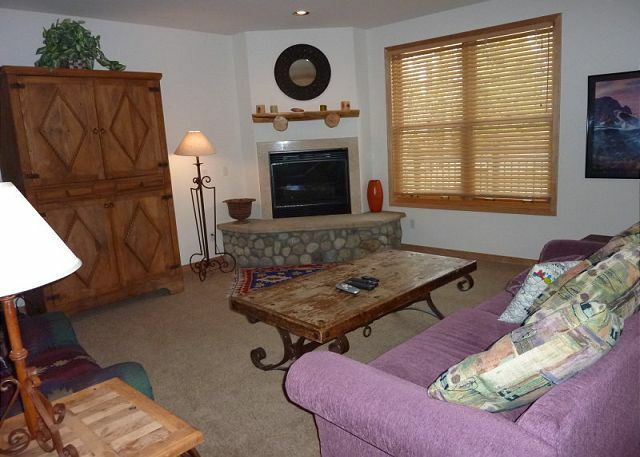 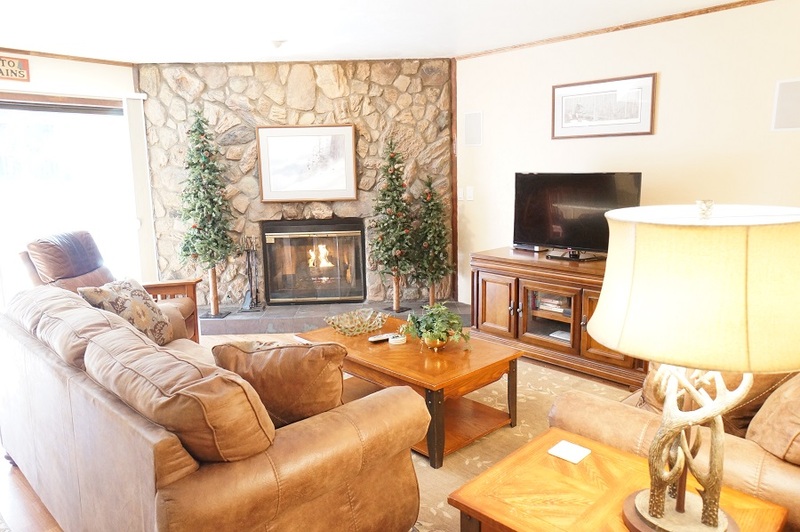 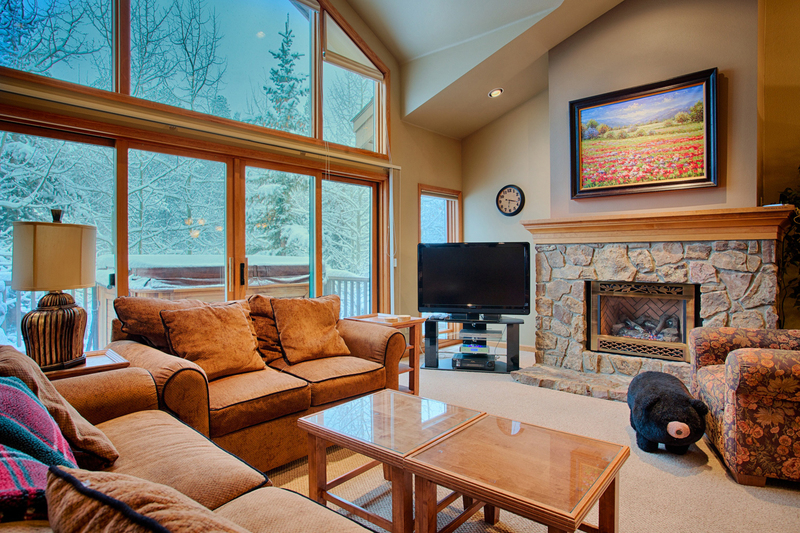 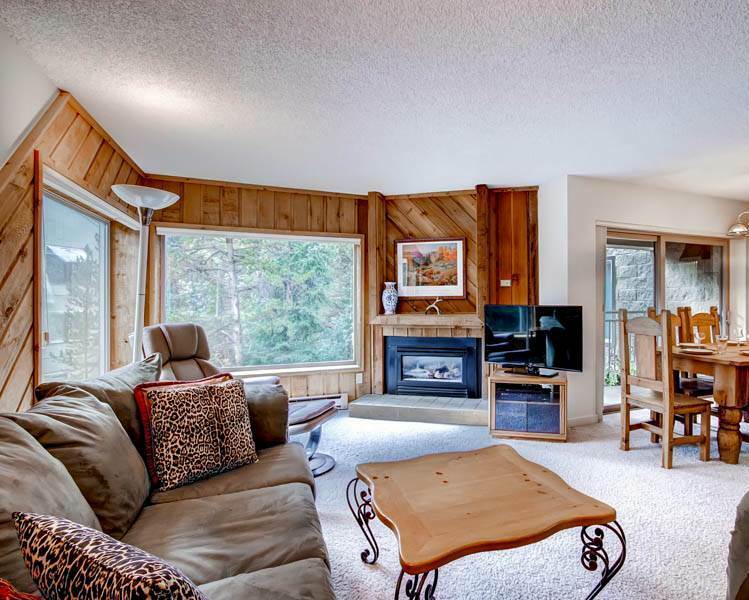 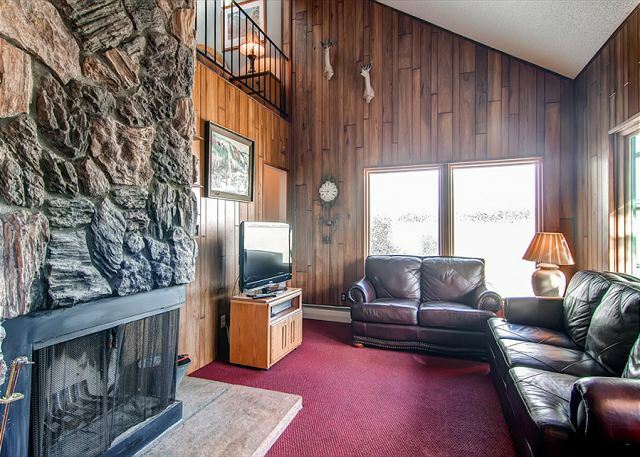 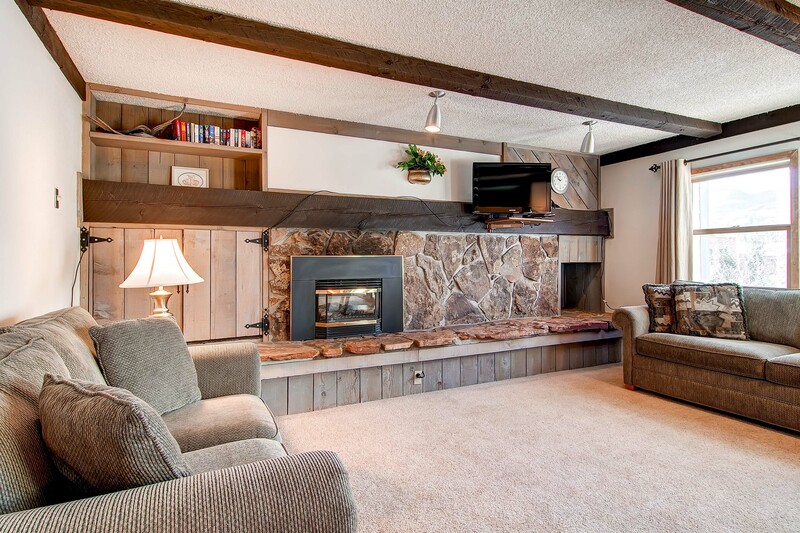 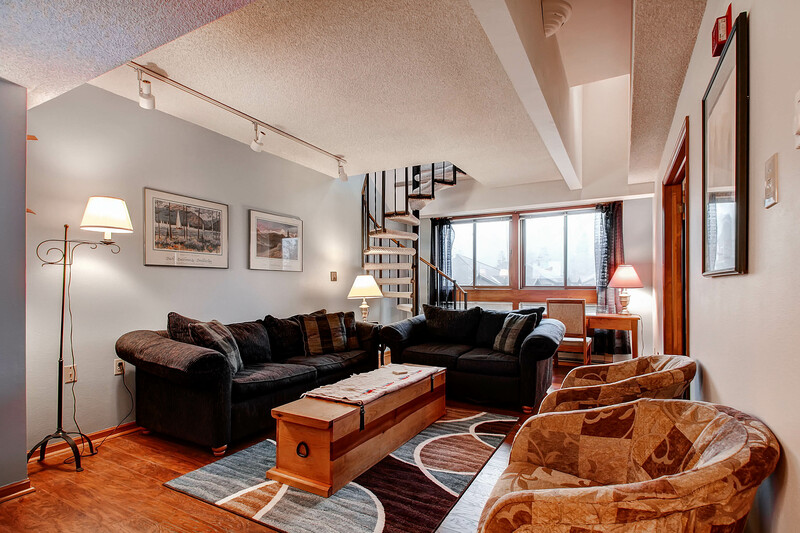 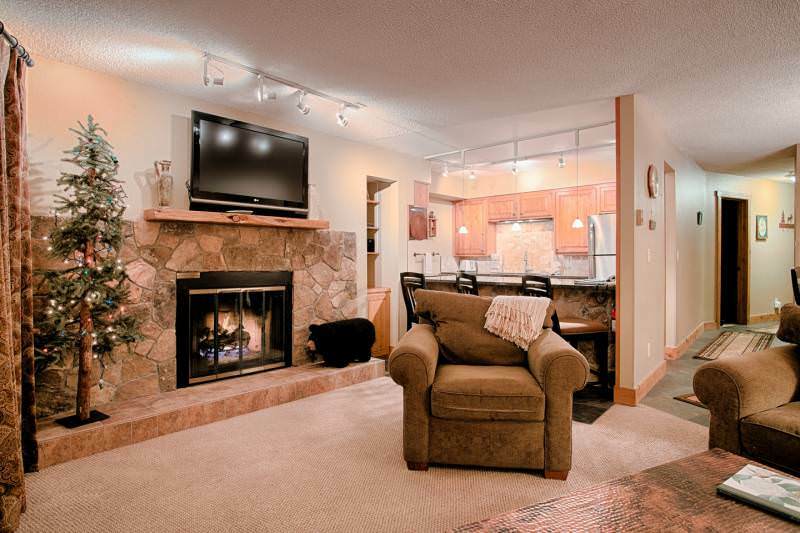 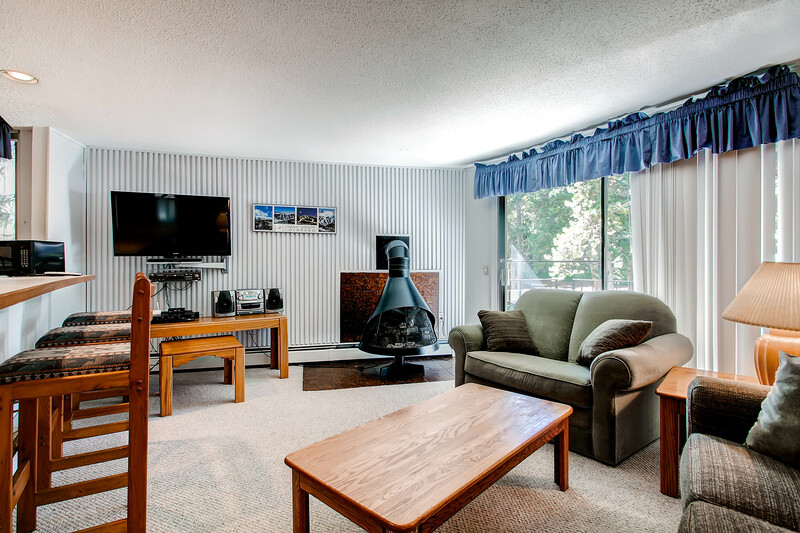 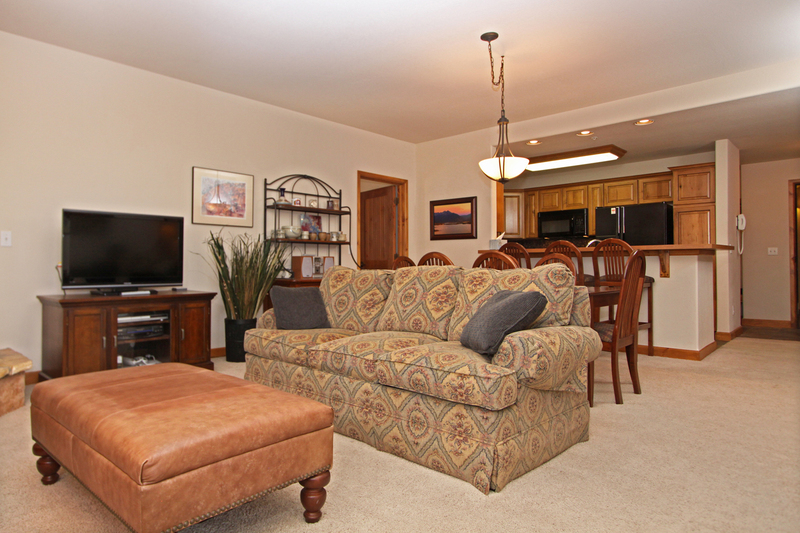 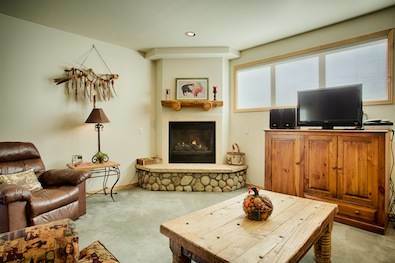 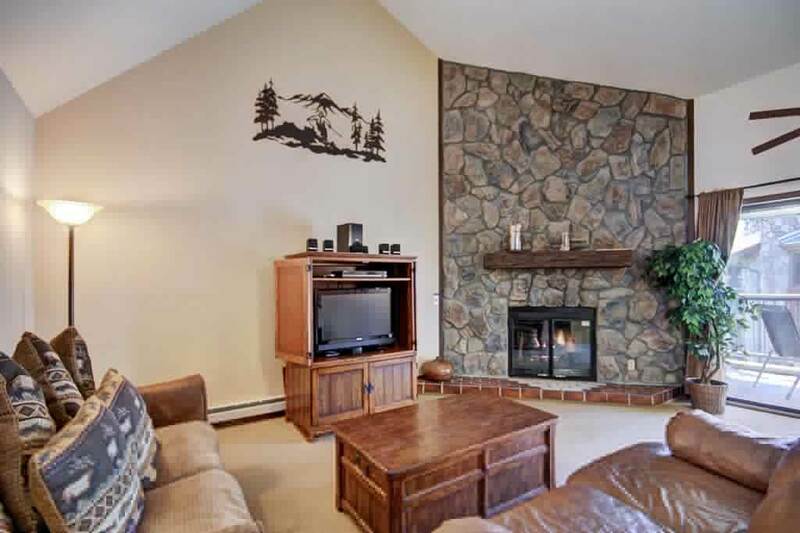 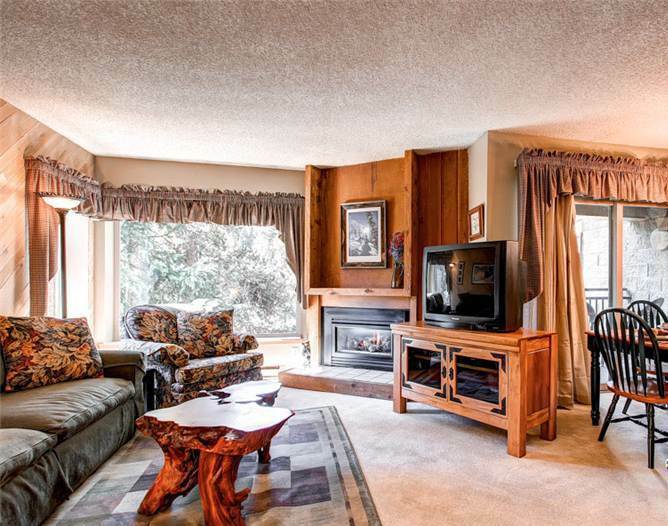 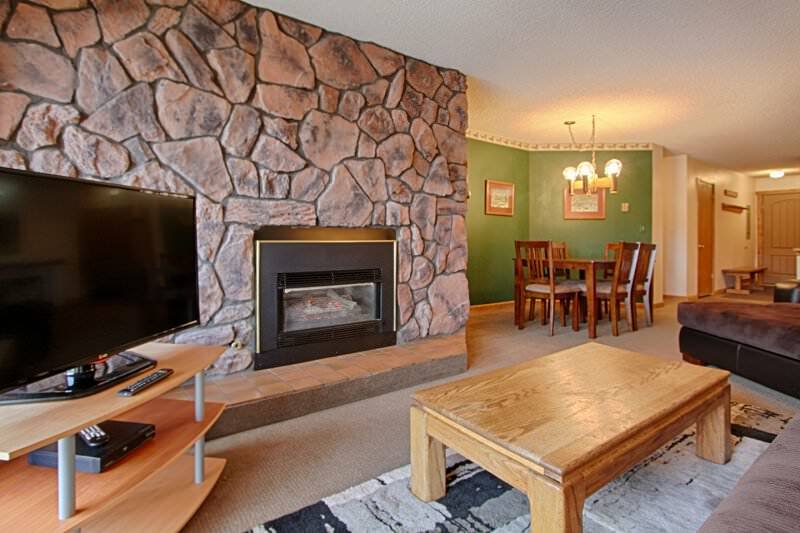 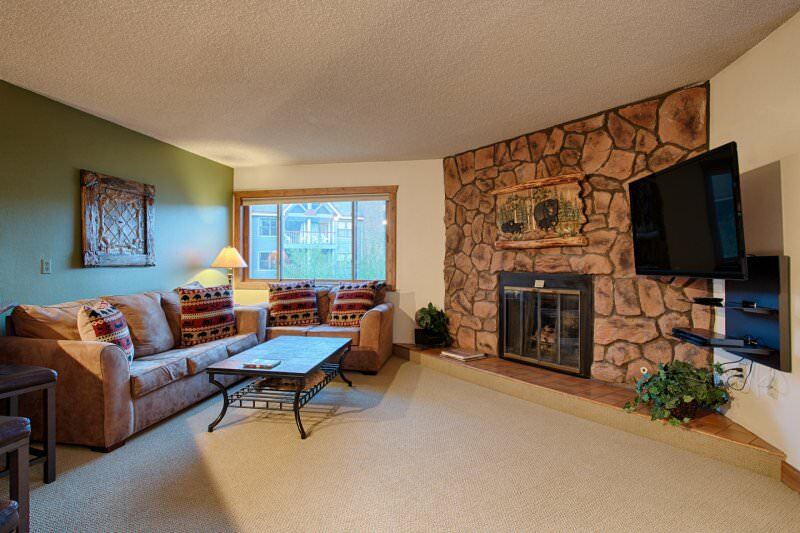 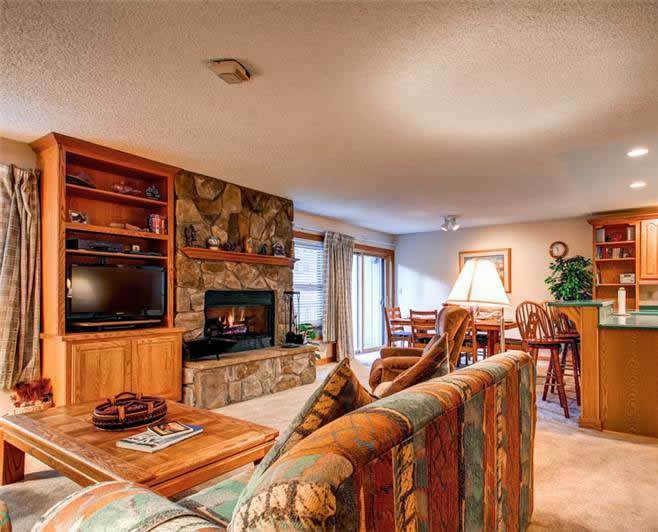 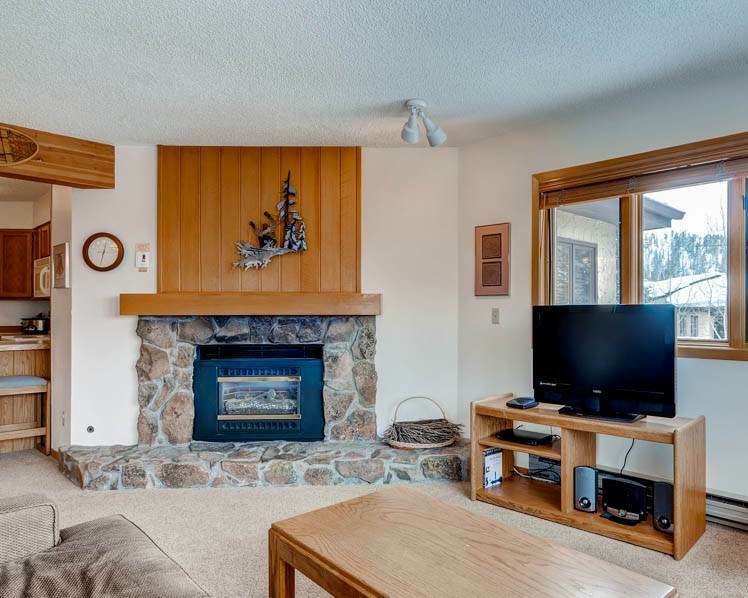 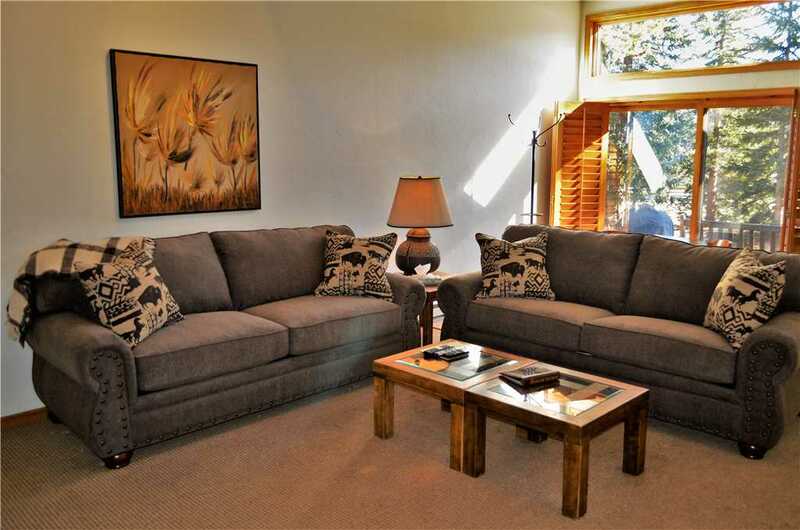 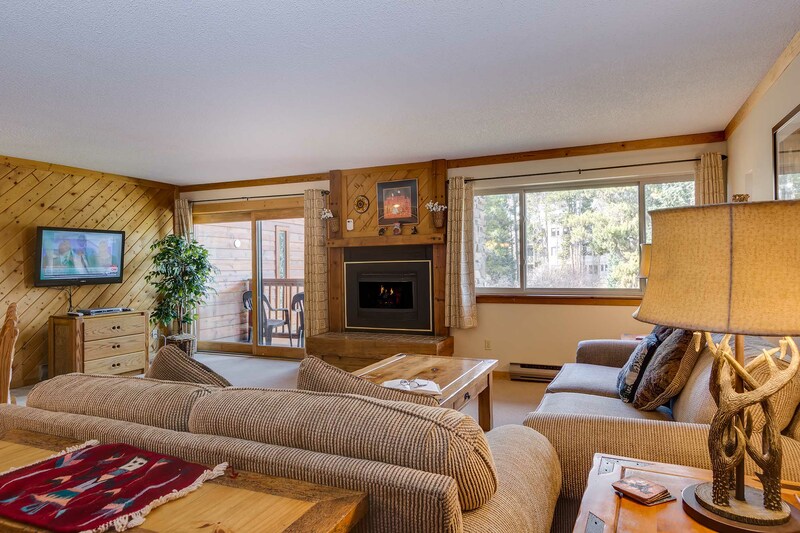 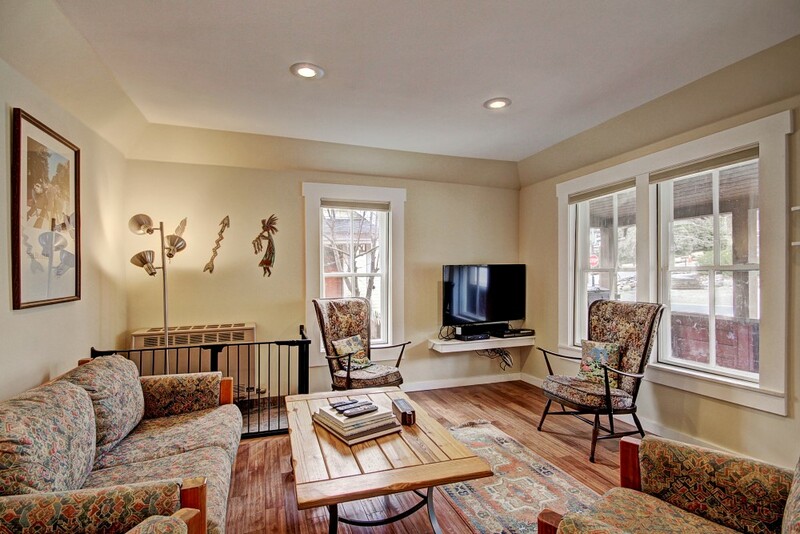 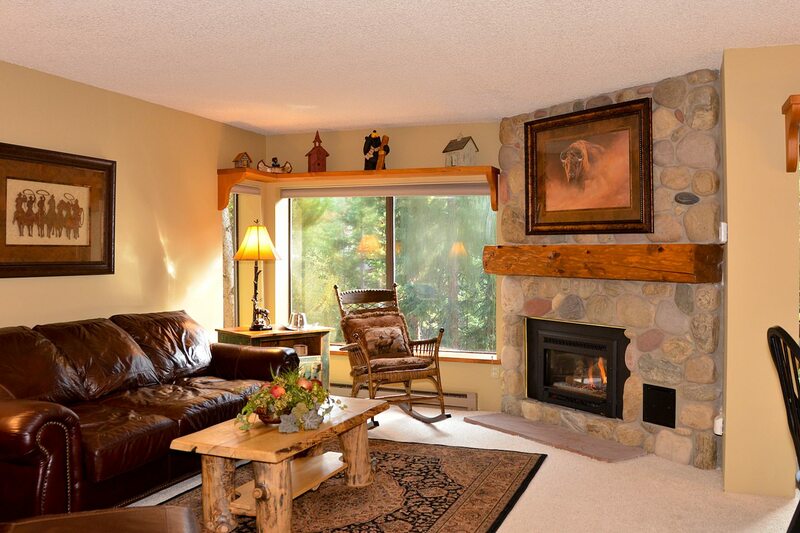 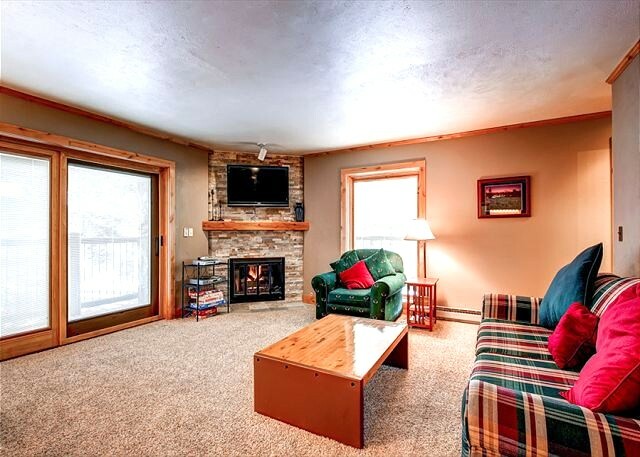 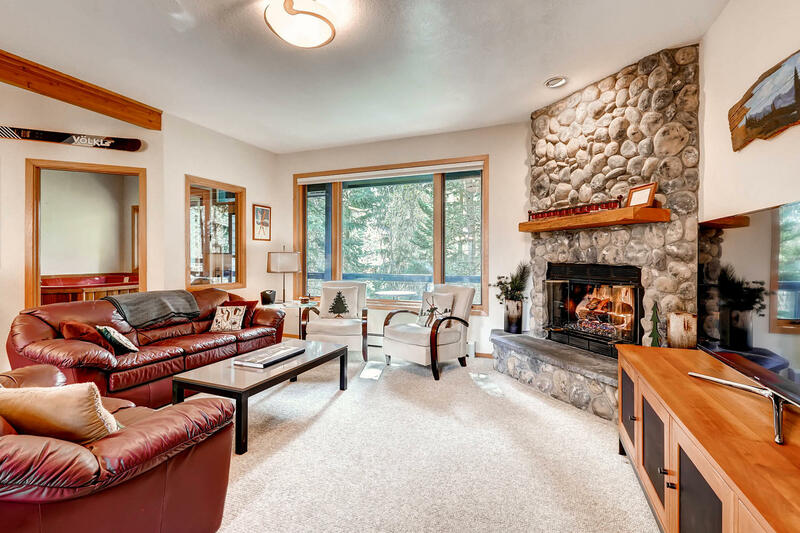 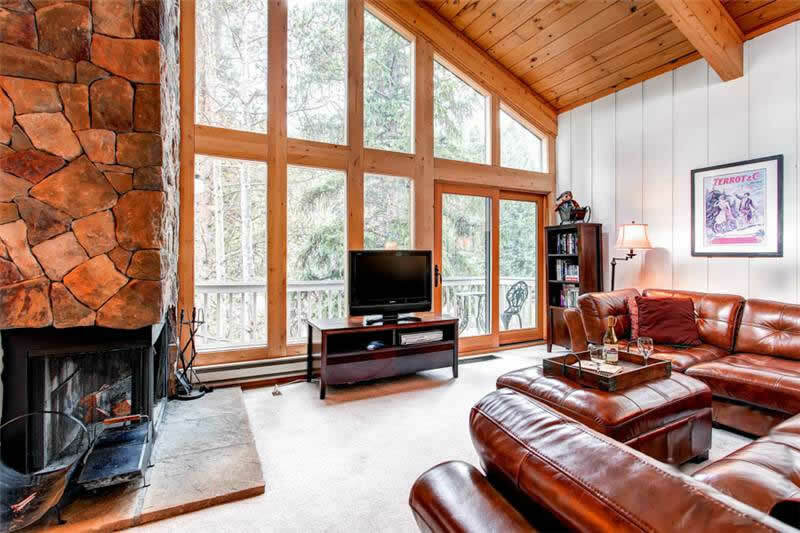 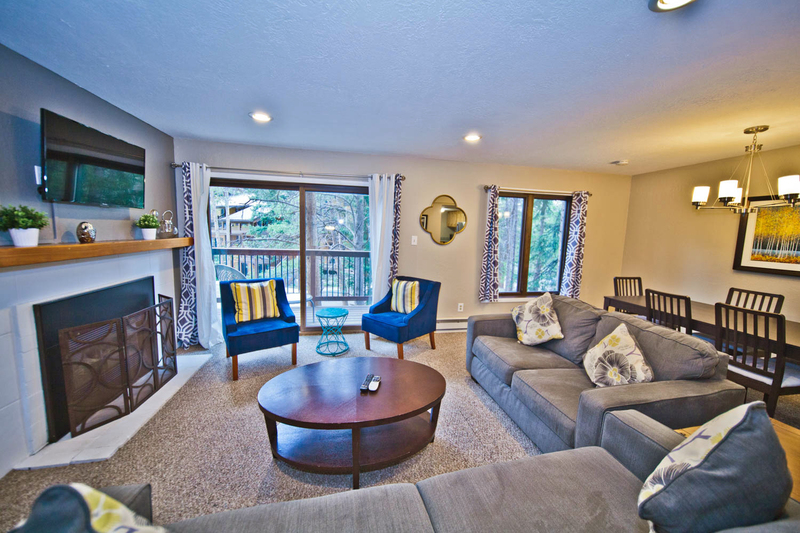 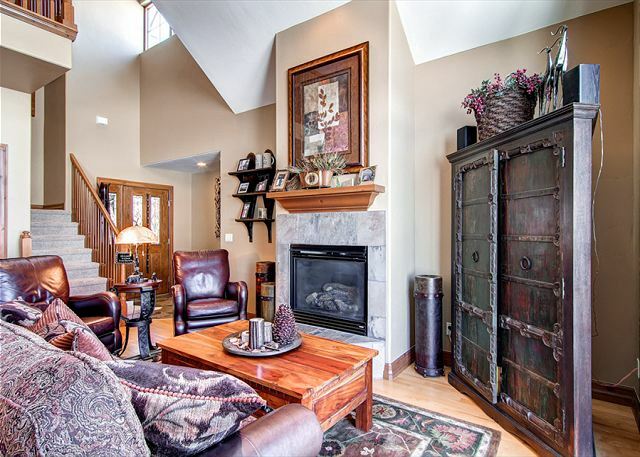 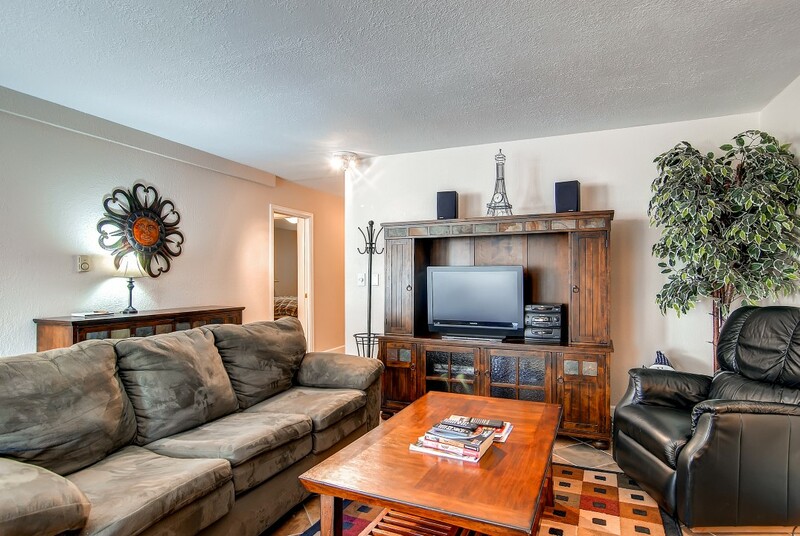 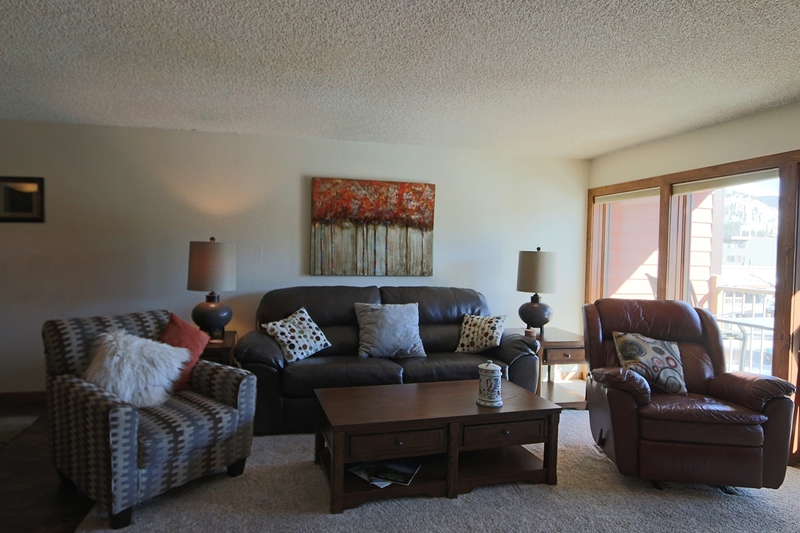 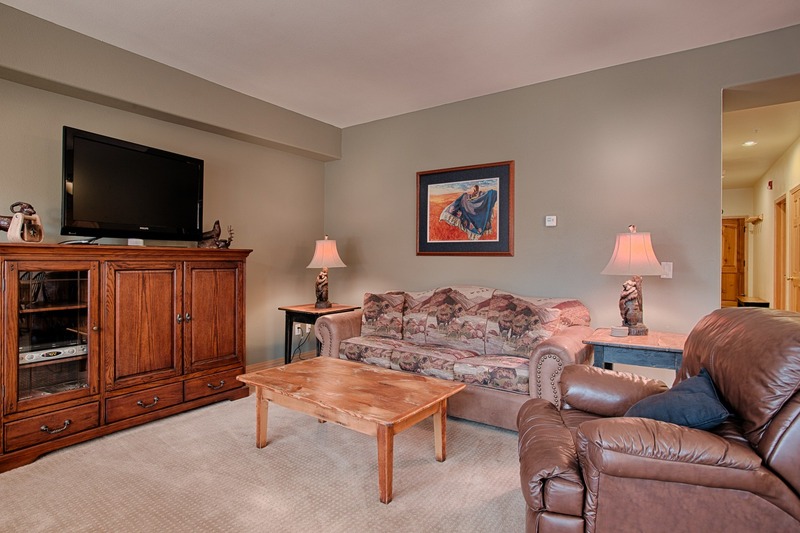 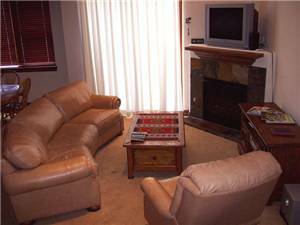 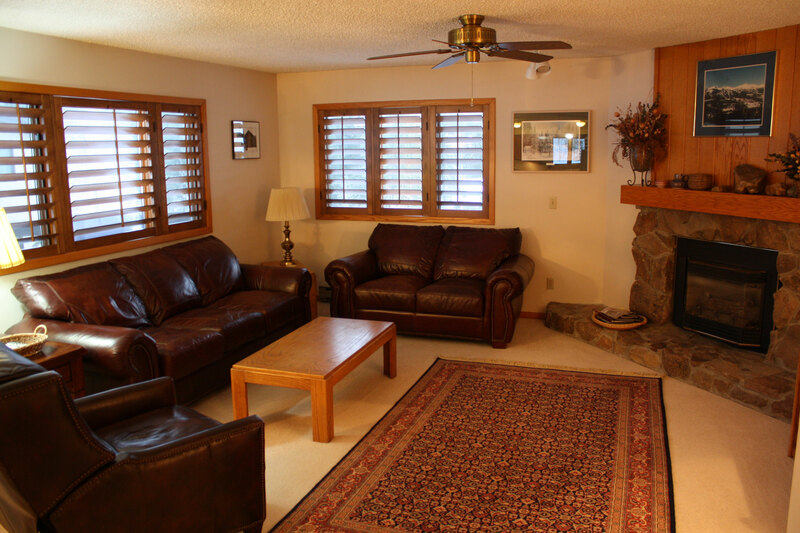 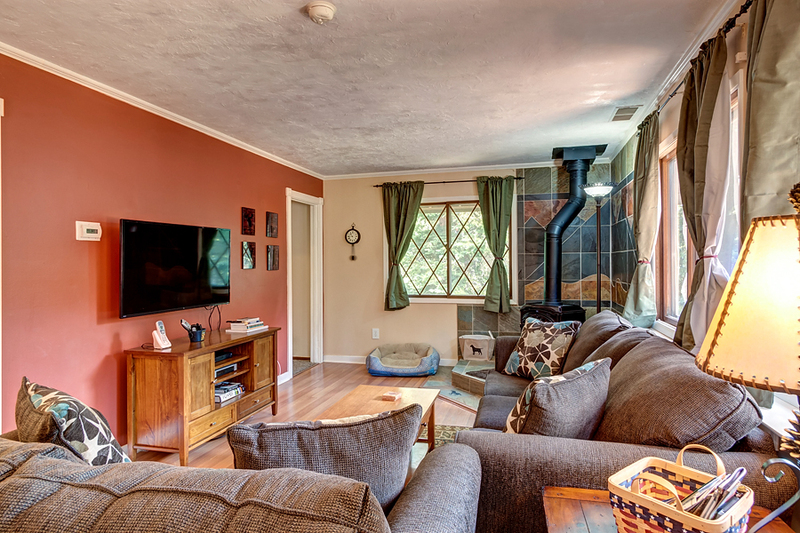 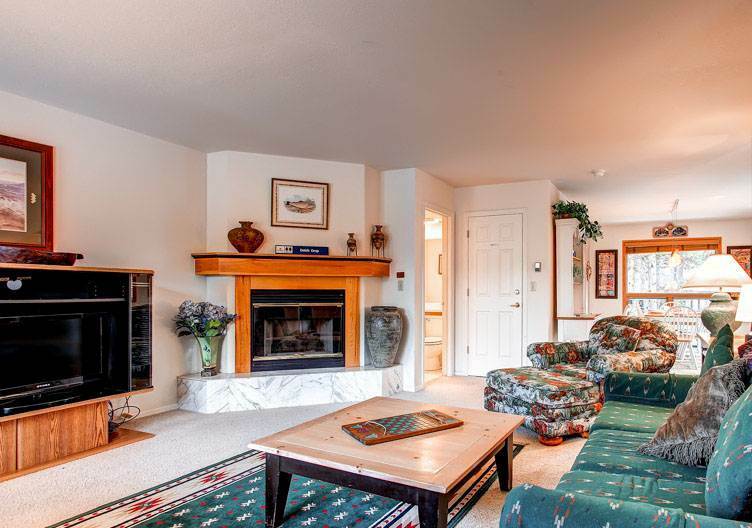 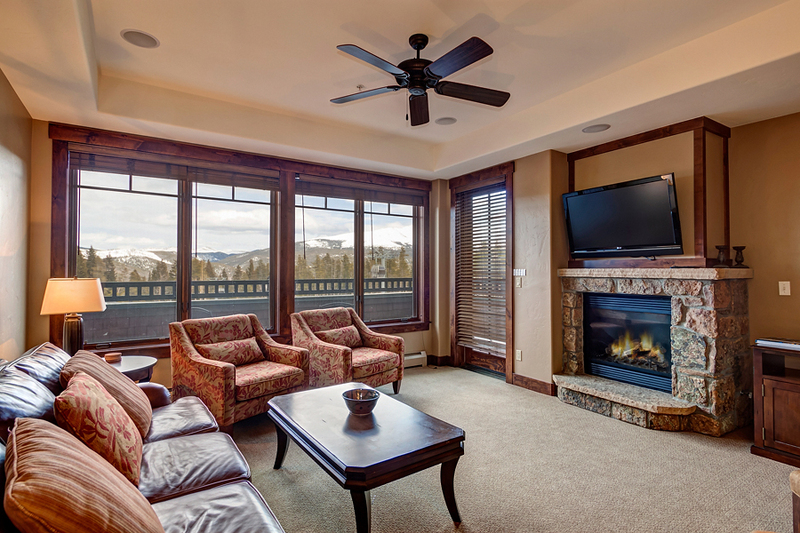 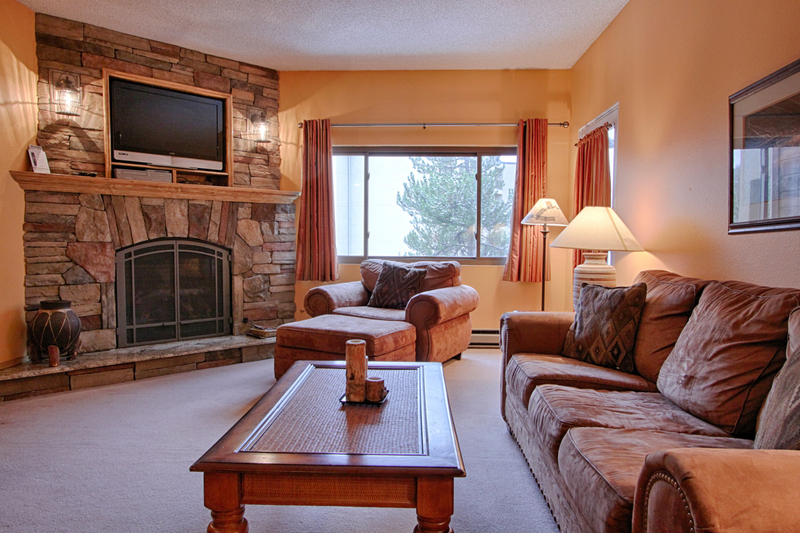 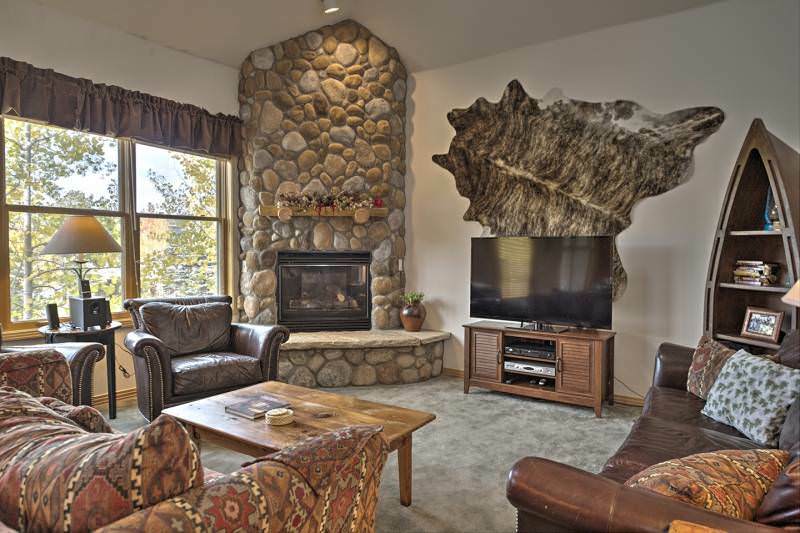 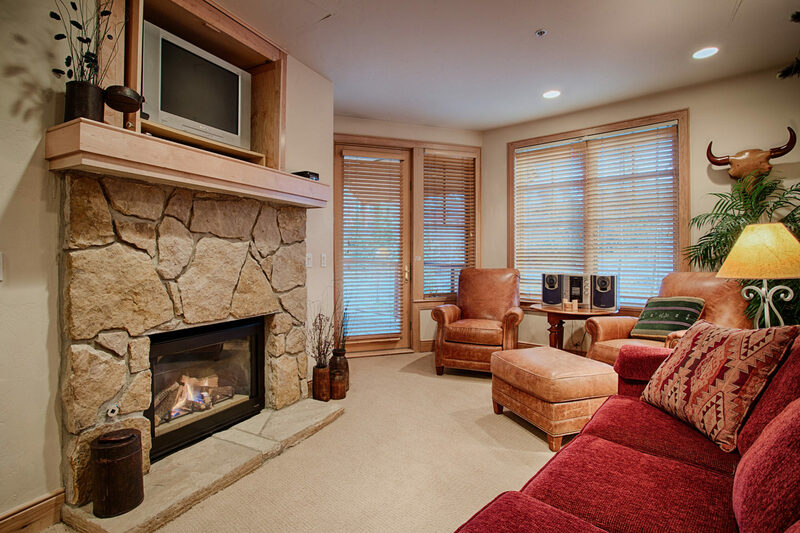 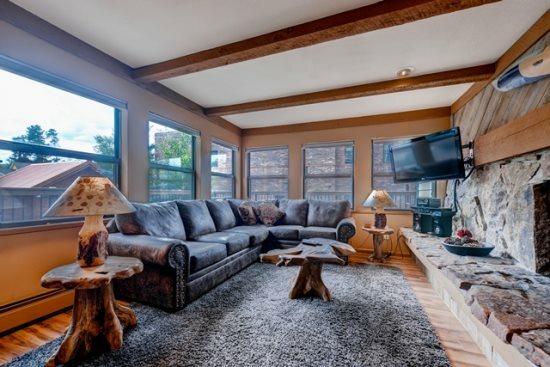 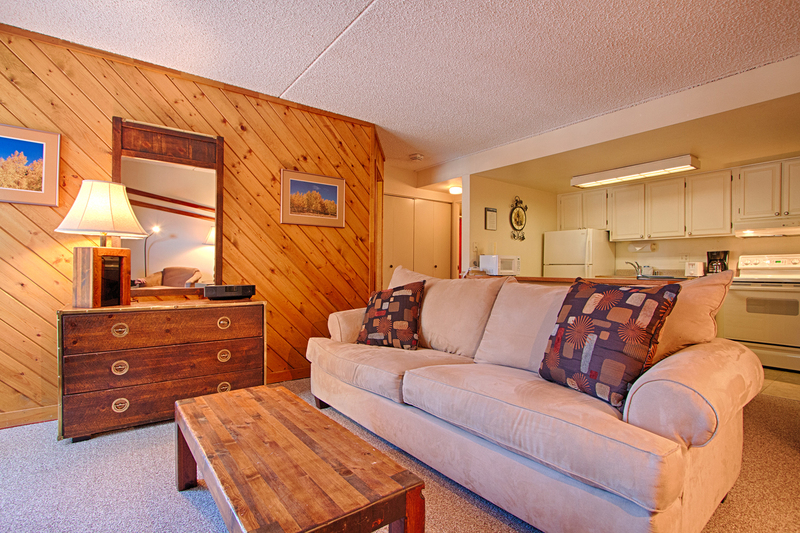 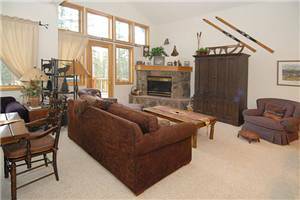 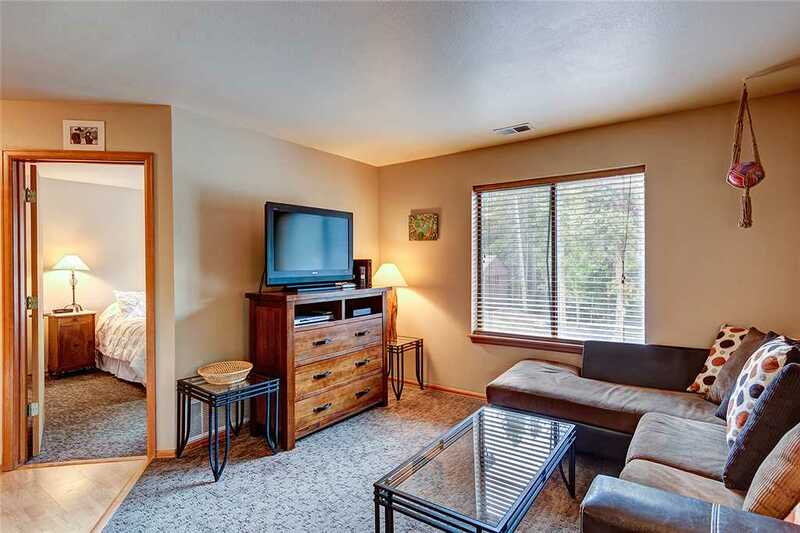 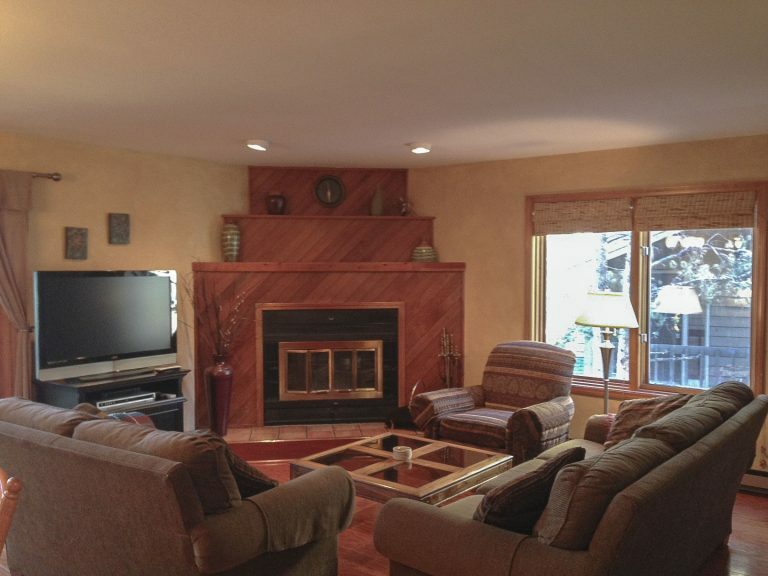 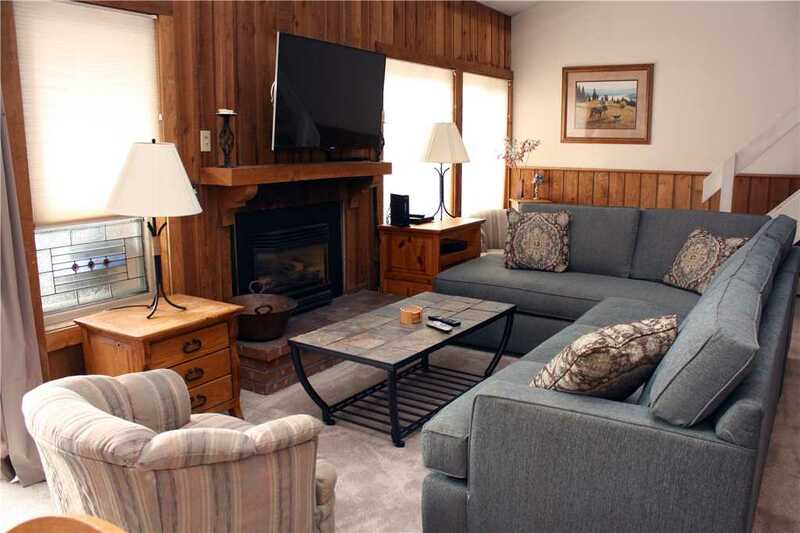 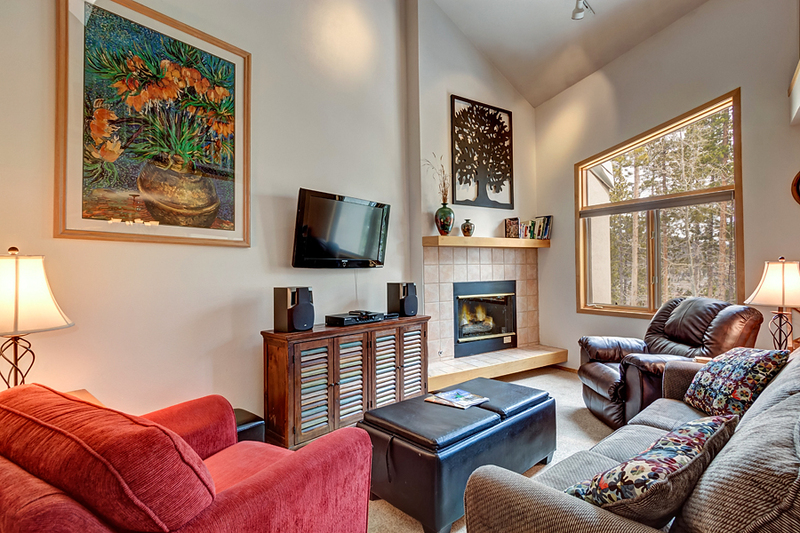 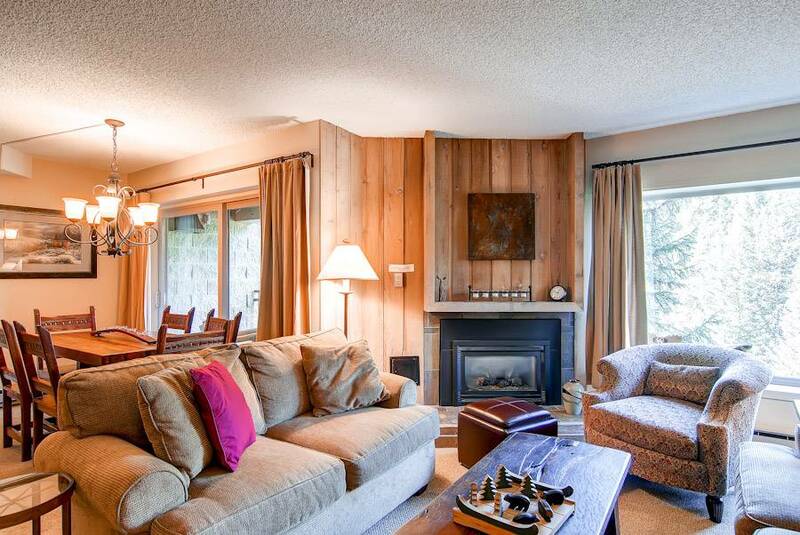 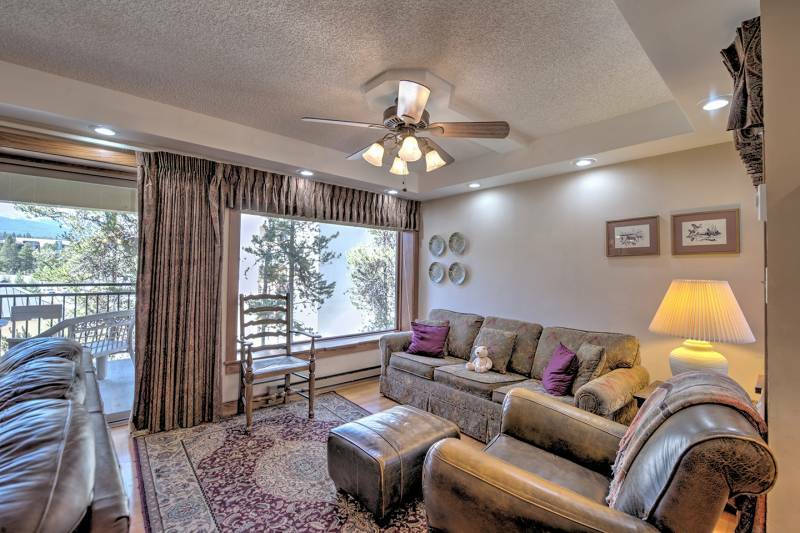 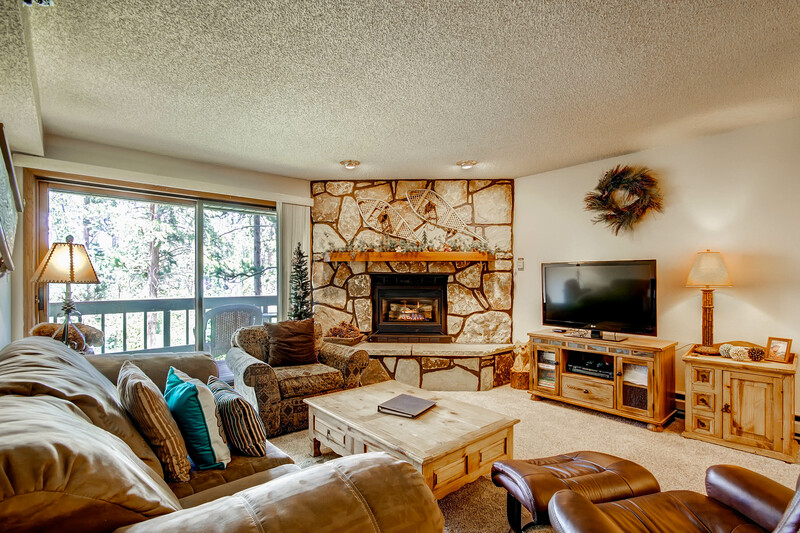 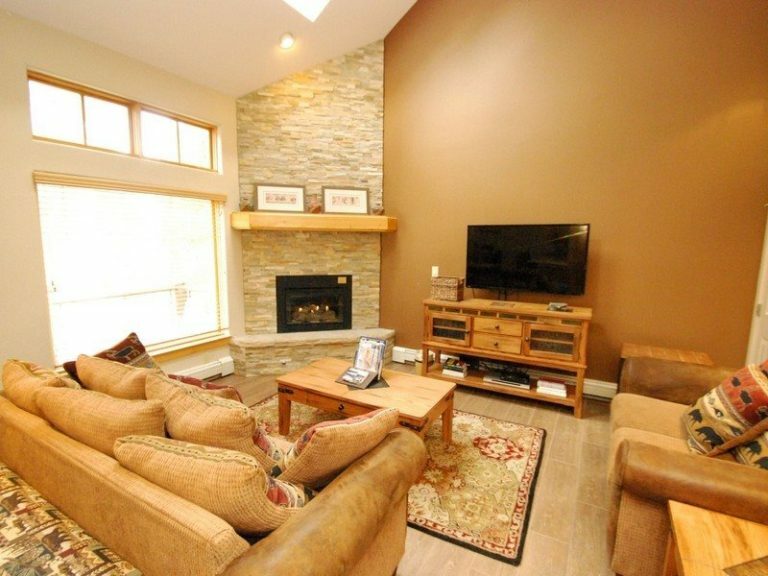 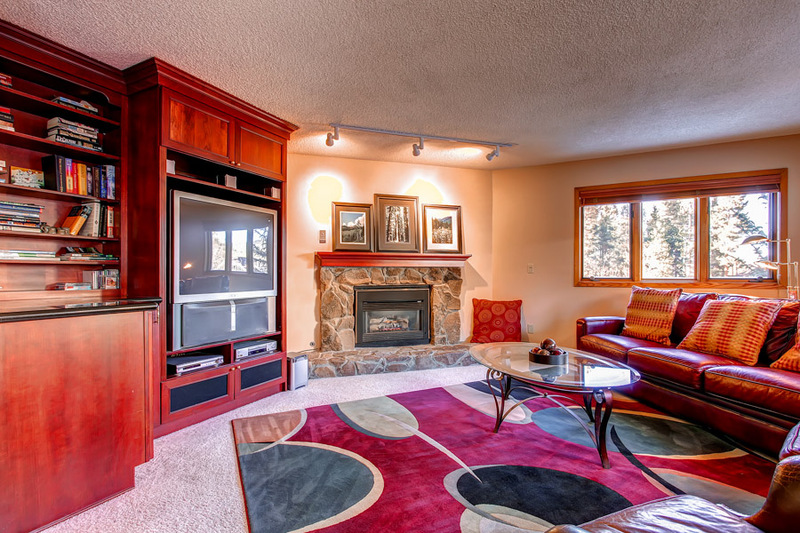 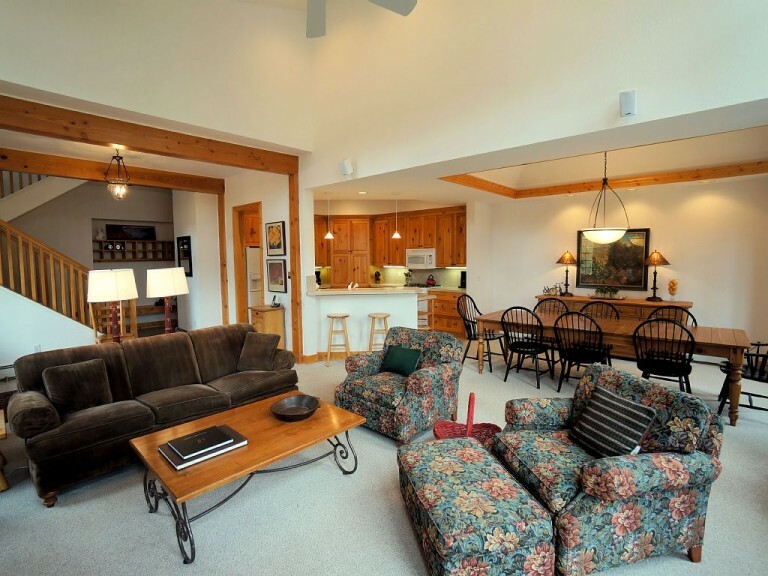 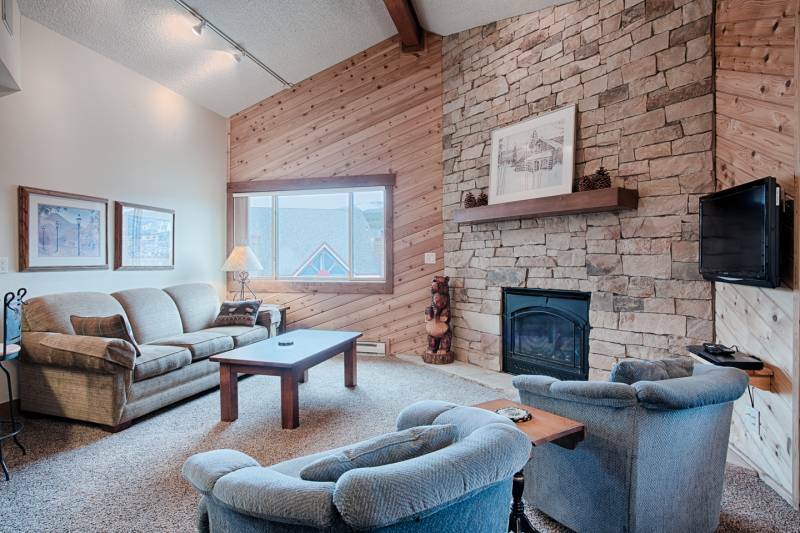 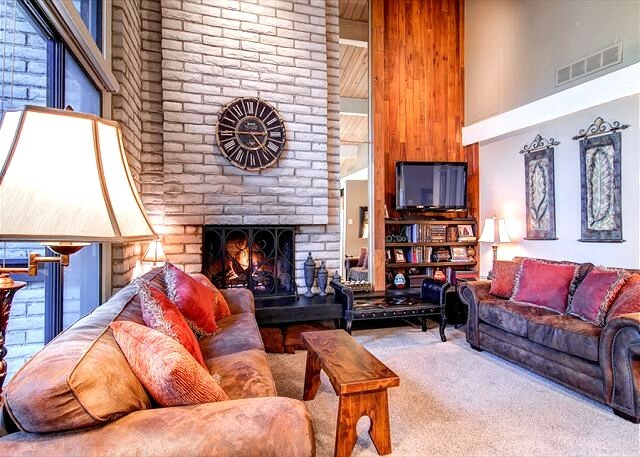 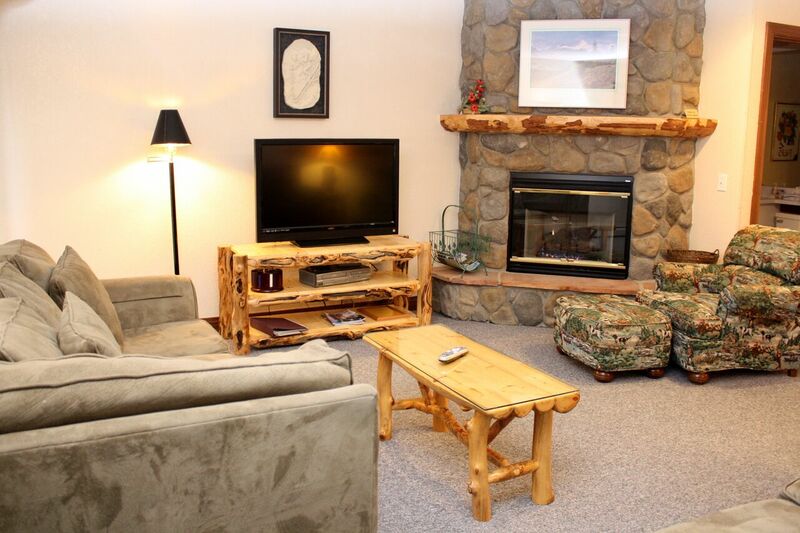 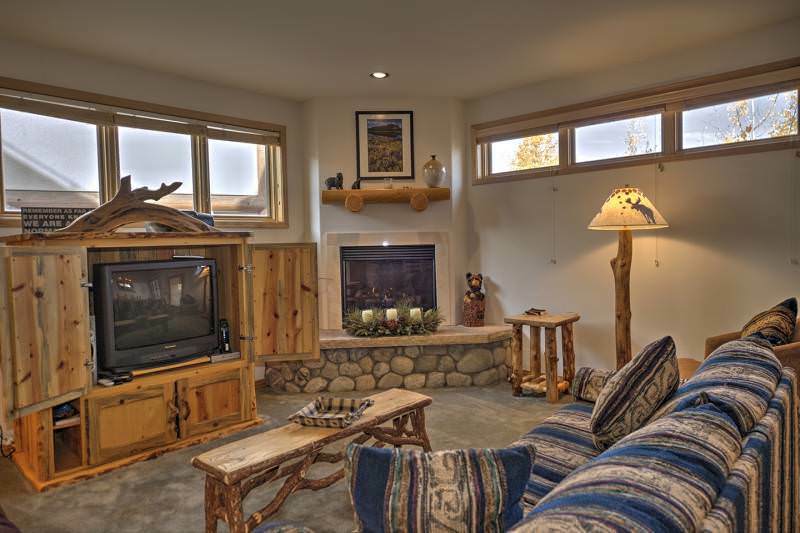 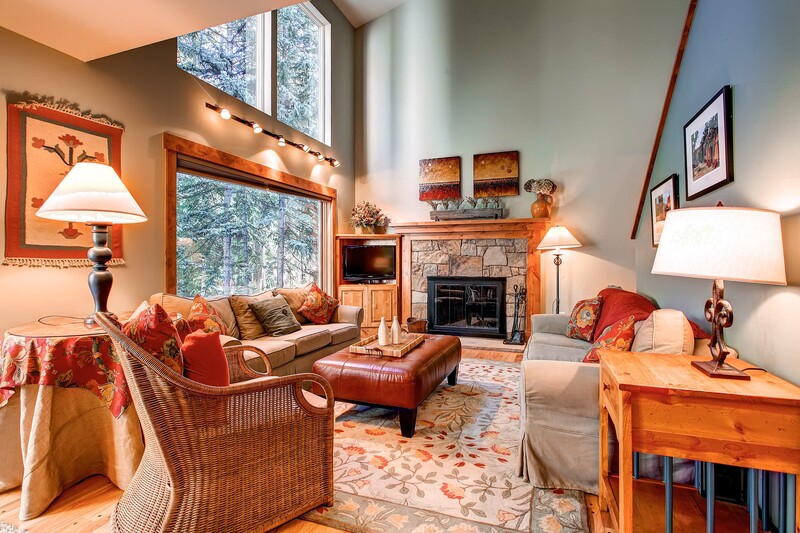 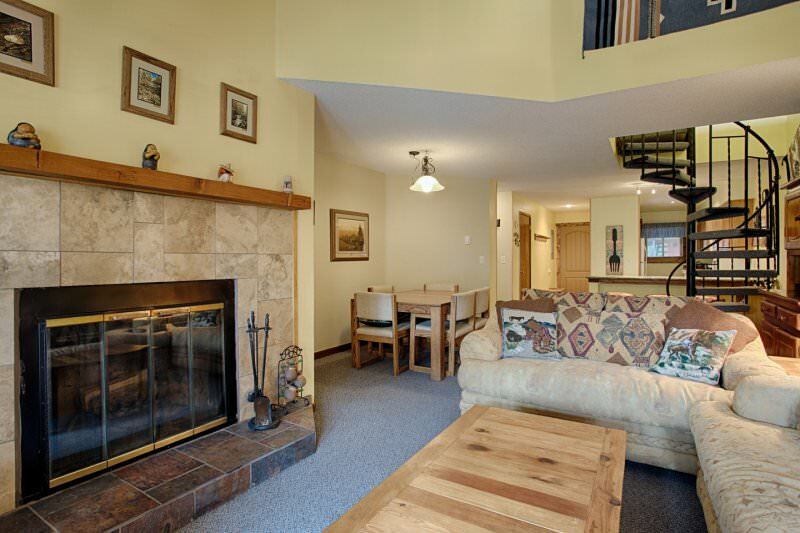 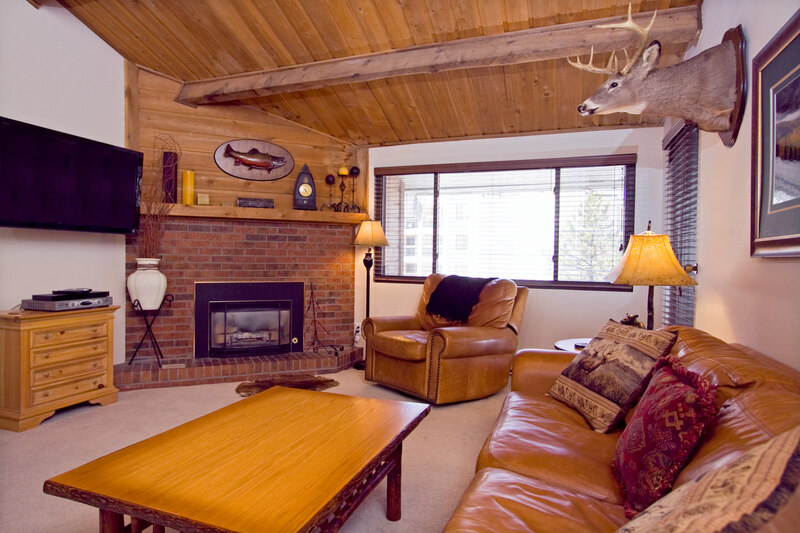 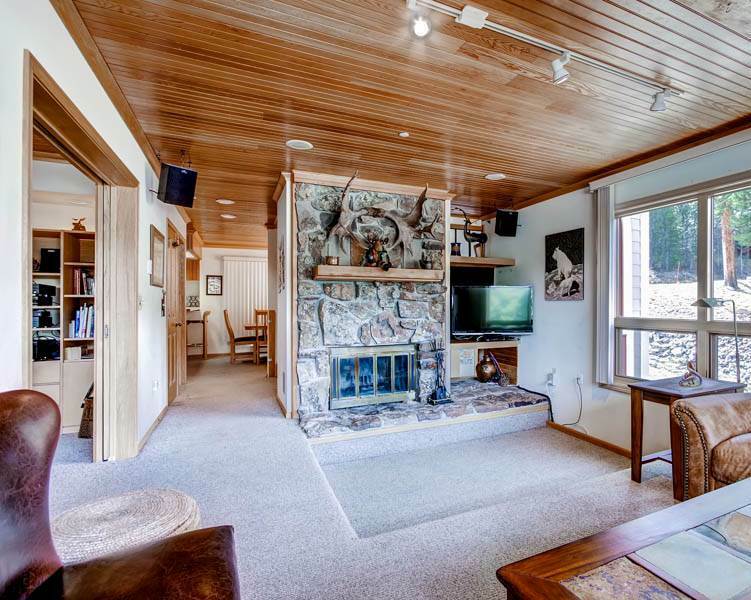 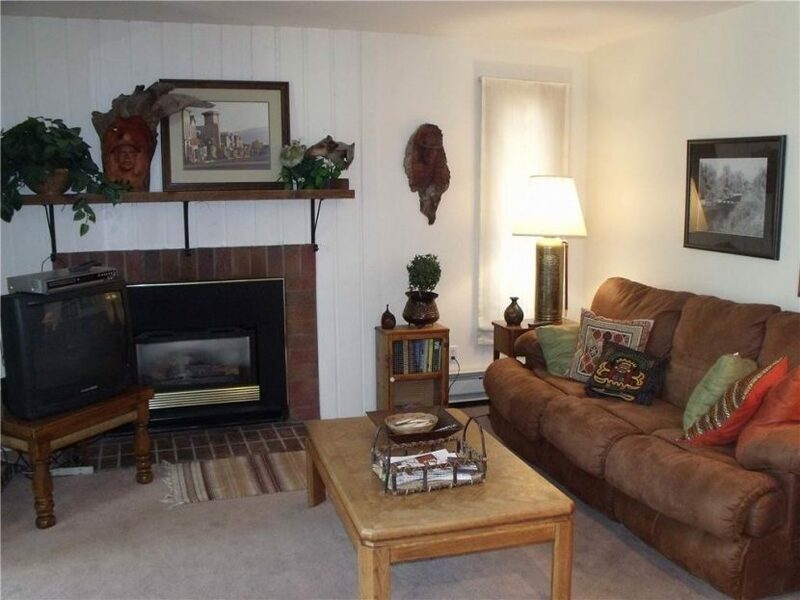 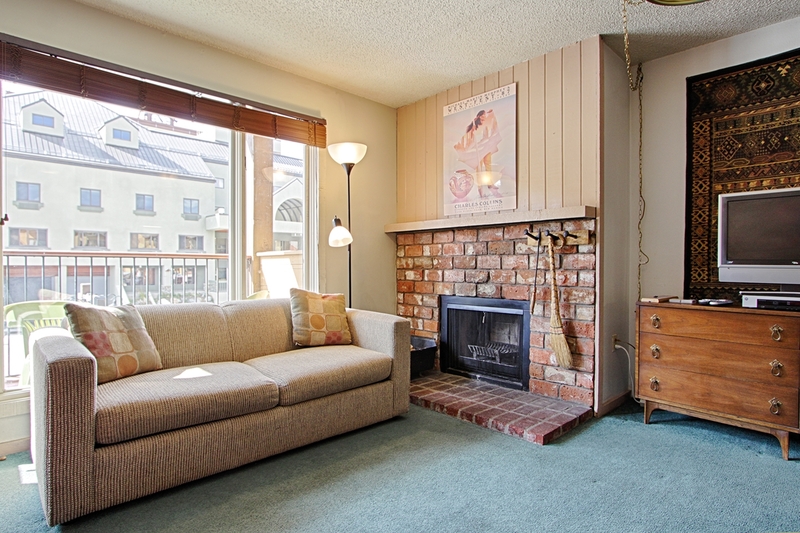 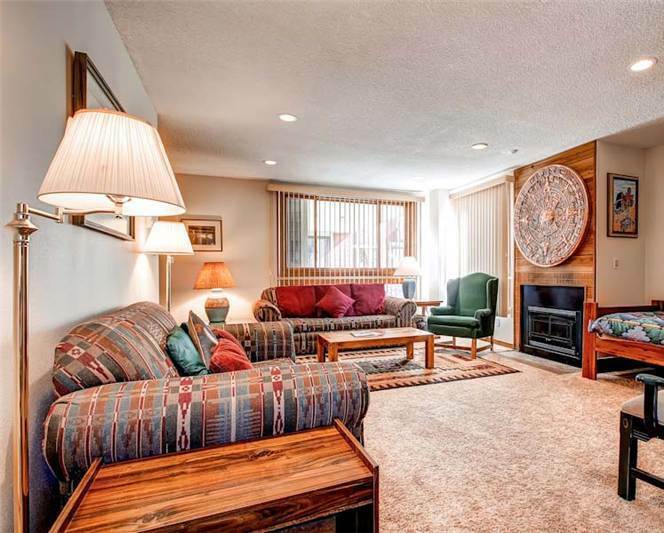 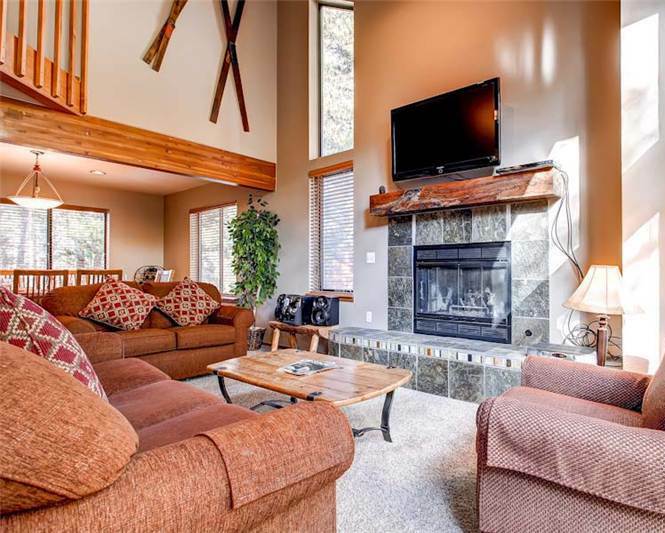 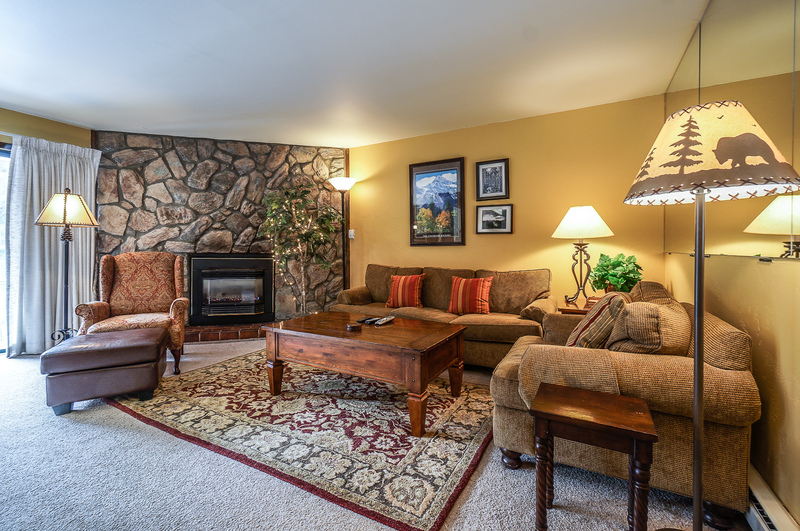 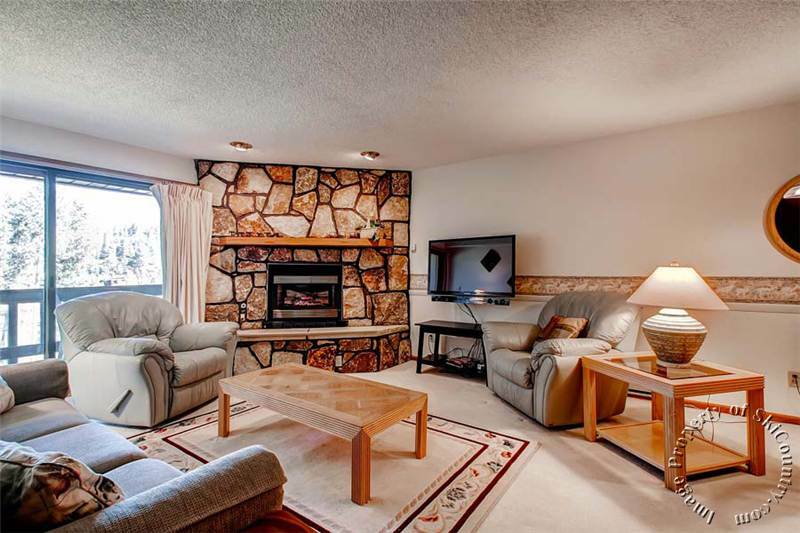 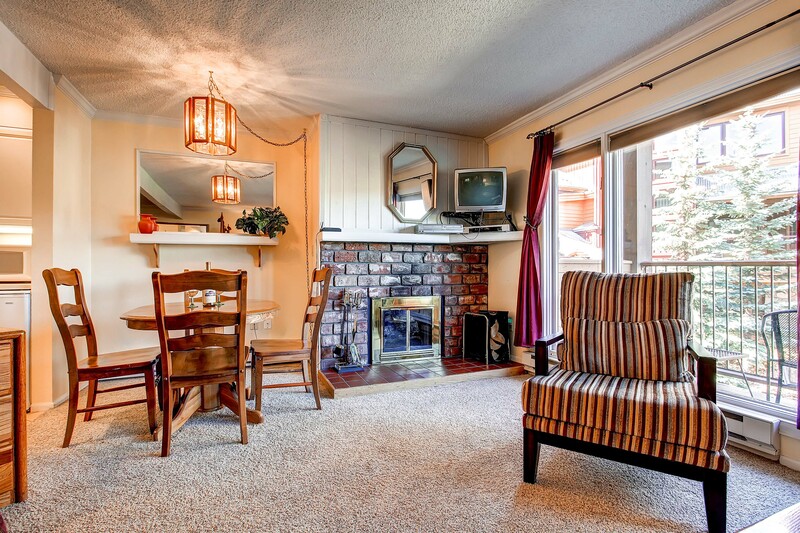 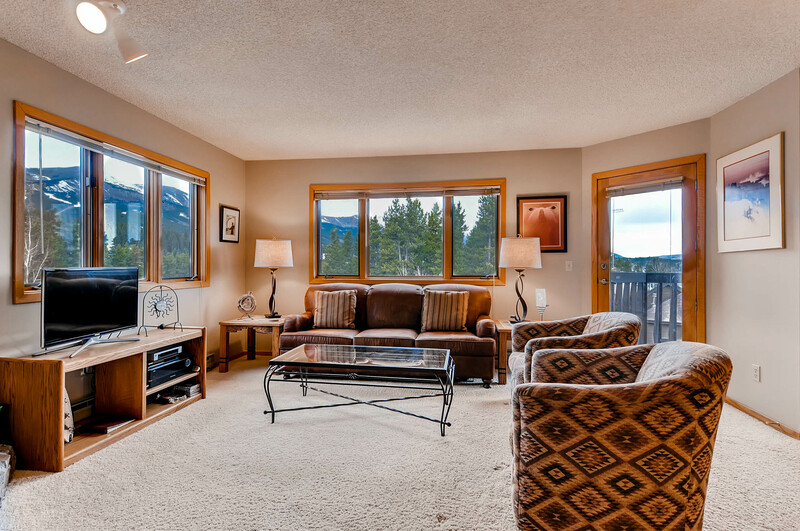 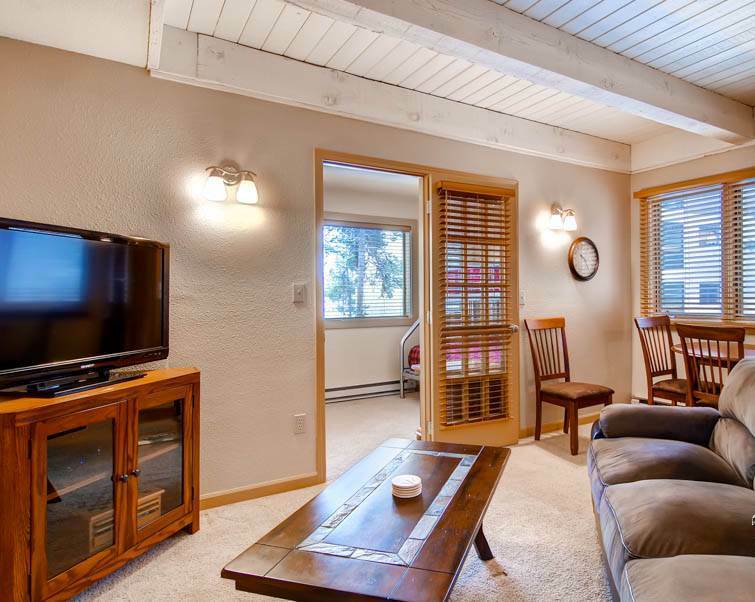 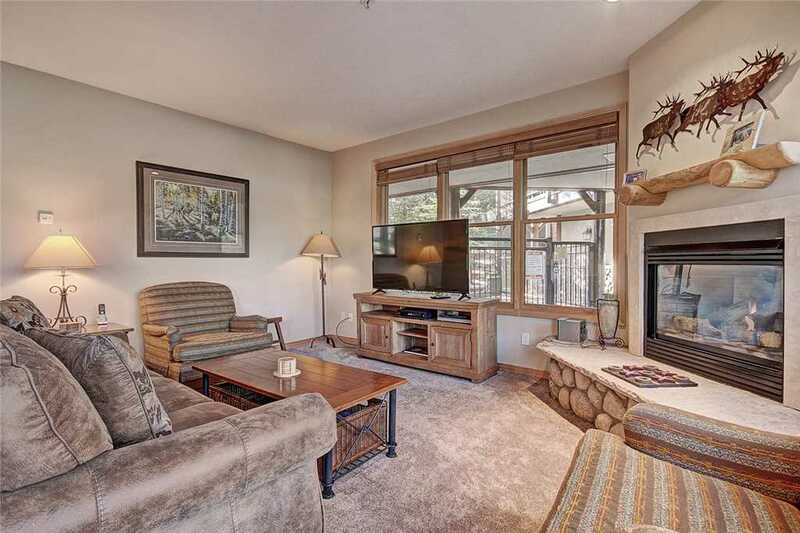 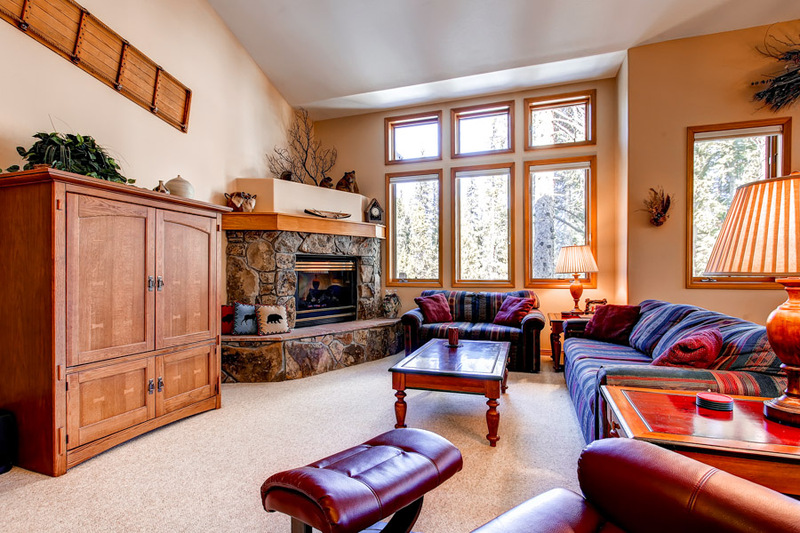 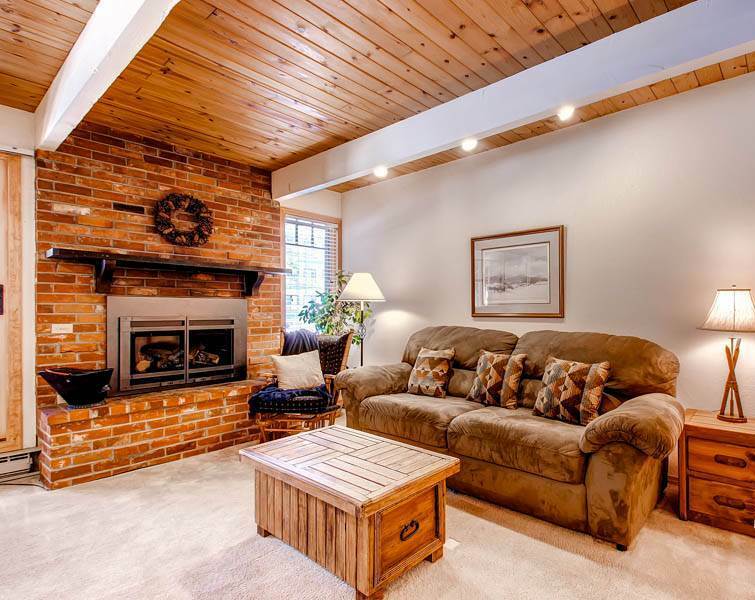 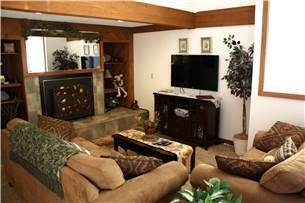 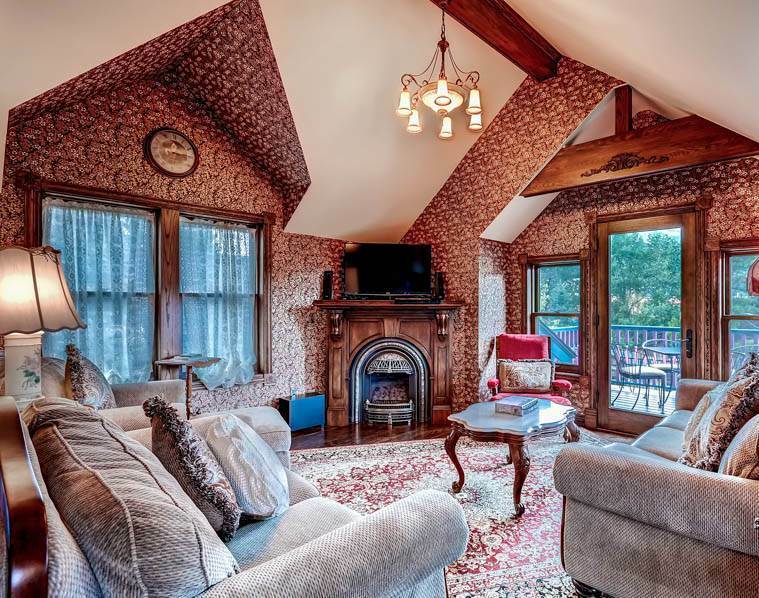 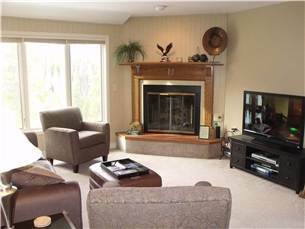 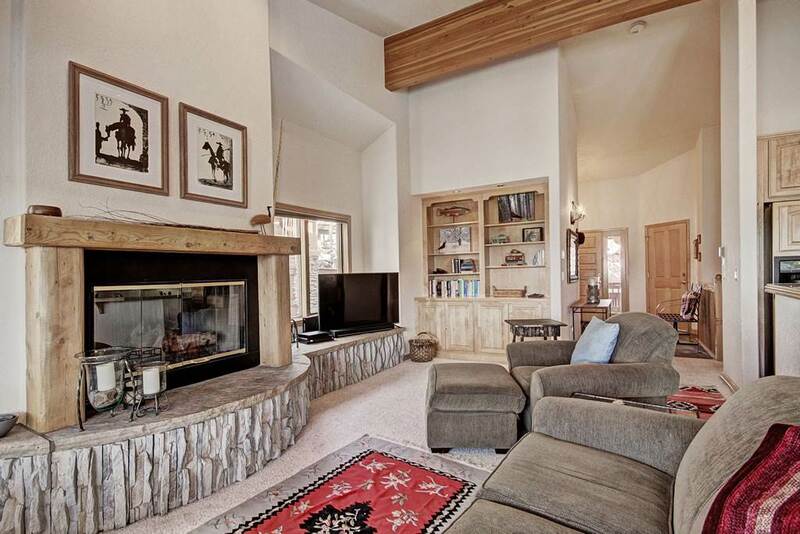 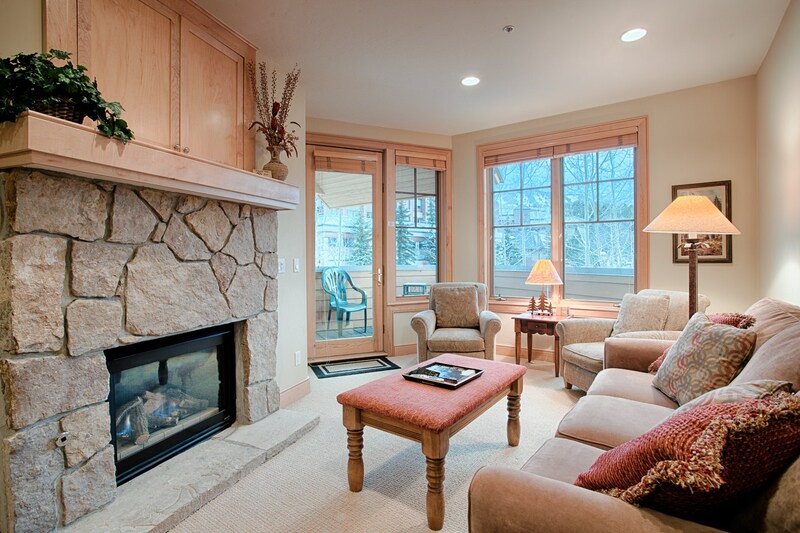 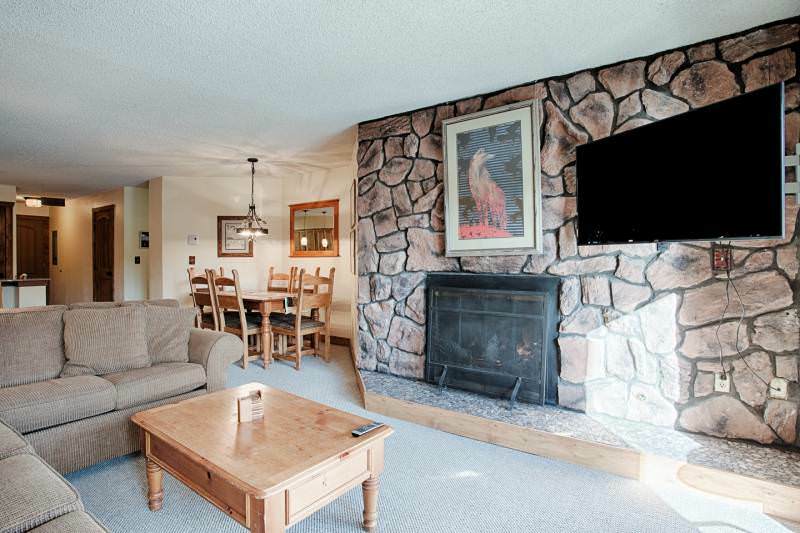 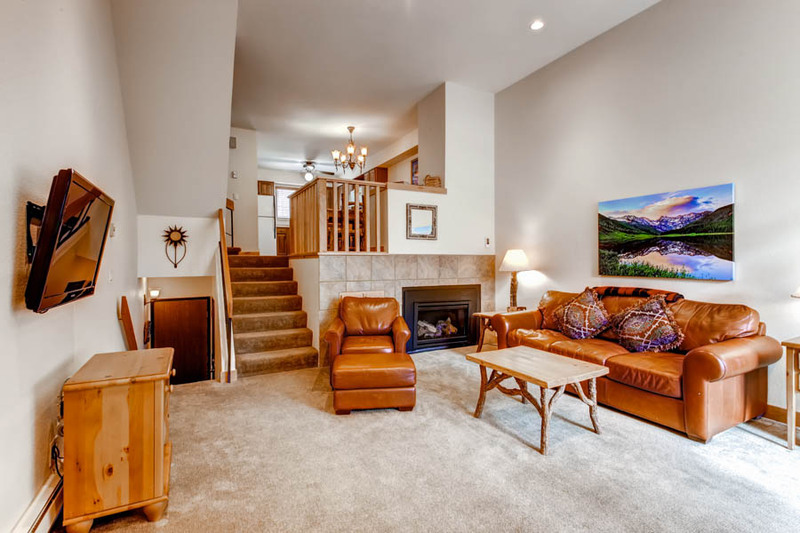 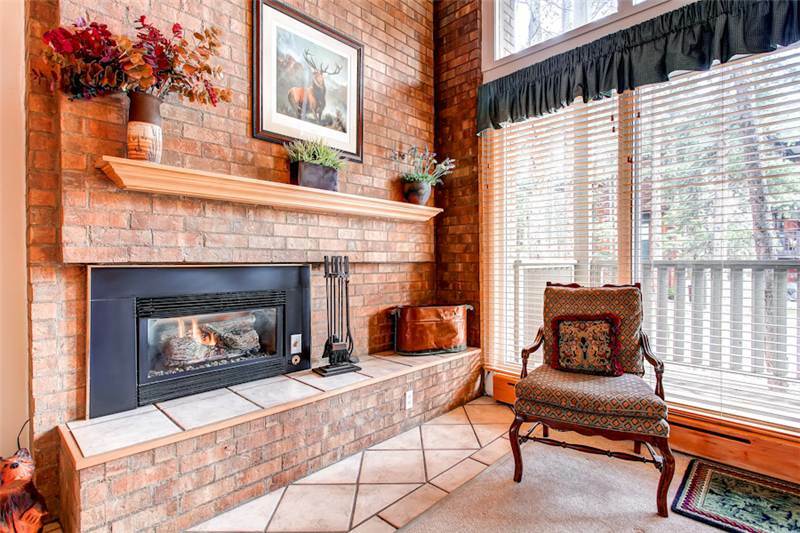 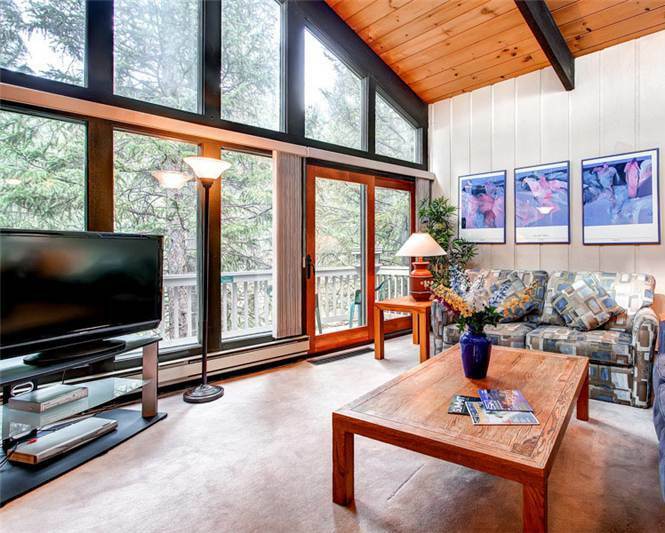 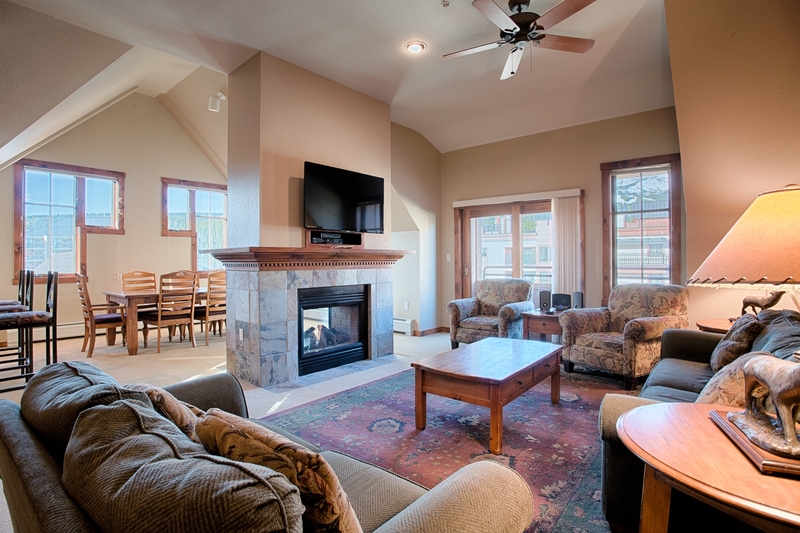 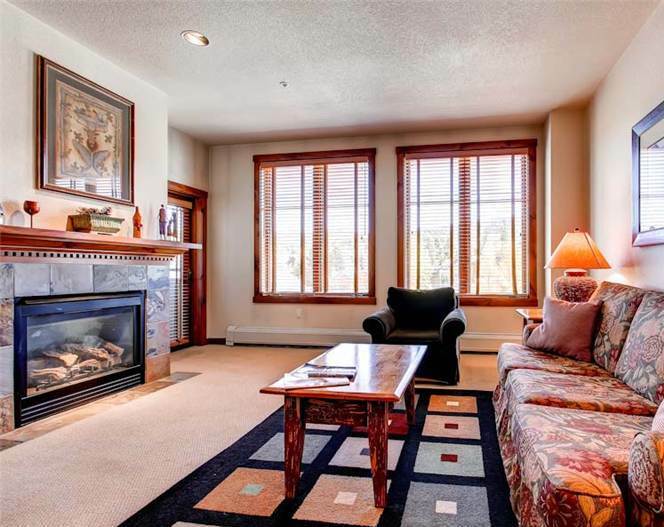 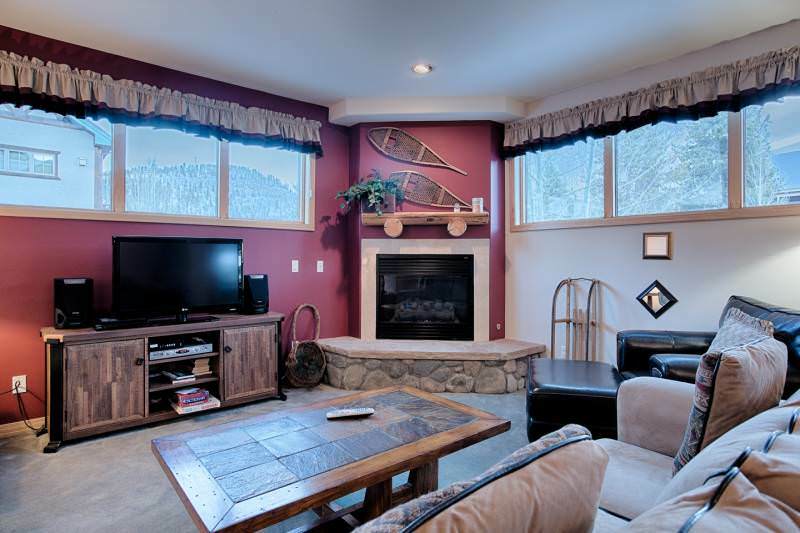 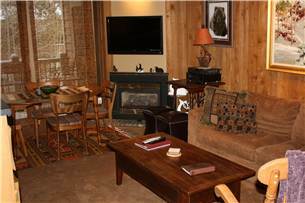 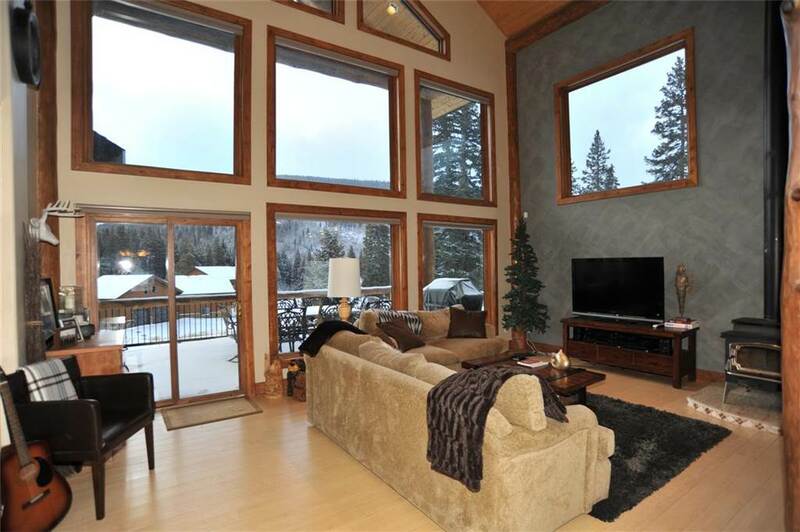 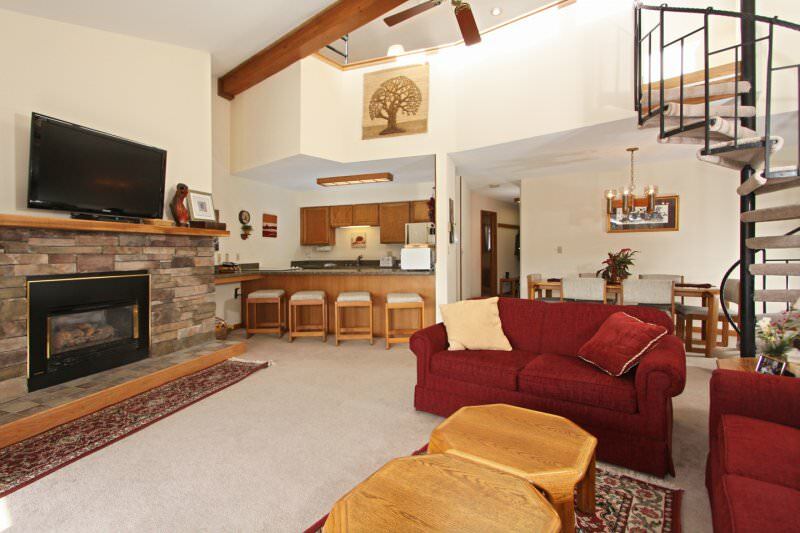 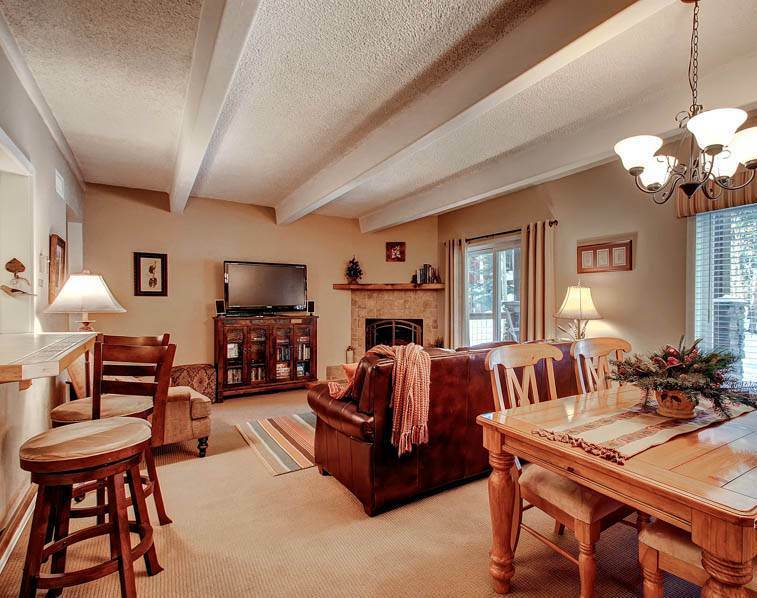 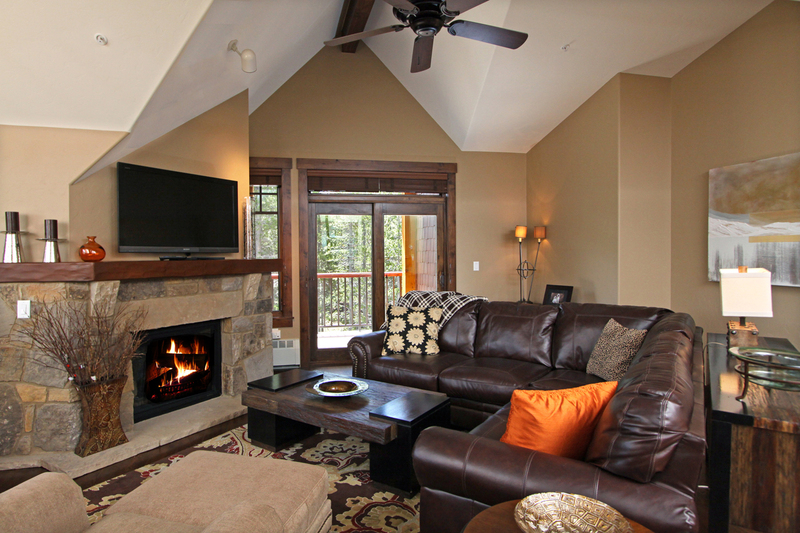 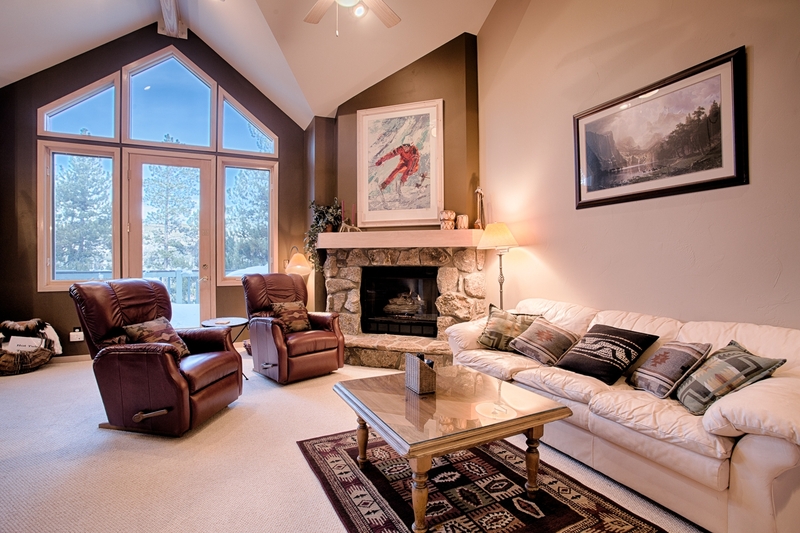 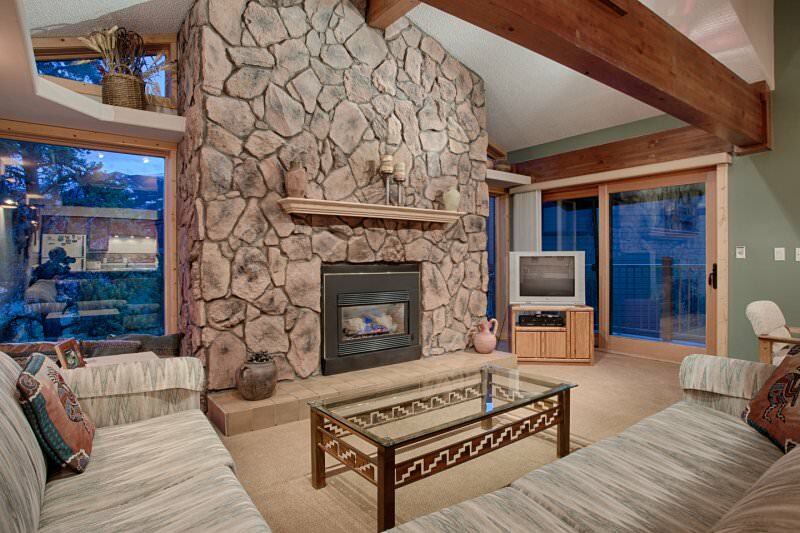 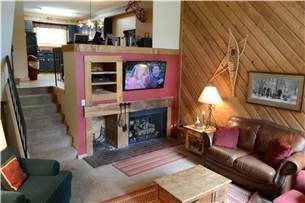 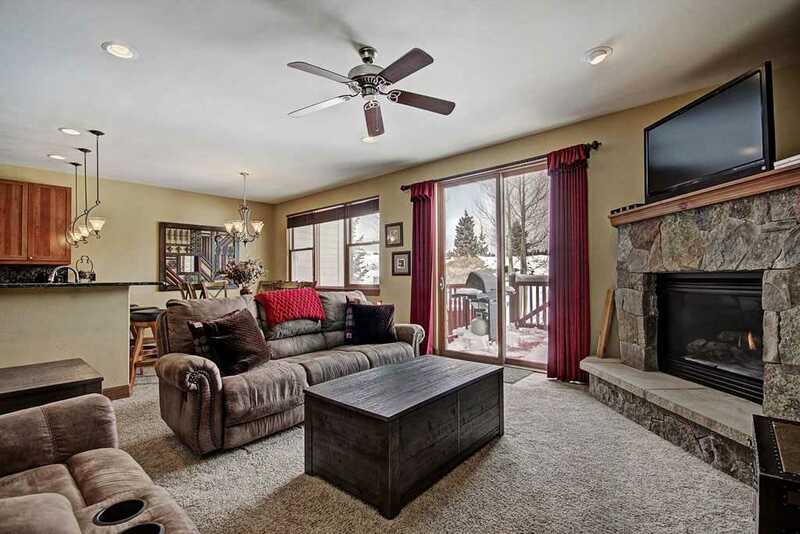 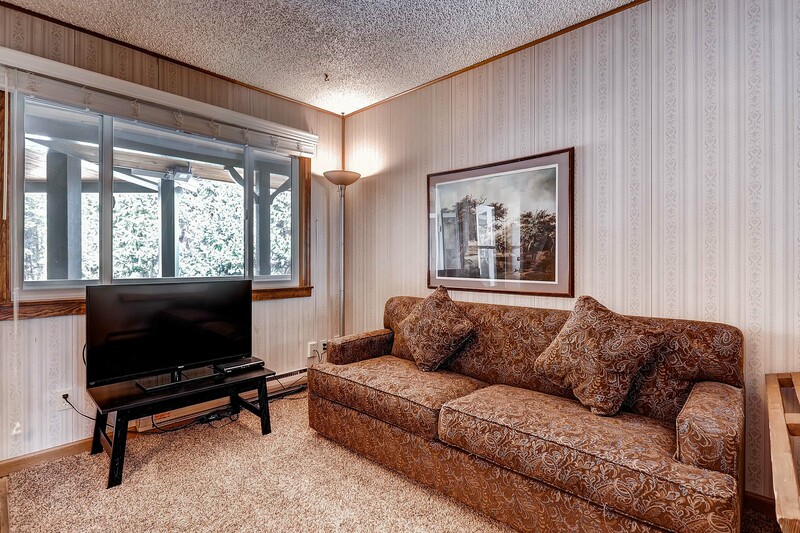 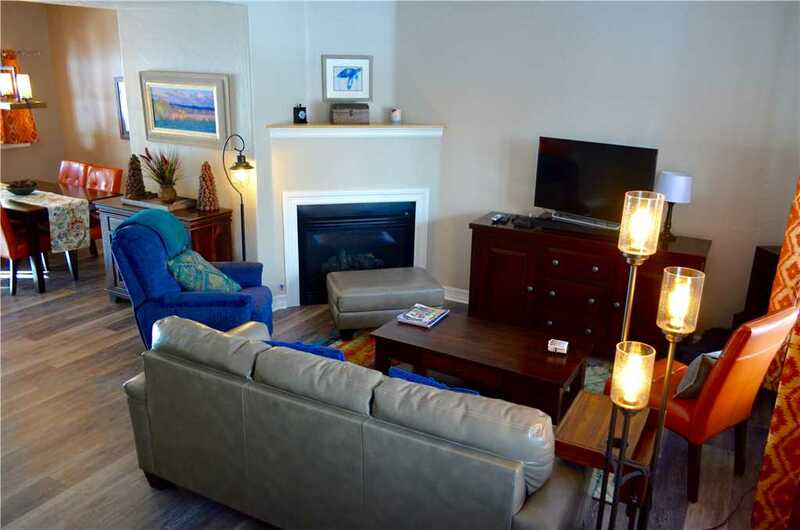 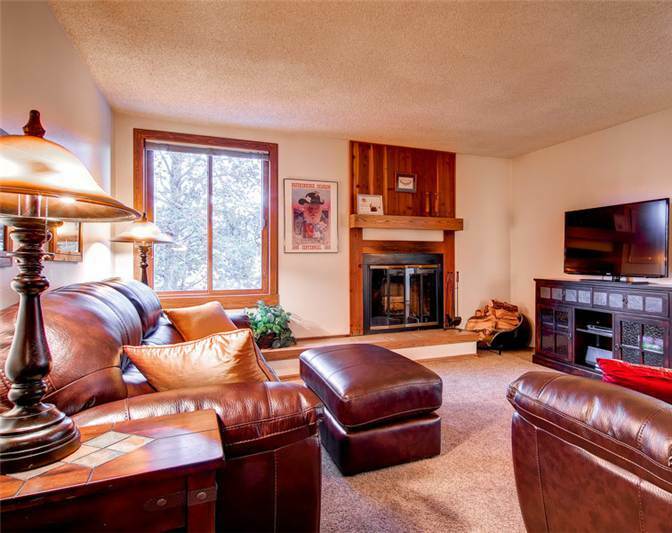 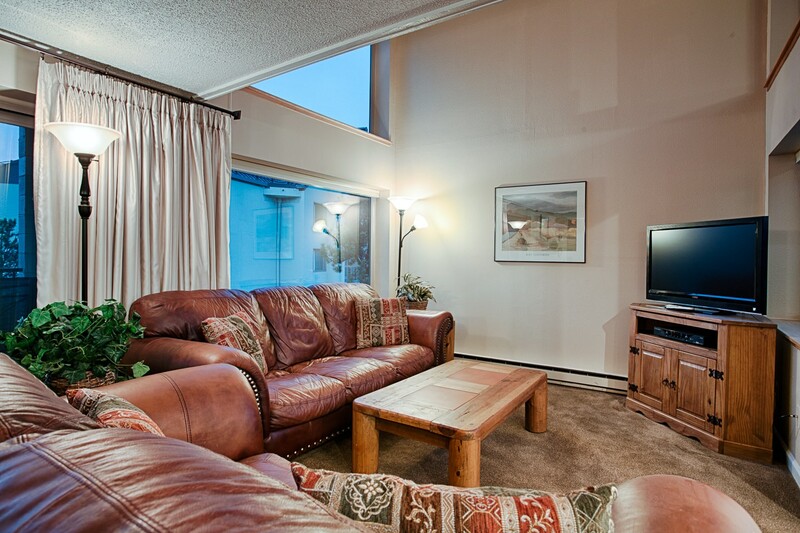 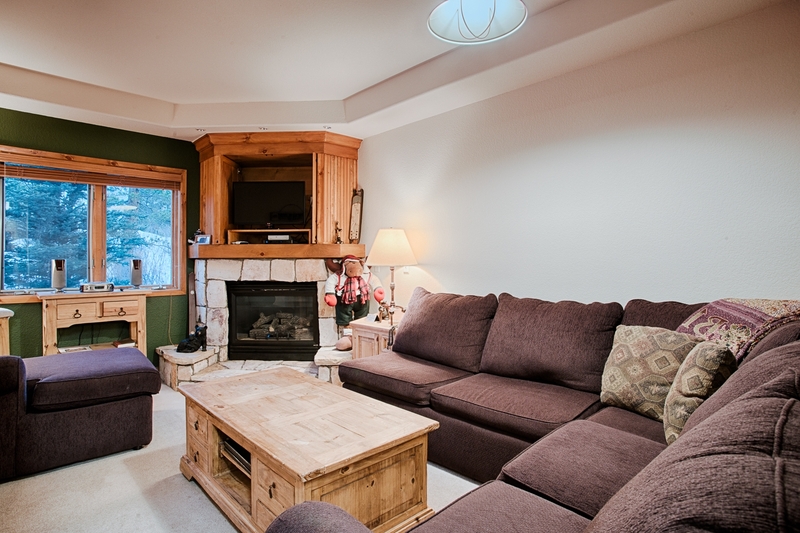 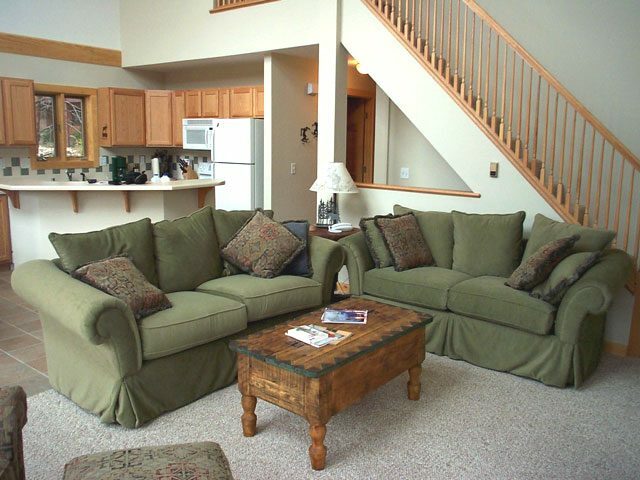 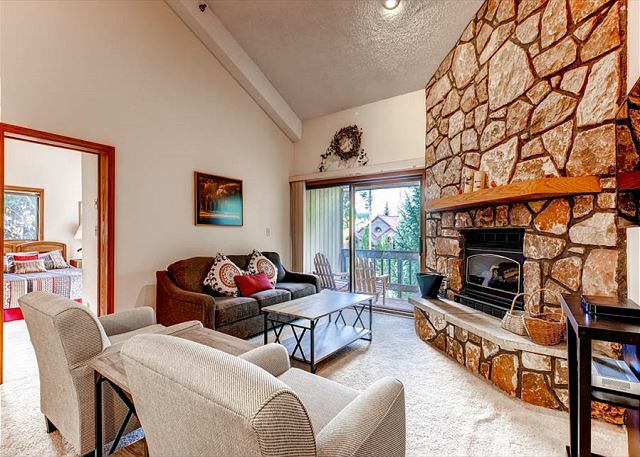 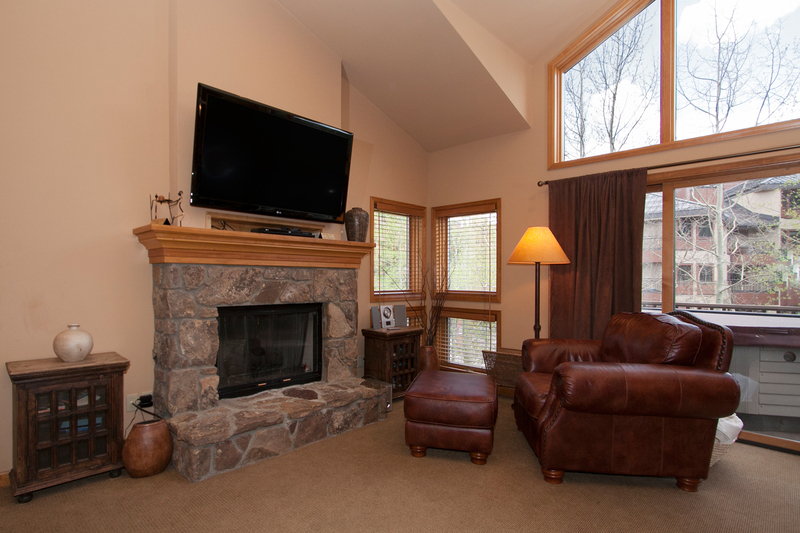 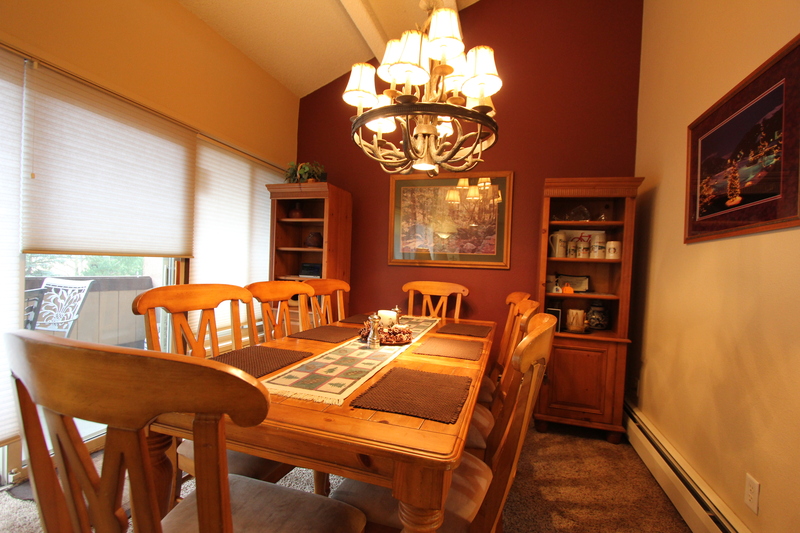 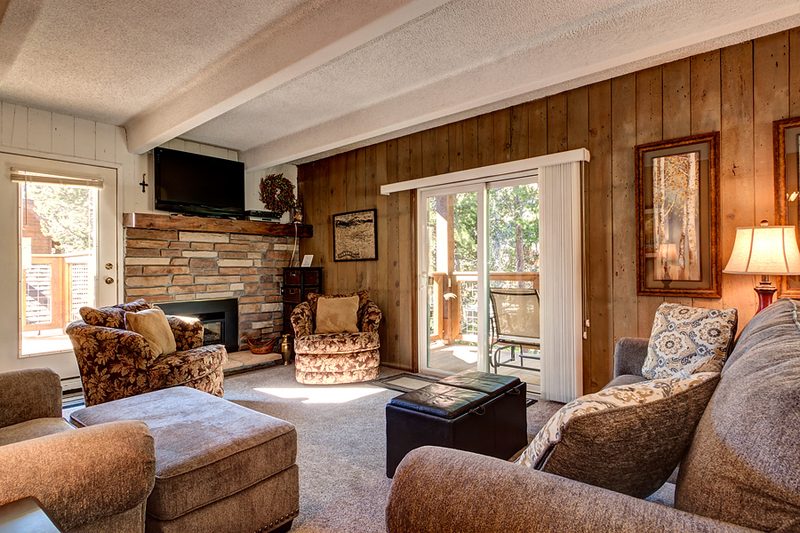 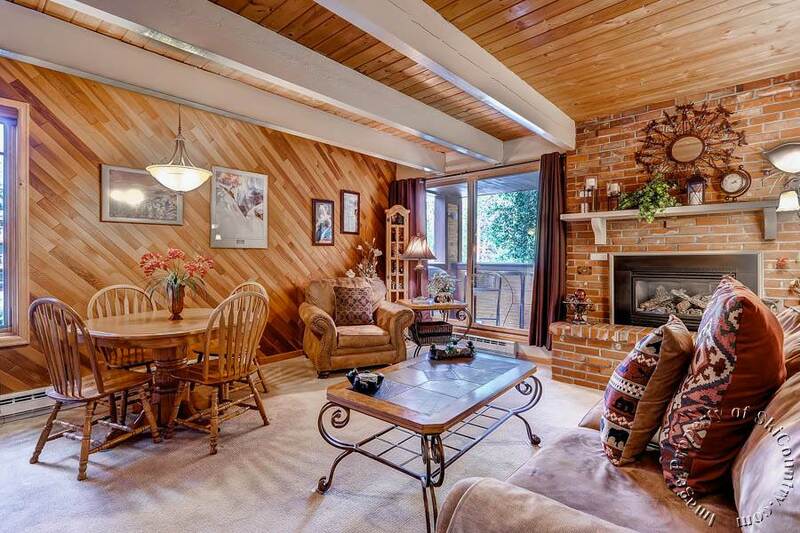 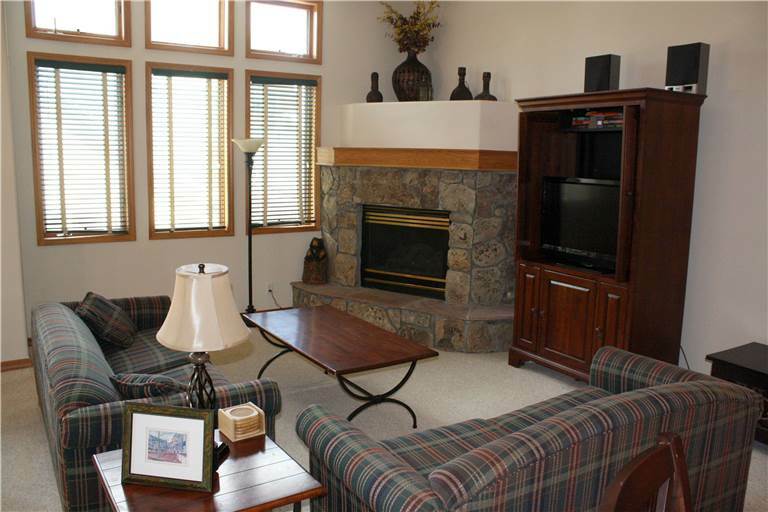 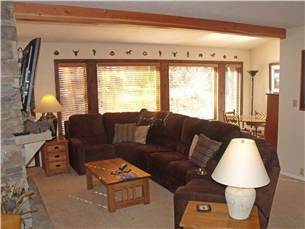 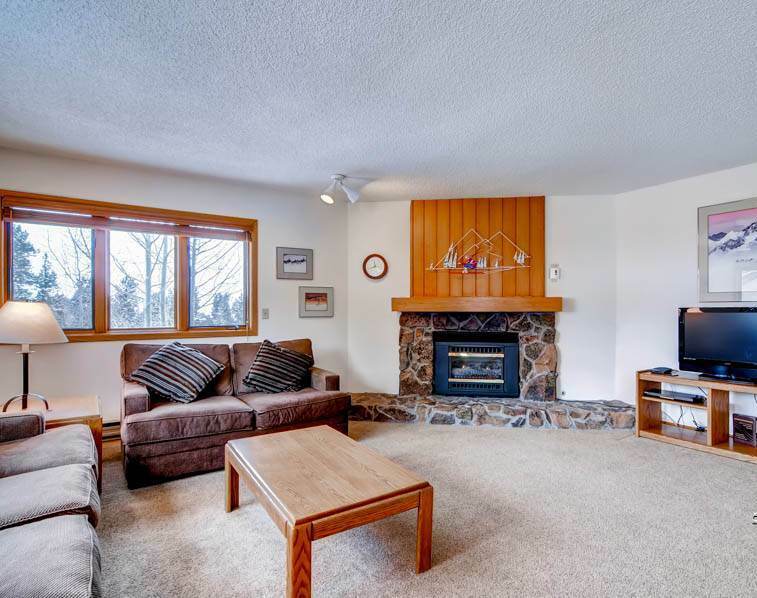 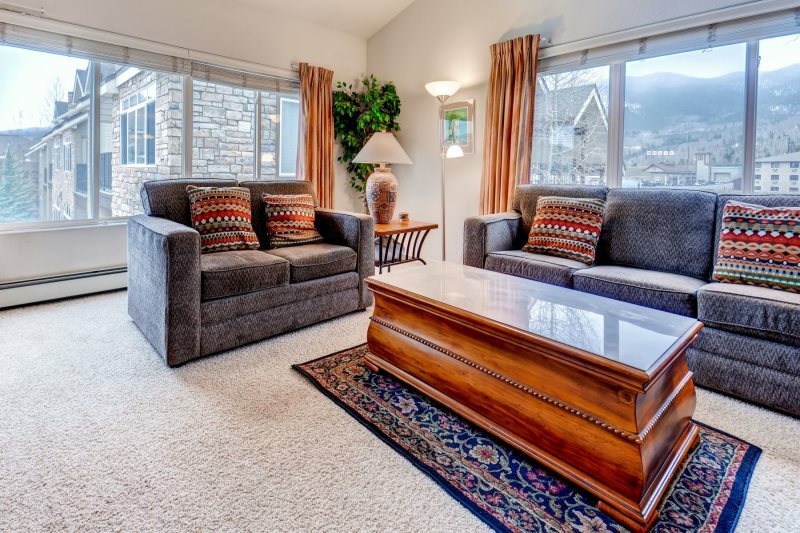 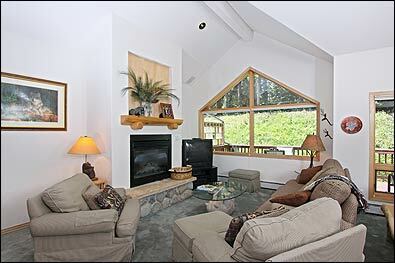 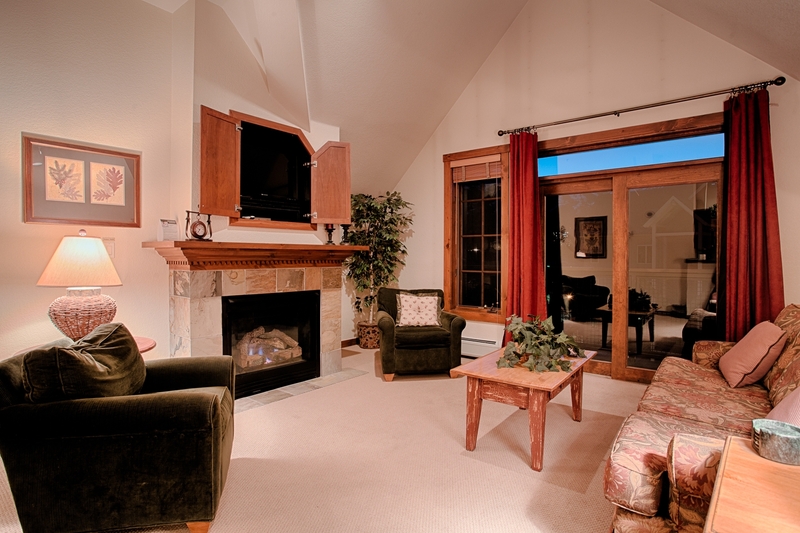 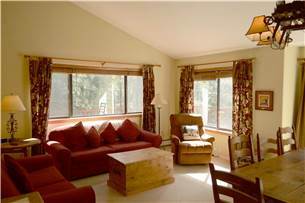 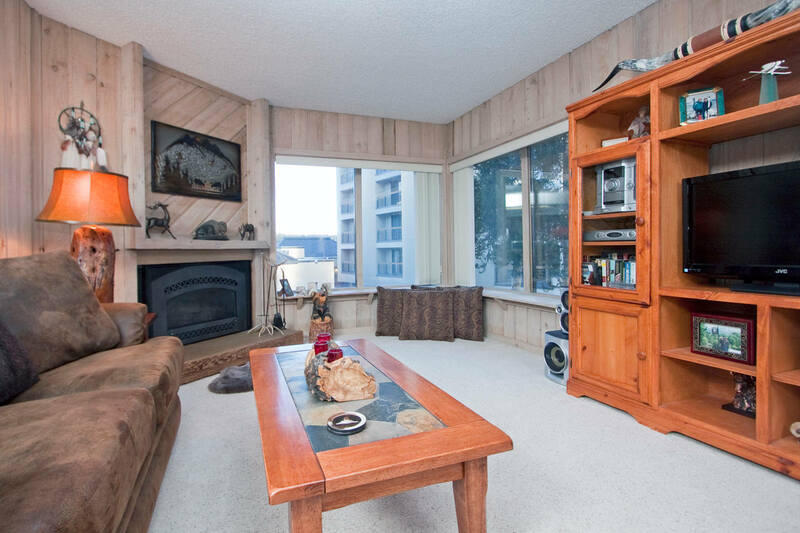 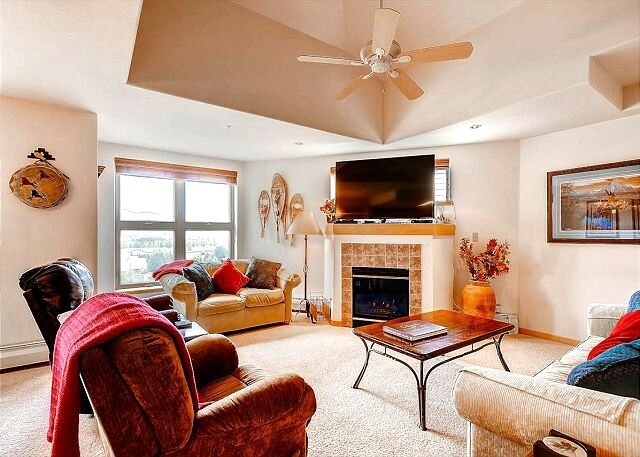 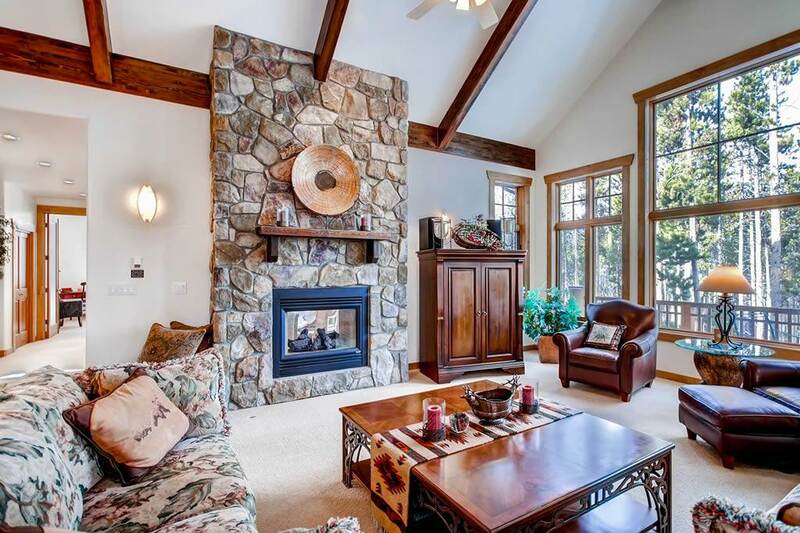 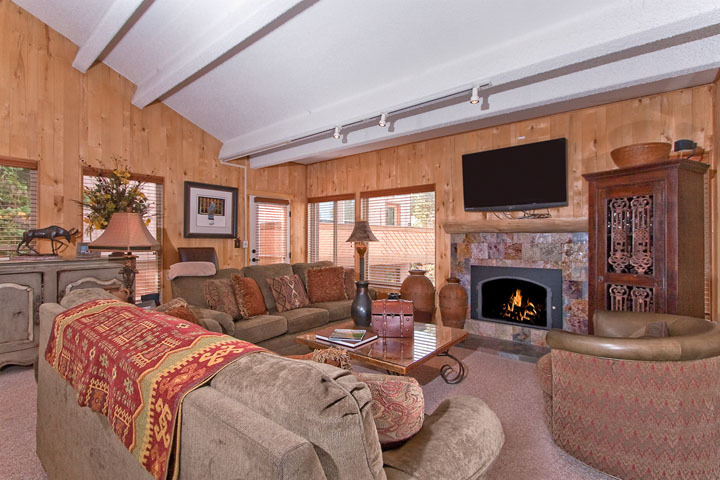 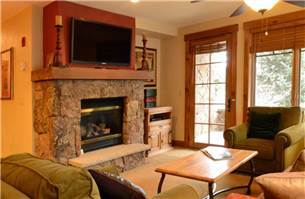 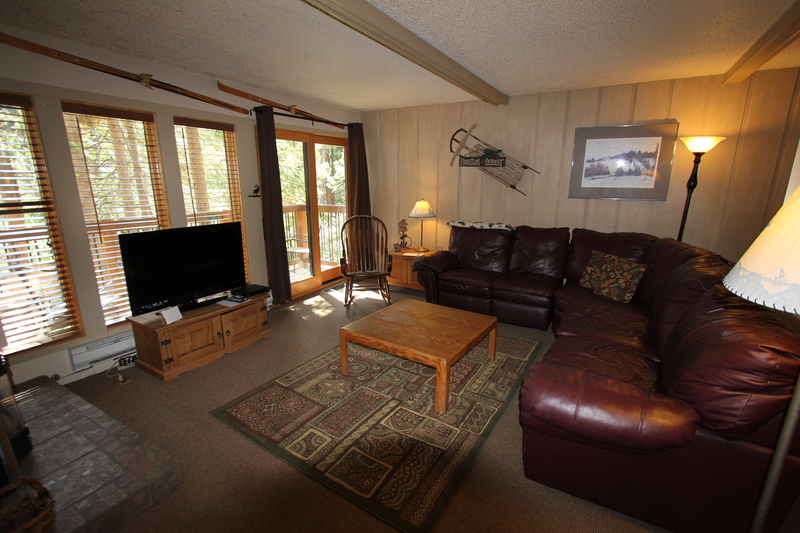 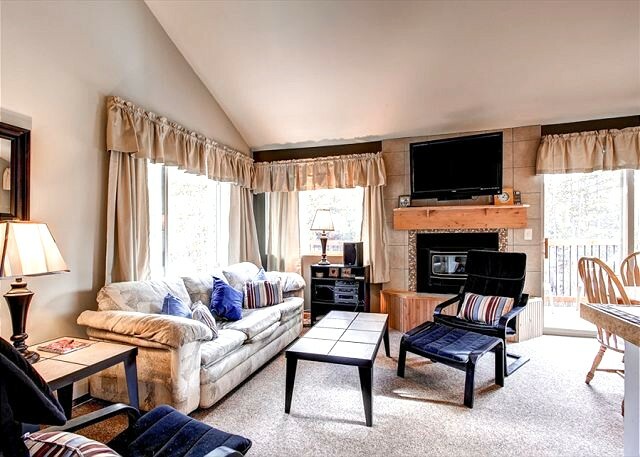 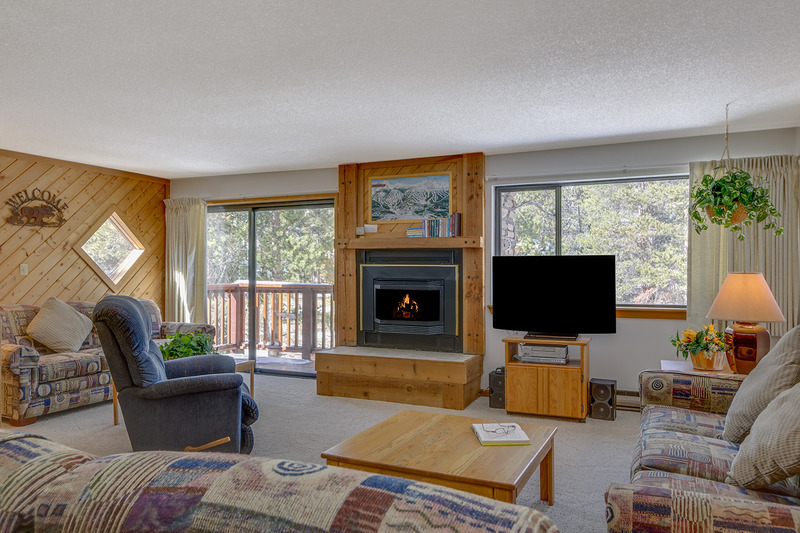 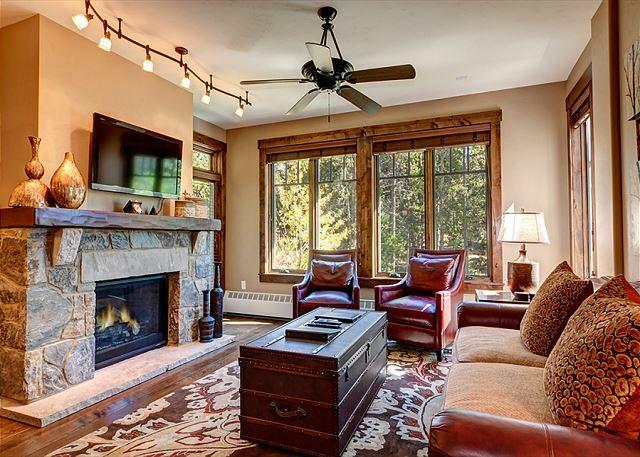 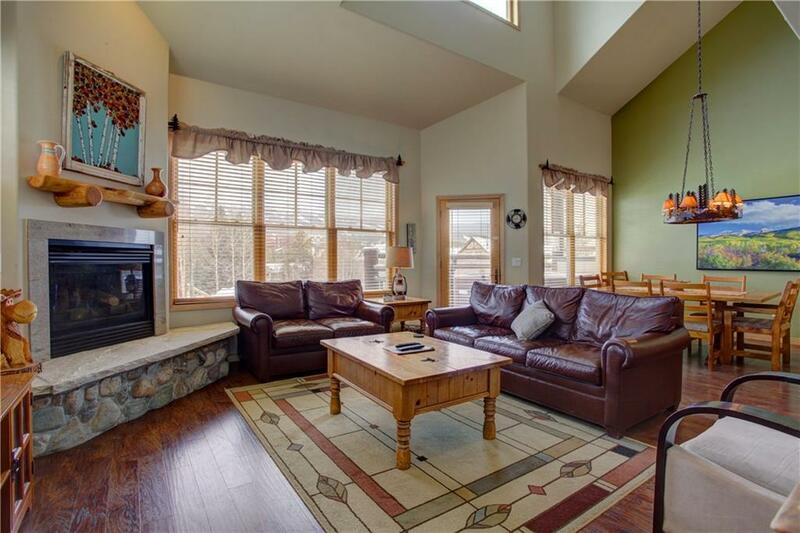 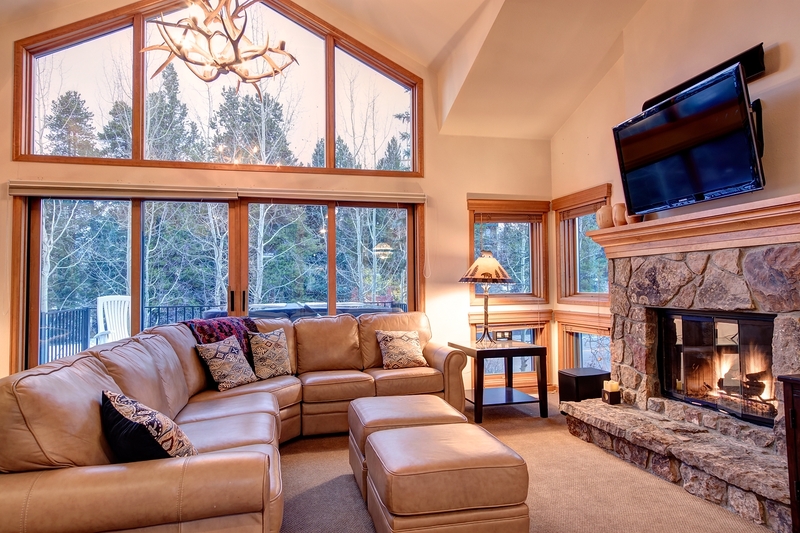 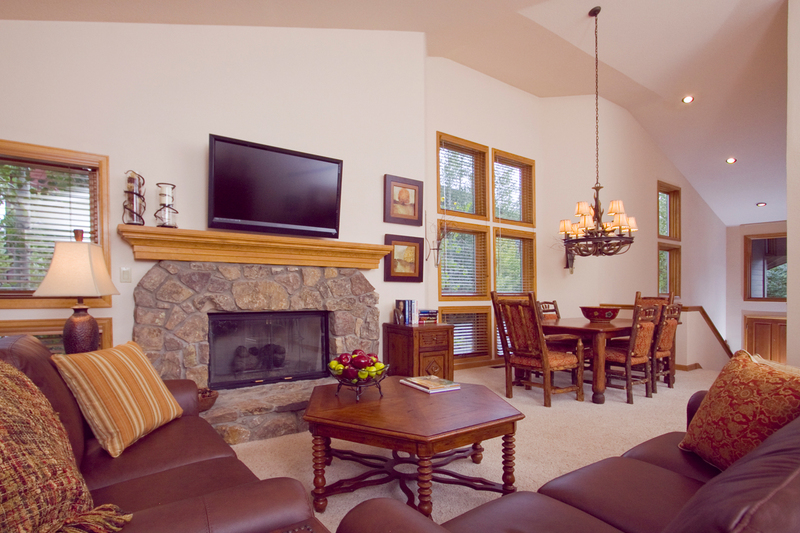 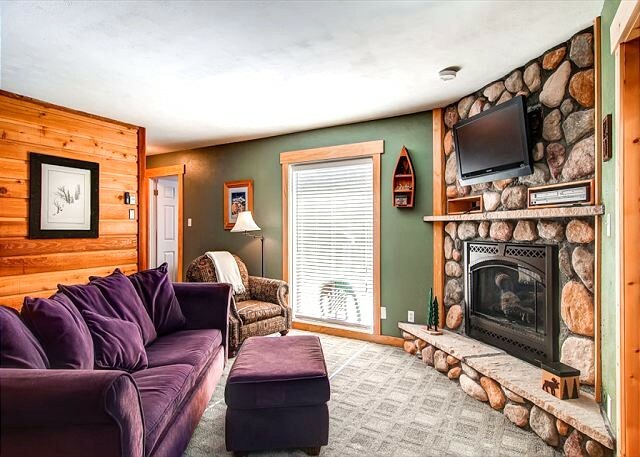 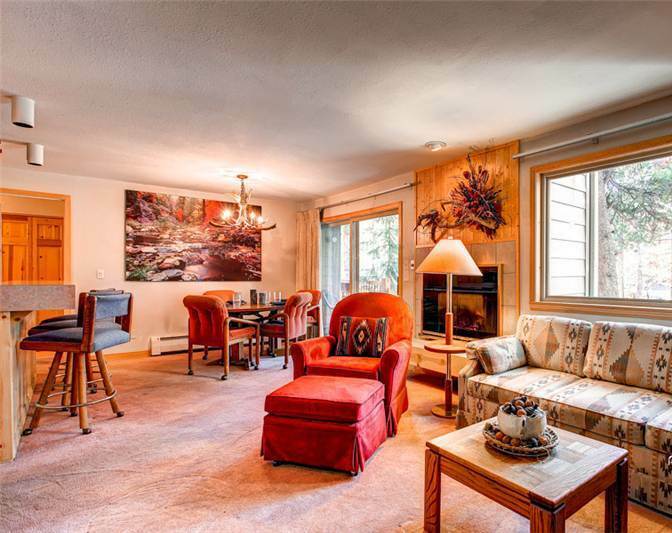 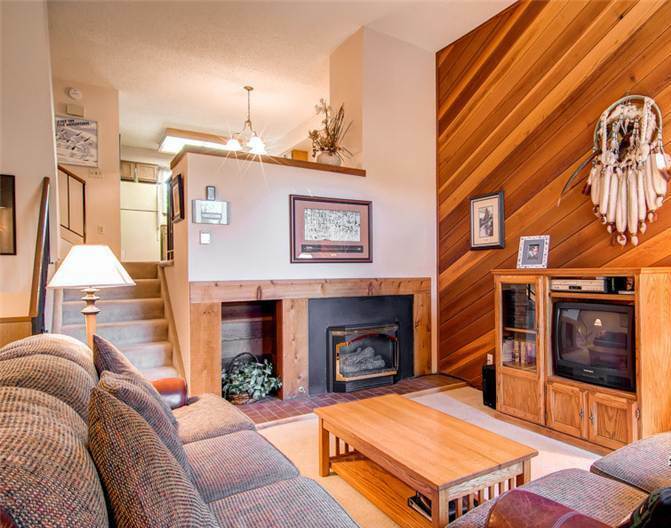 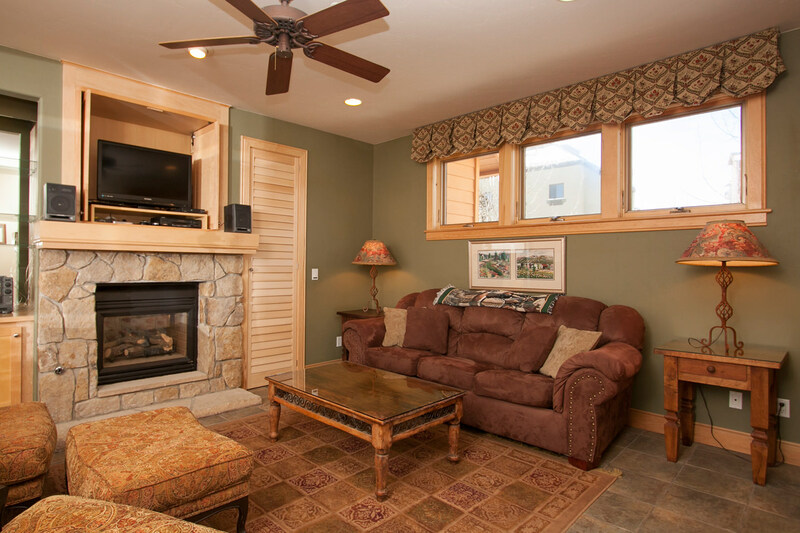 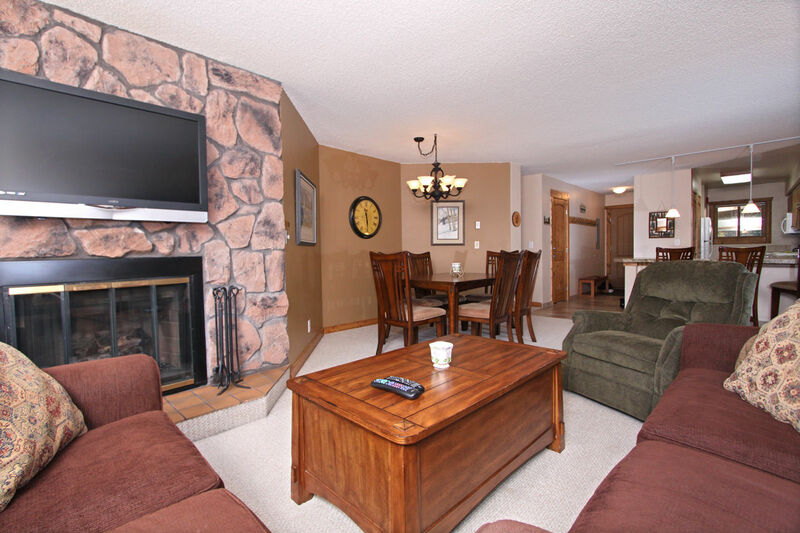 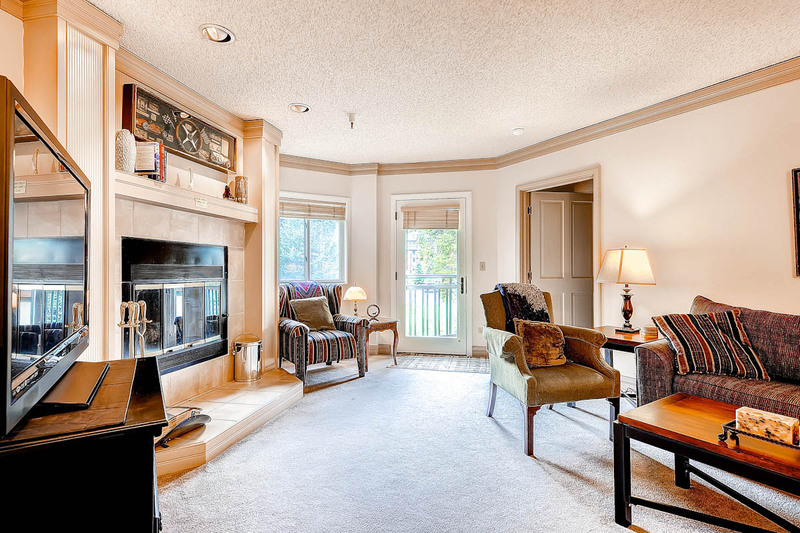 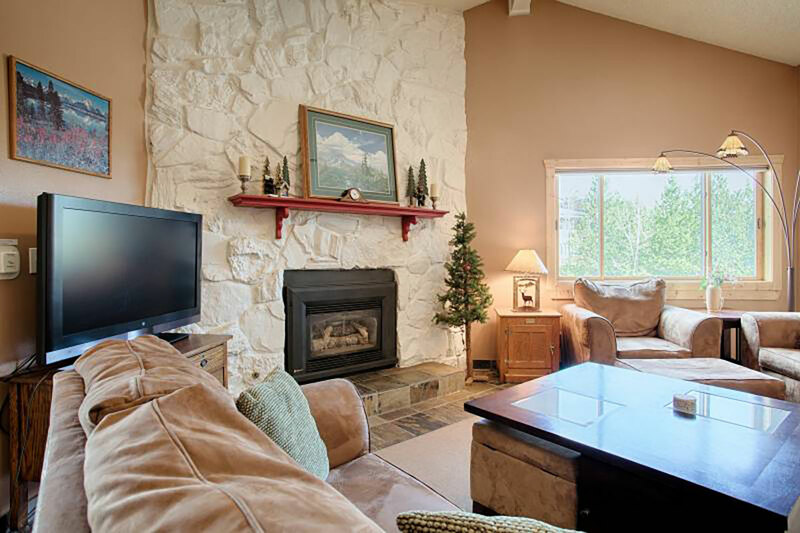 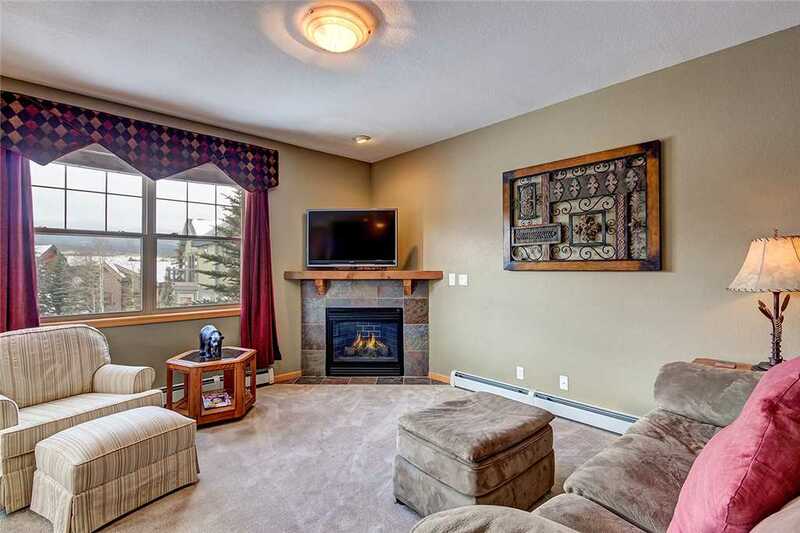 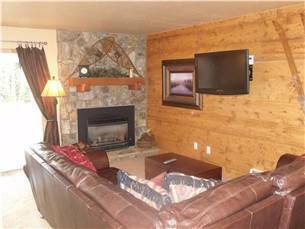 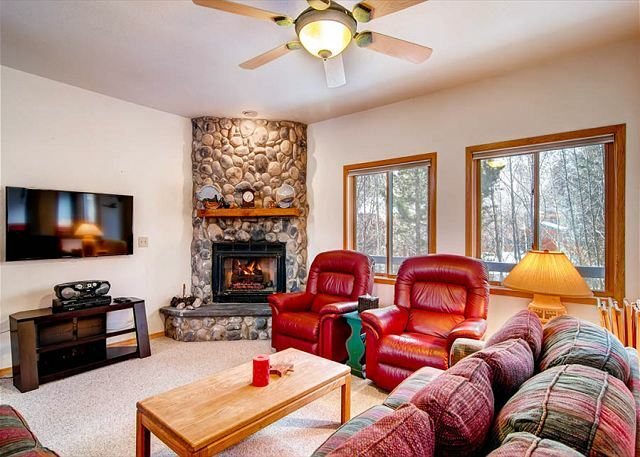 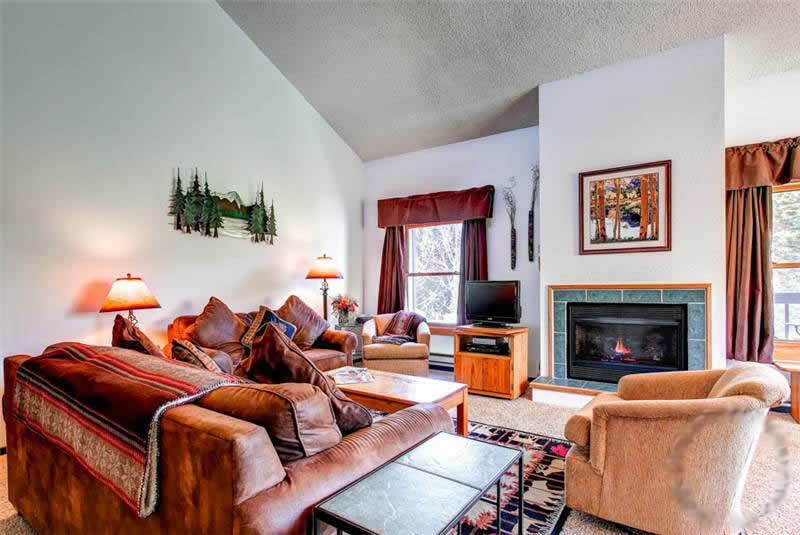 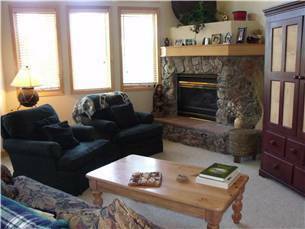 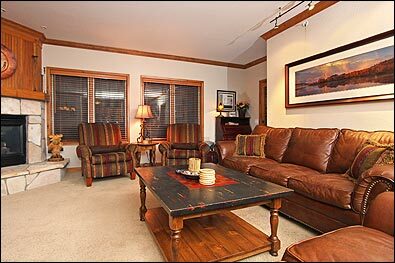 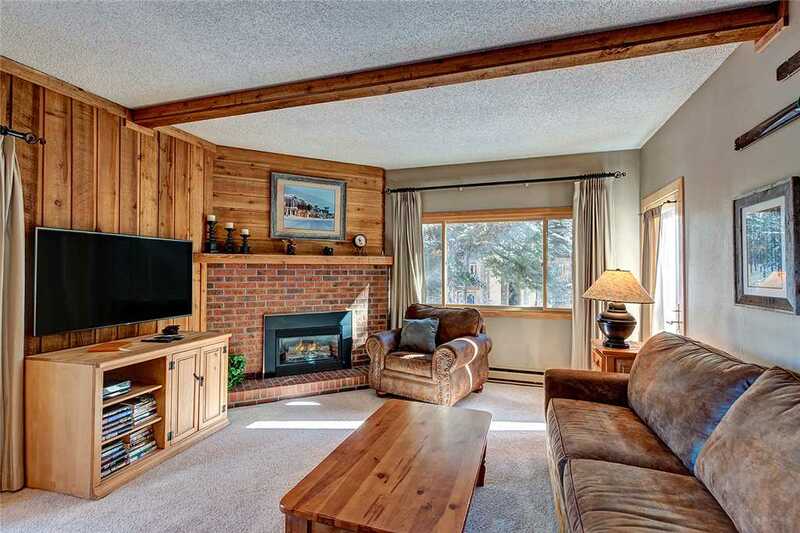 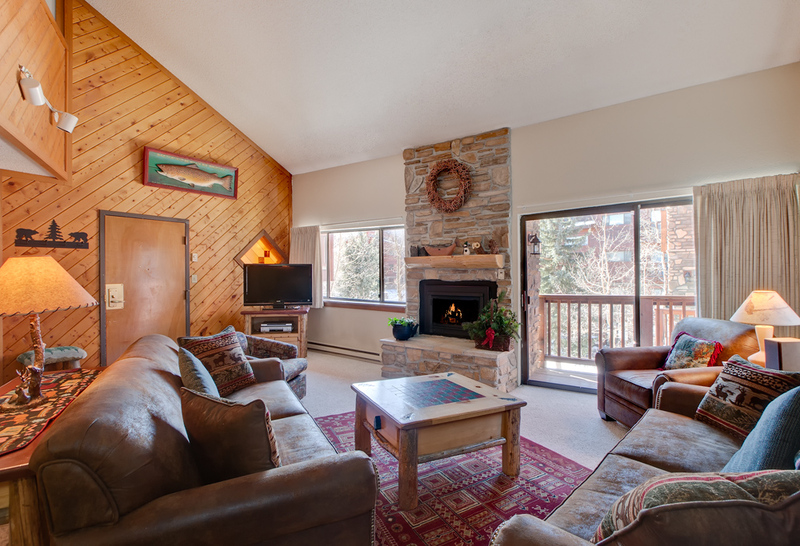 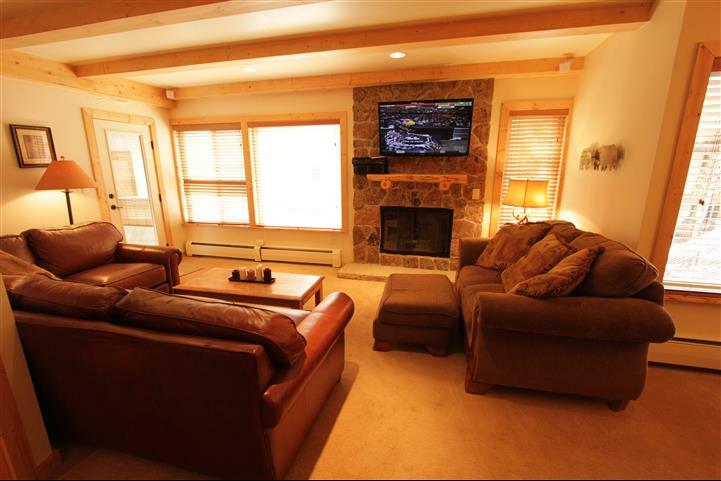 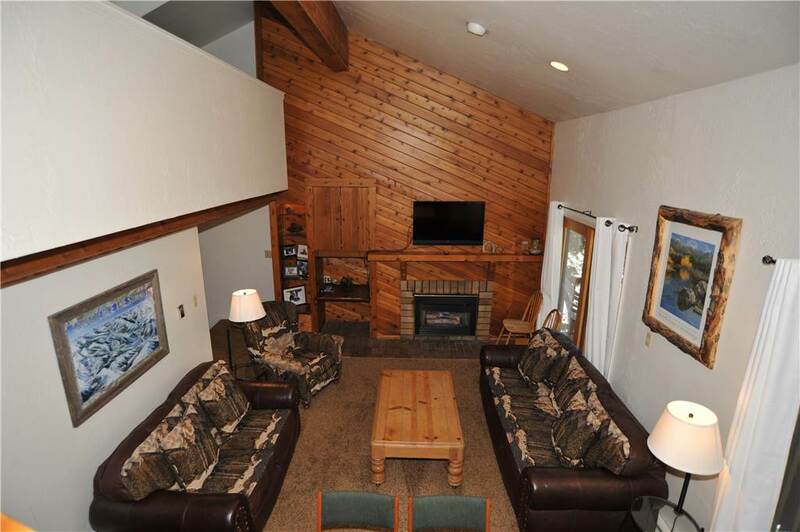 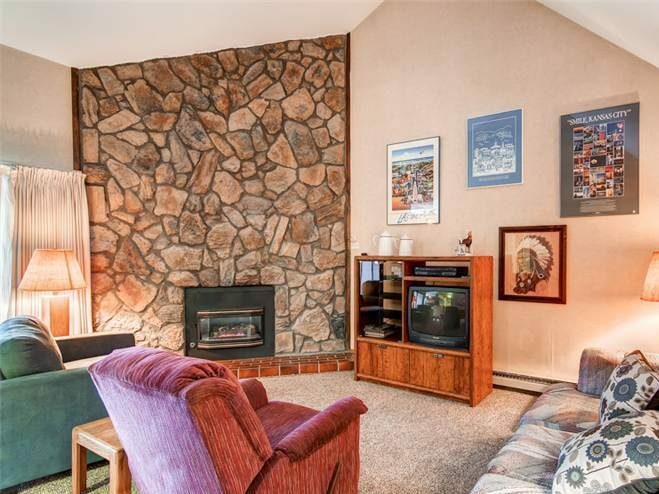 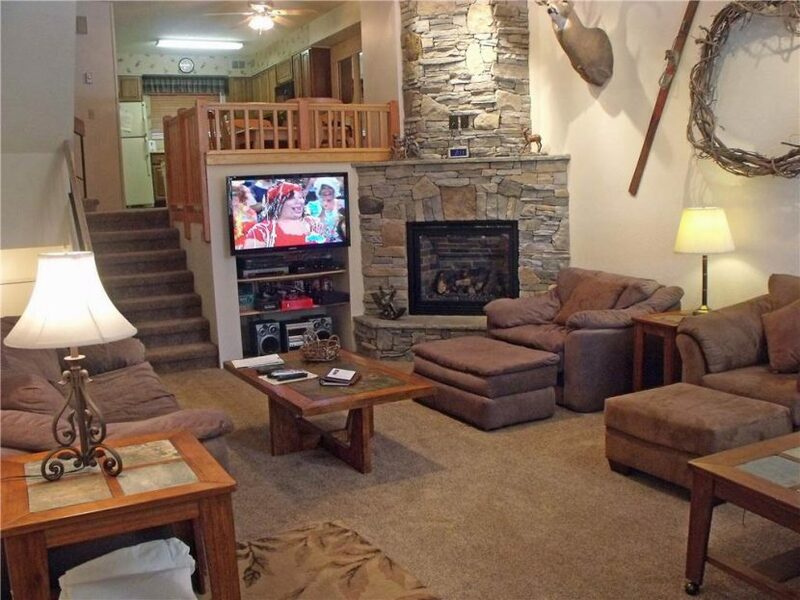 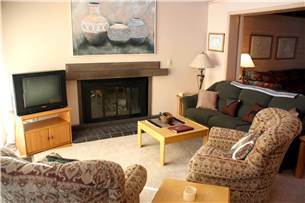 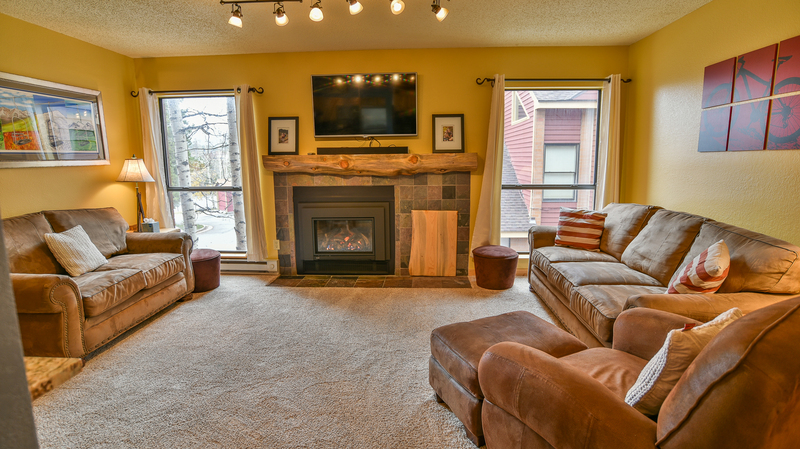 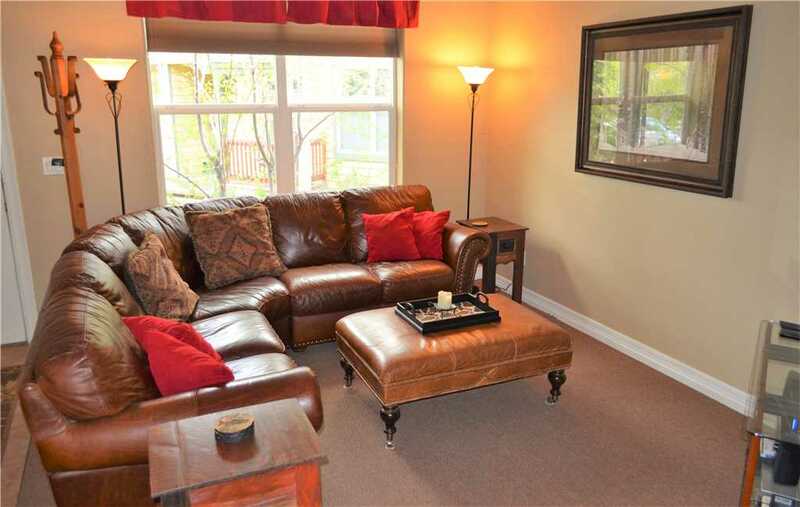 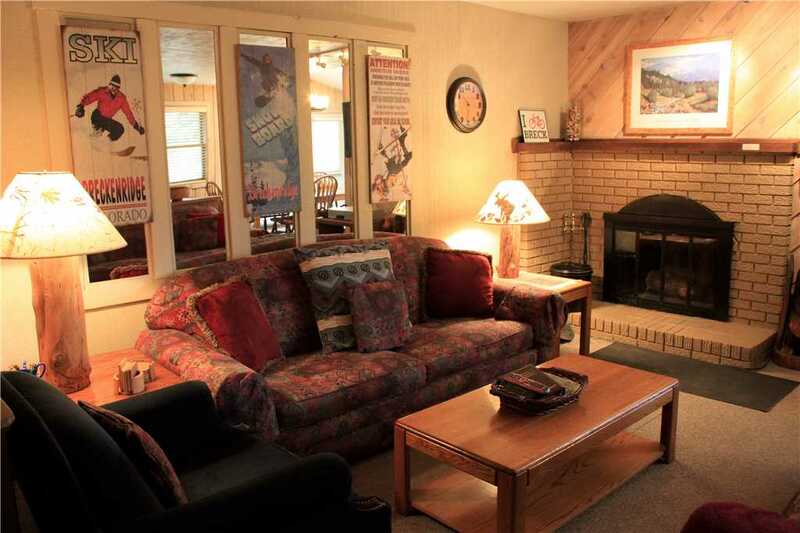 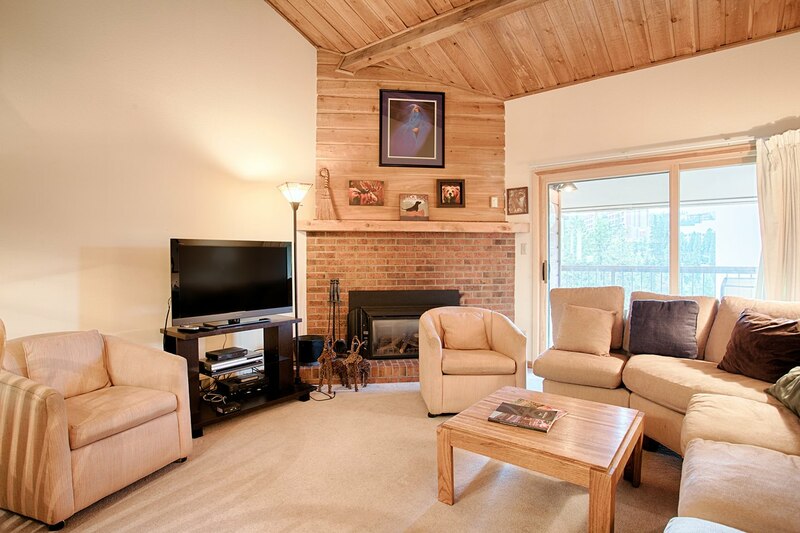 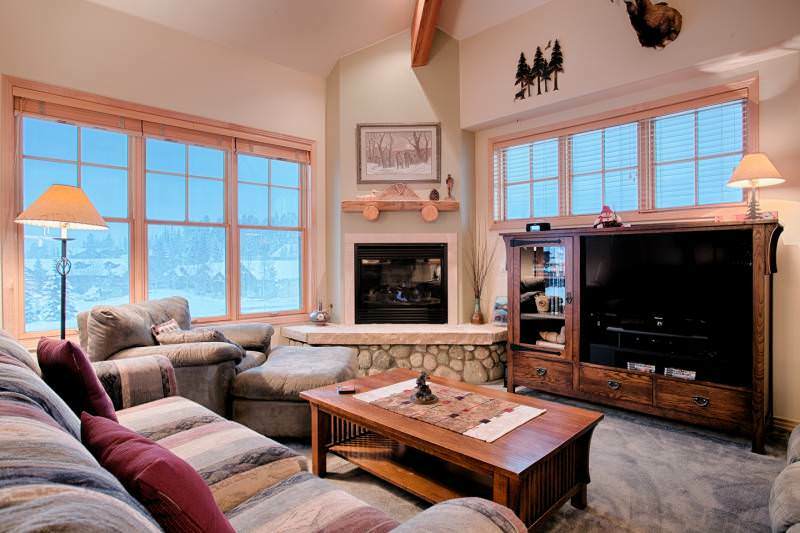 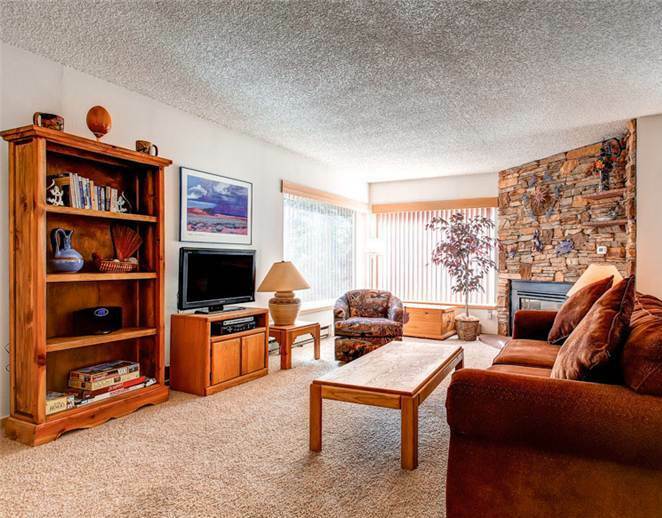 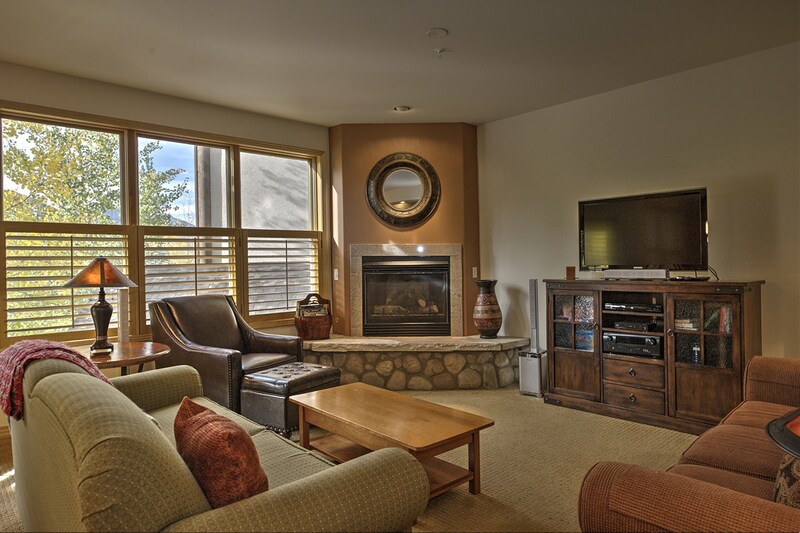 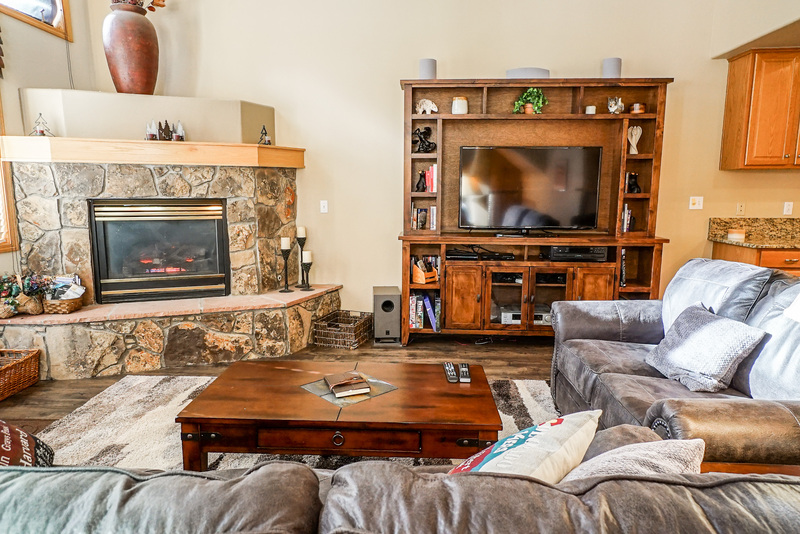 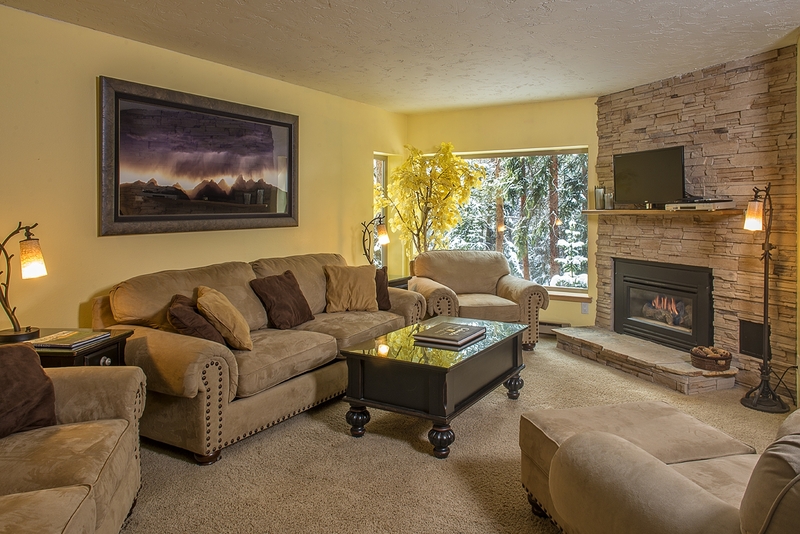 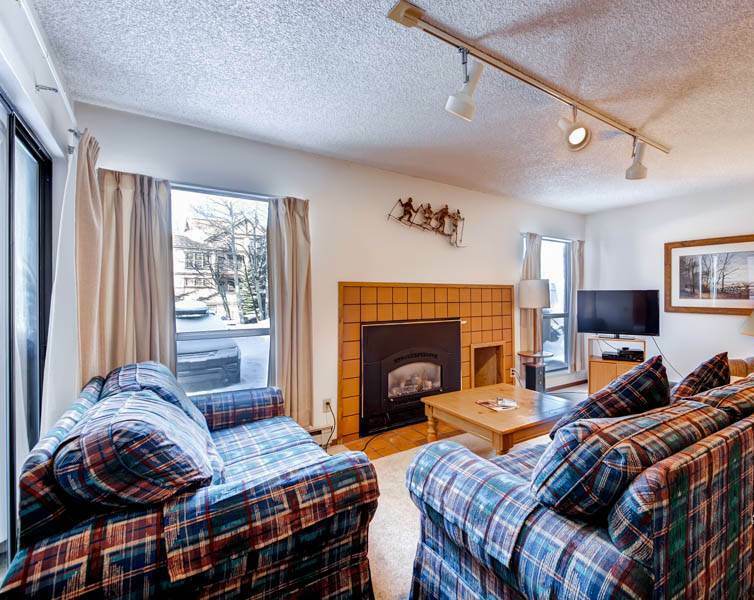 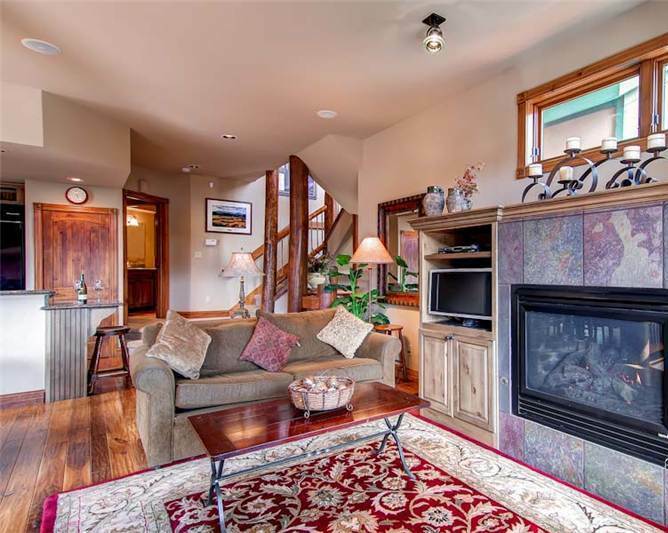 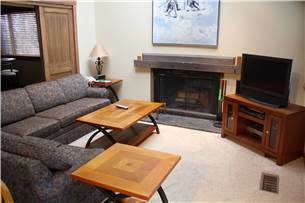 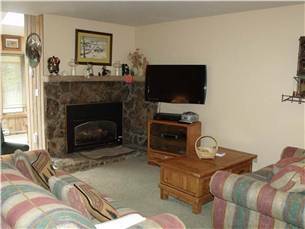 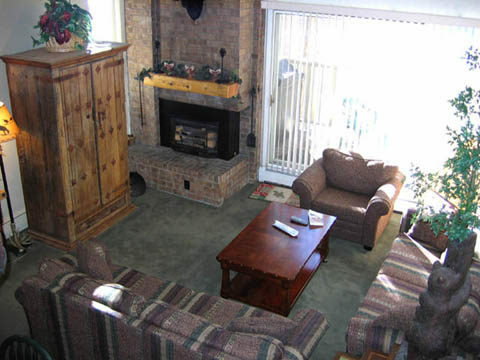 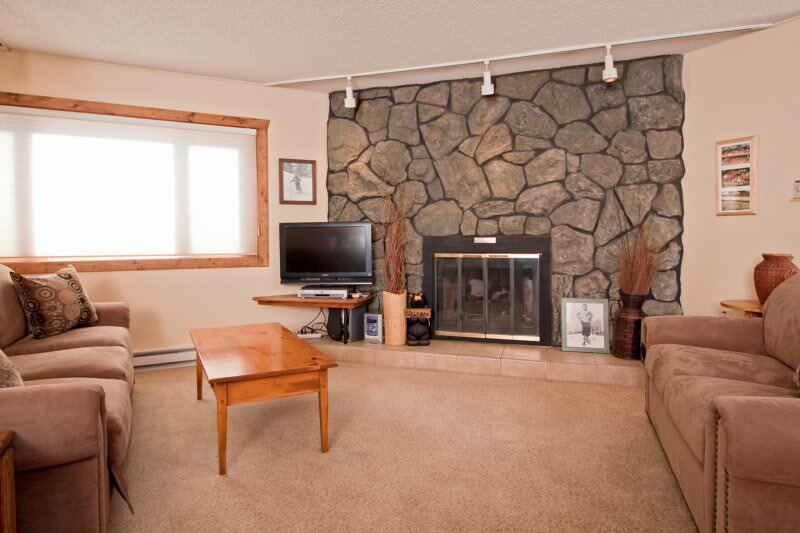 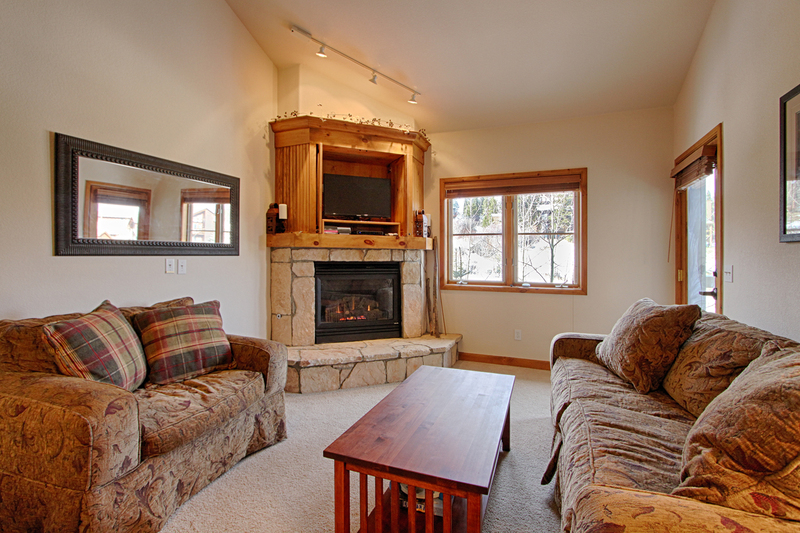 Put your feet up in the living area by the gas fireplace, or cozy up on the couch and watch a DVD on the flat screen. 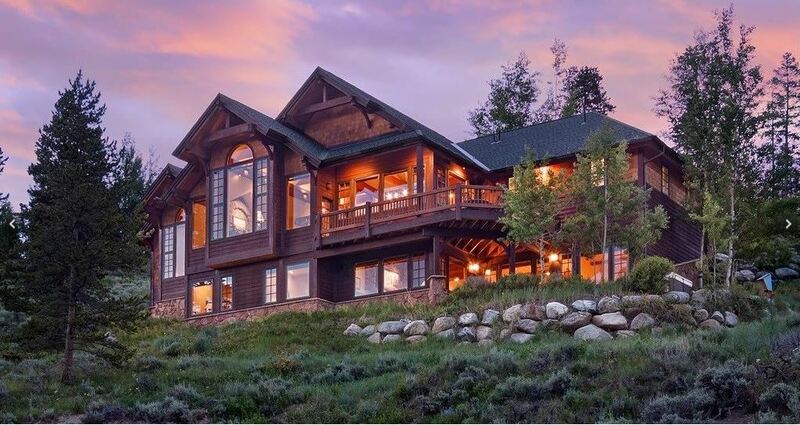 Whatever you choose, you will be absolutely content. 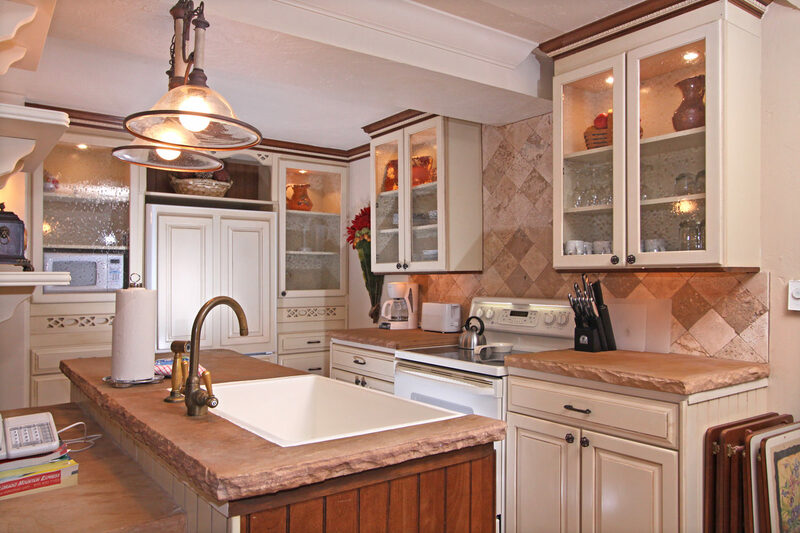 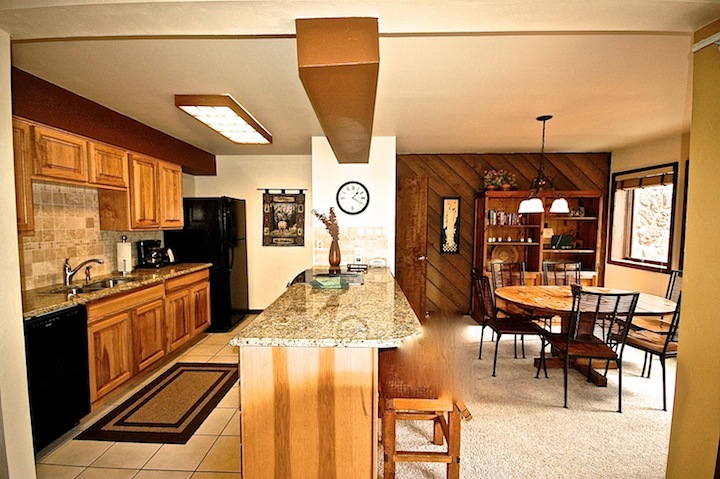 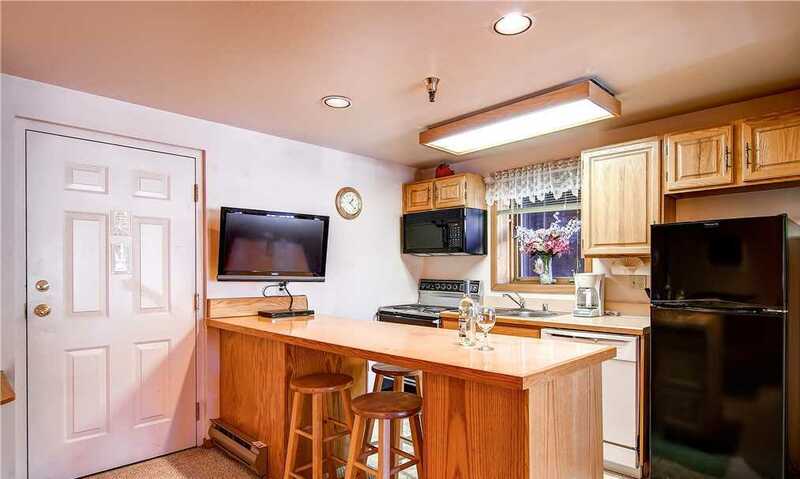 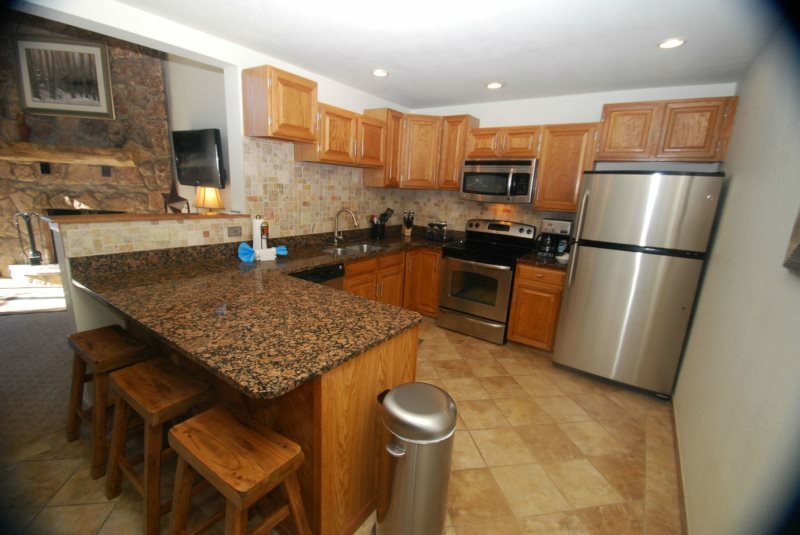 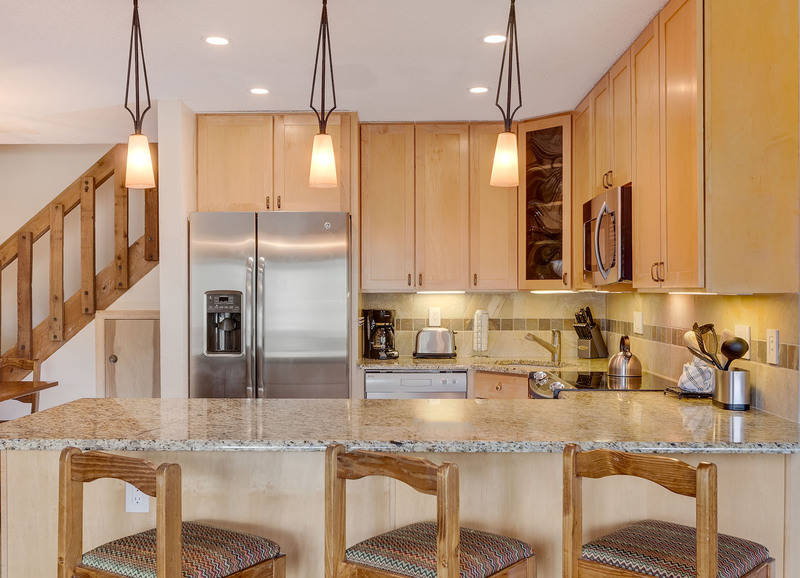 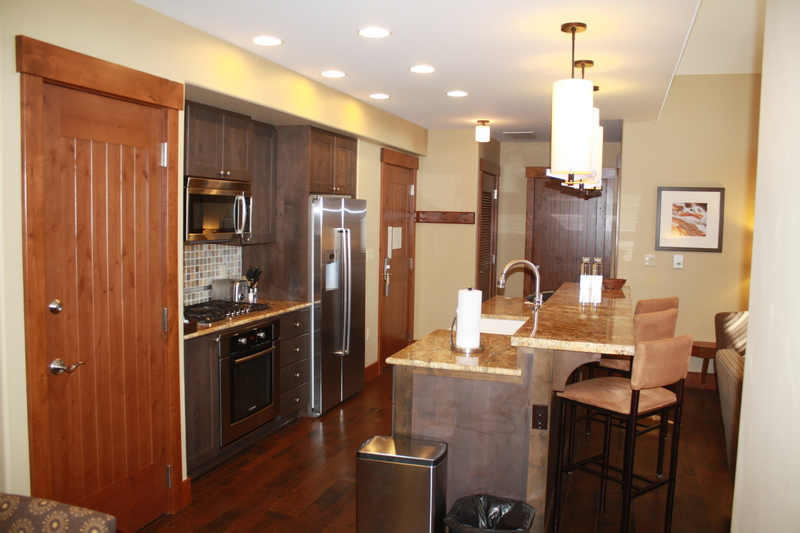 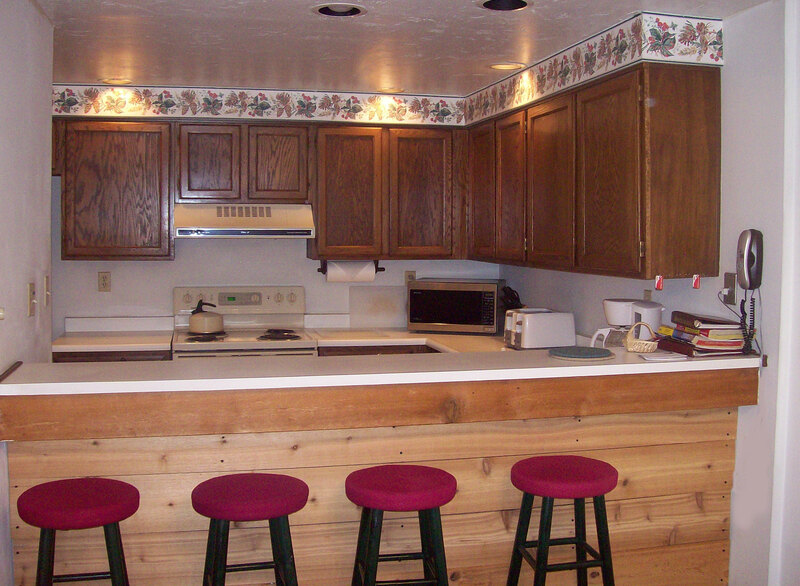 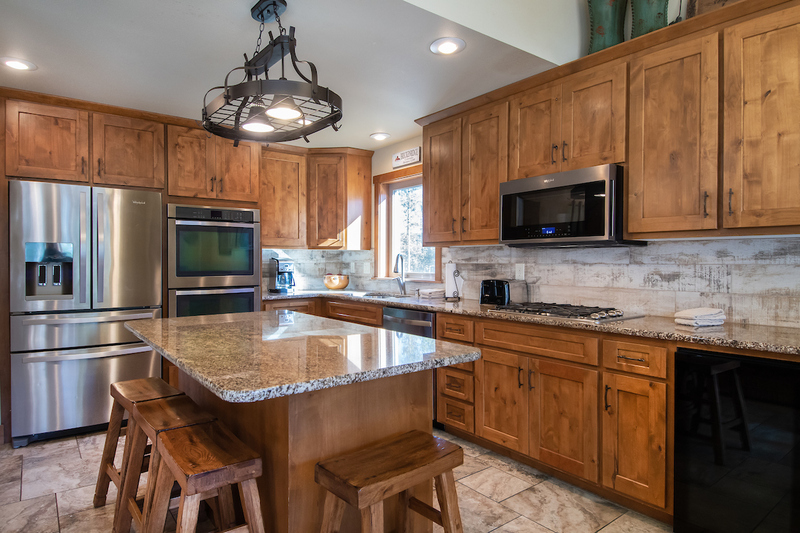 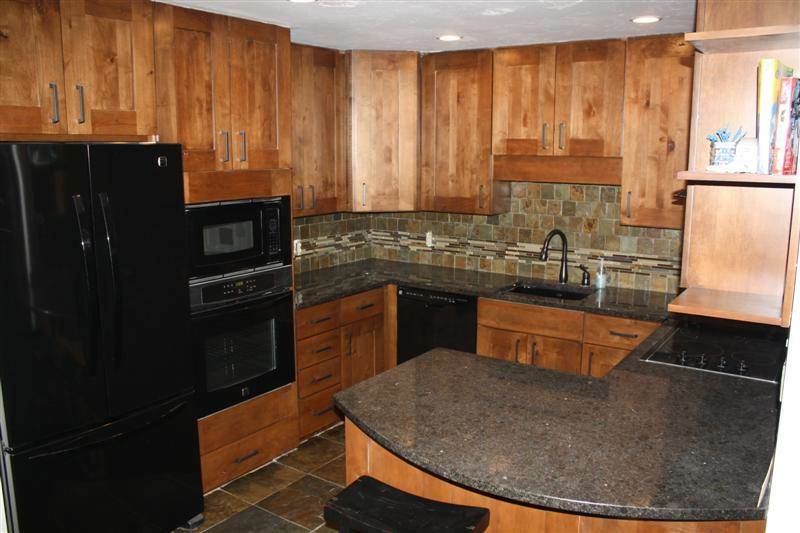 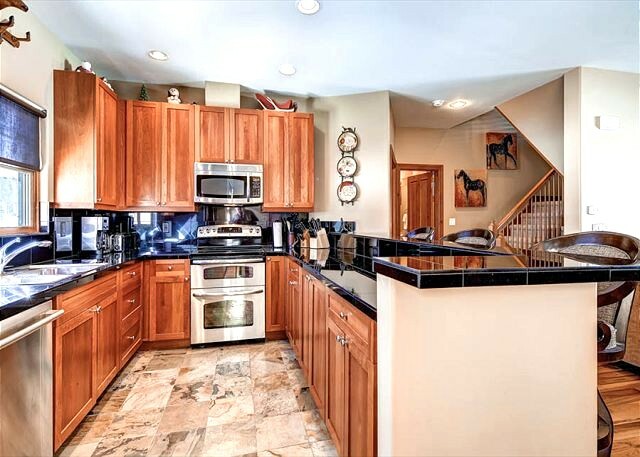 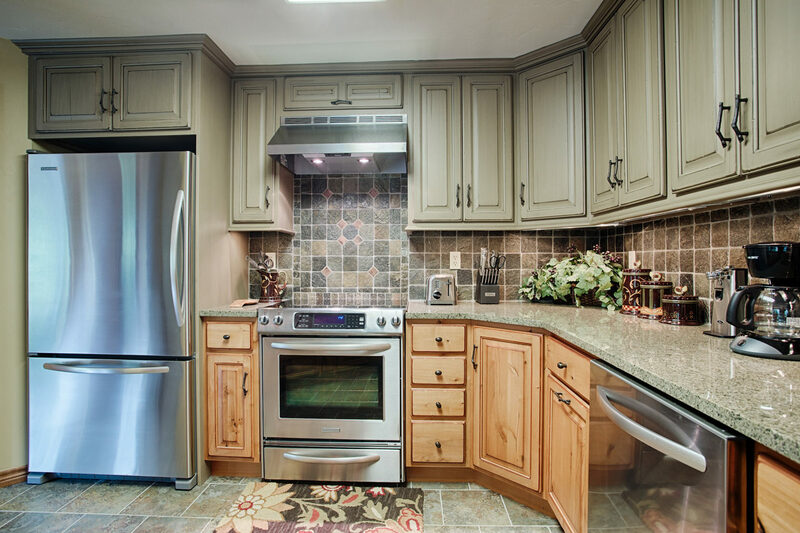 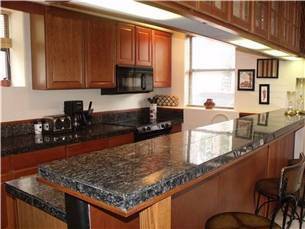 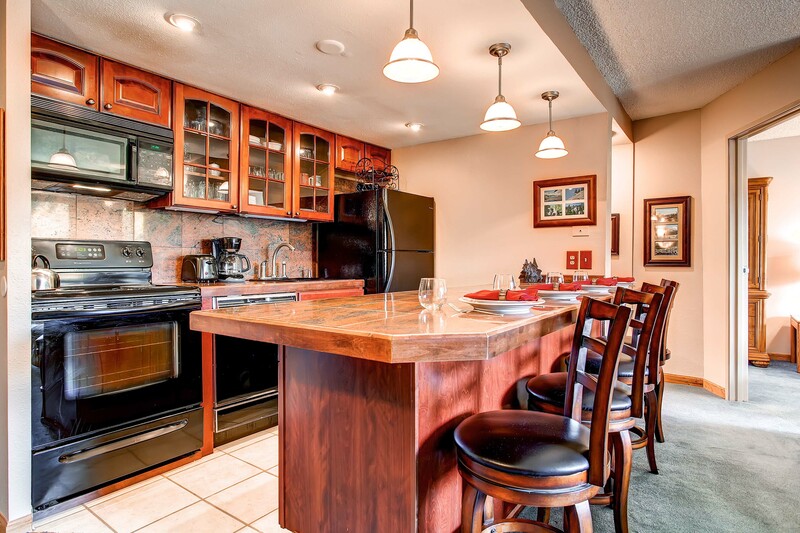 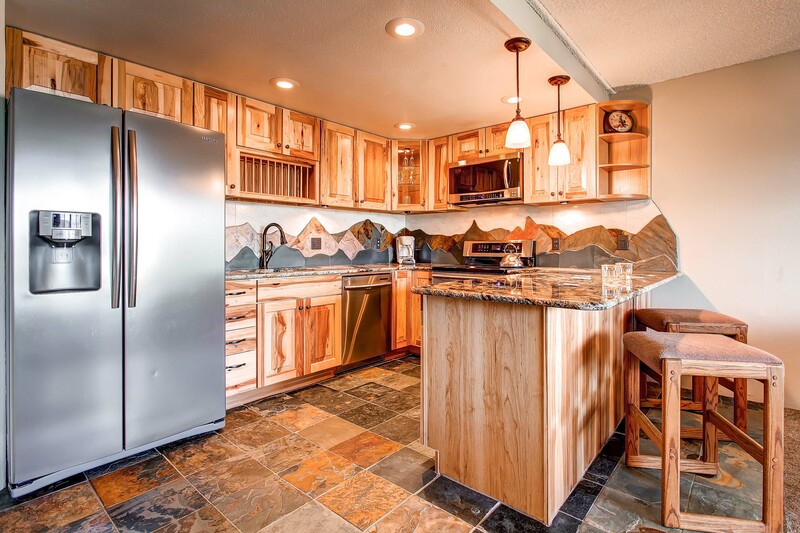 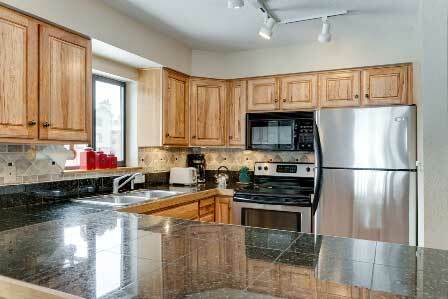 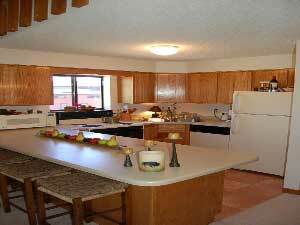 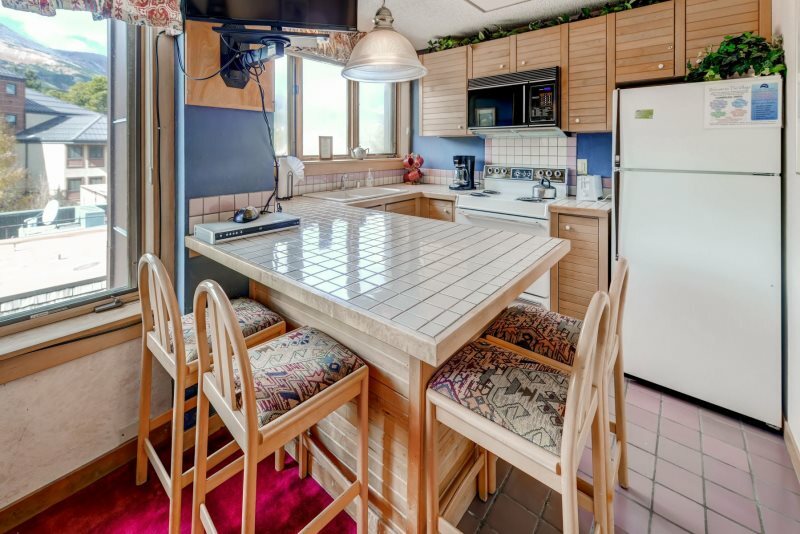 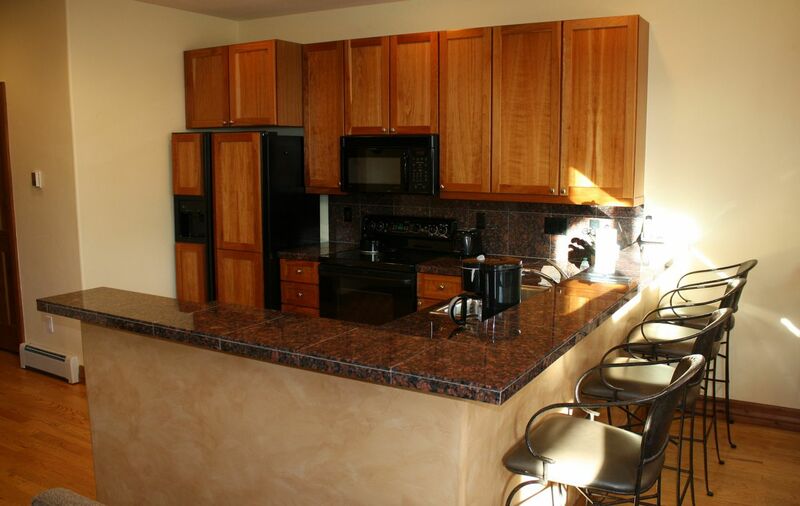 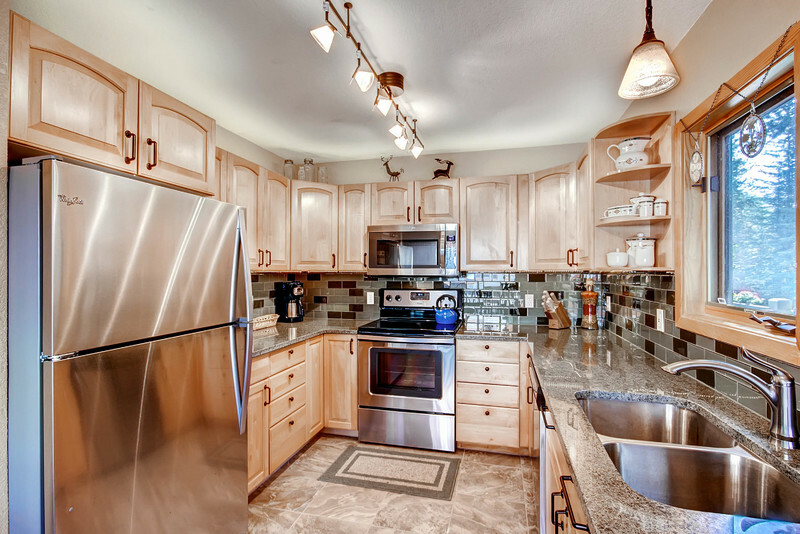 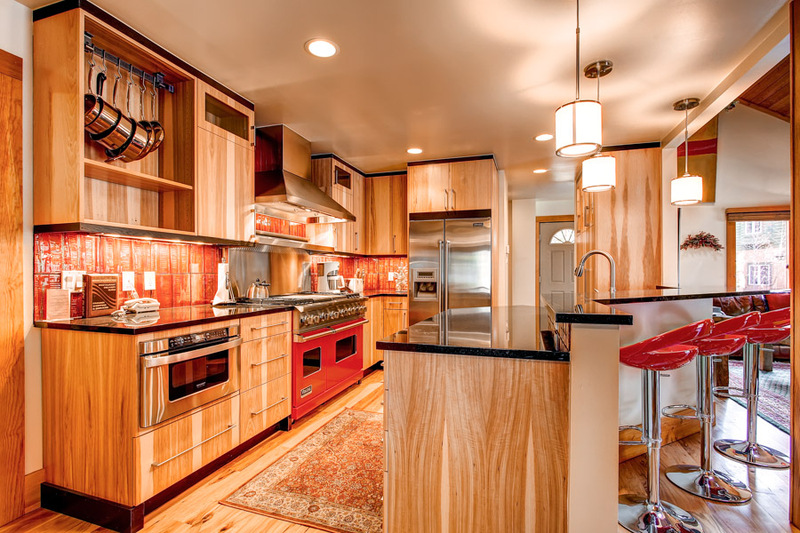 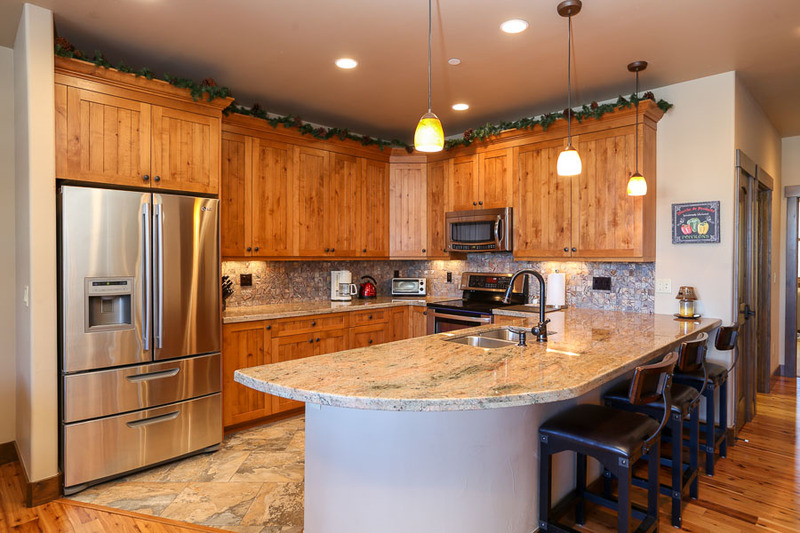 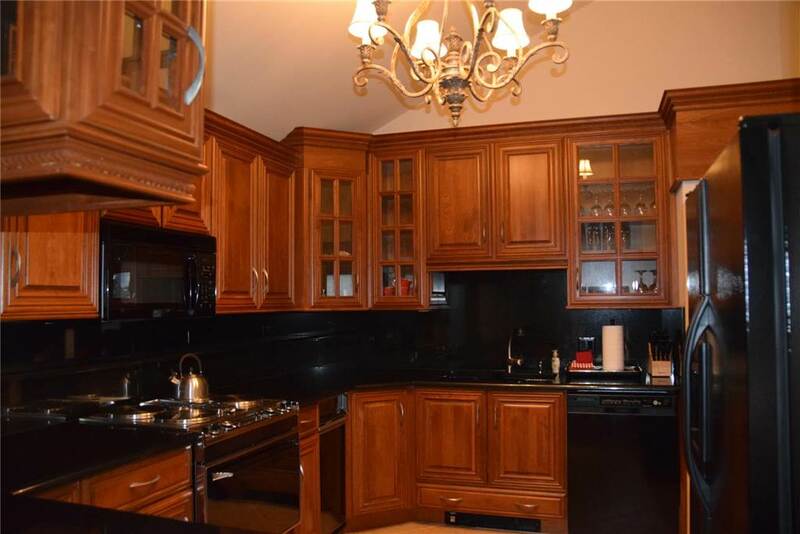 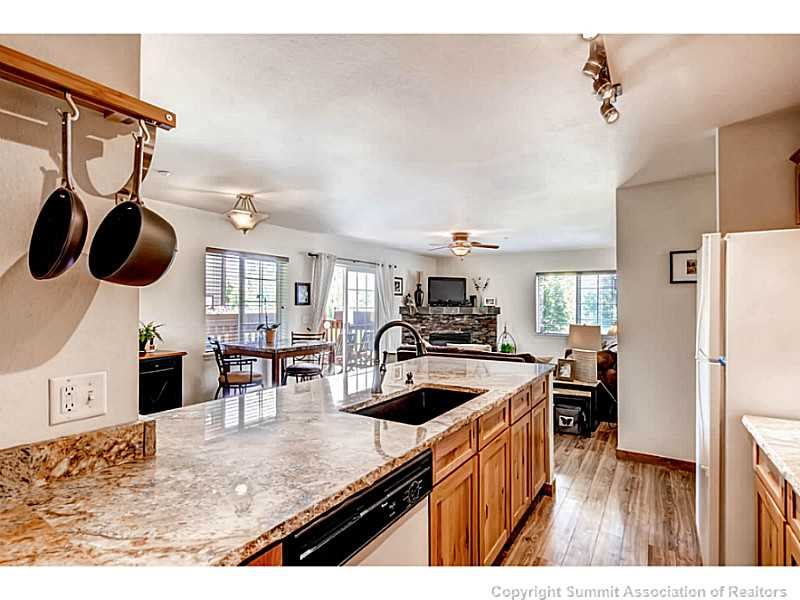 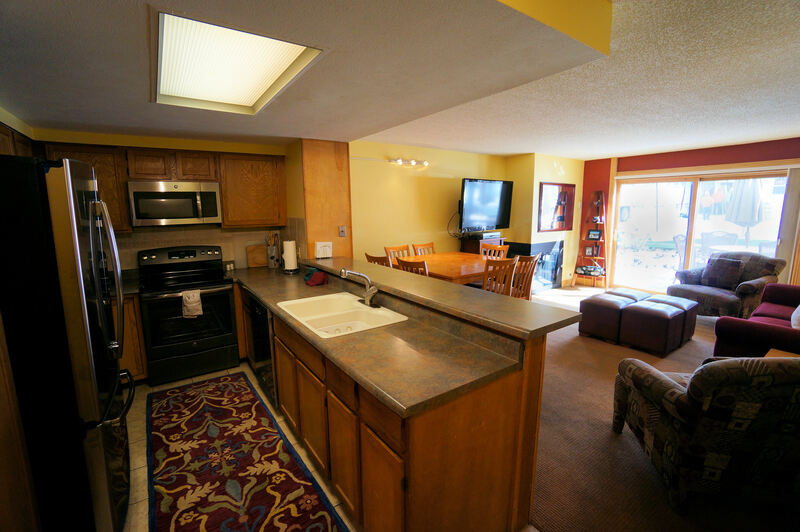 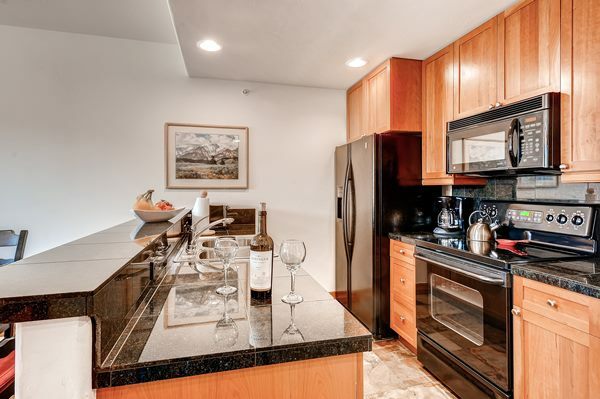 The open kitchen features granite counter tops with updated appliances and the dining area has seating for nine. 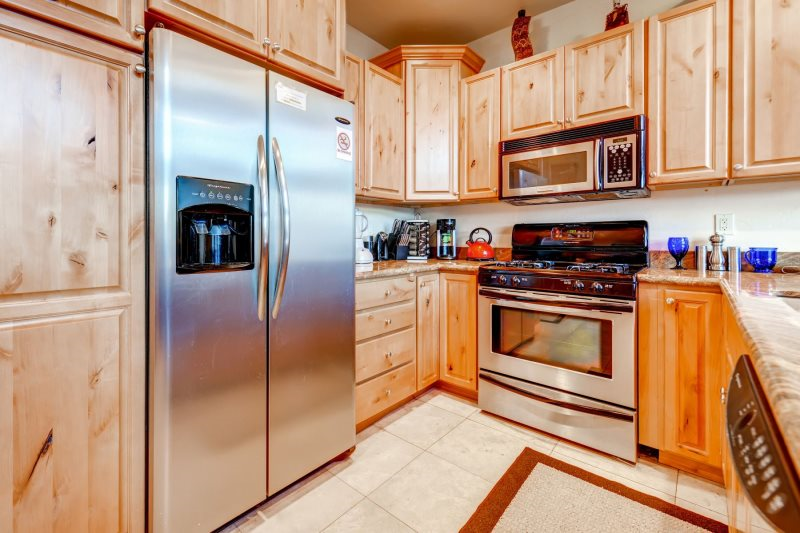 Don’t forget about the private washer and dryer to make your life easier. 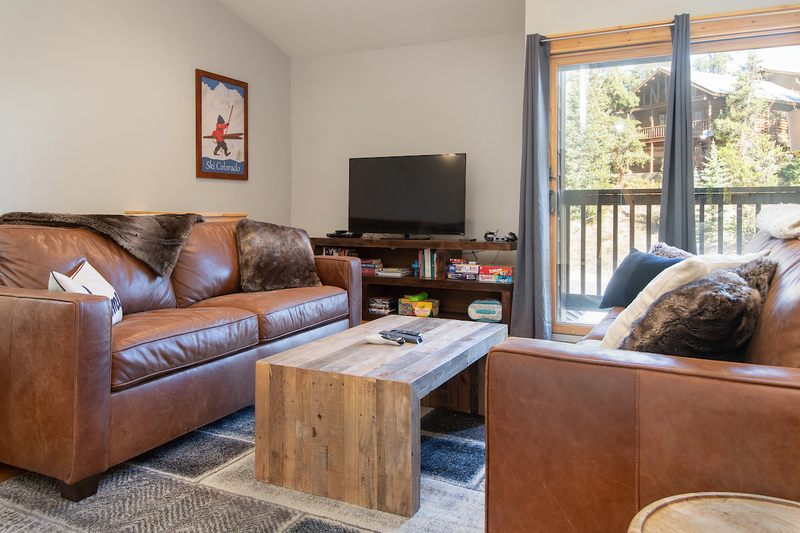 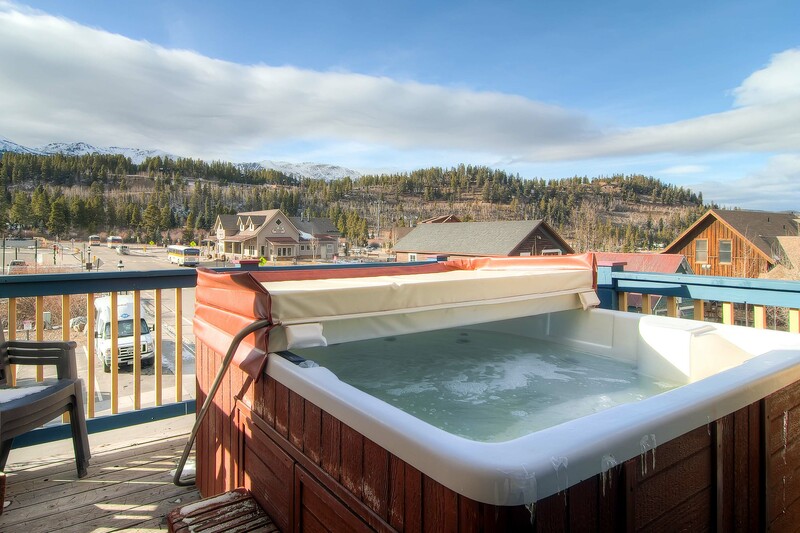 After a big day on the slopes, soak in the on-site outdoor hot tubs or take a short walk to the Upper Village Common area heated pool and hot tubs (off-site).